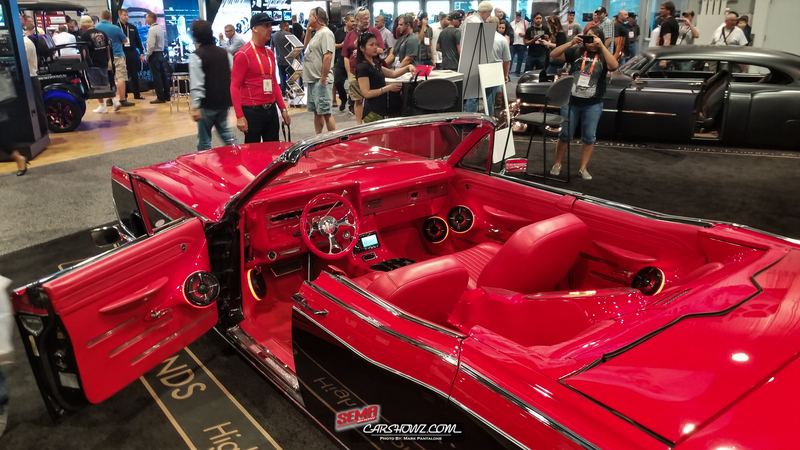 SEMA 2017 is a wrap and I can tell you my body aches. 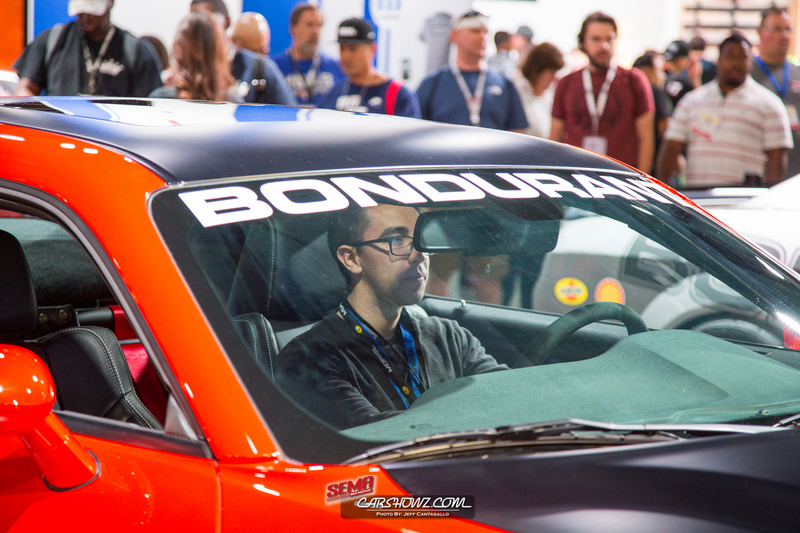 A ton of walking (over 40+ miles throughout the week) and ton of custom rides, products and entertainment; but it is ALL worth it. 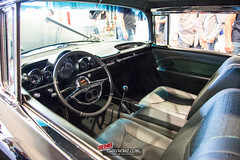 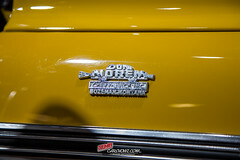 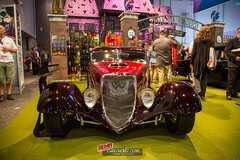 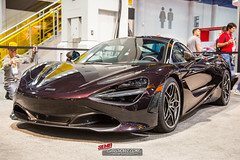 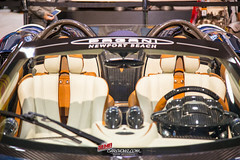 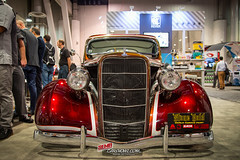 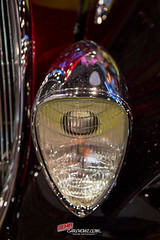 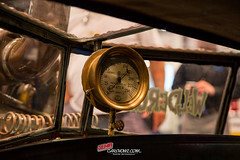 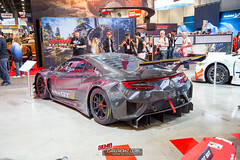 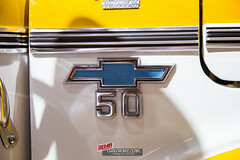 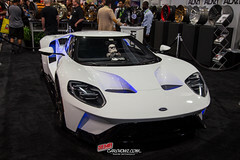 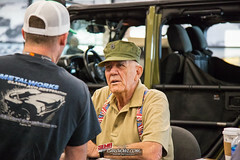 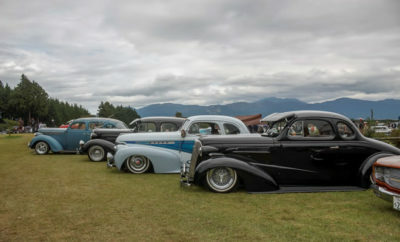 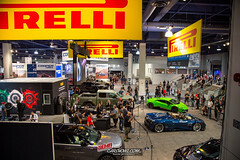 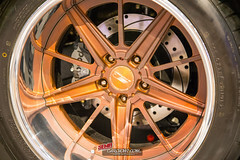 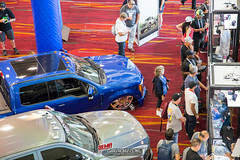 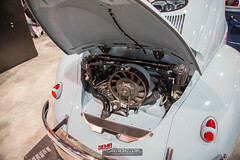 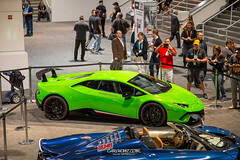 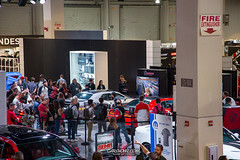 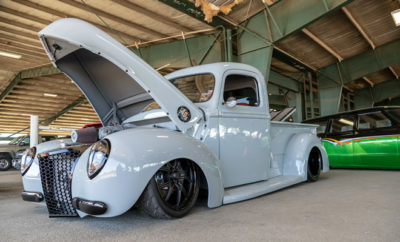 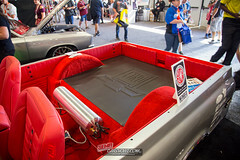 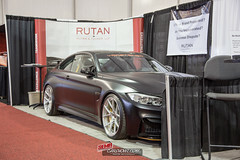 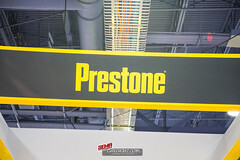 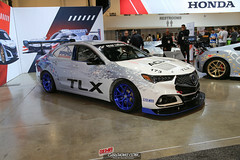 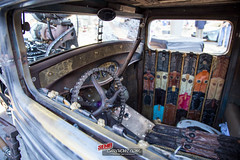 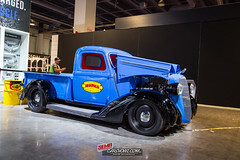 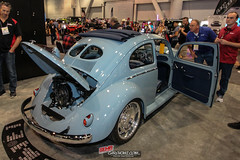 with over 180,000 people in attendance, this is definitely one of the largest car shows / automotive events, which made it challenging to capture photos. 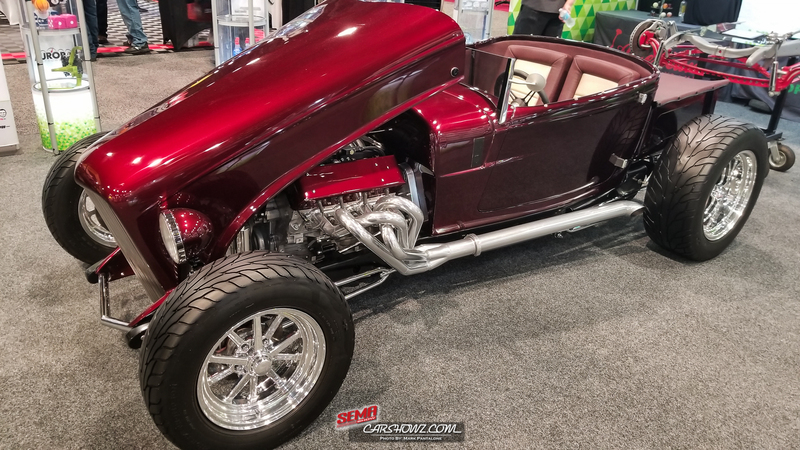 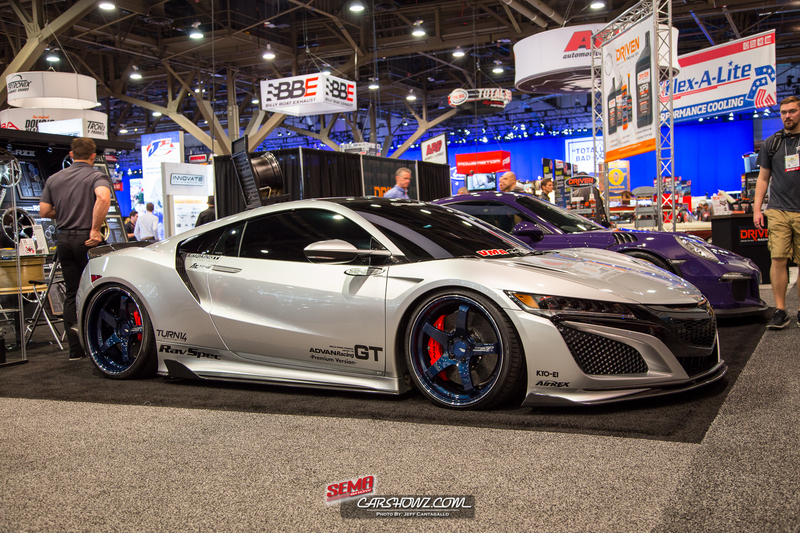 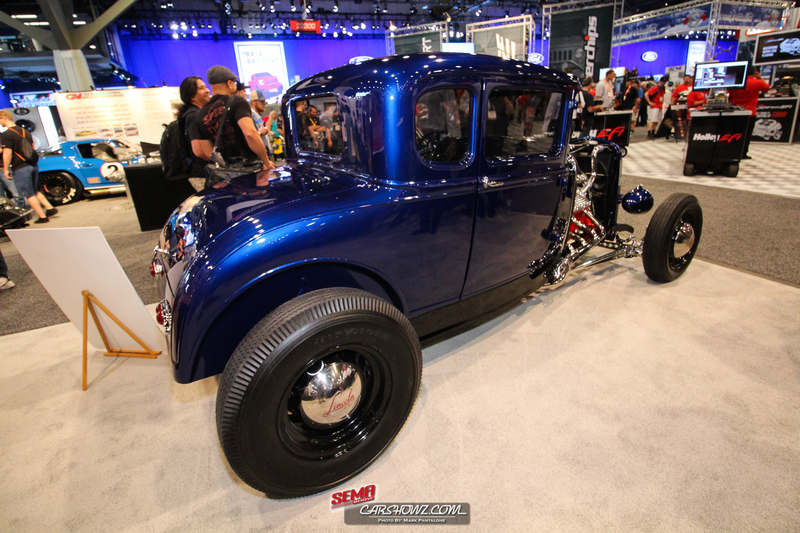 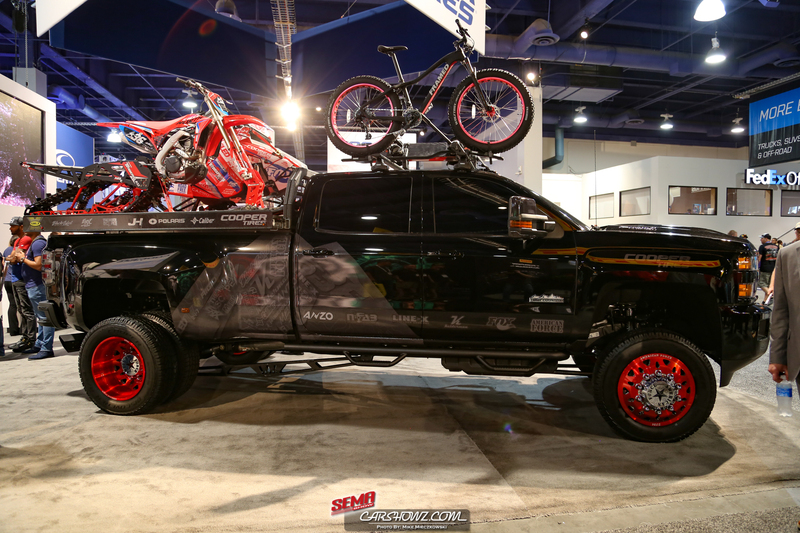 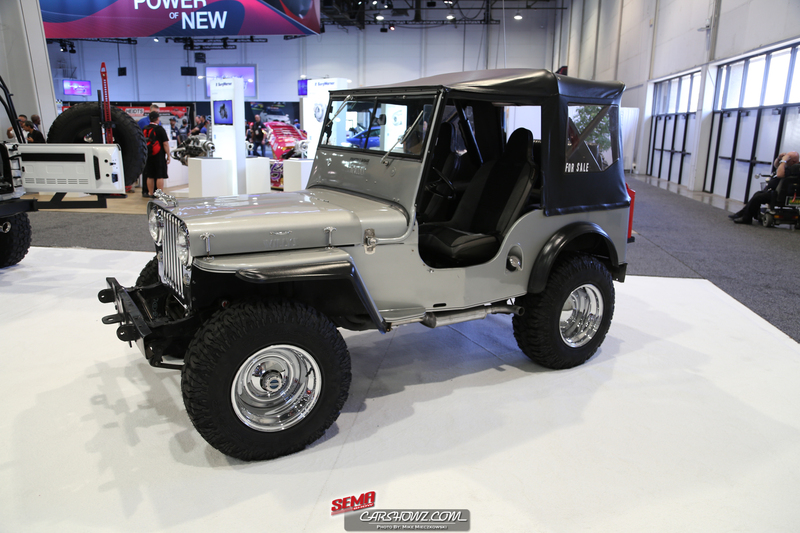 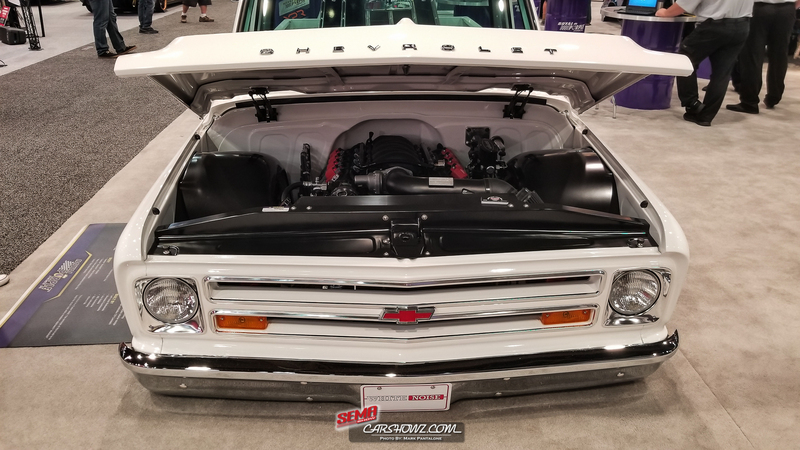 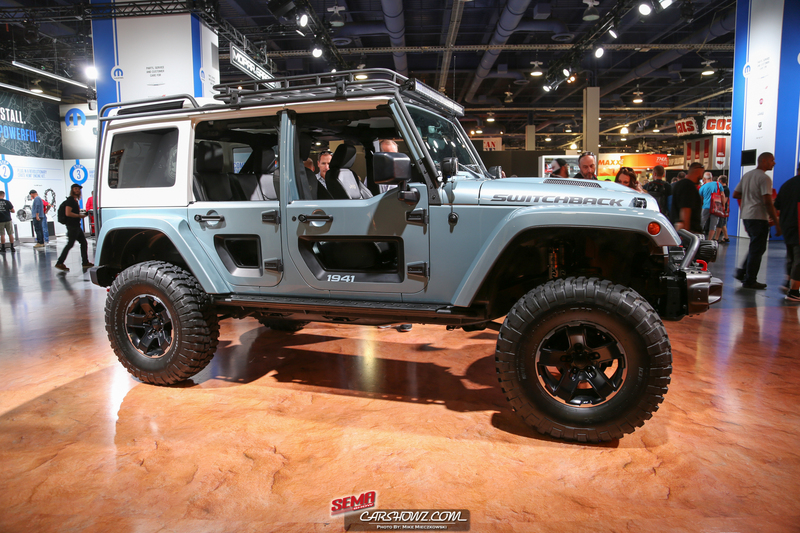 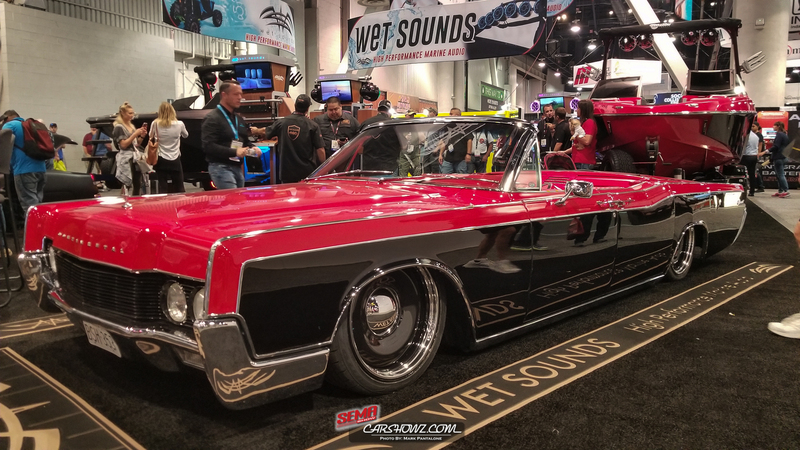 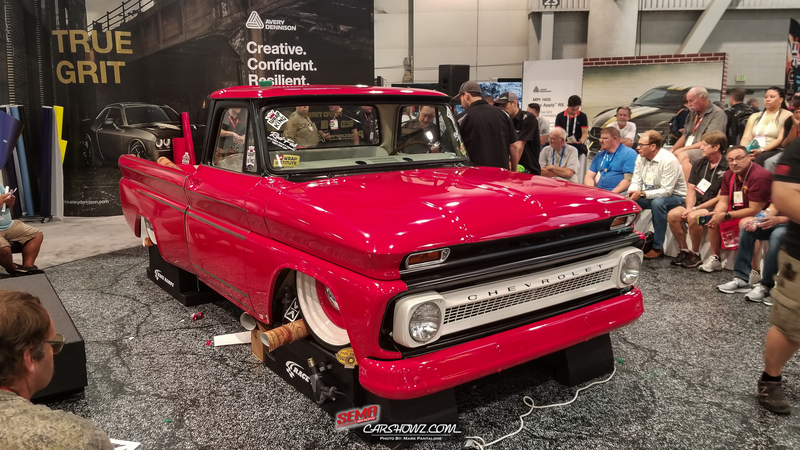 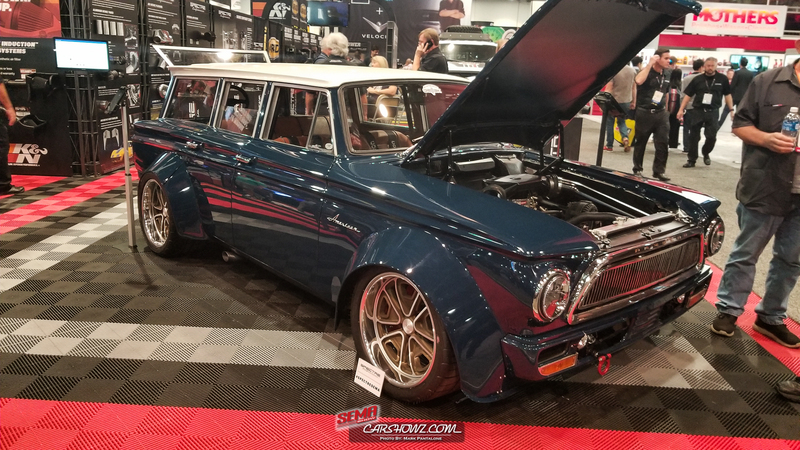 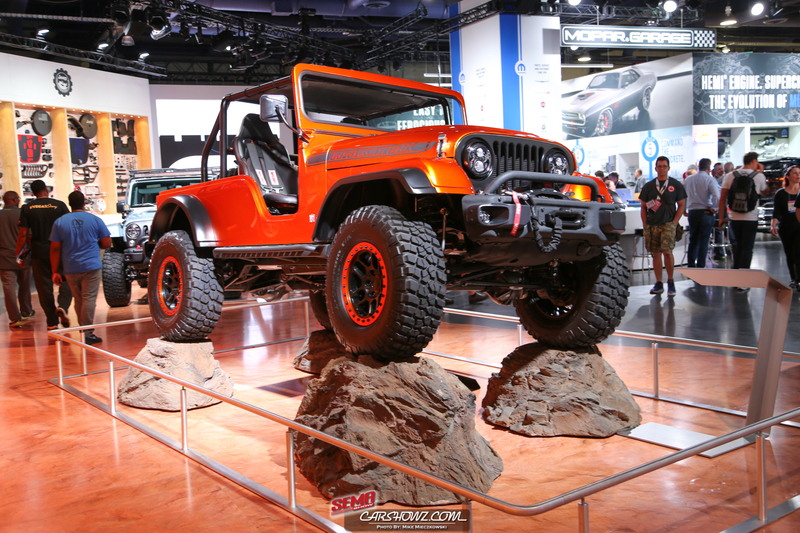 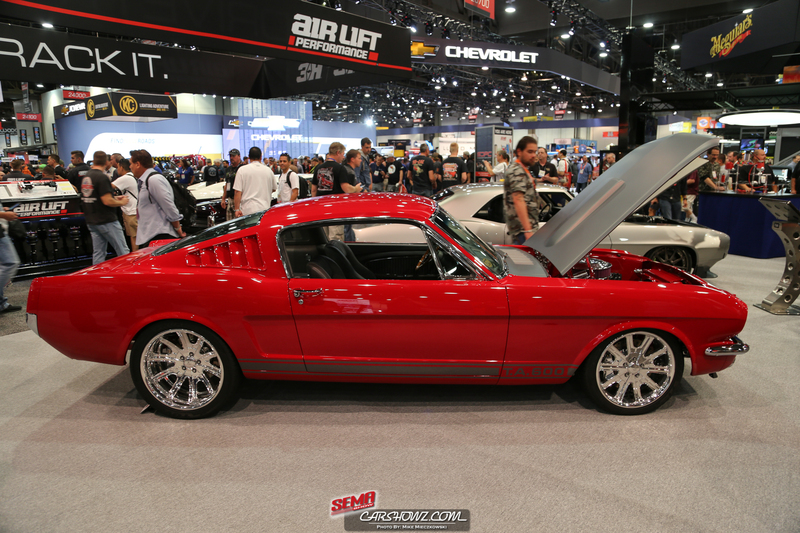 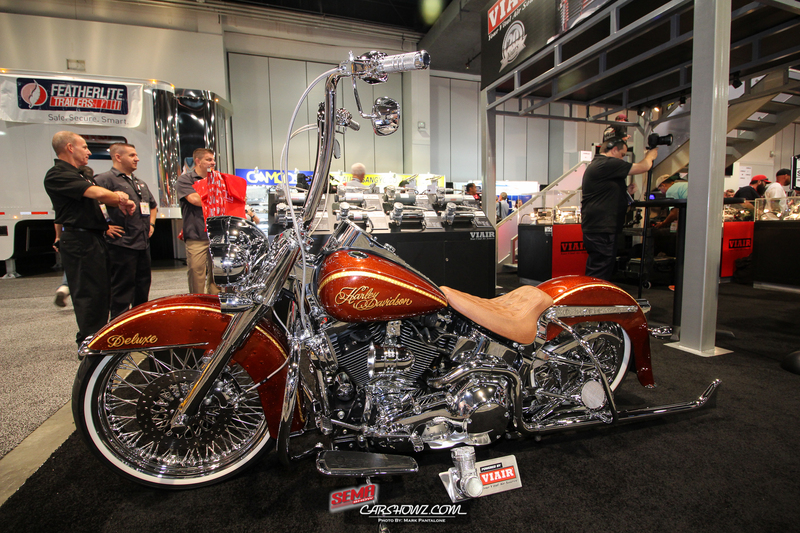 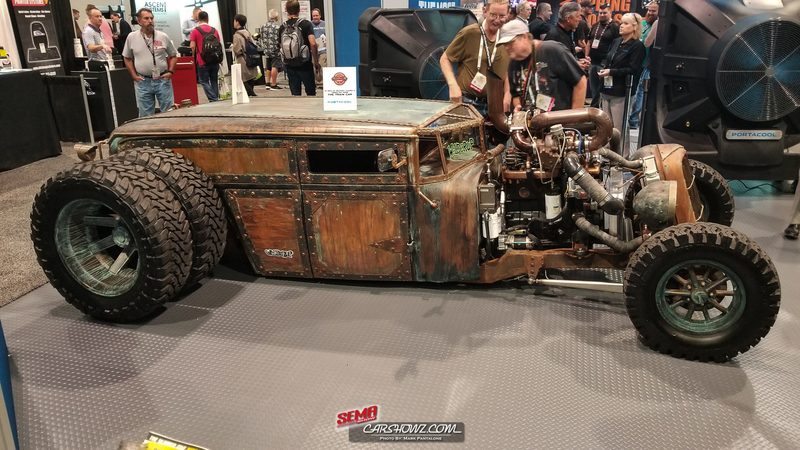 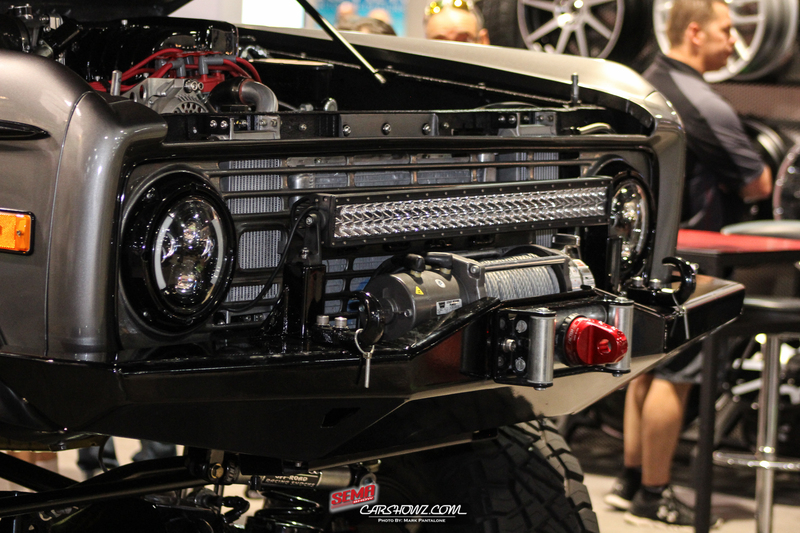 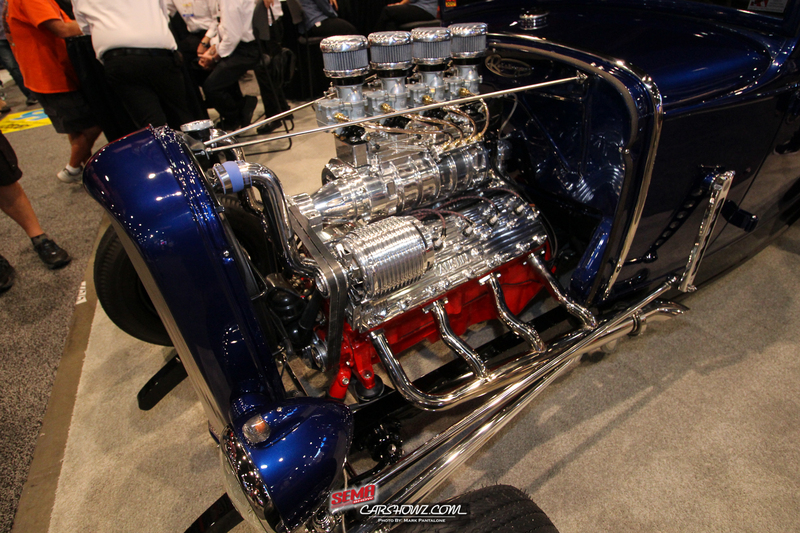 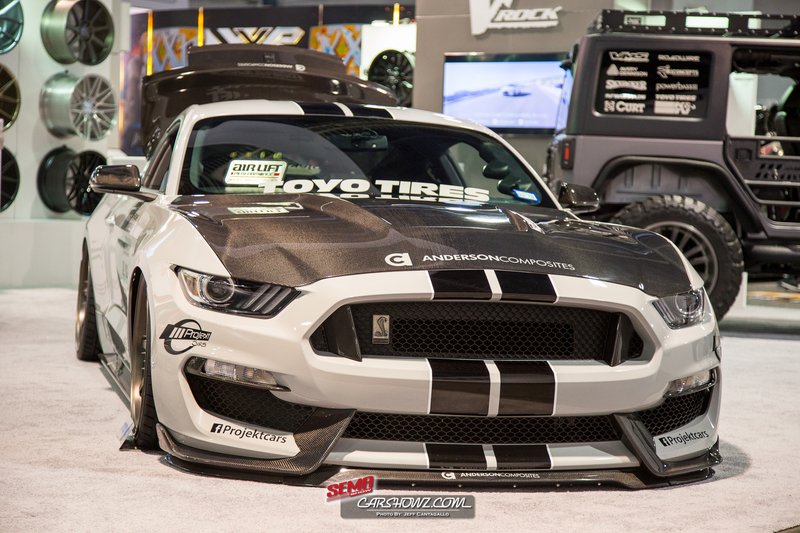 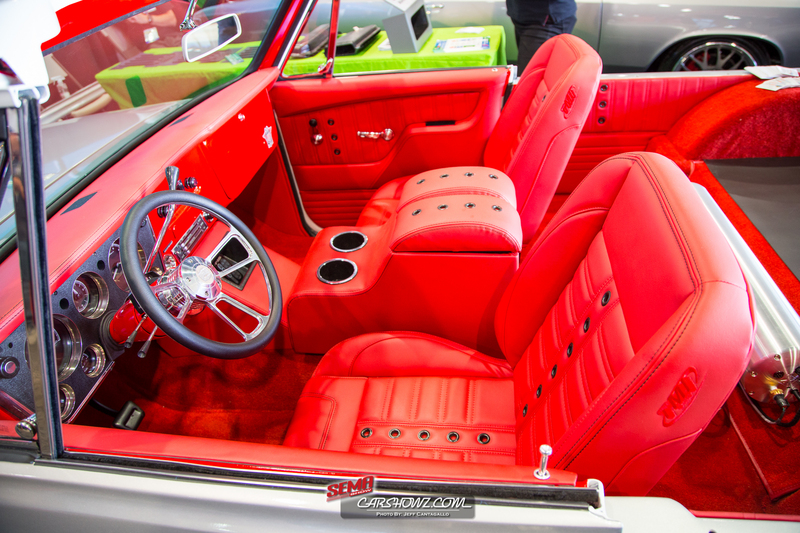 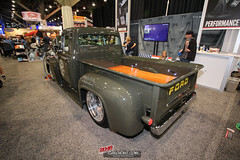 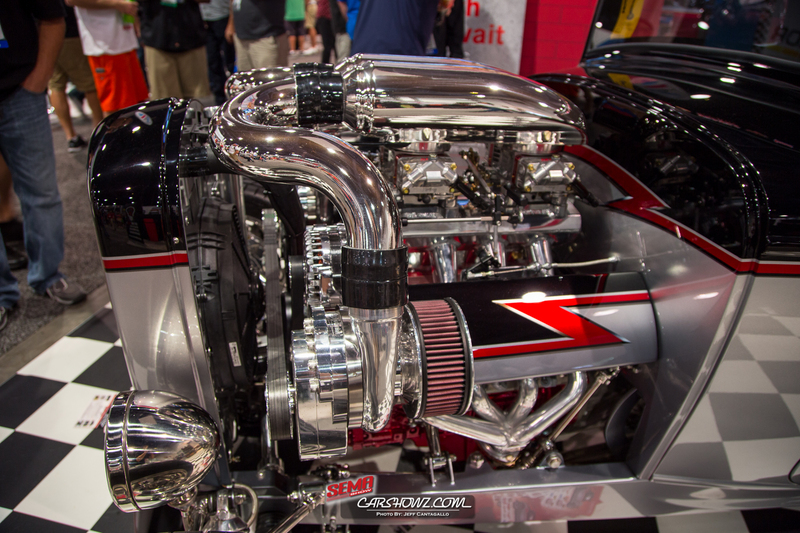 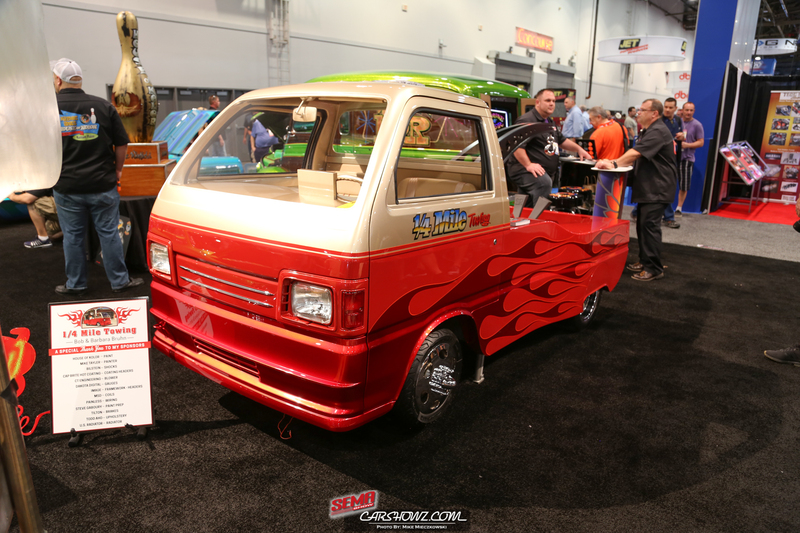 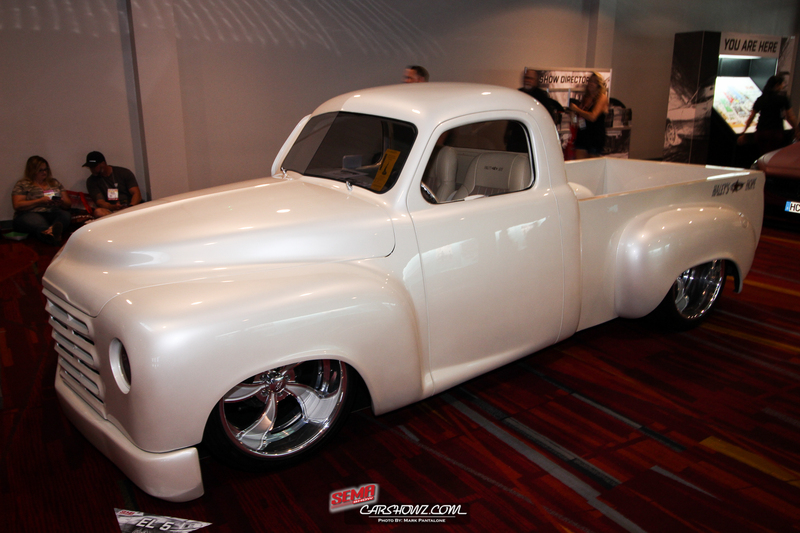 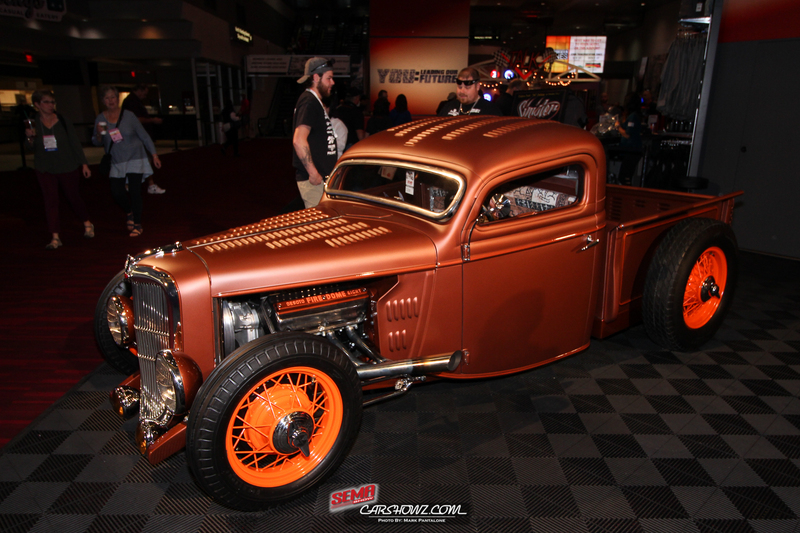 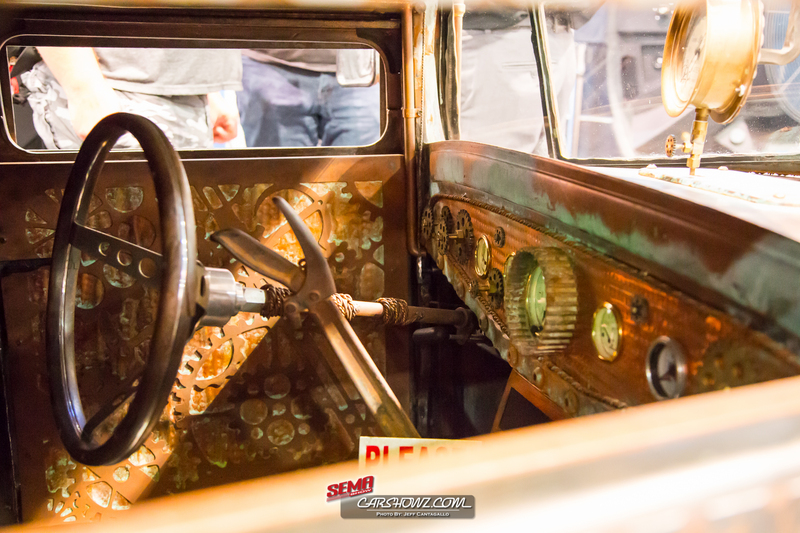 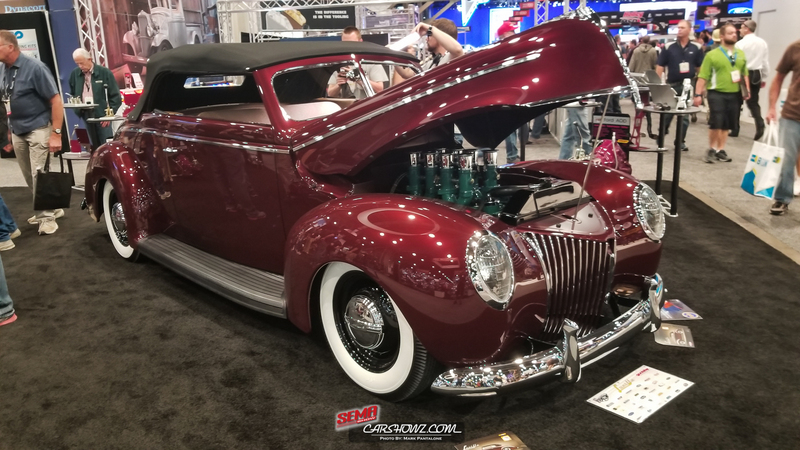 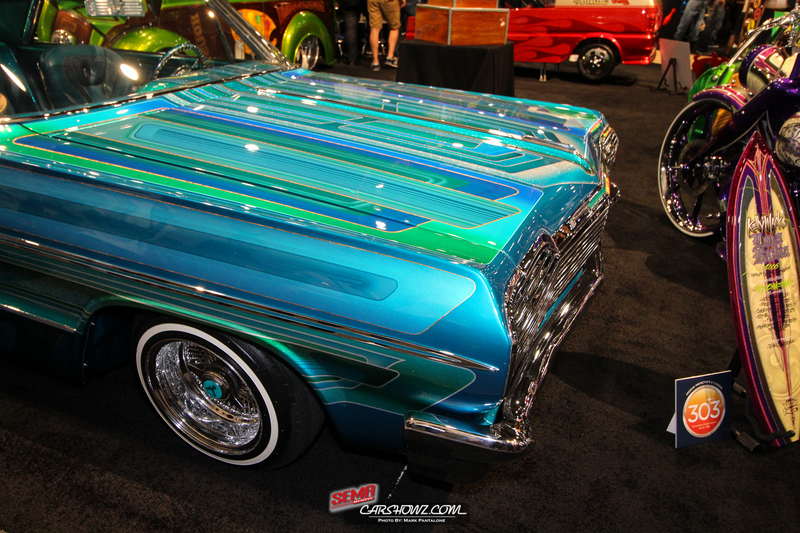 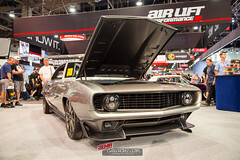 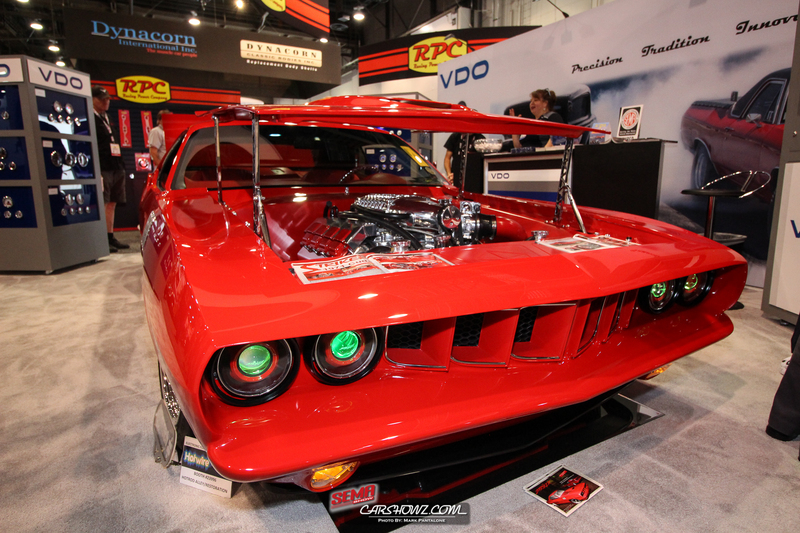 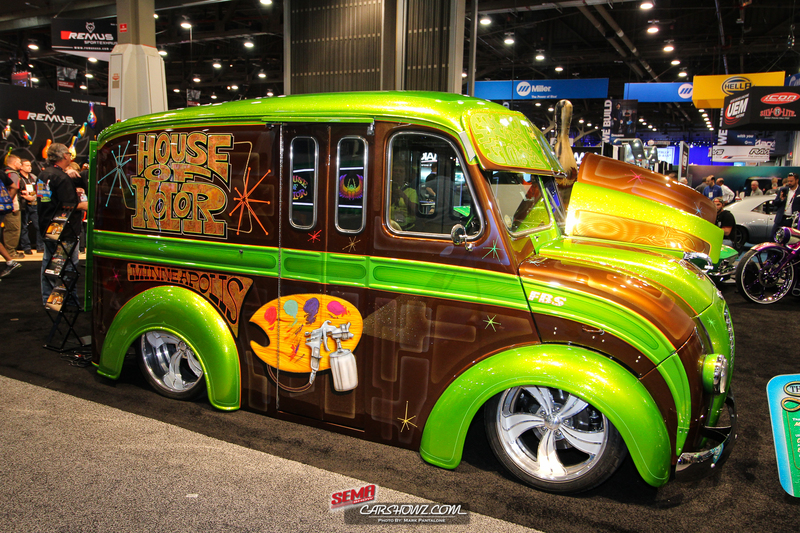 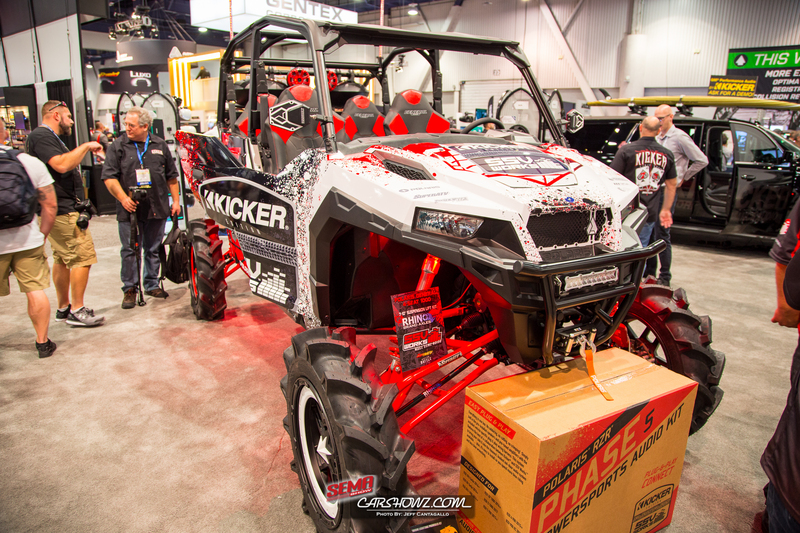 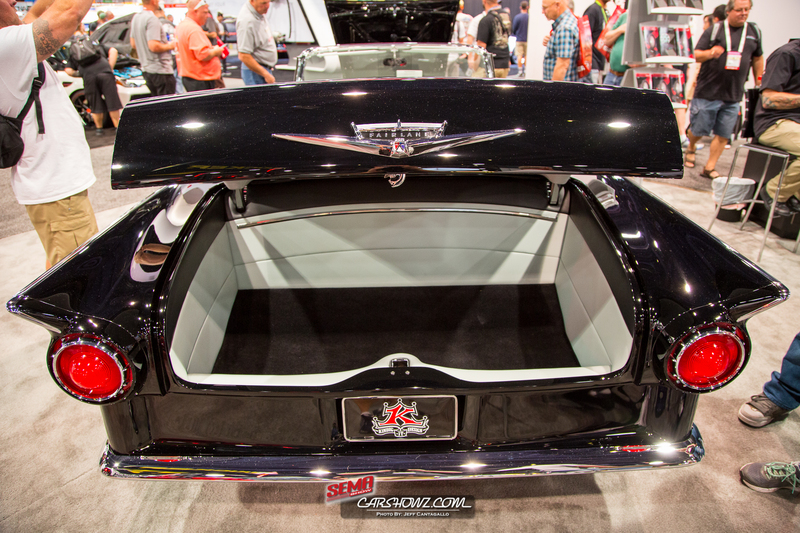 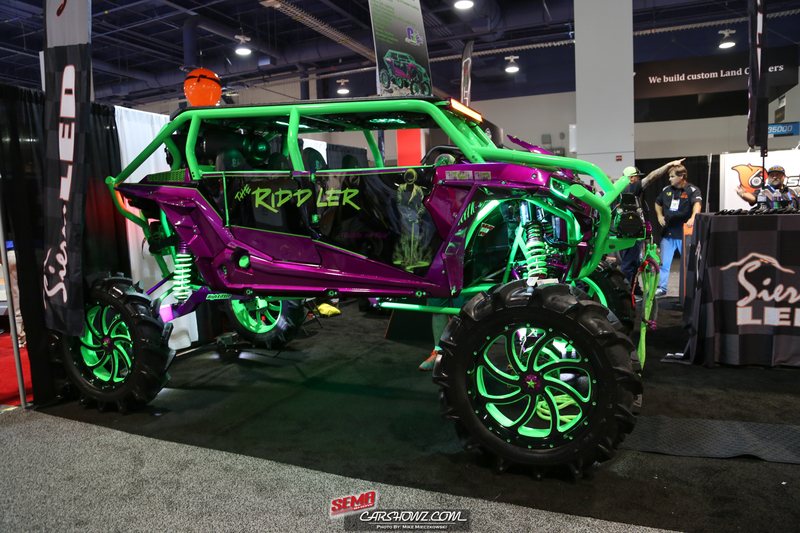 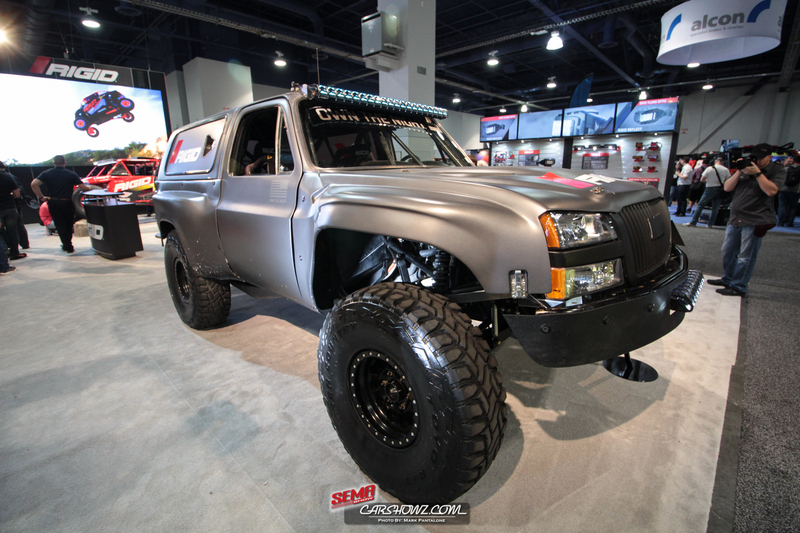 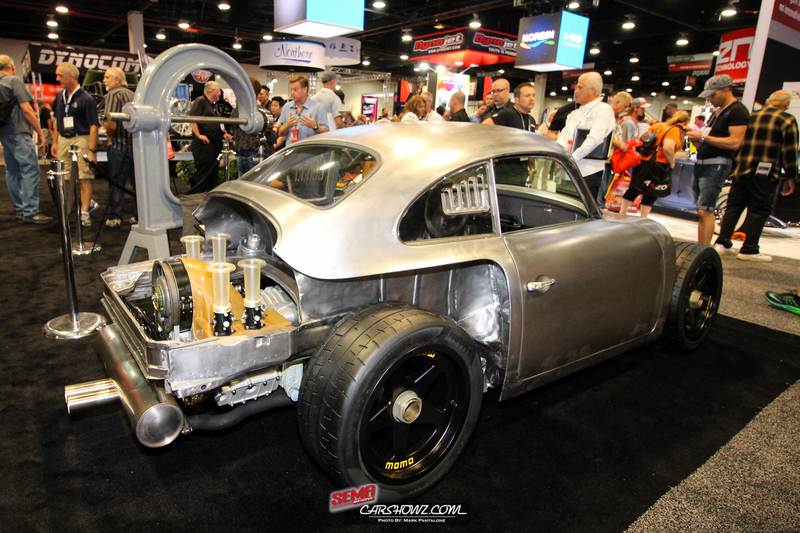 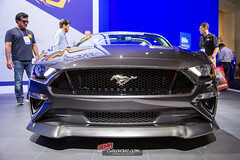 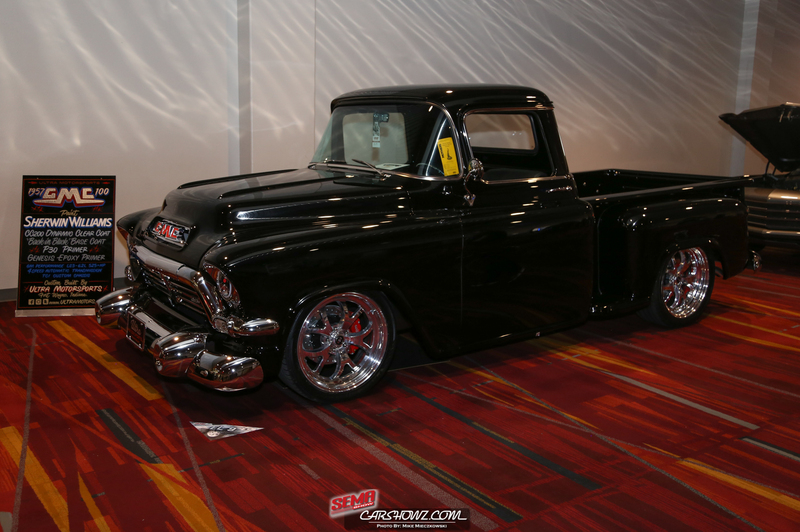 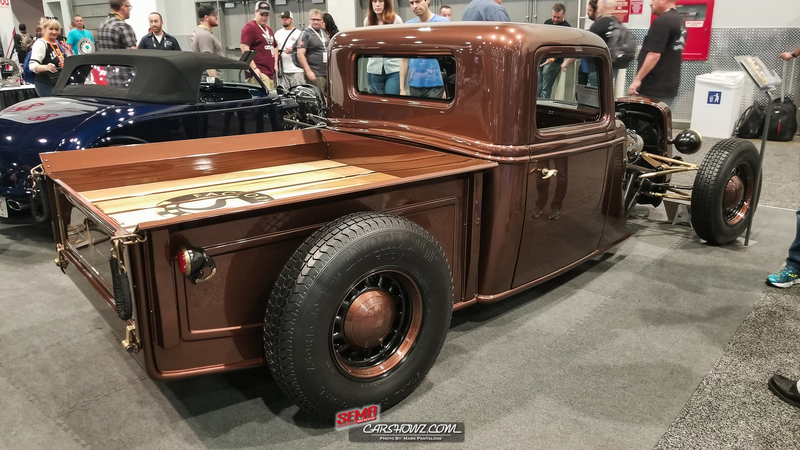 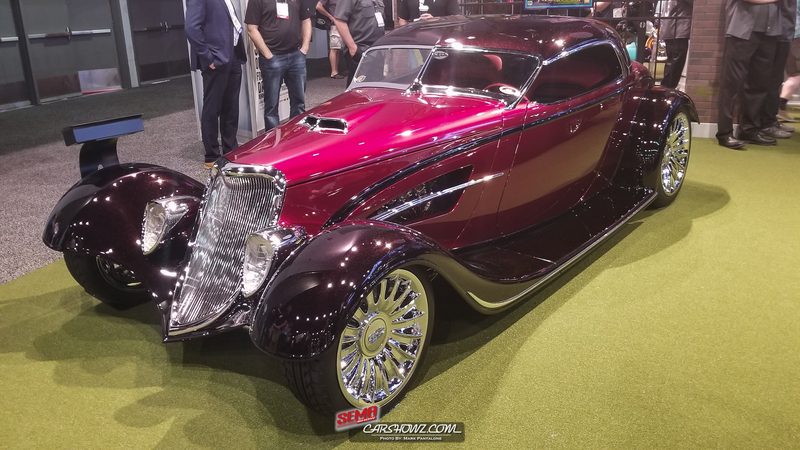 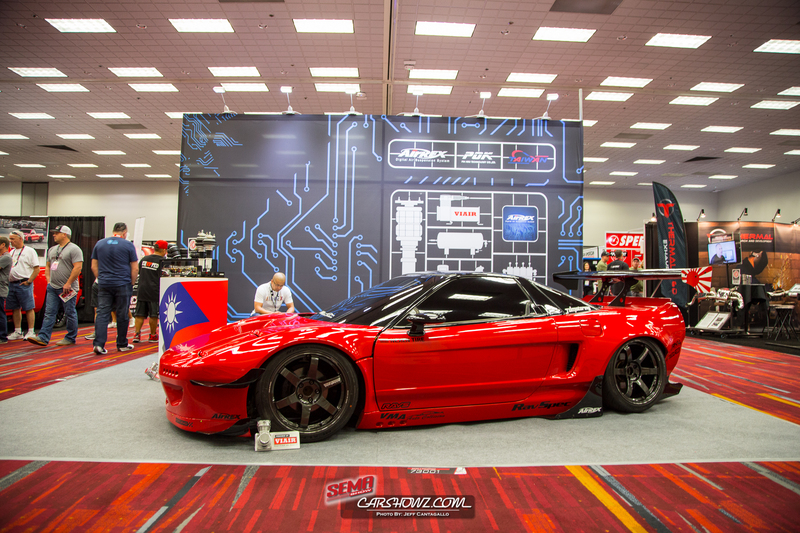 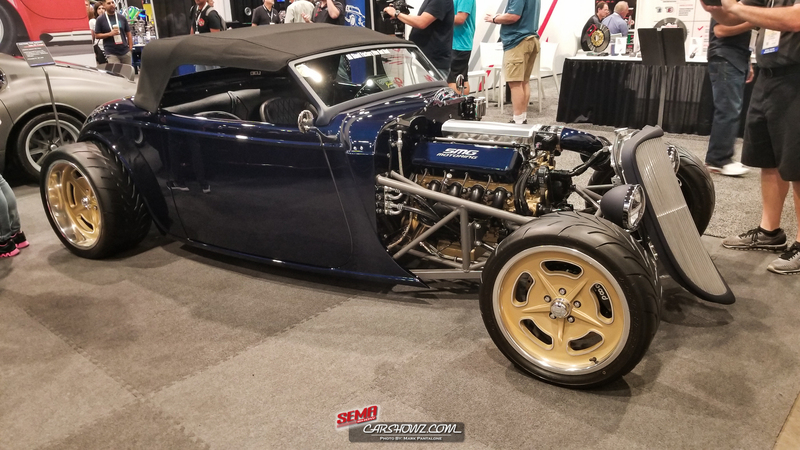 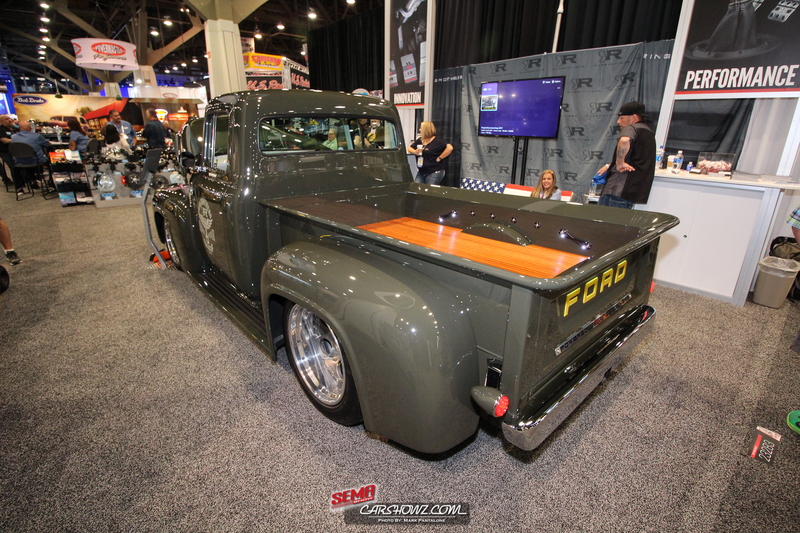 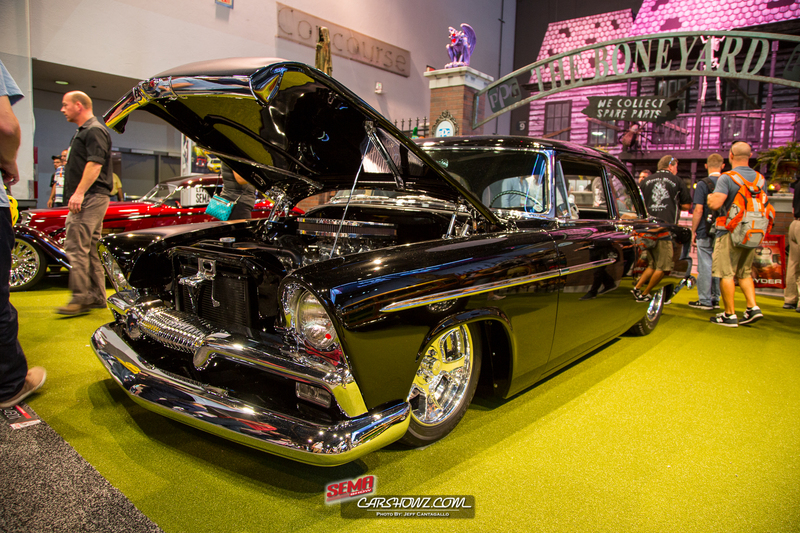 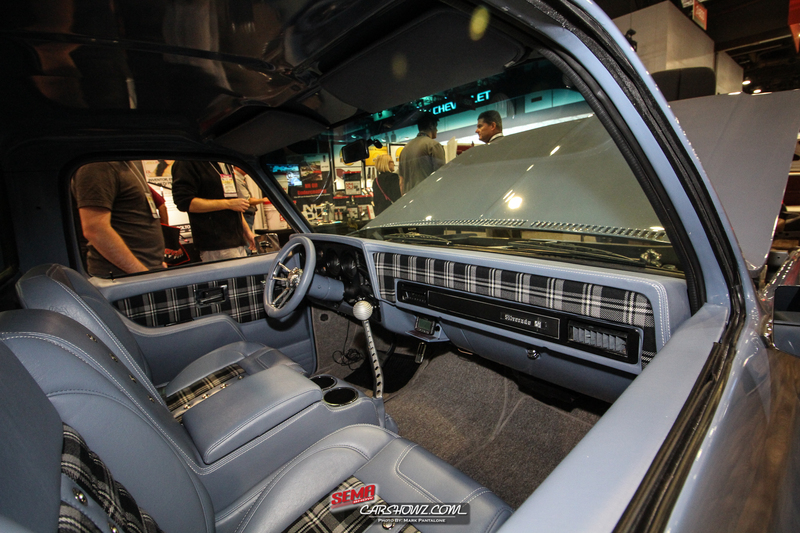 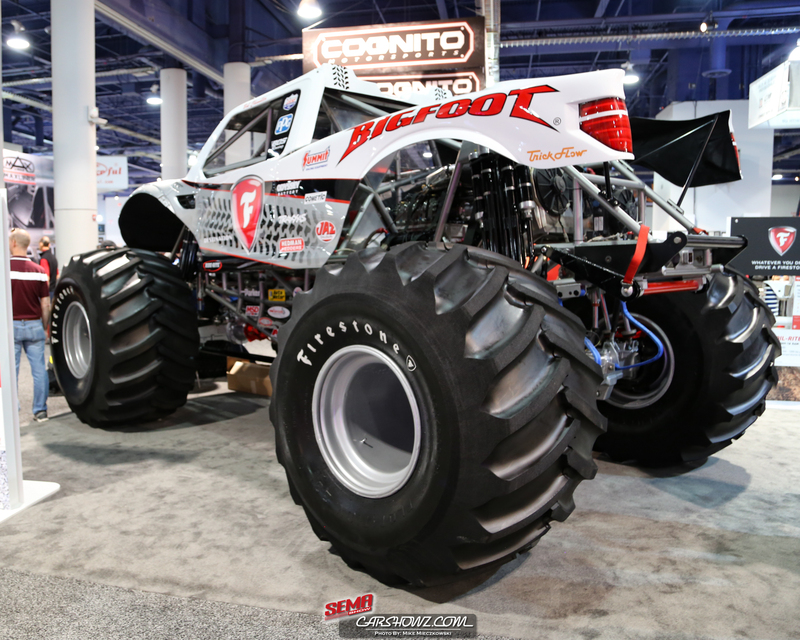 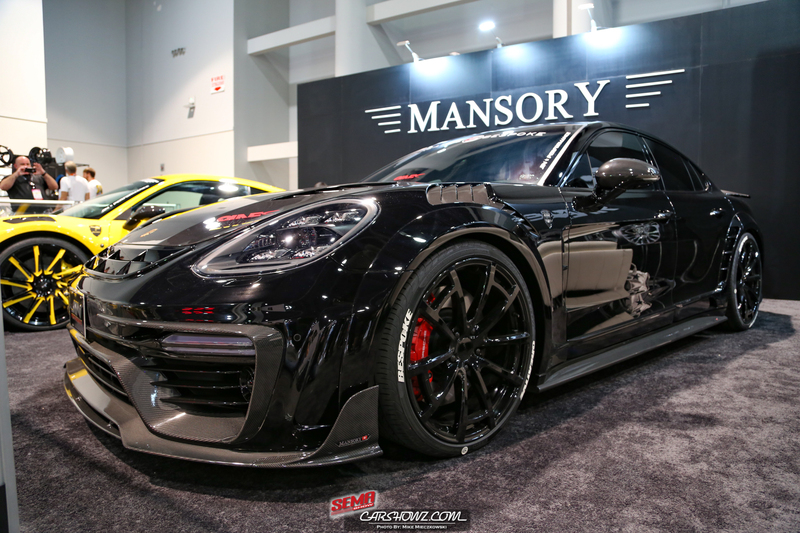 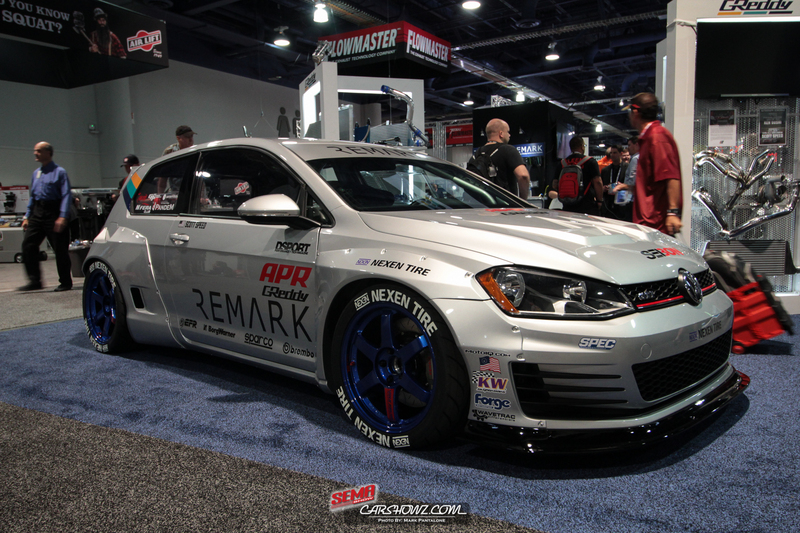 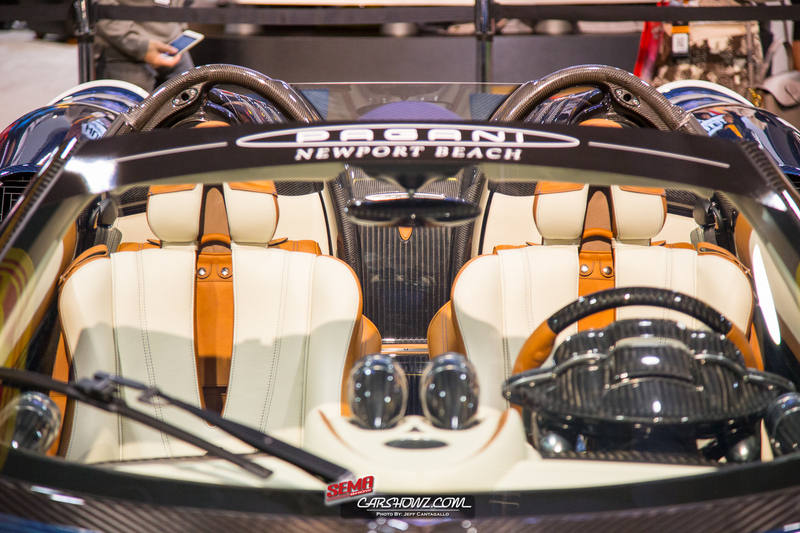 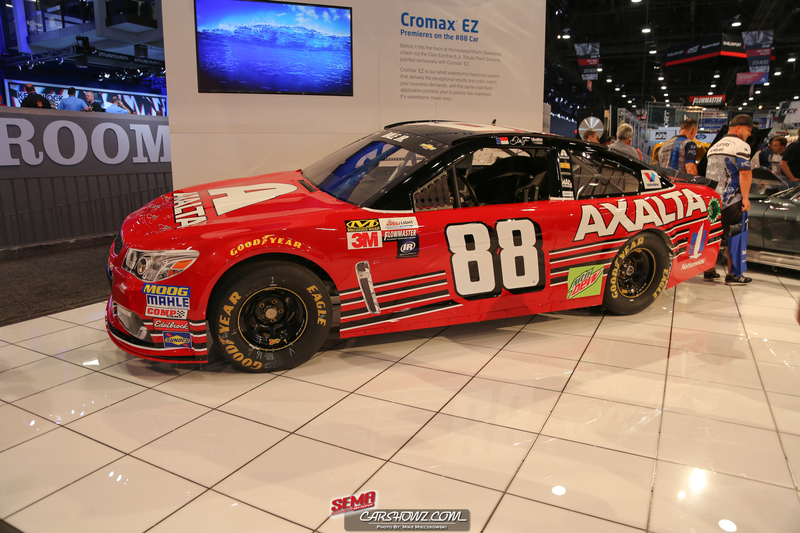 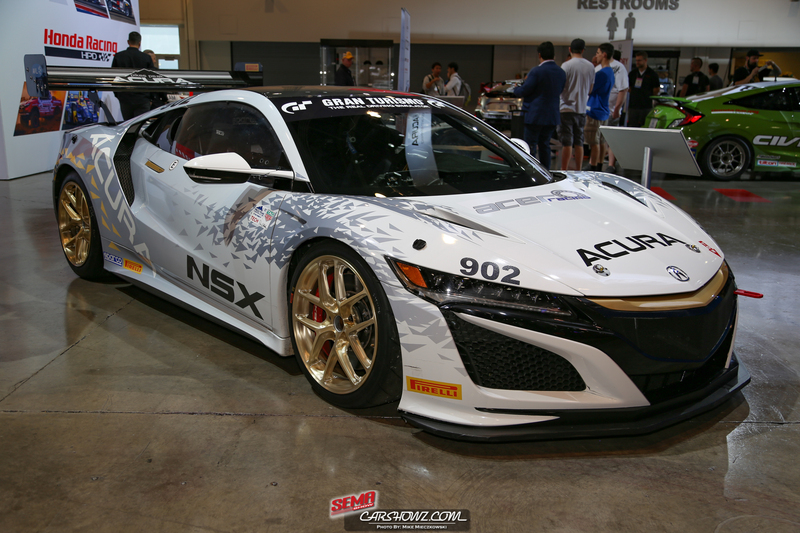 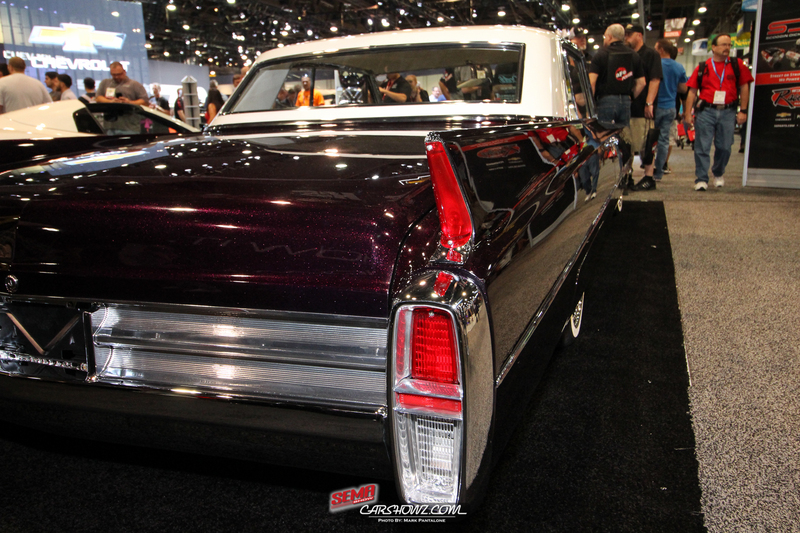 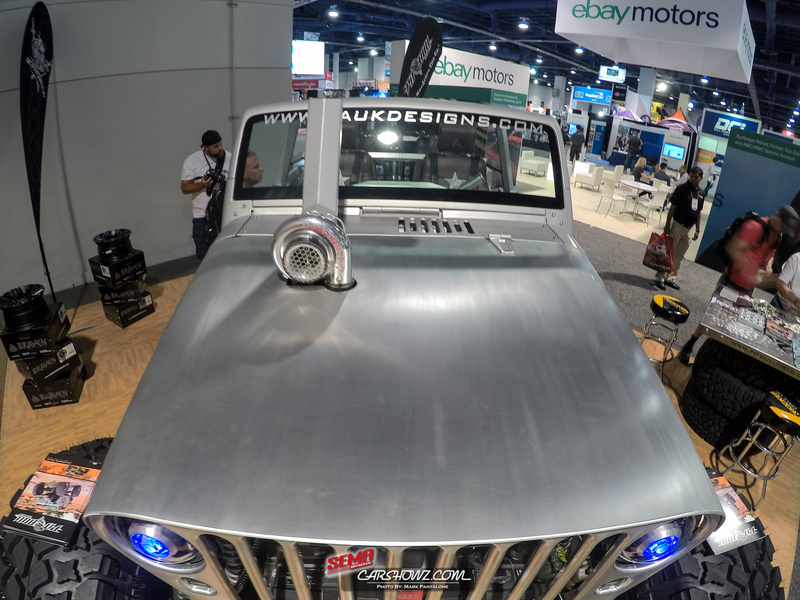 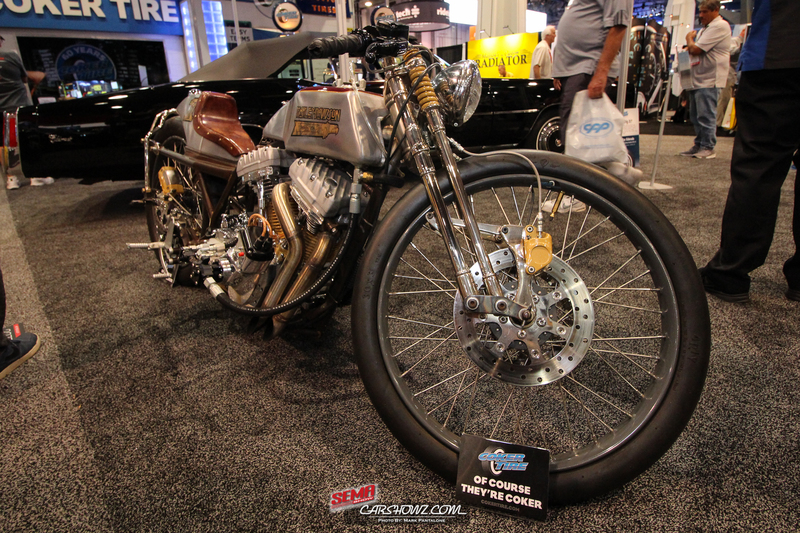 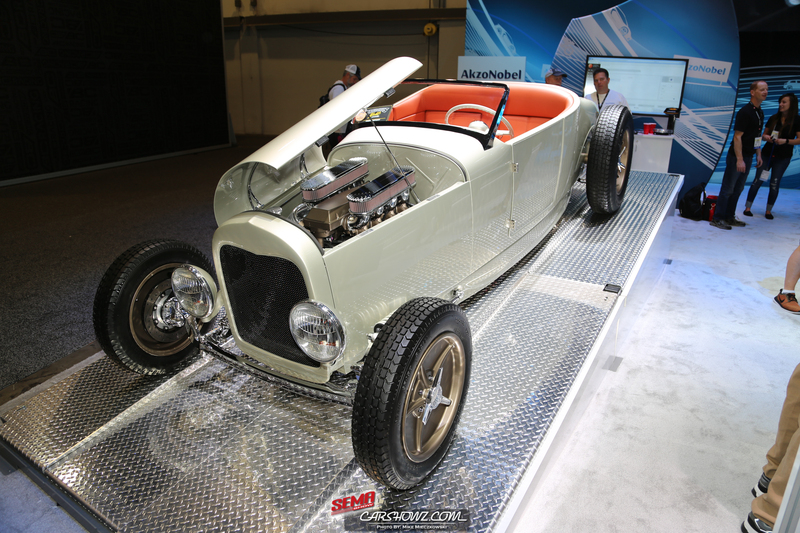 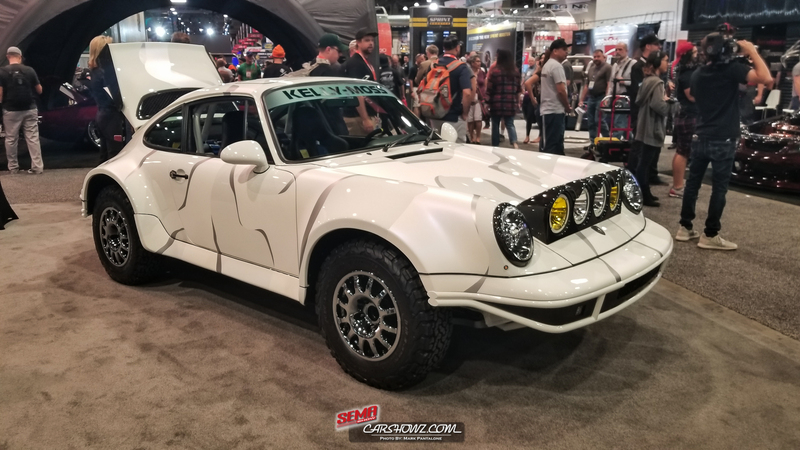 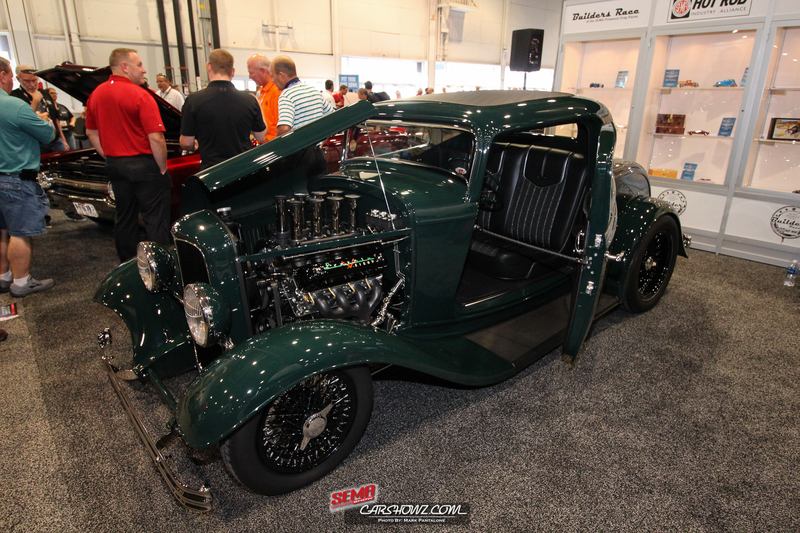 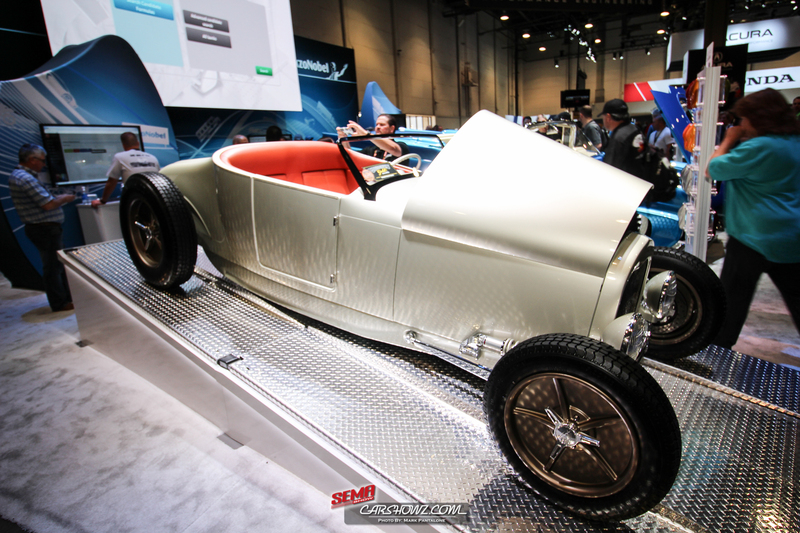 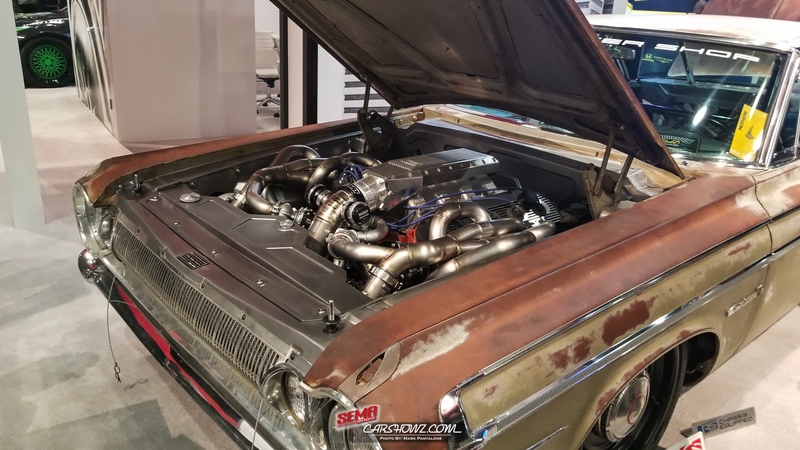 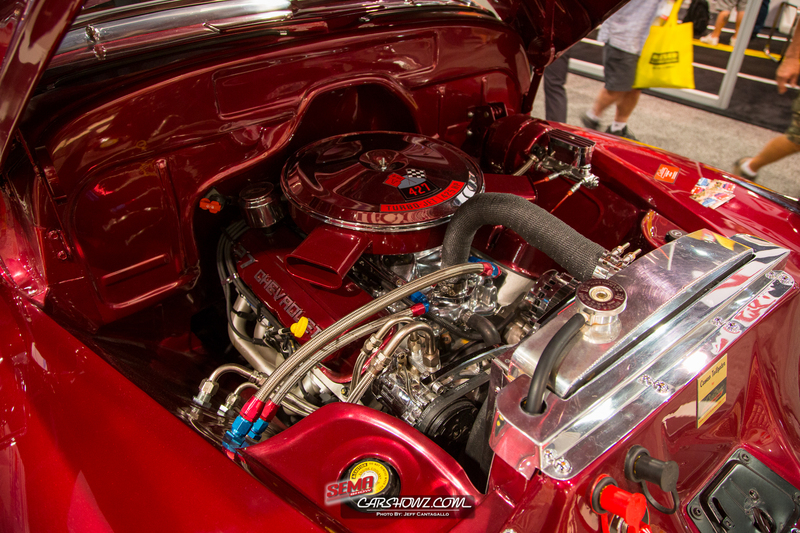 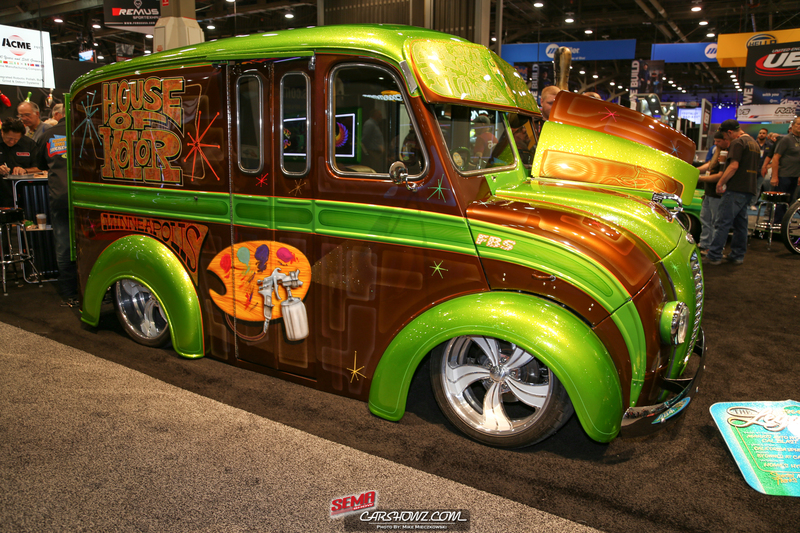 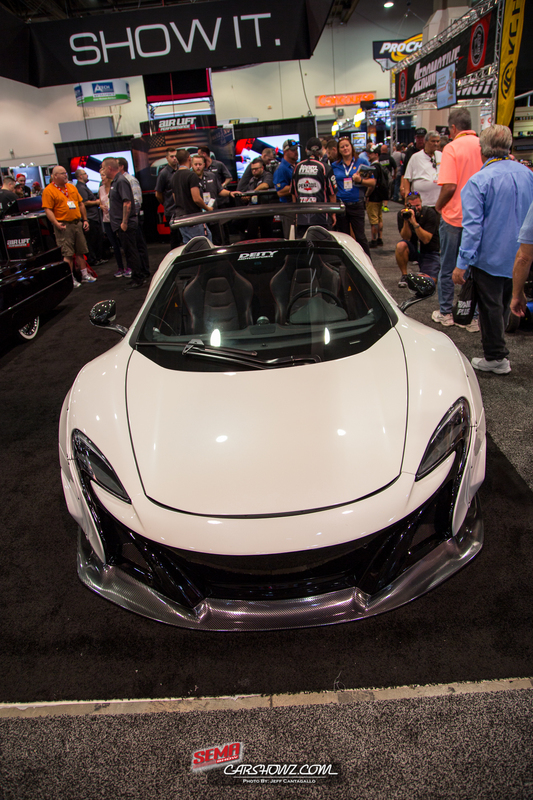 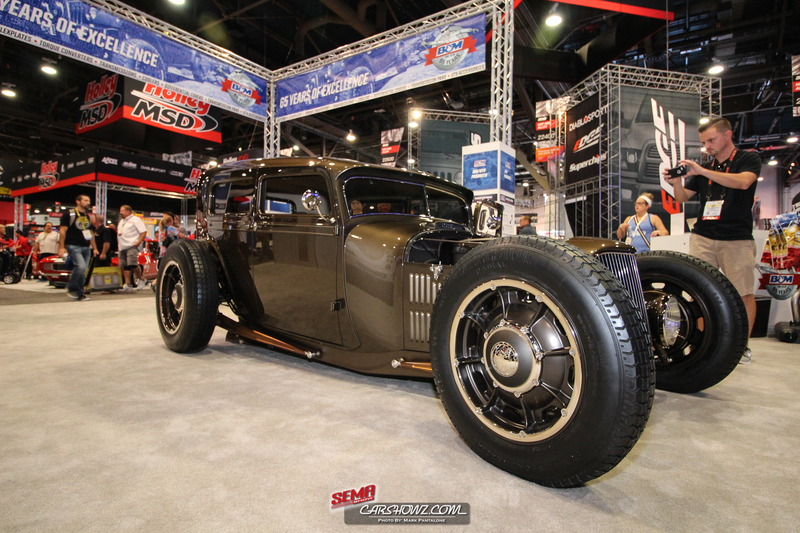 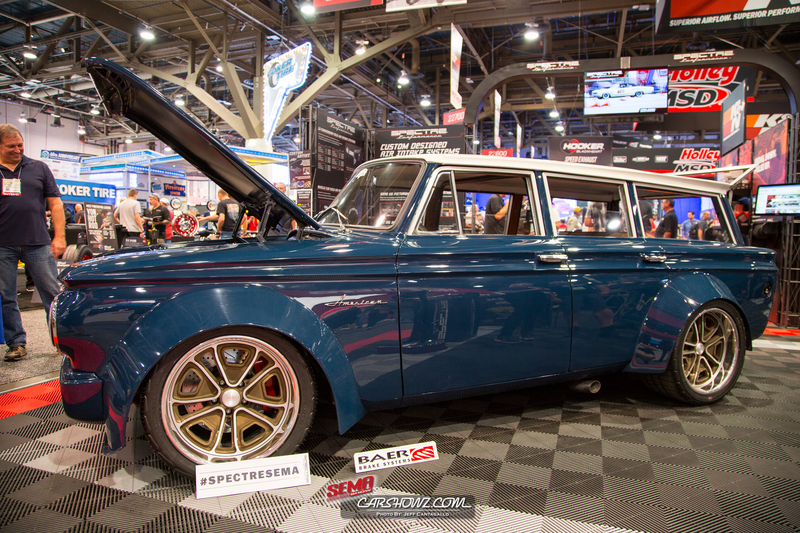 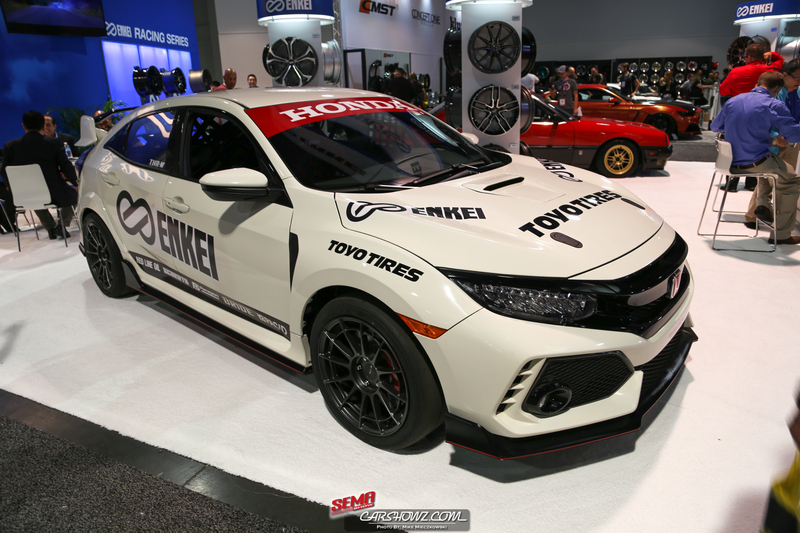 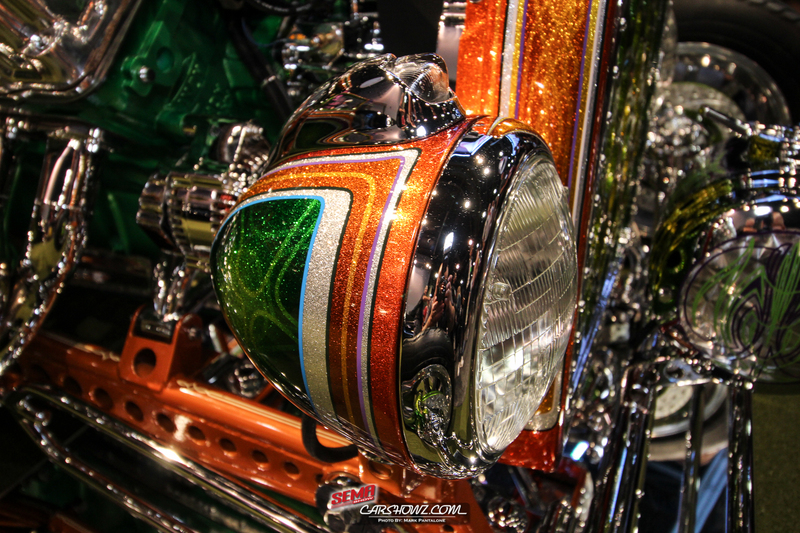 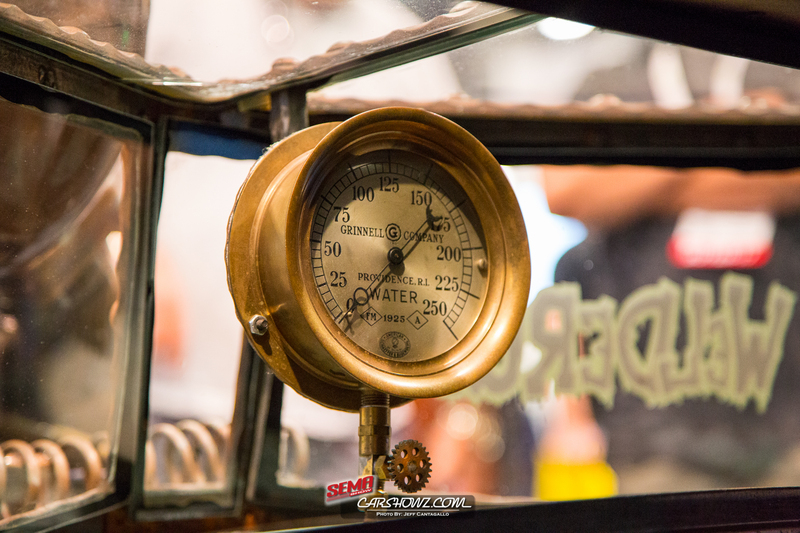 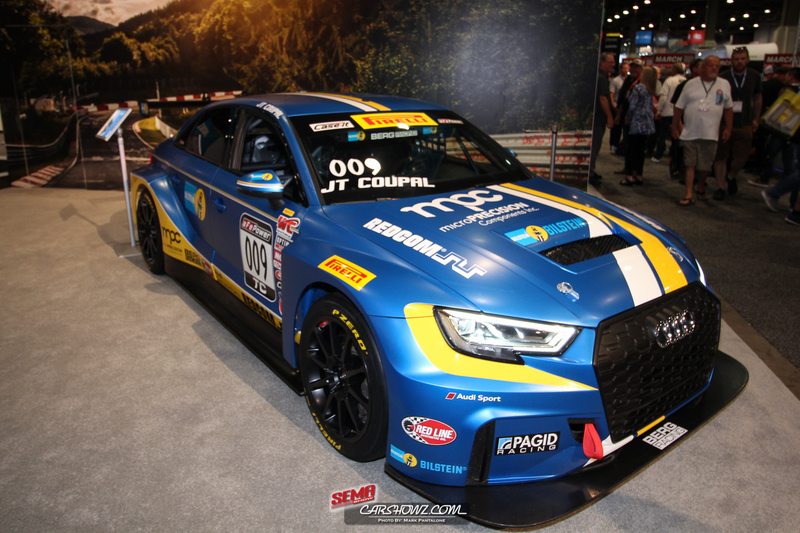 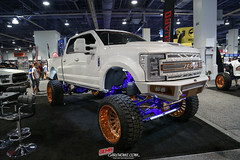 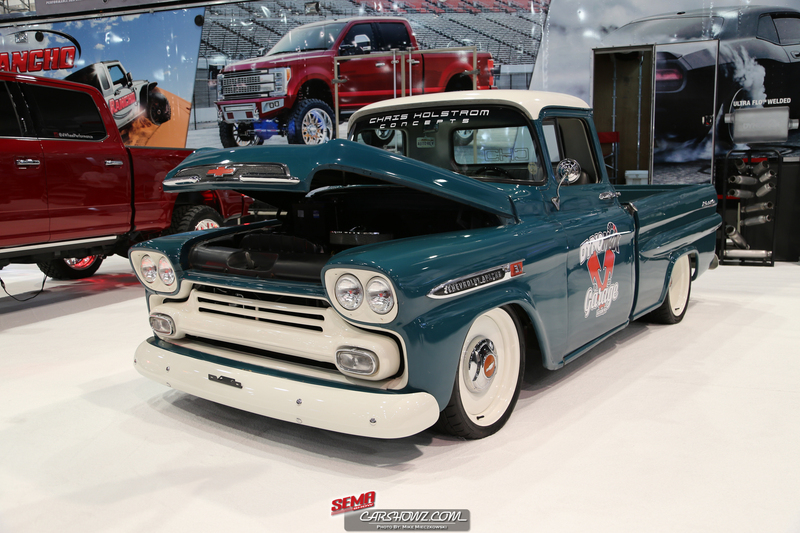 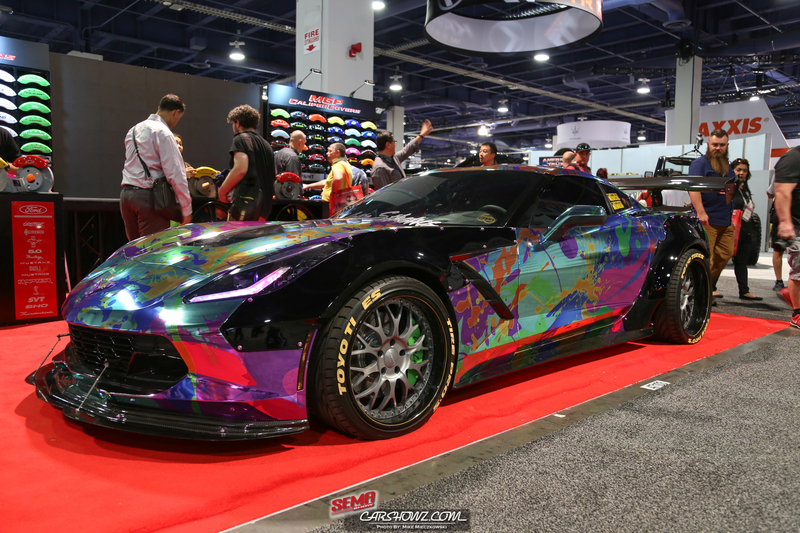 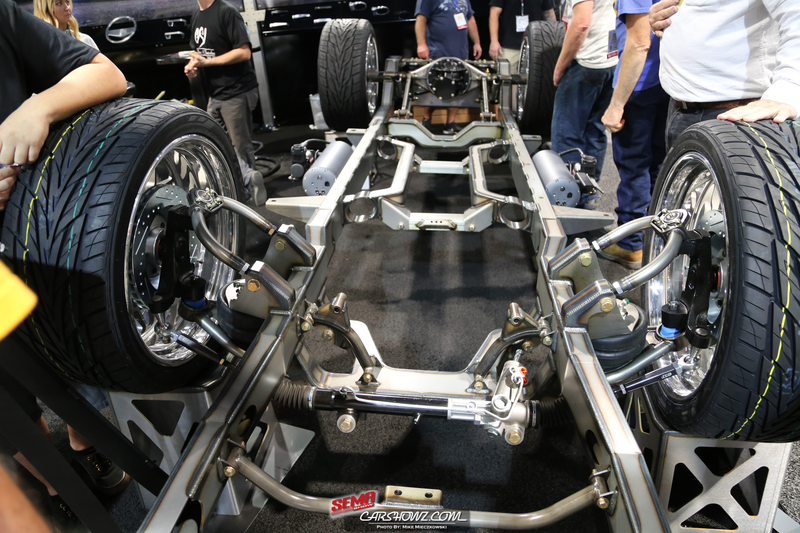 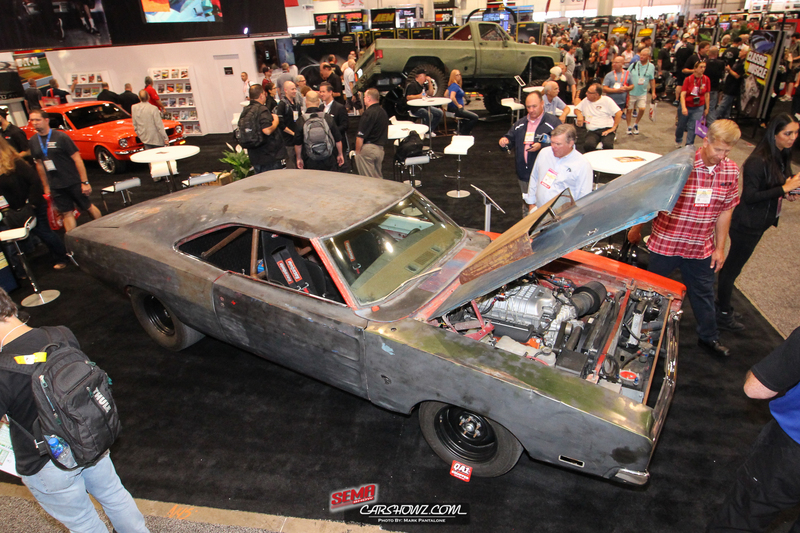 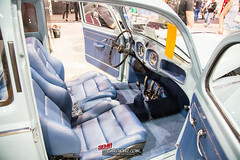 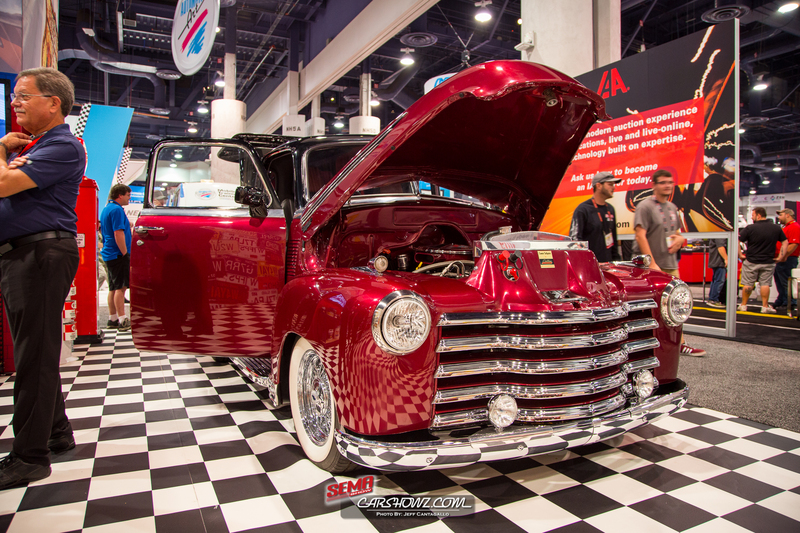 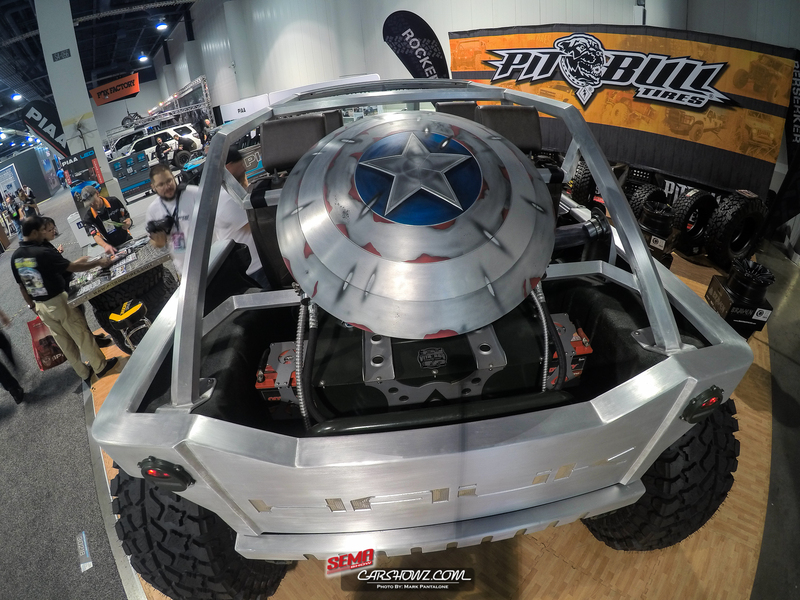 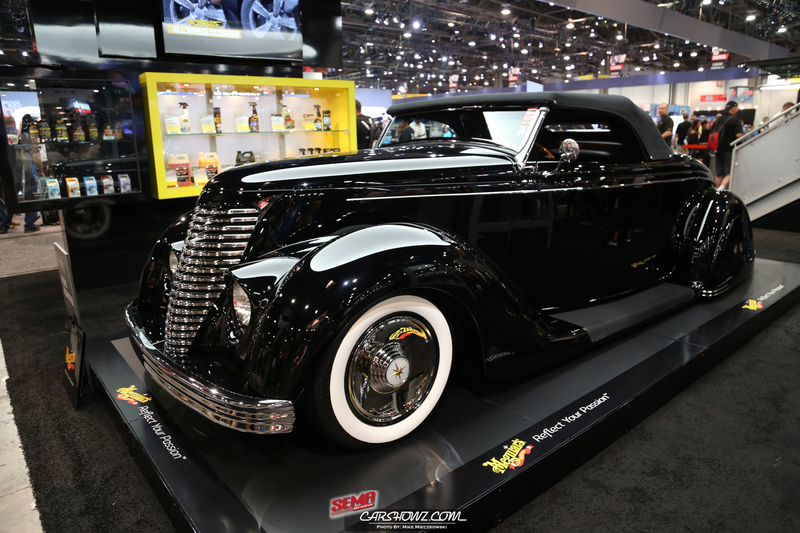 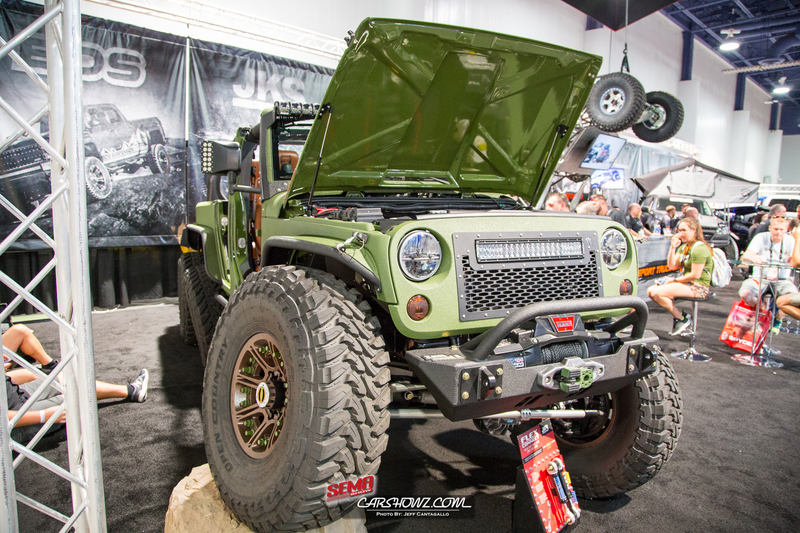 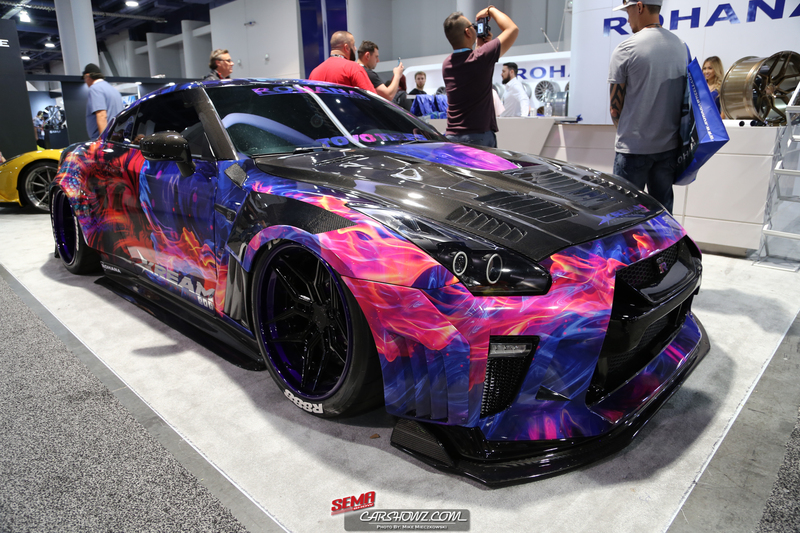 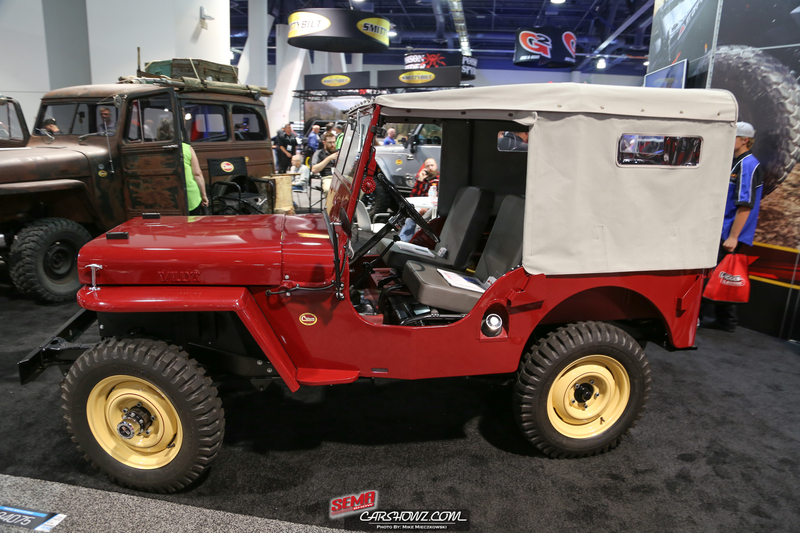 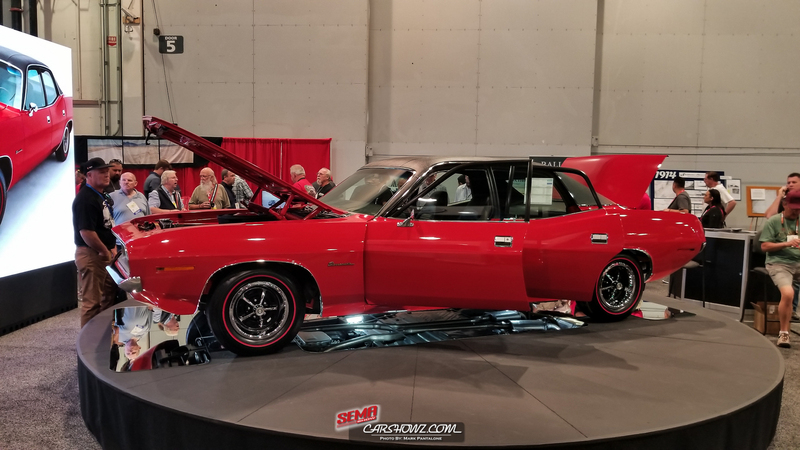 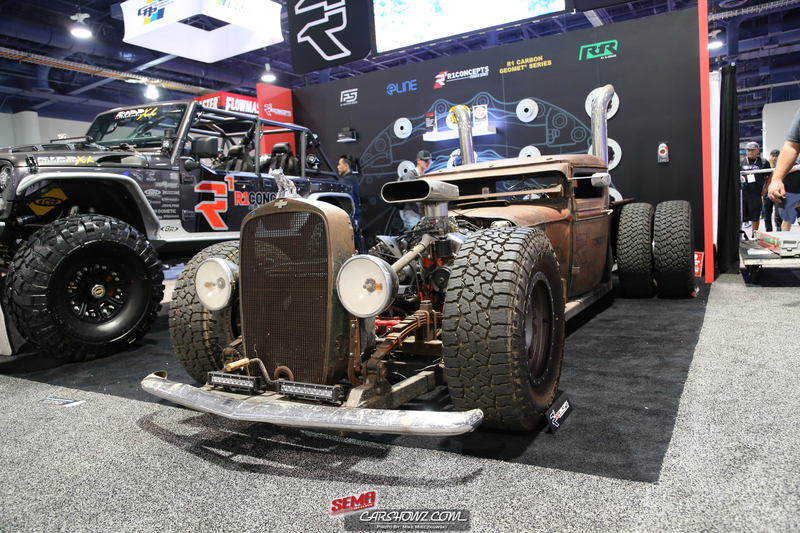 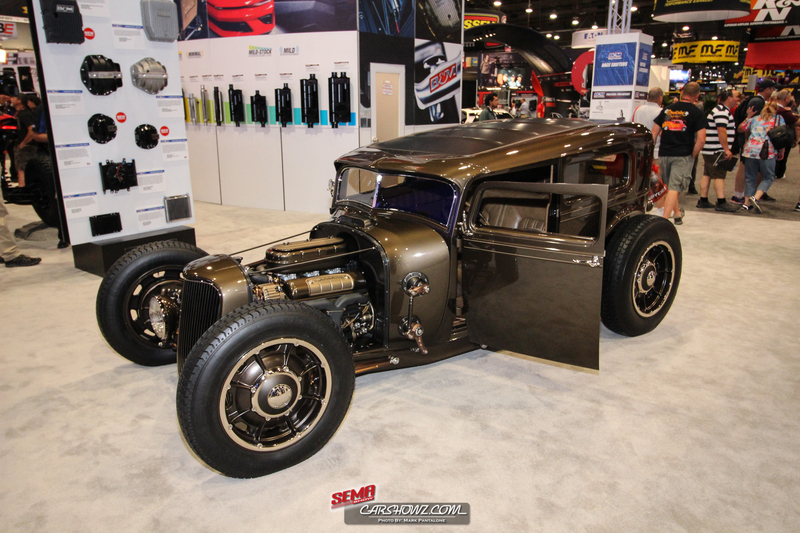 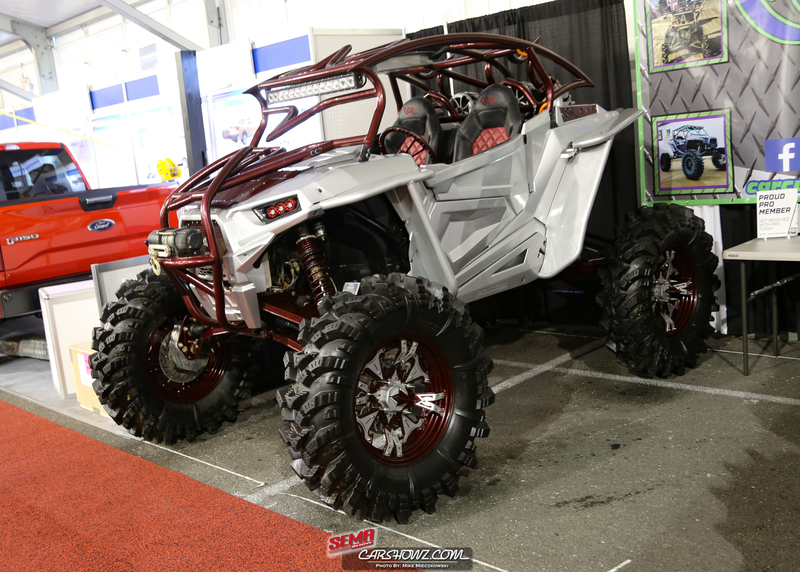 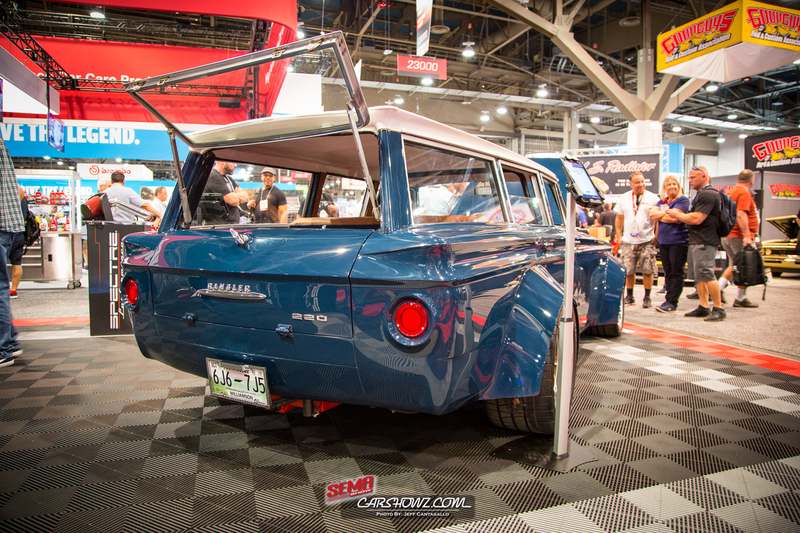 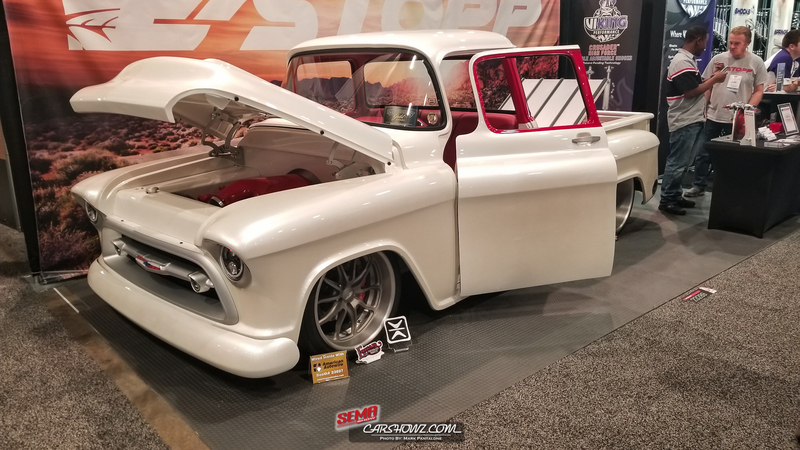 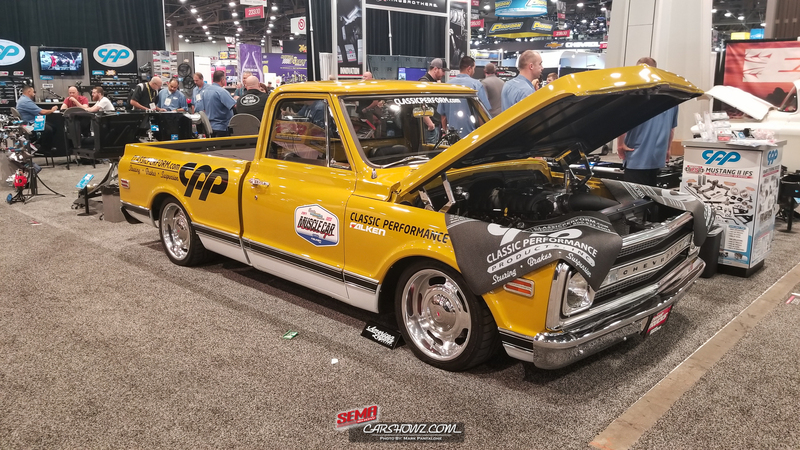 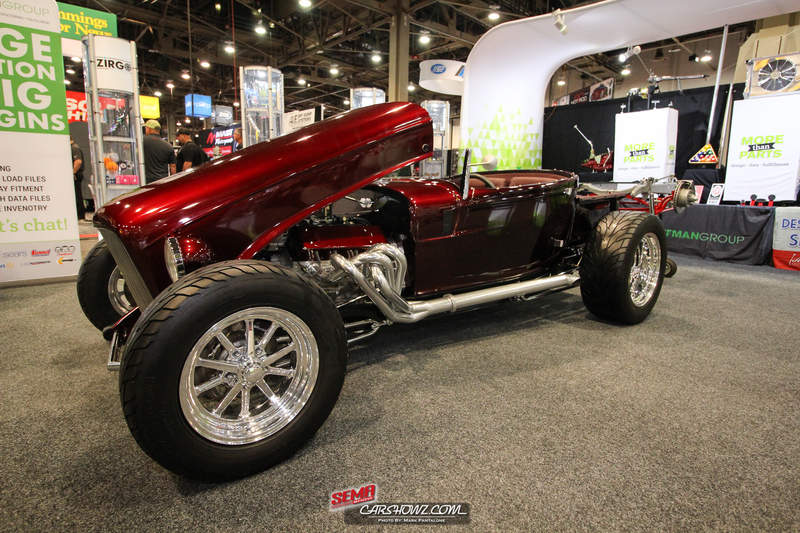 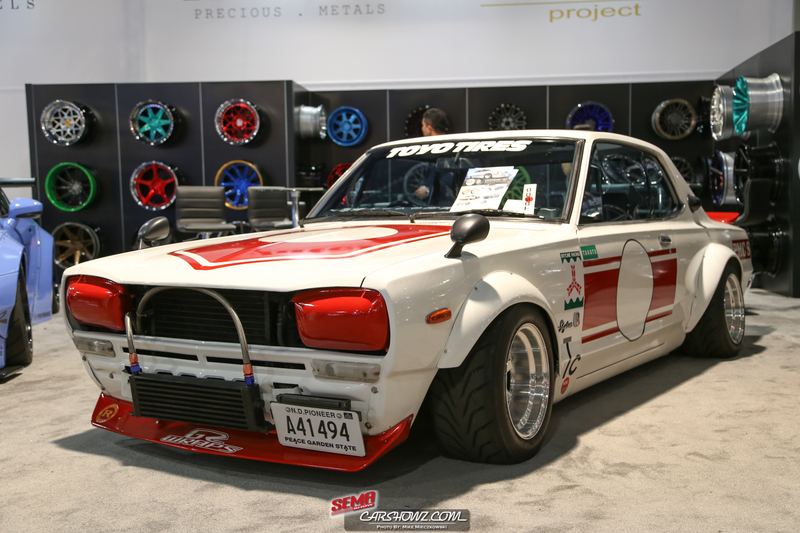 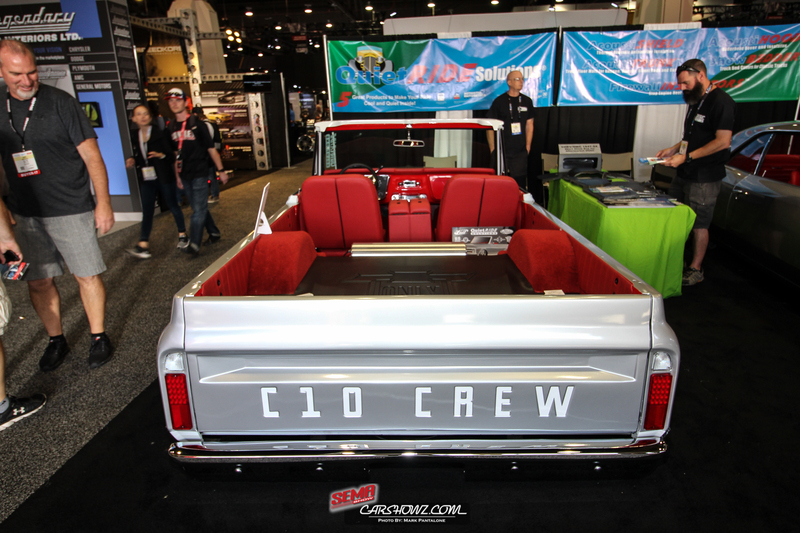 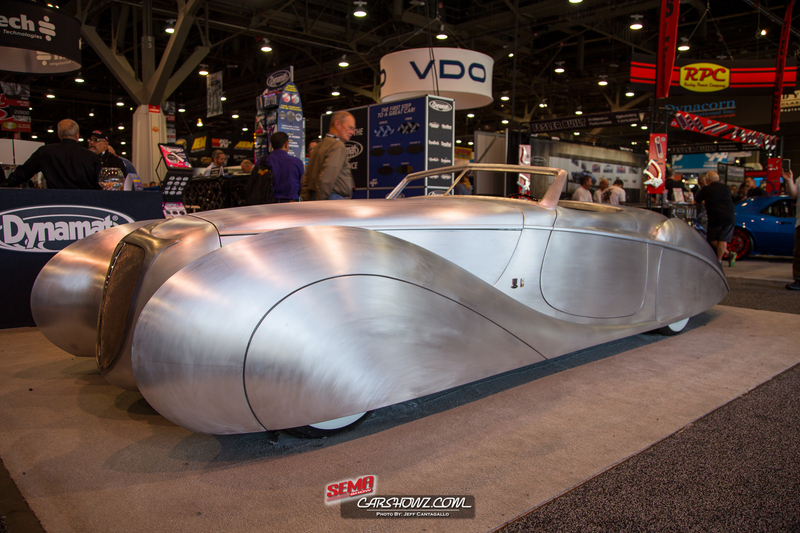 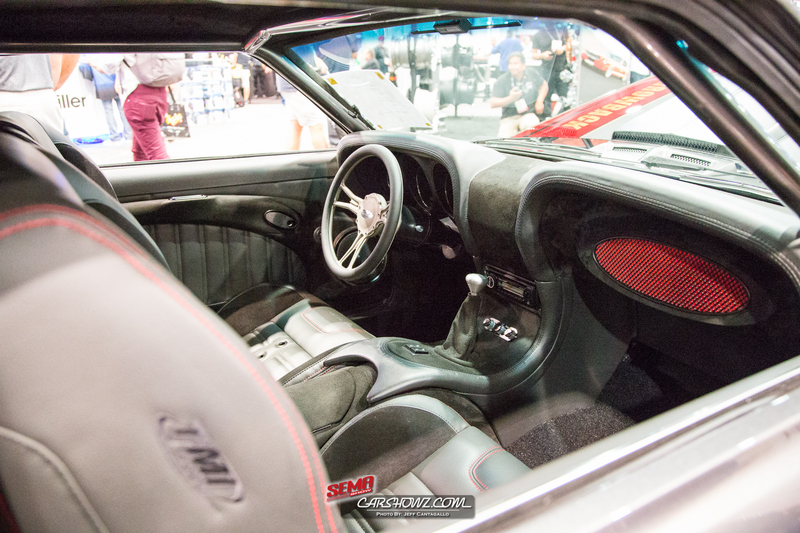 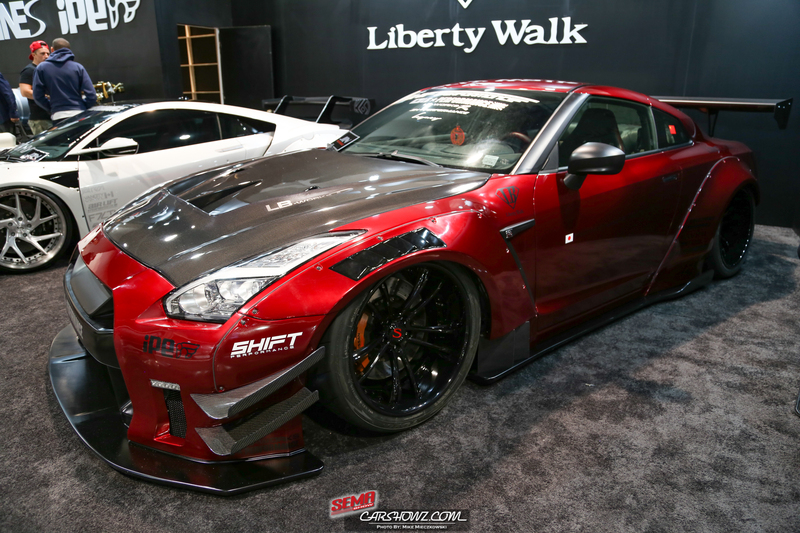 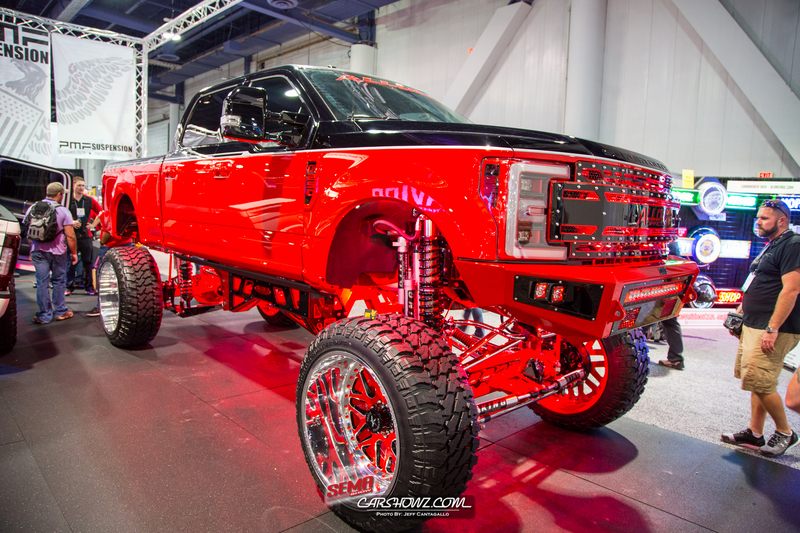 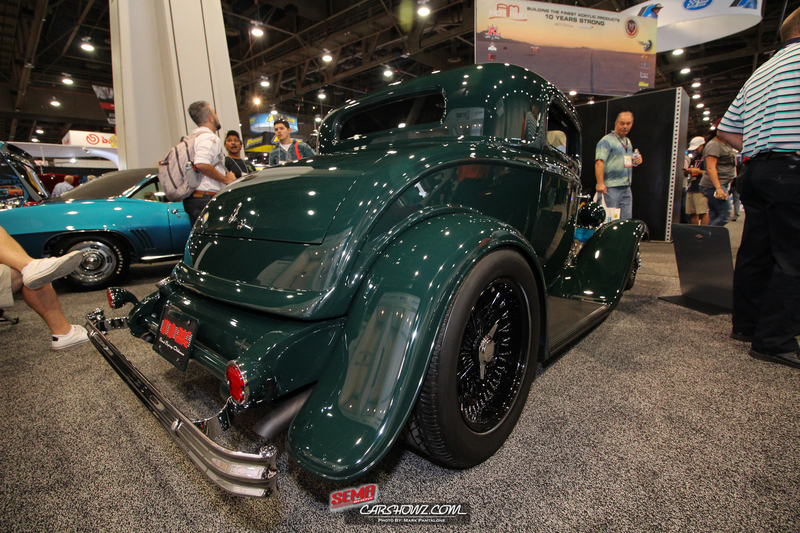 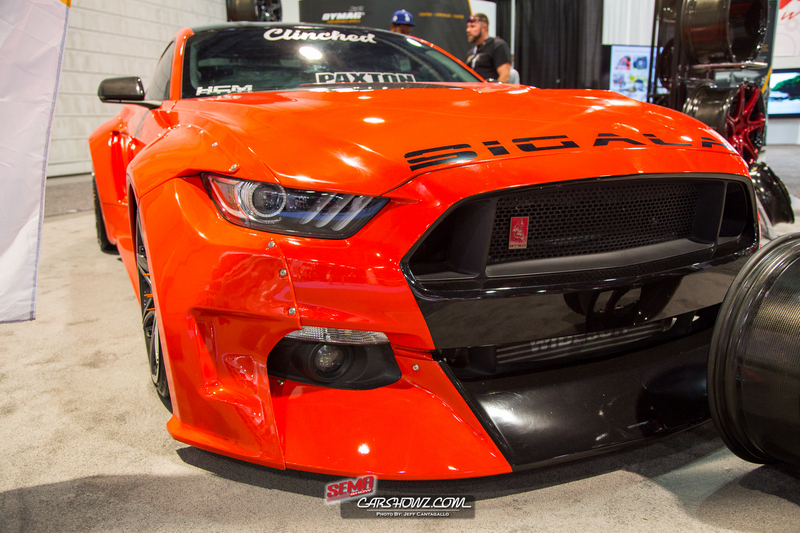 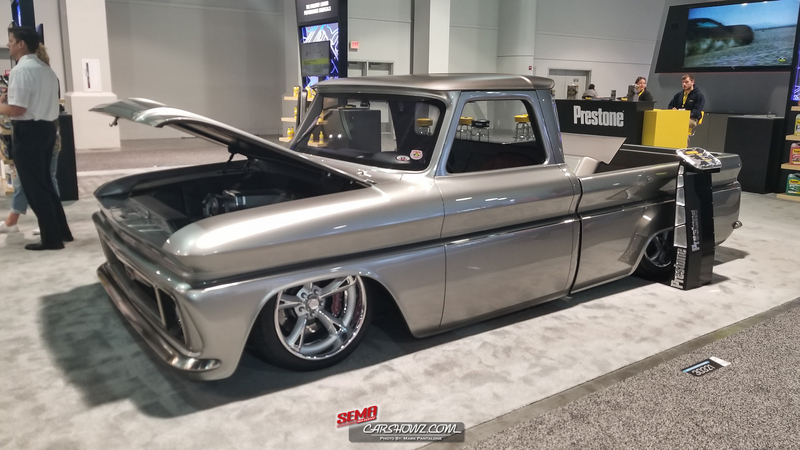 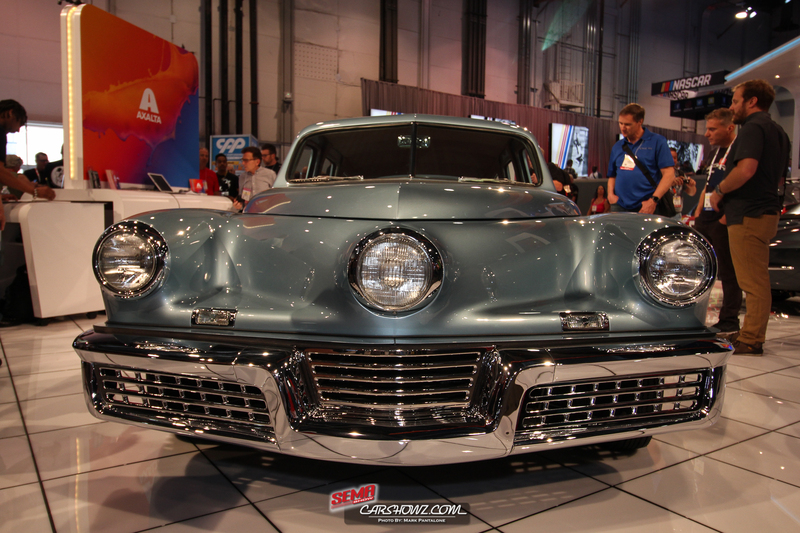 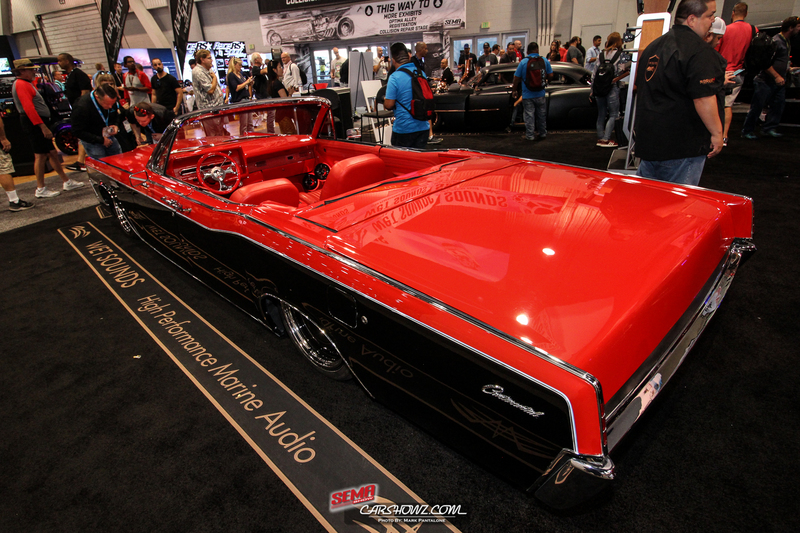 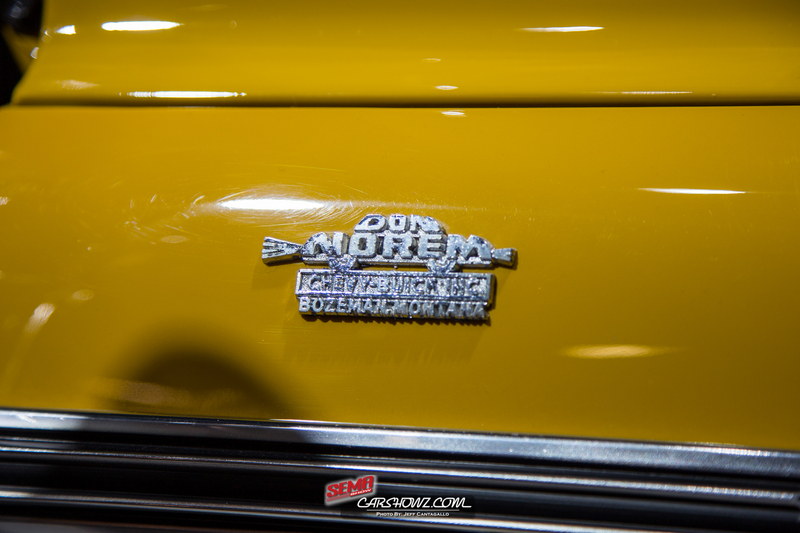 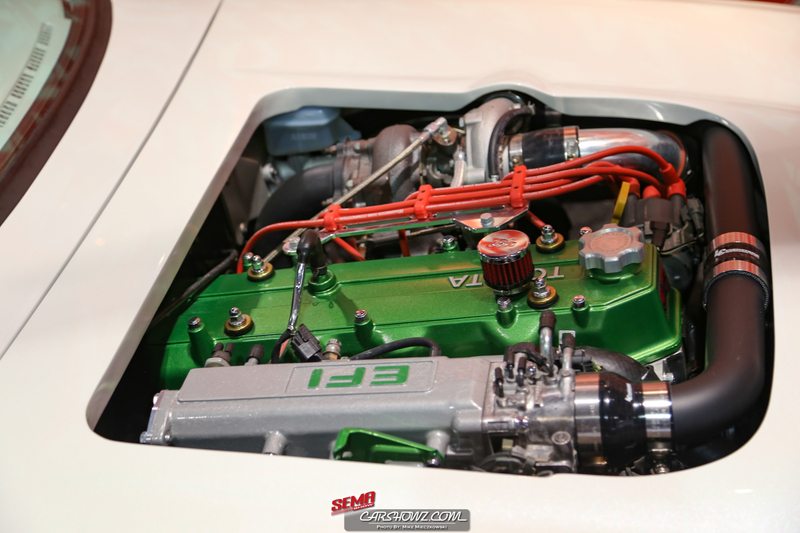 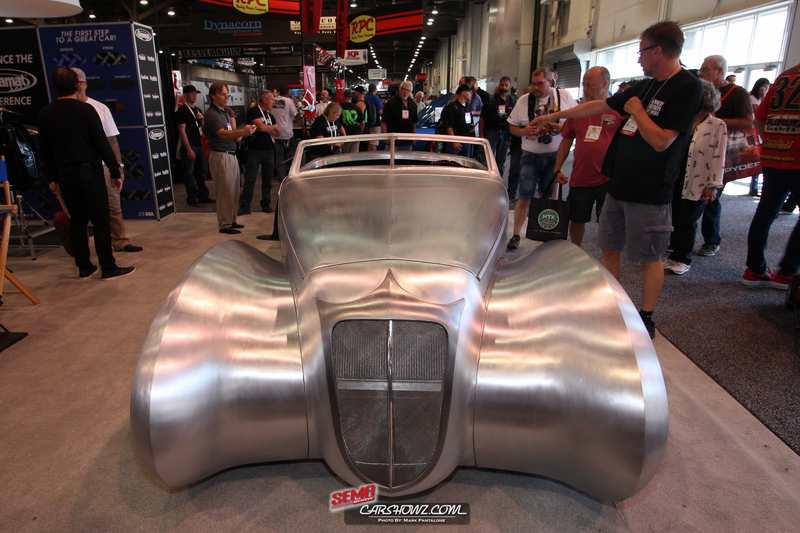 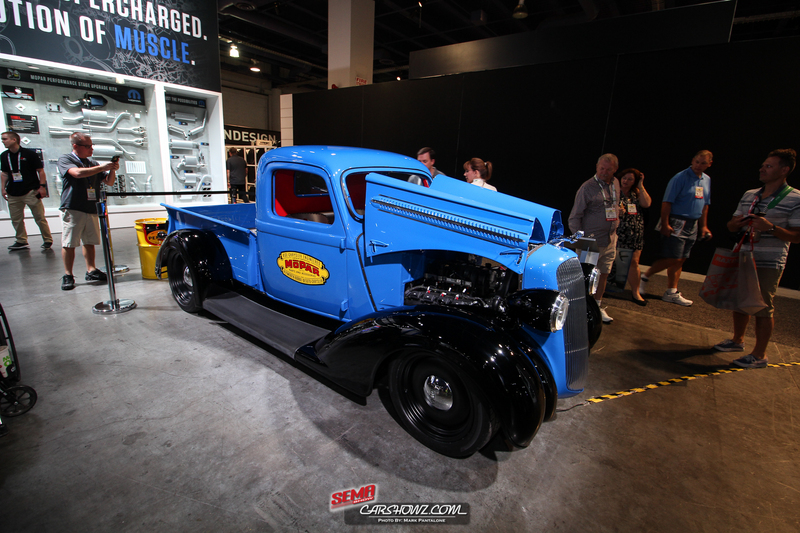 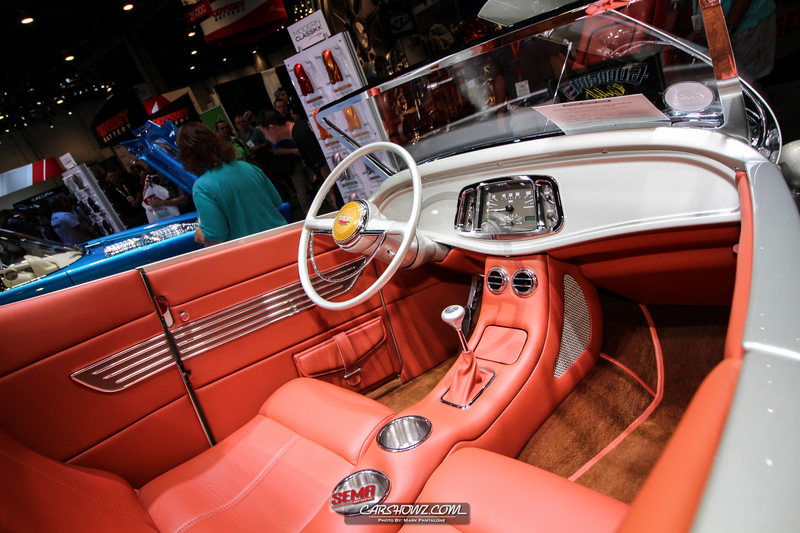 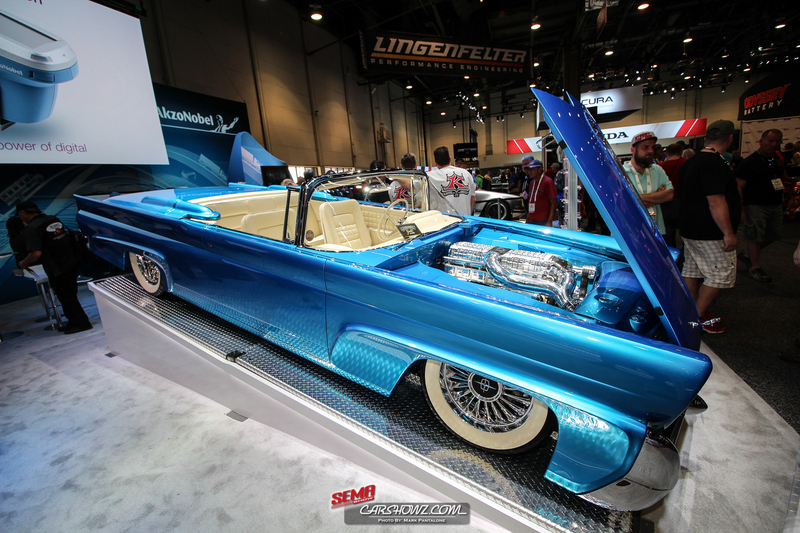 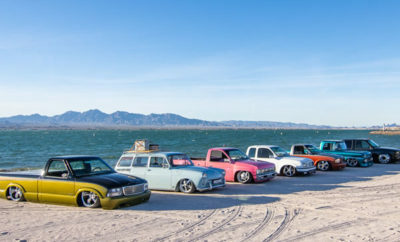 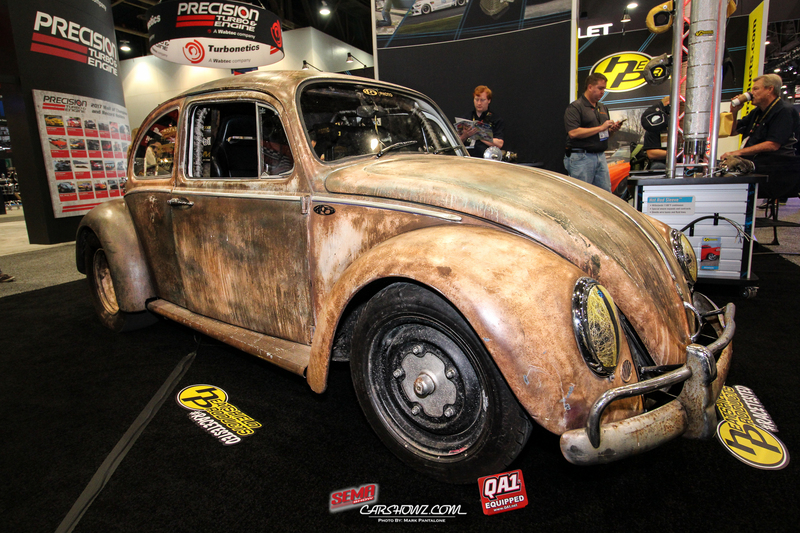 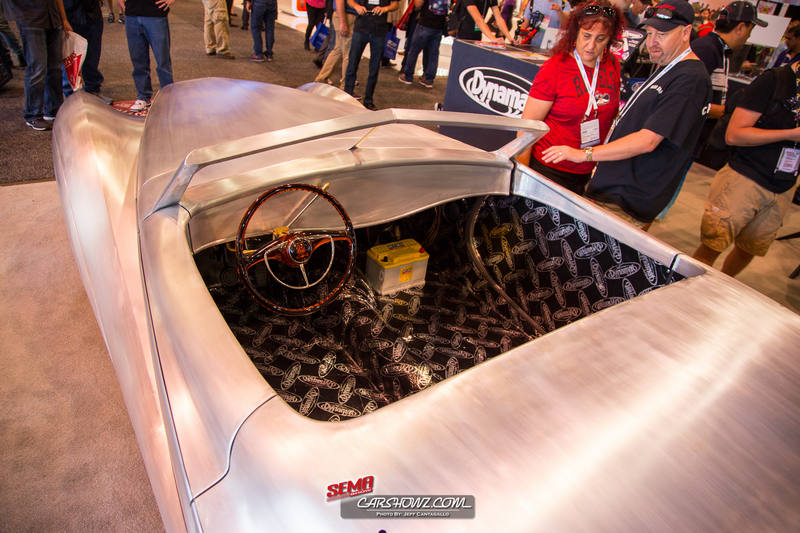 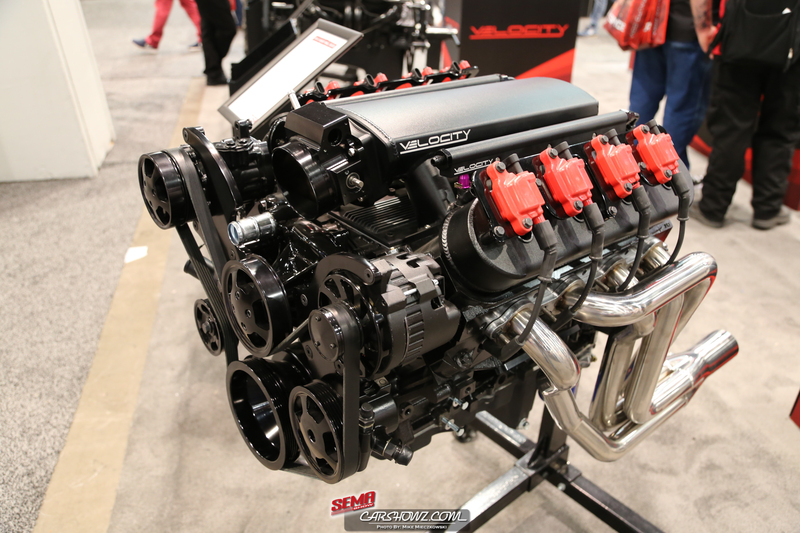 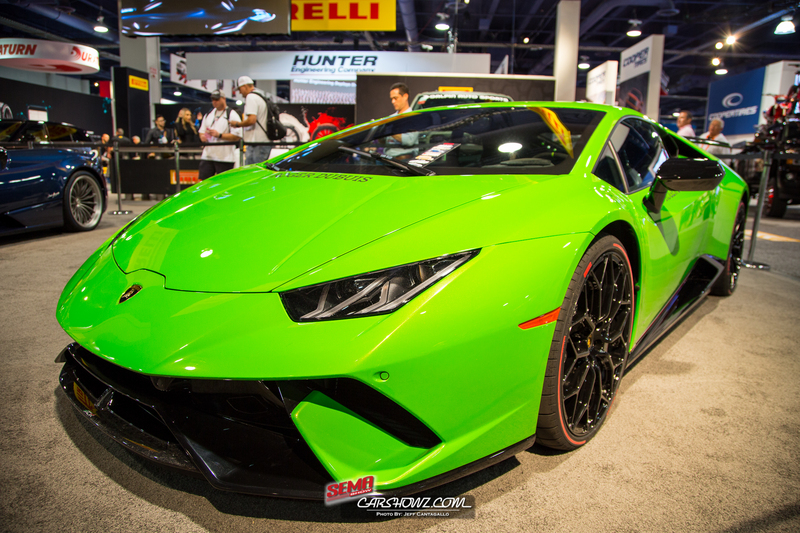 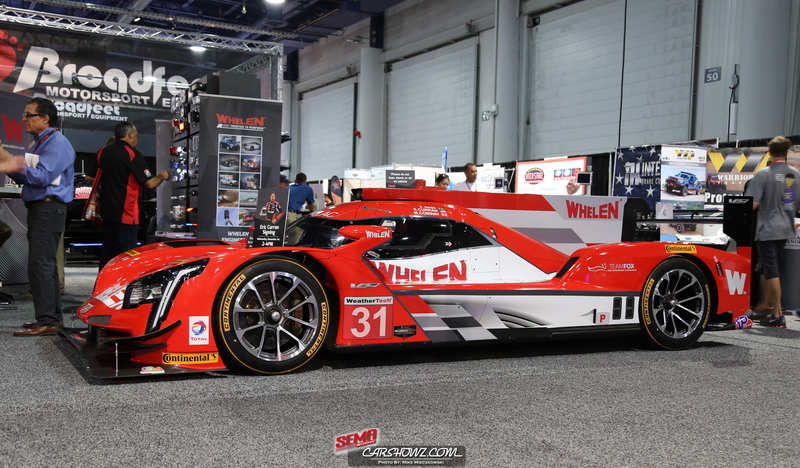 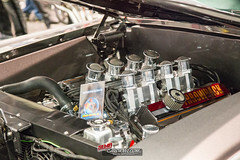 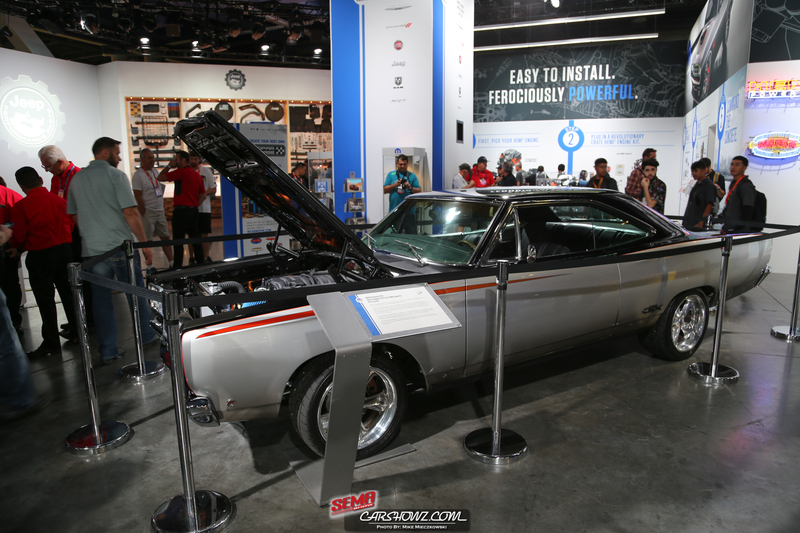 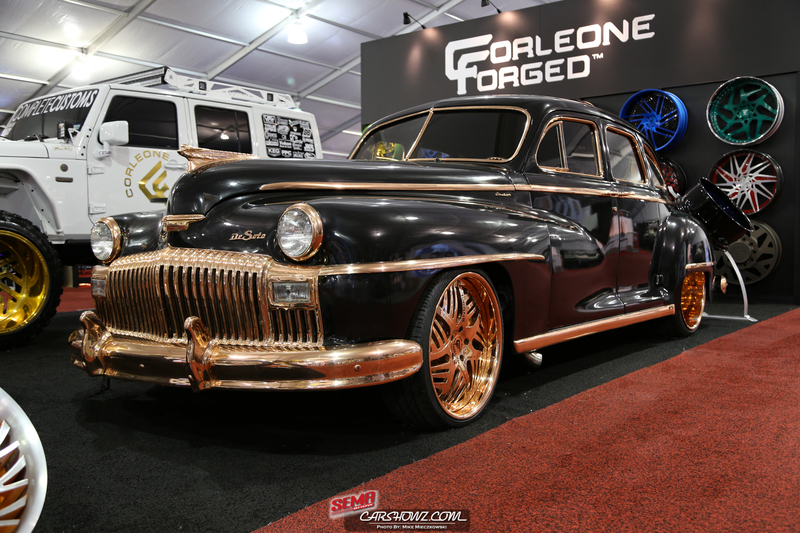 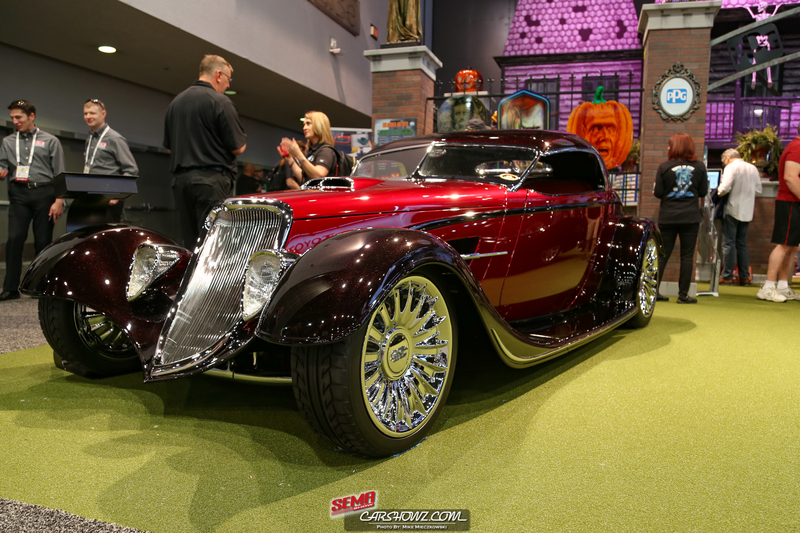 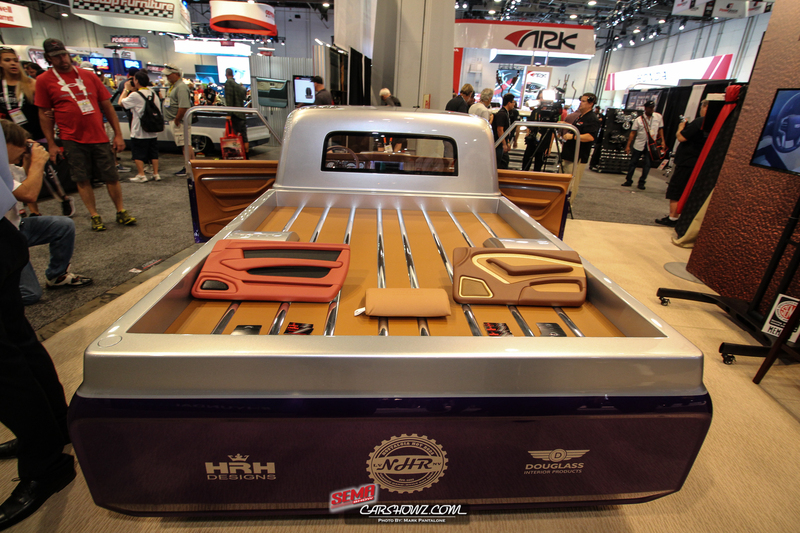 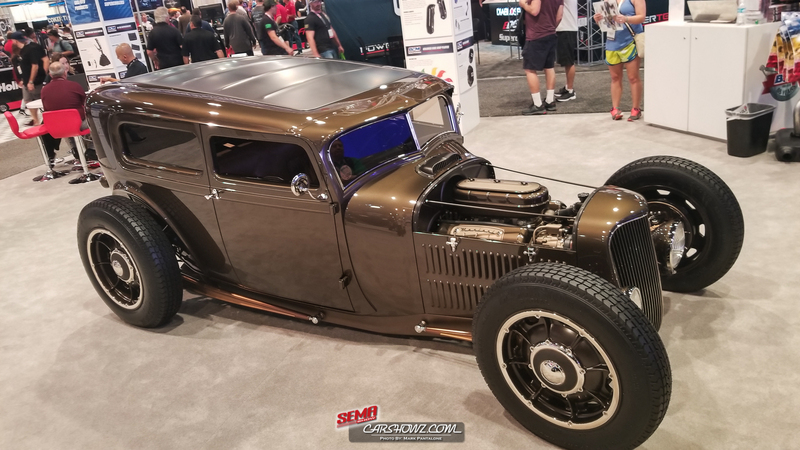 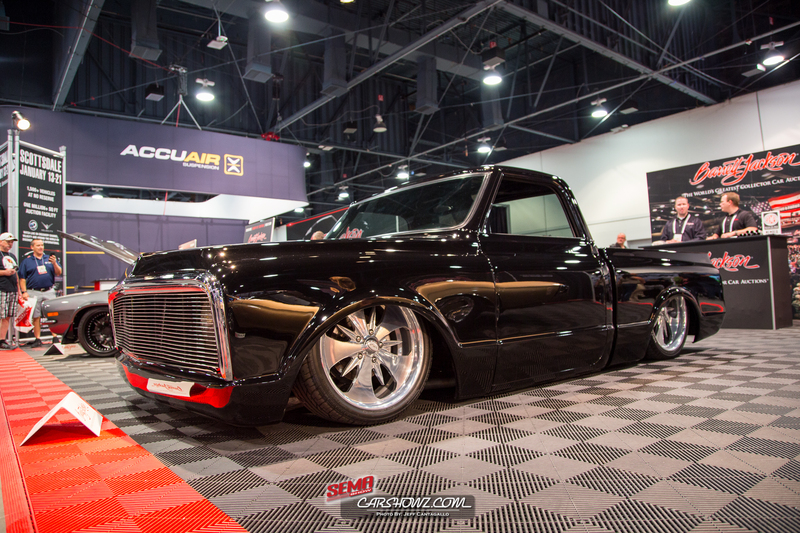 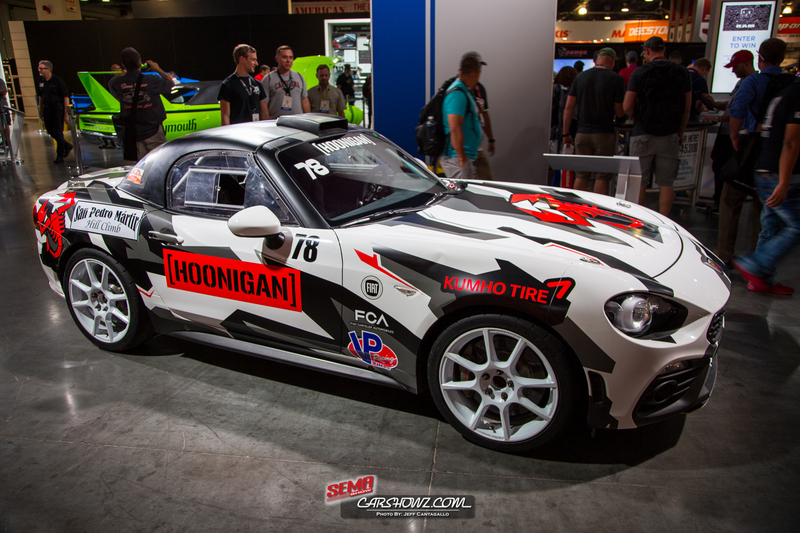 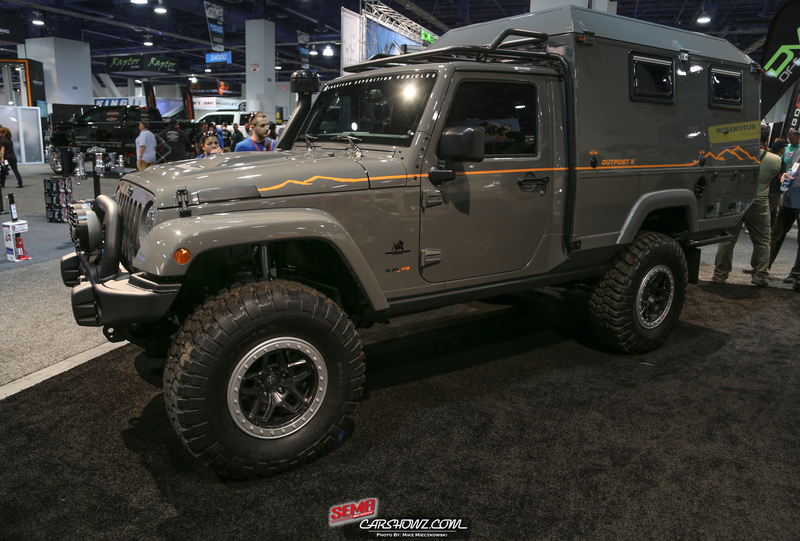 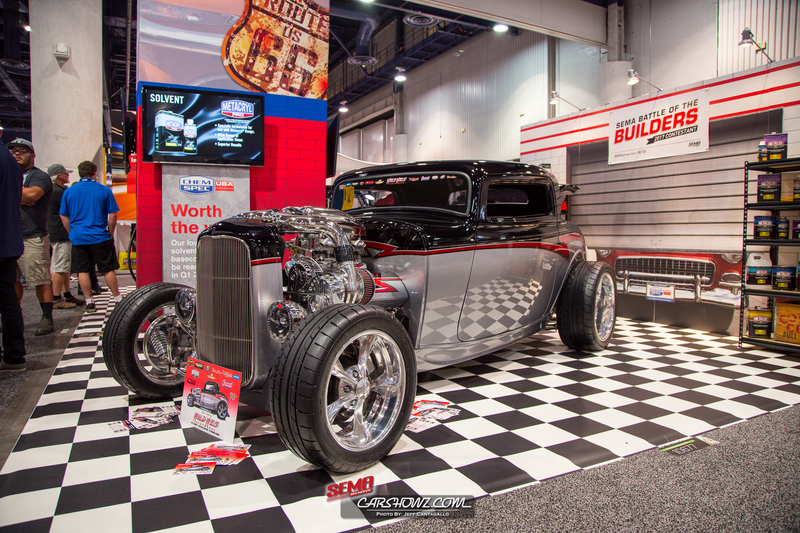 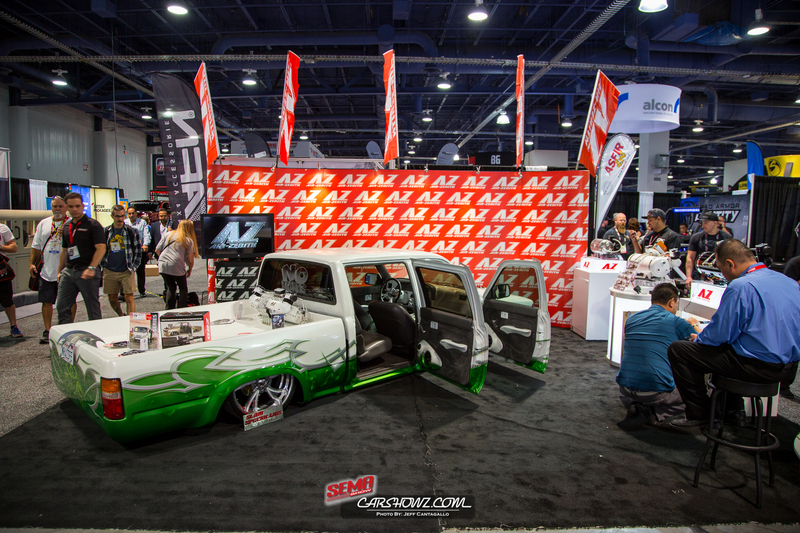 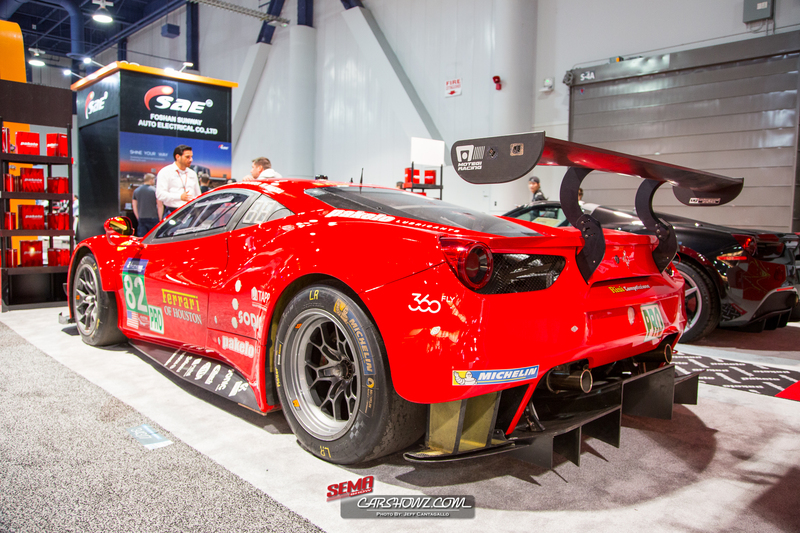 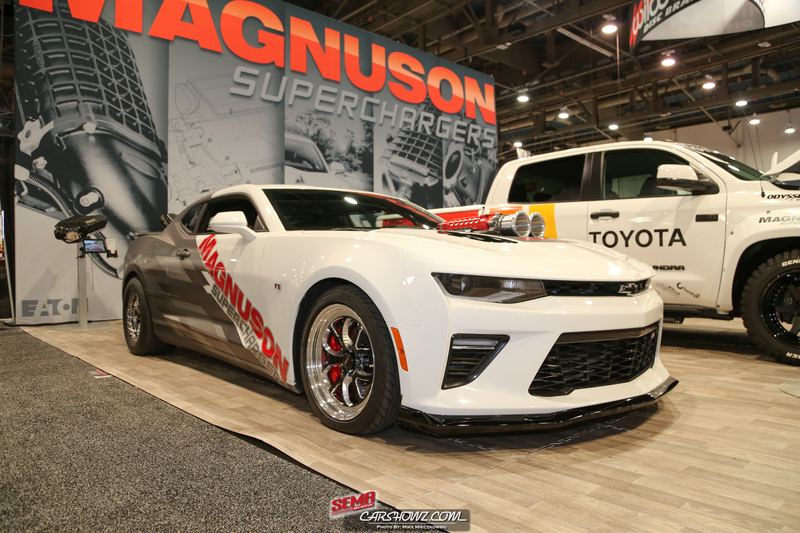 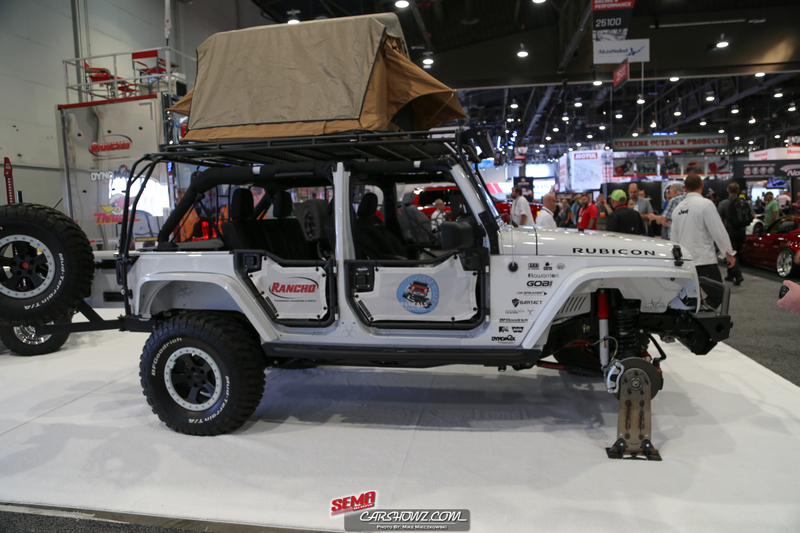 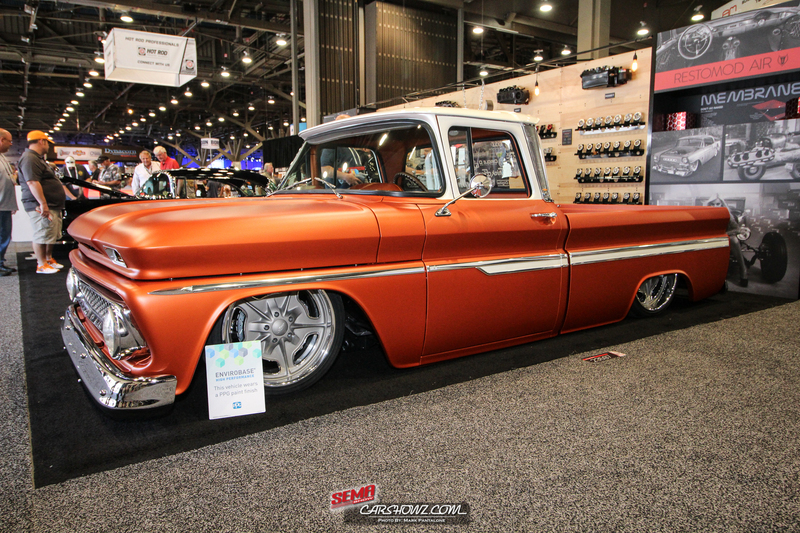 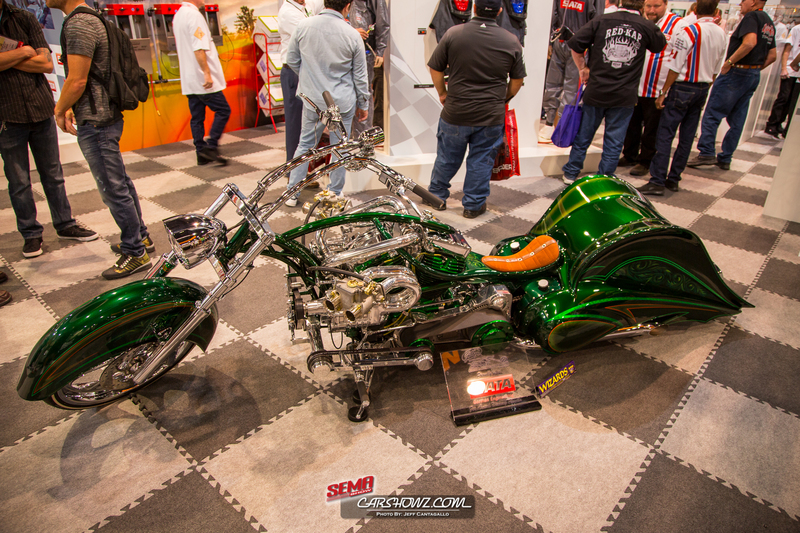 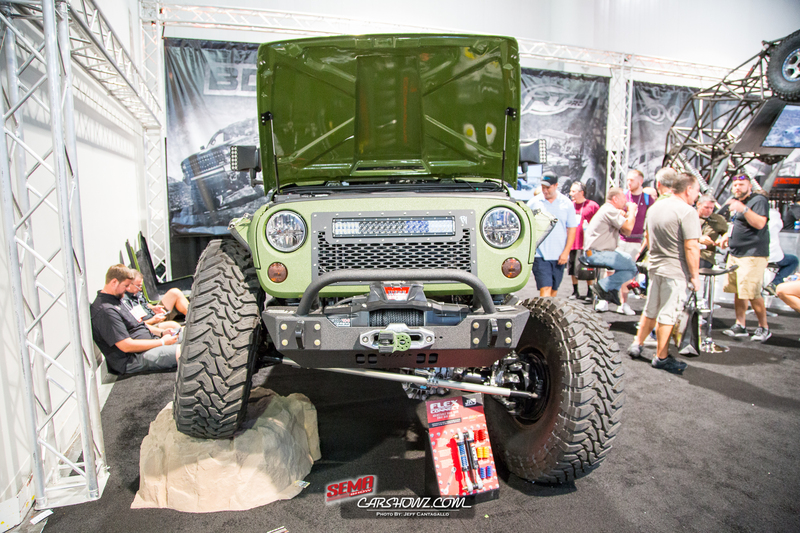 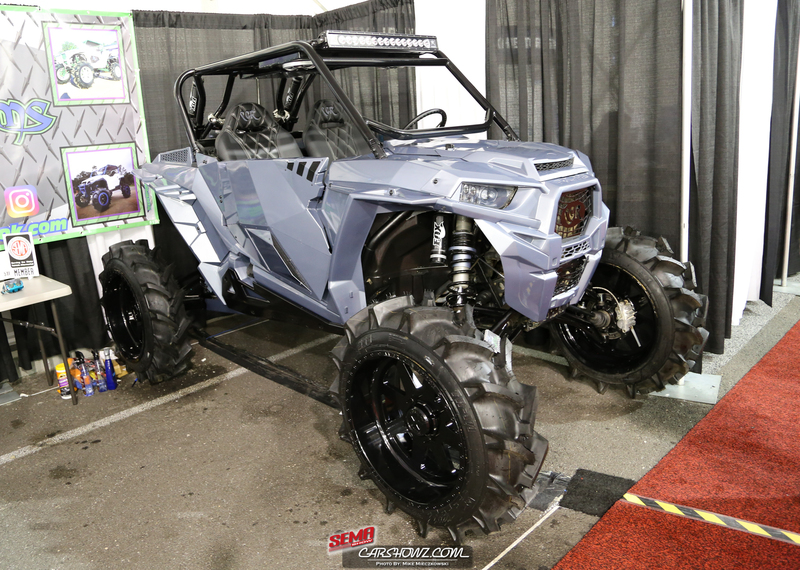 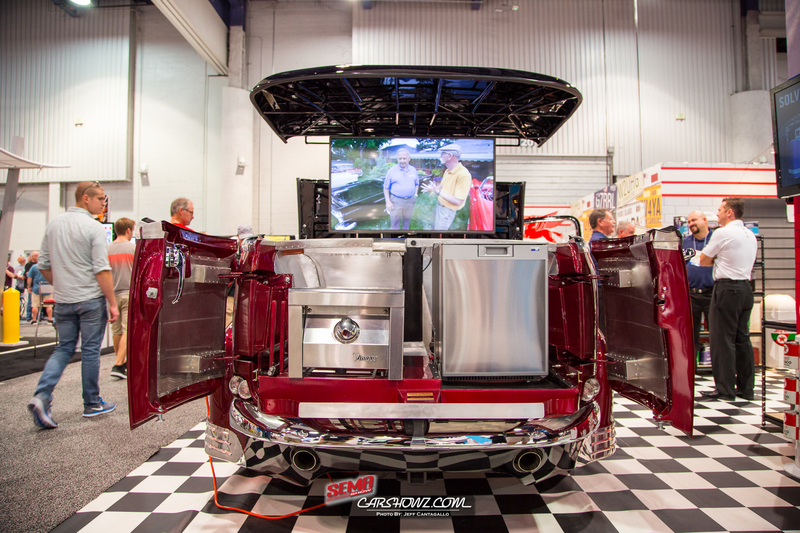 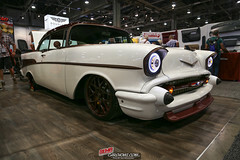 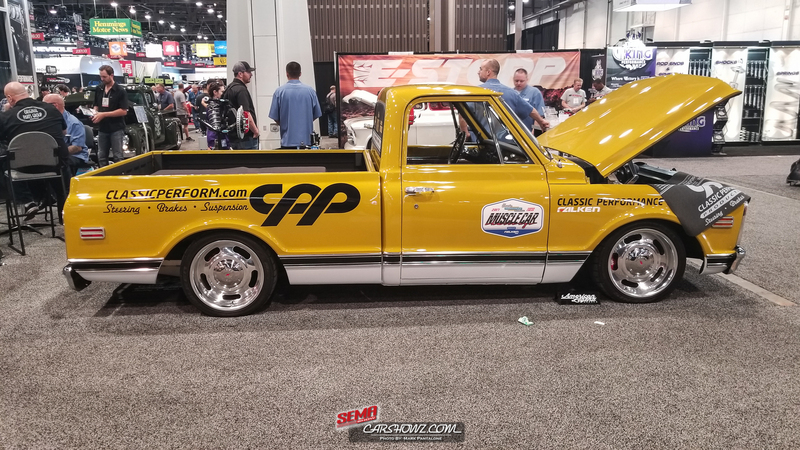 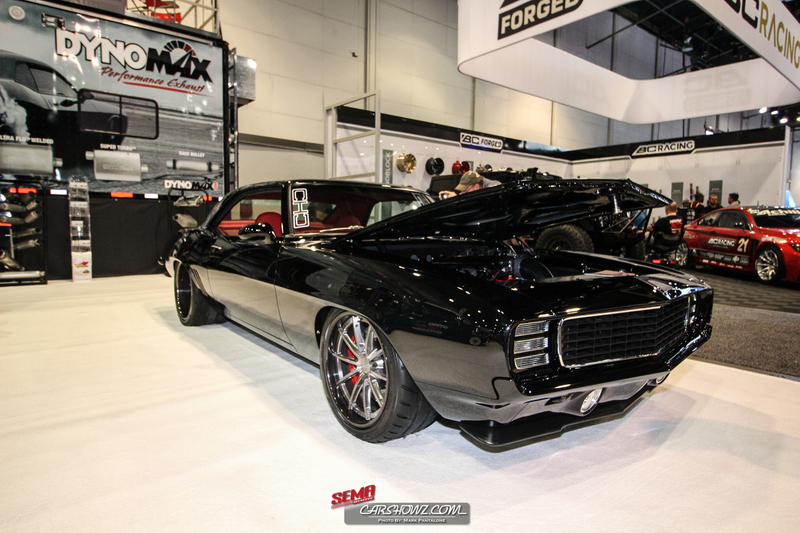 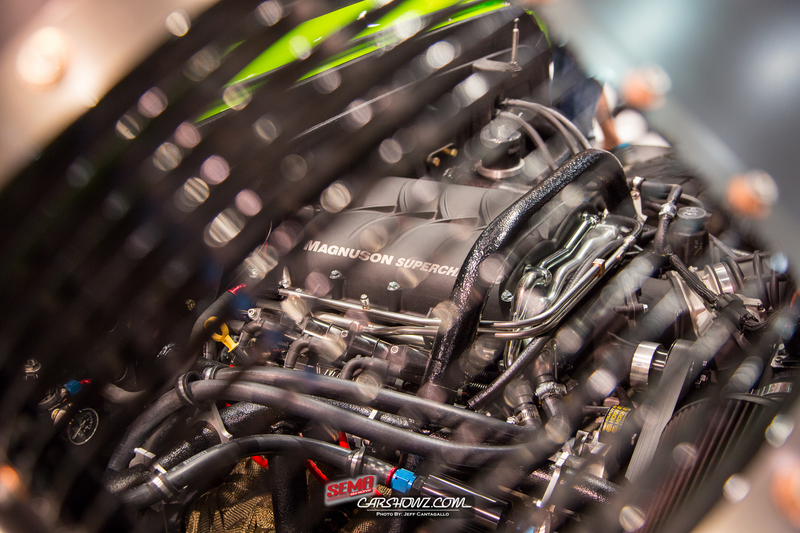 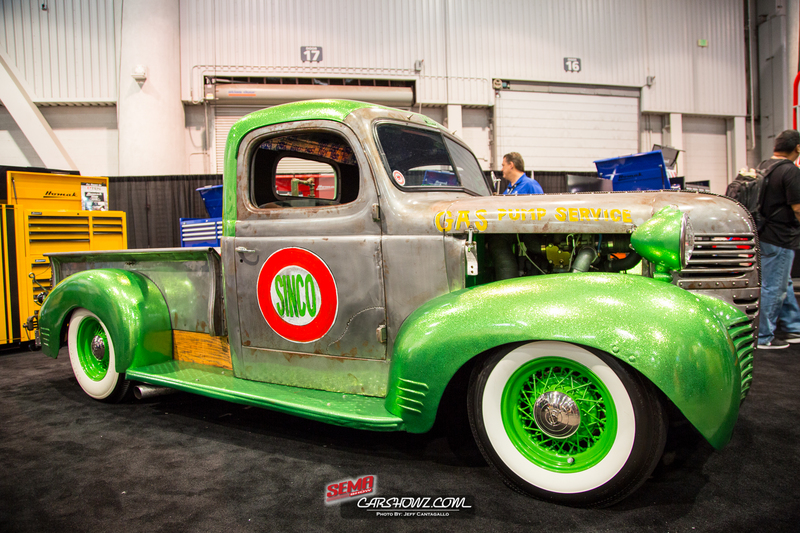 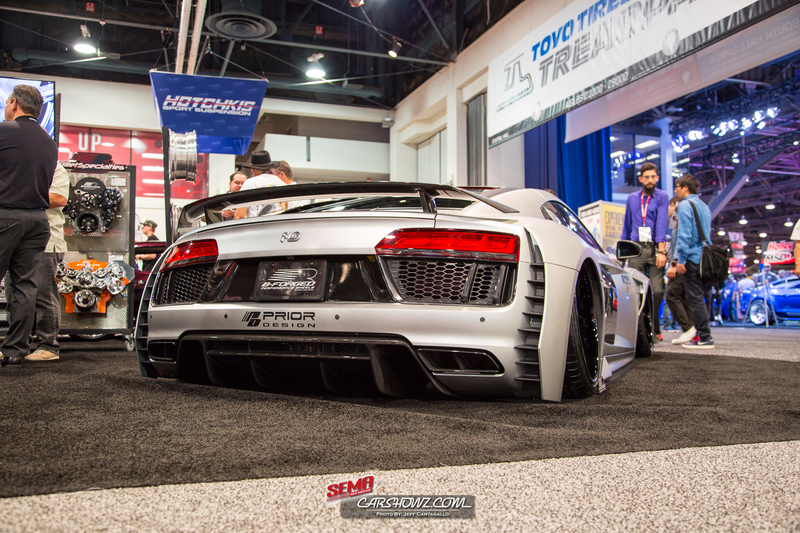 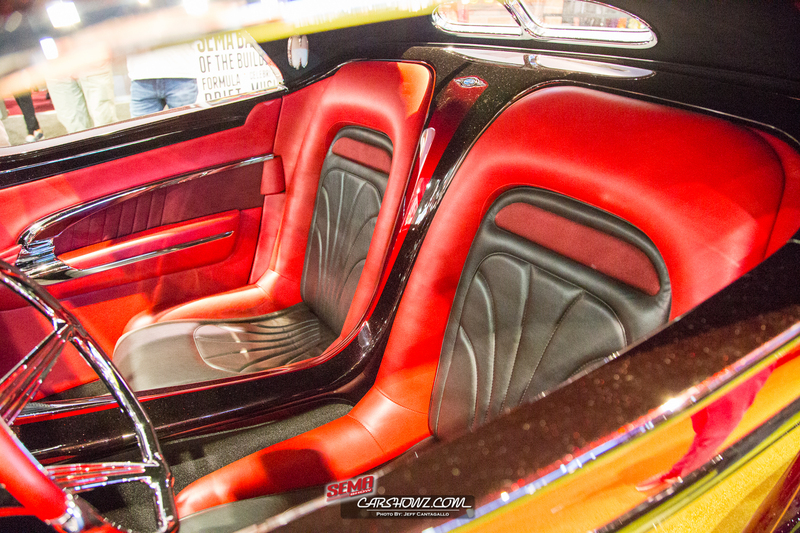 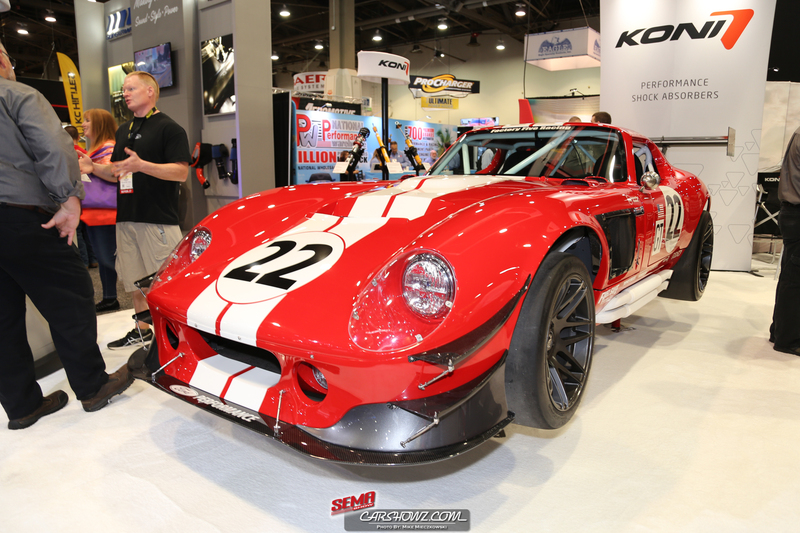 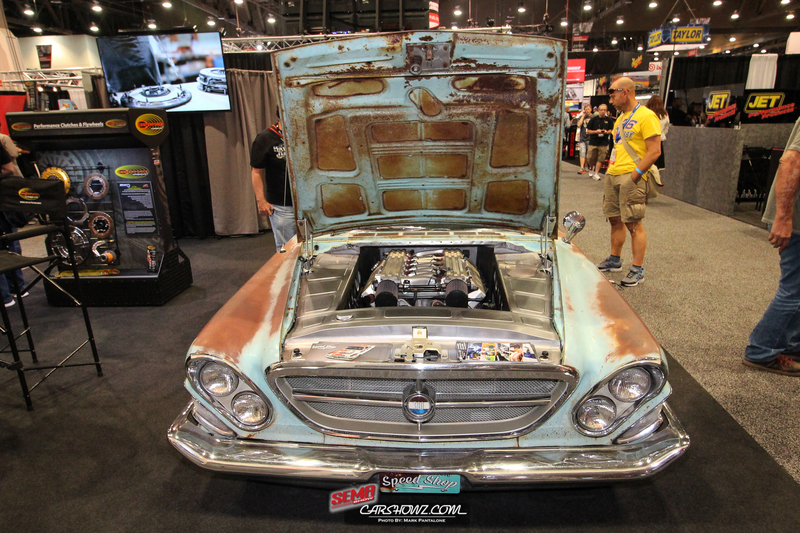 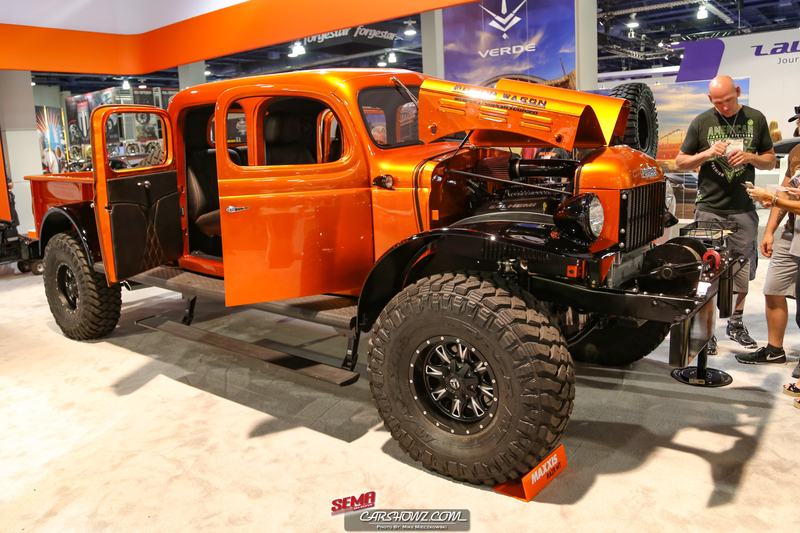 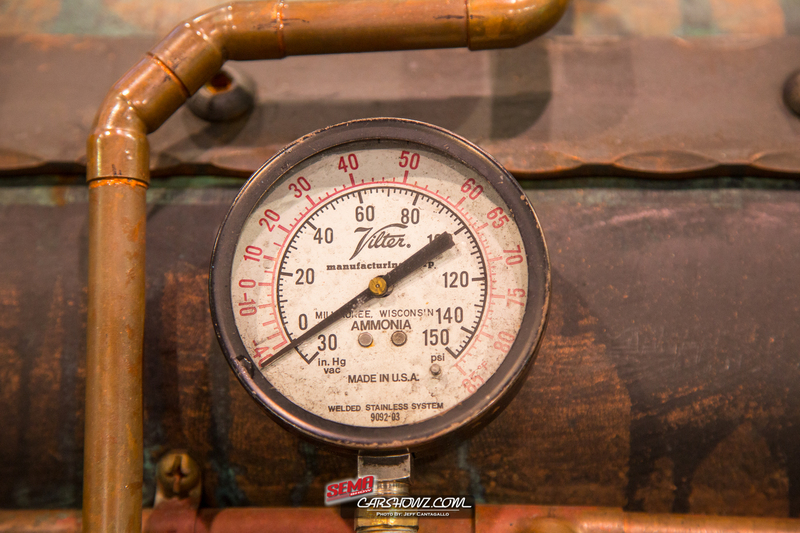 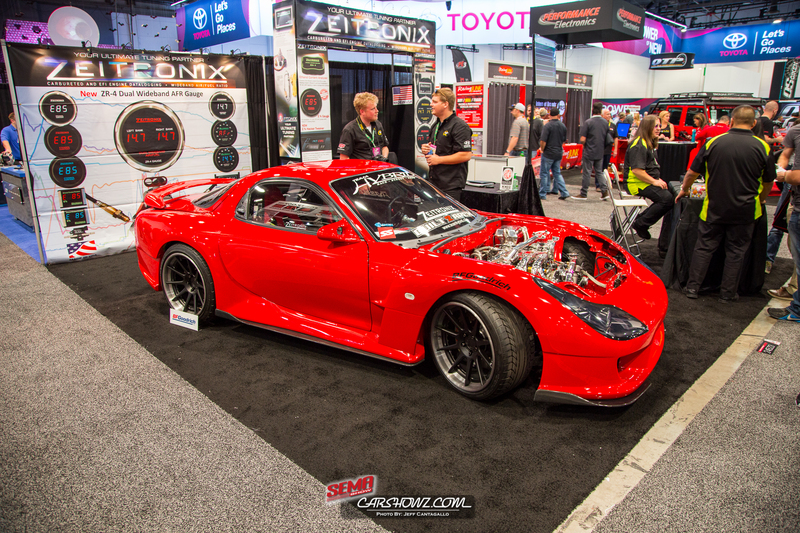 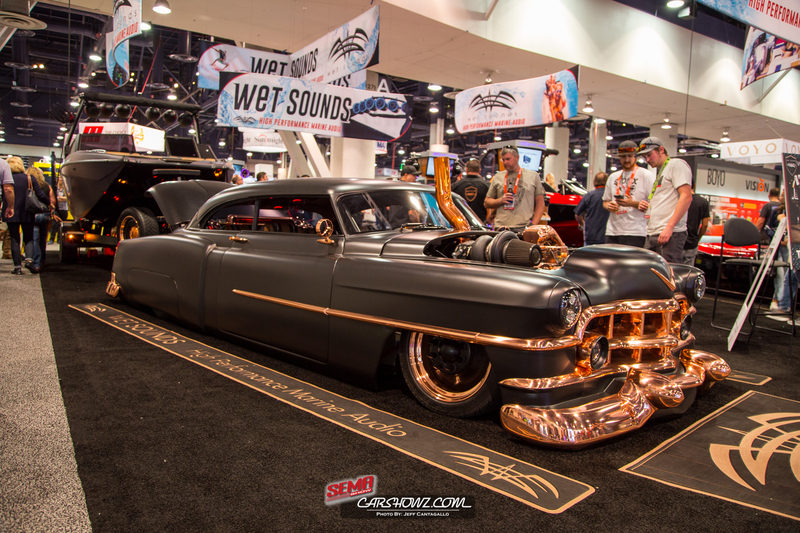 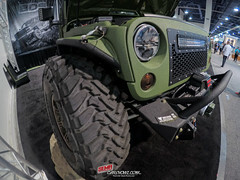 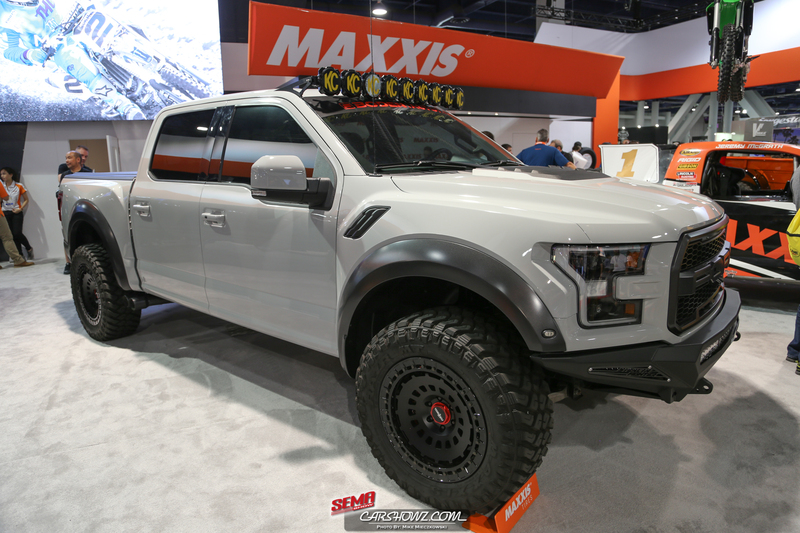 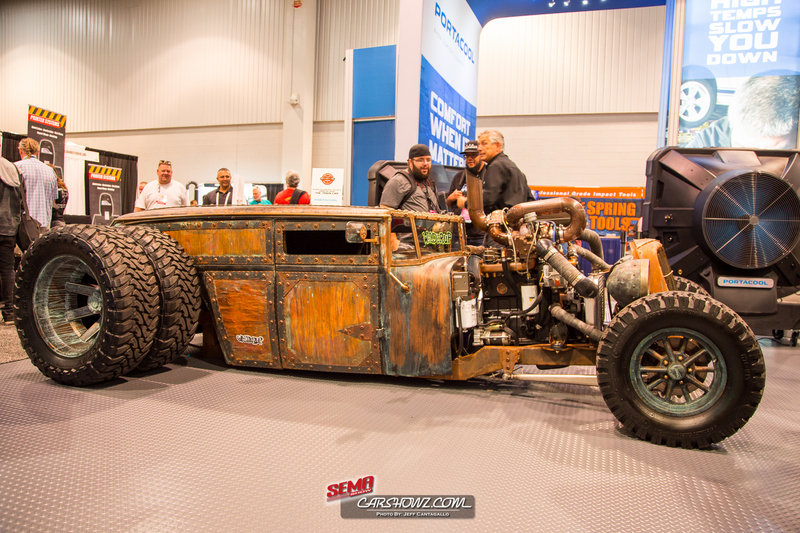 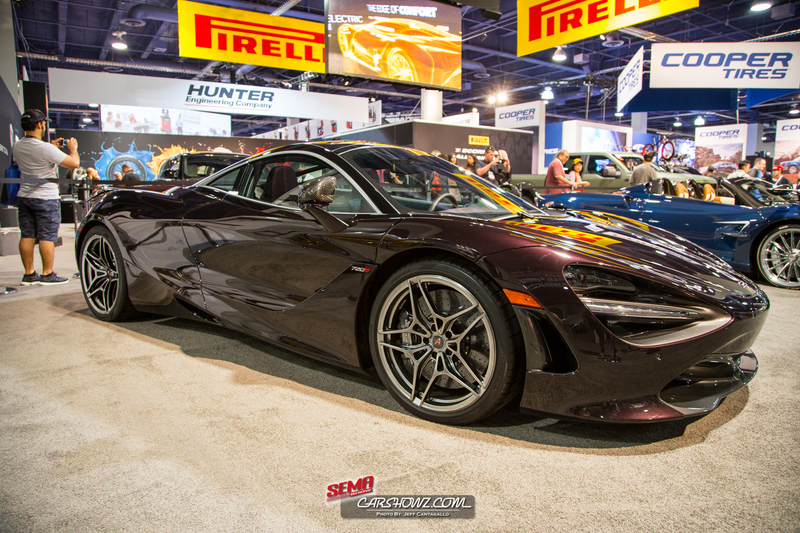 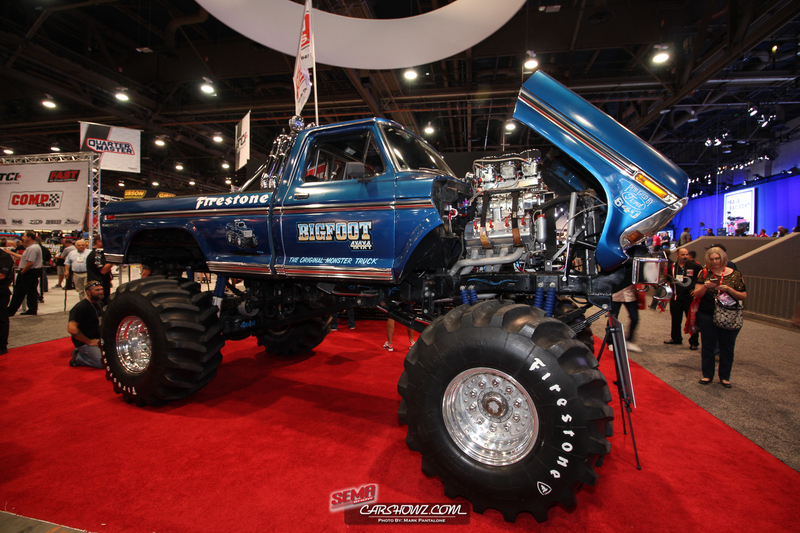 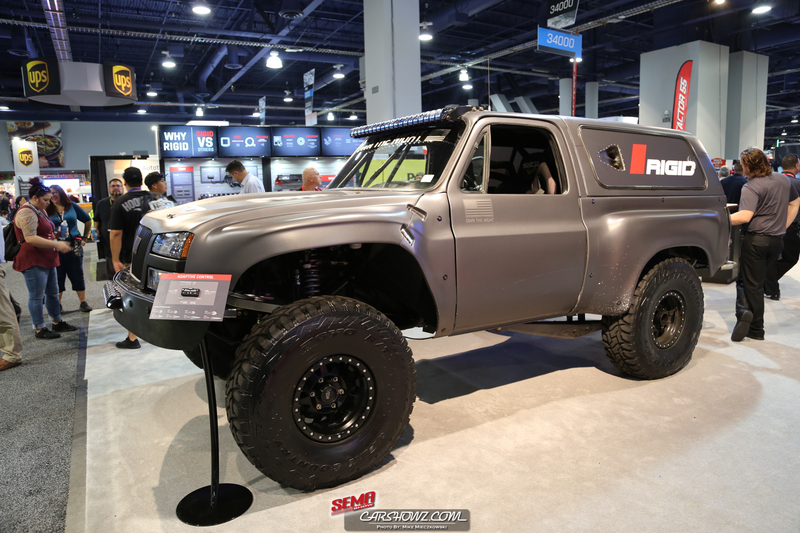 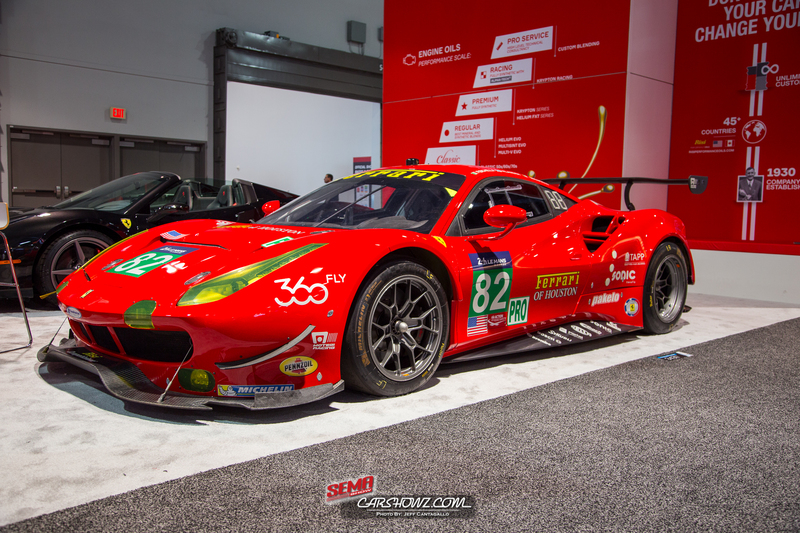 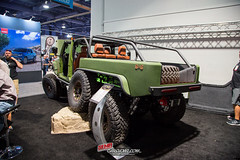 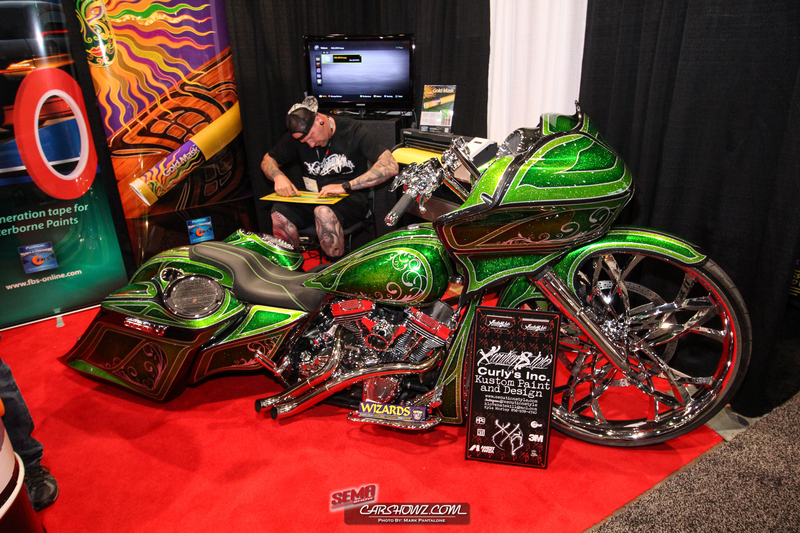 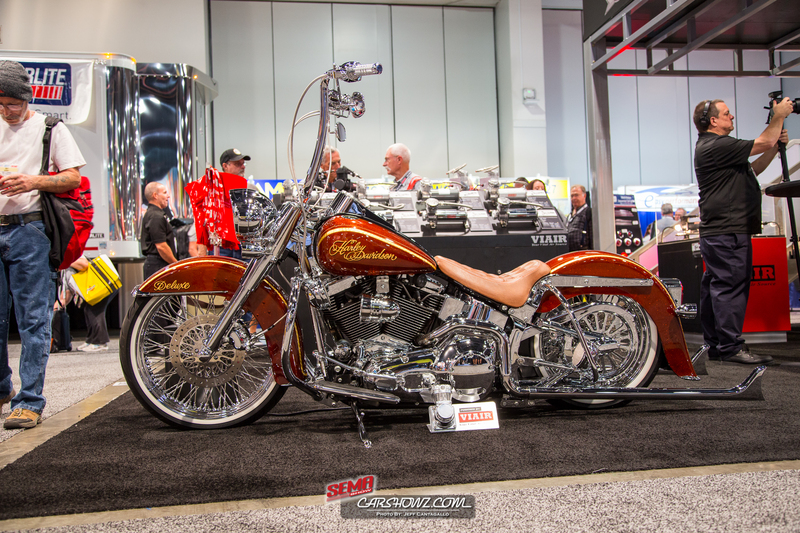 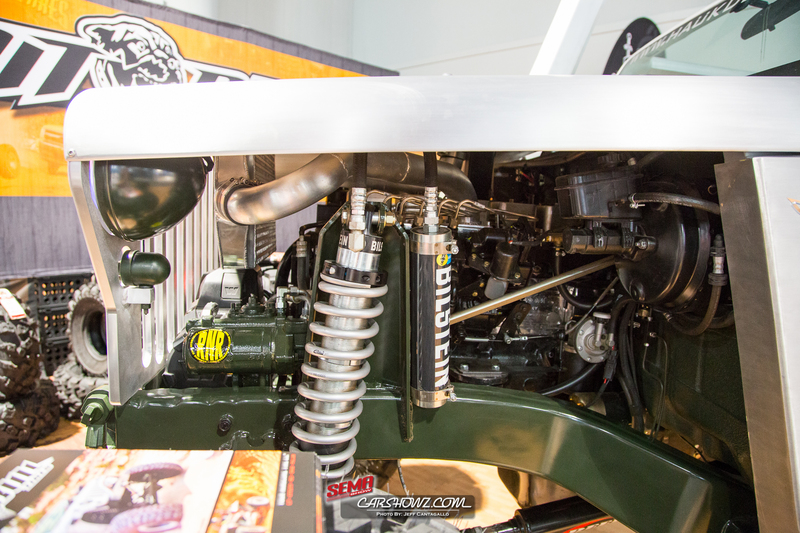 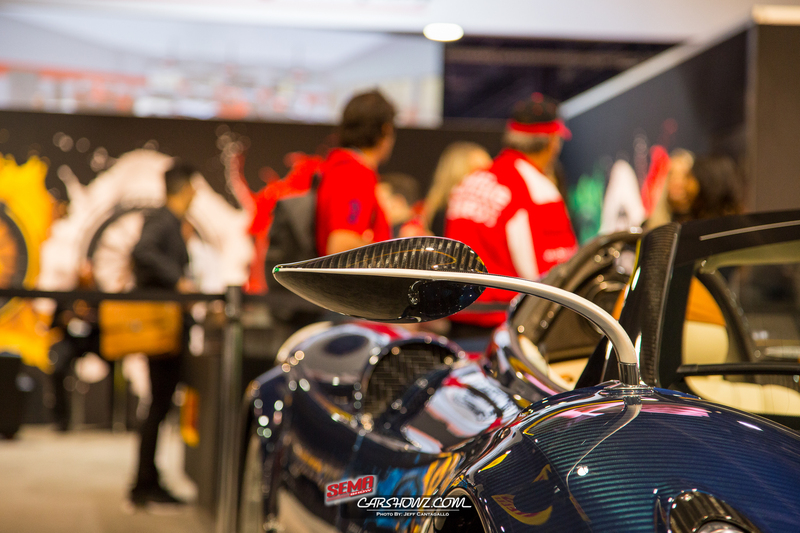 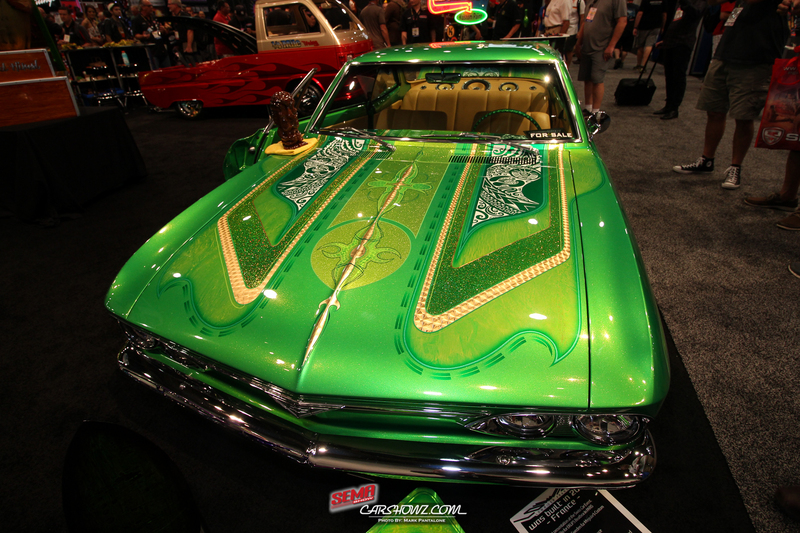 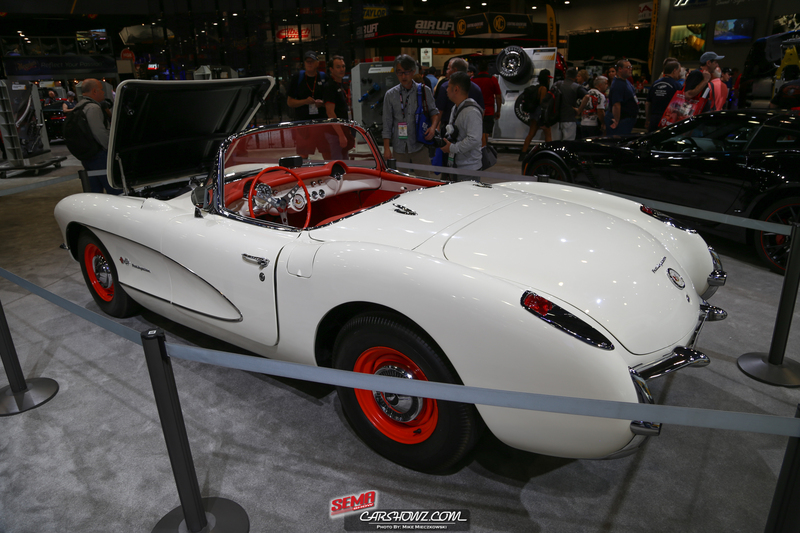 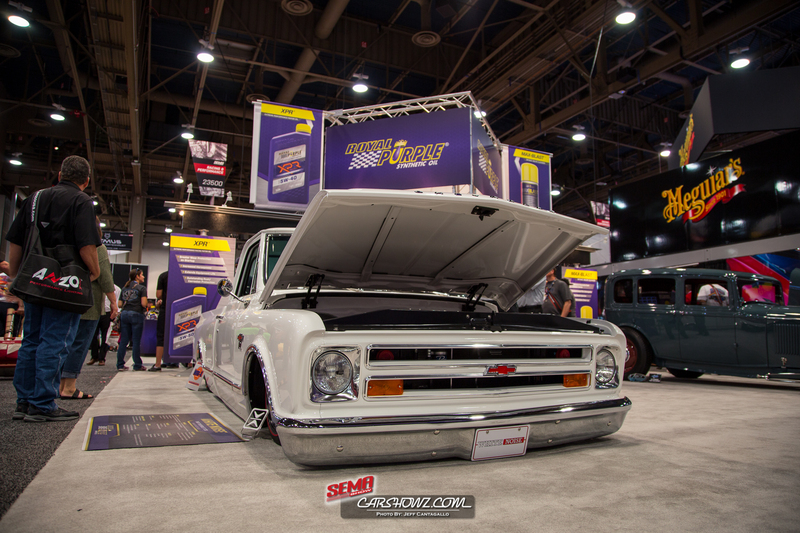 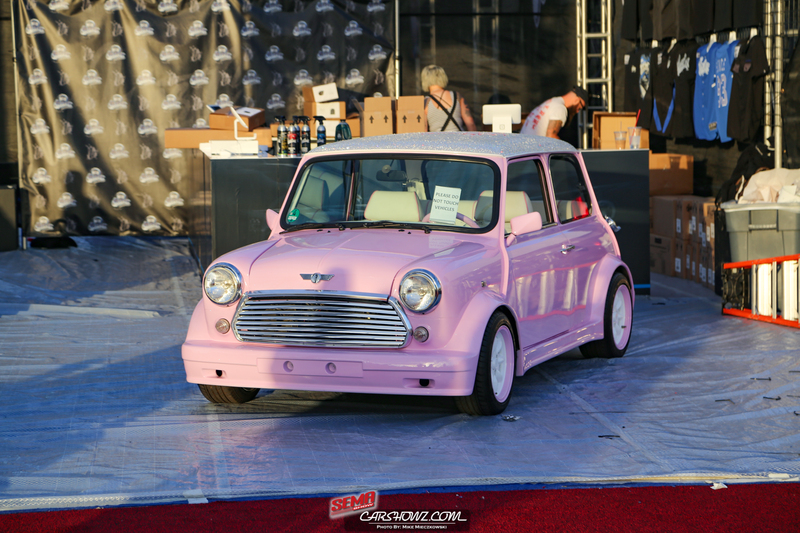 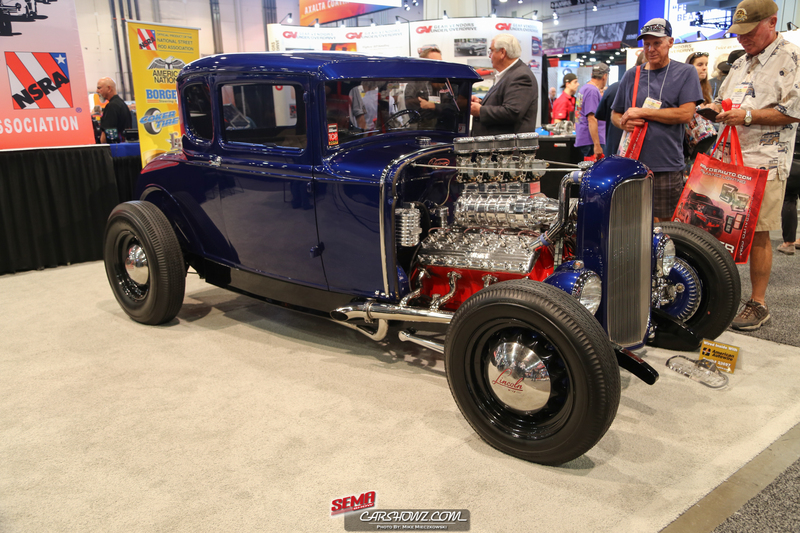 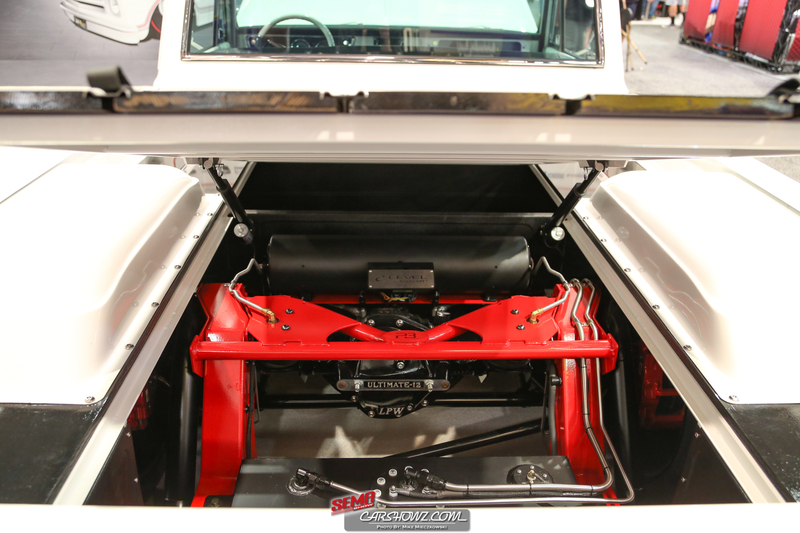 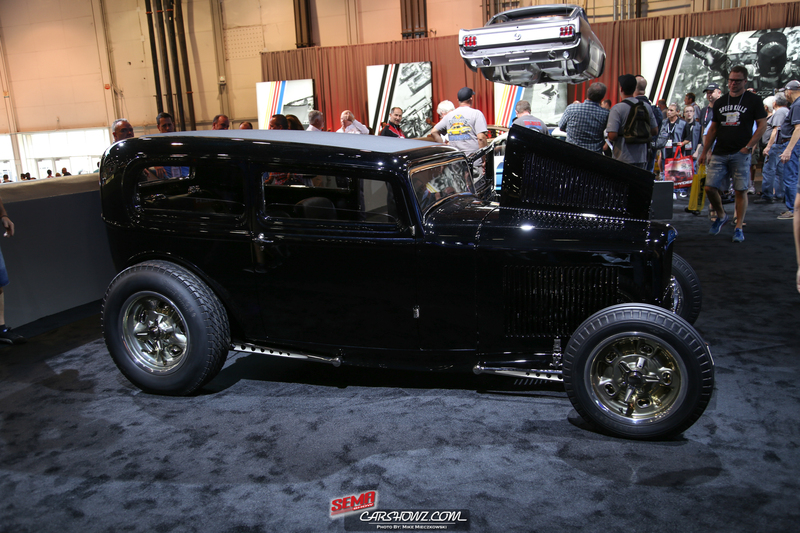 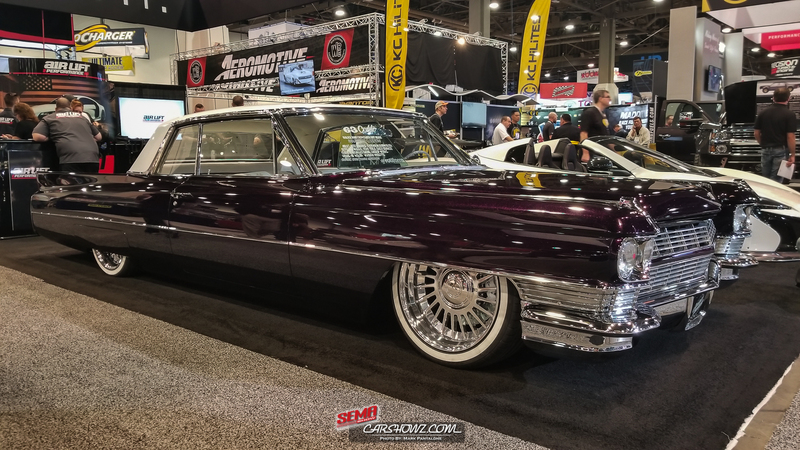 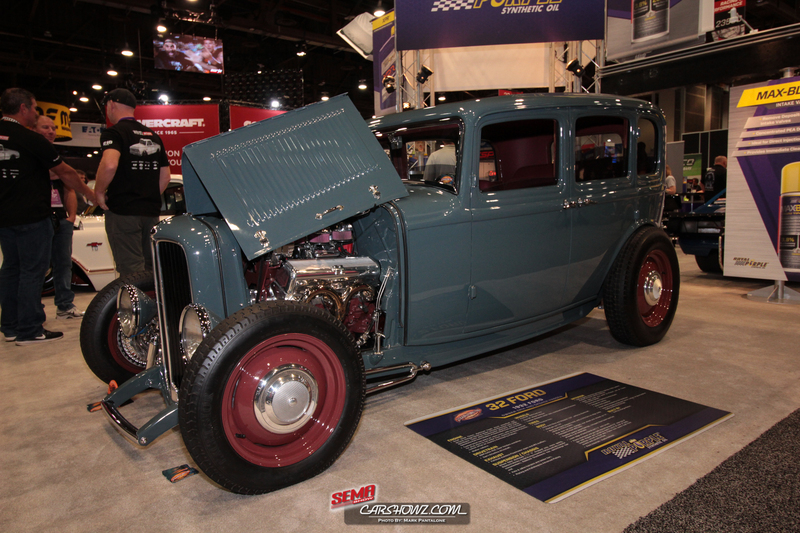 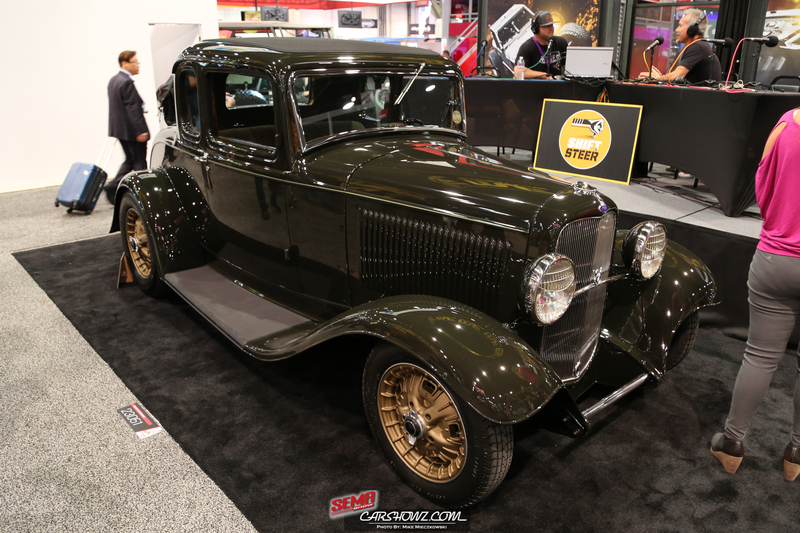 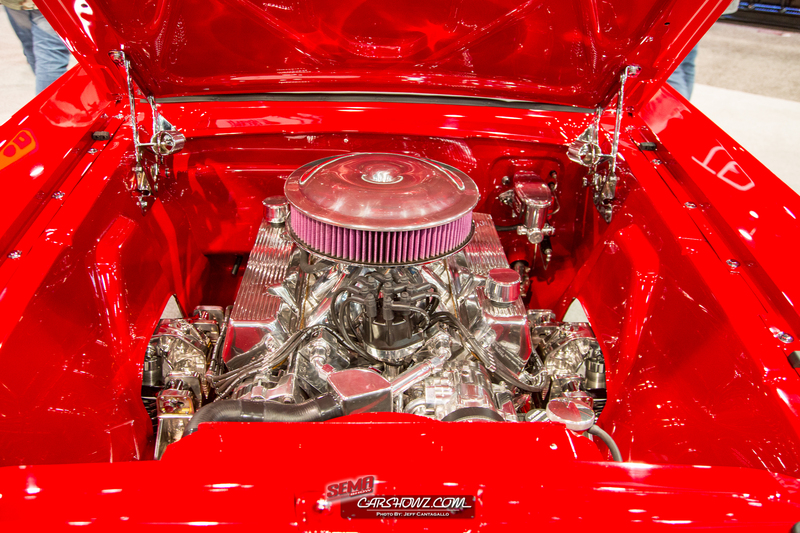 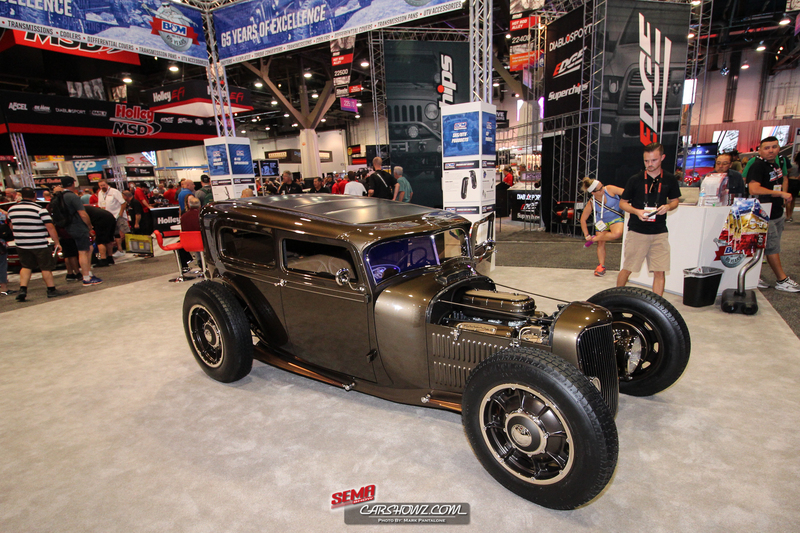 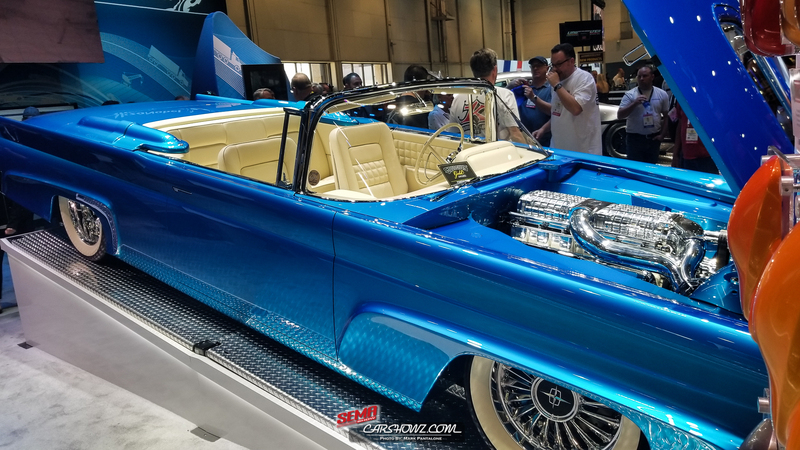 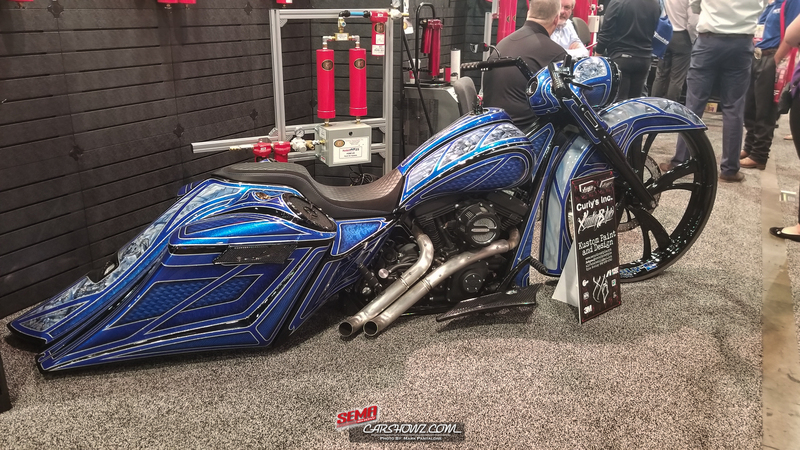 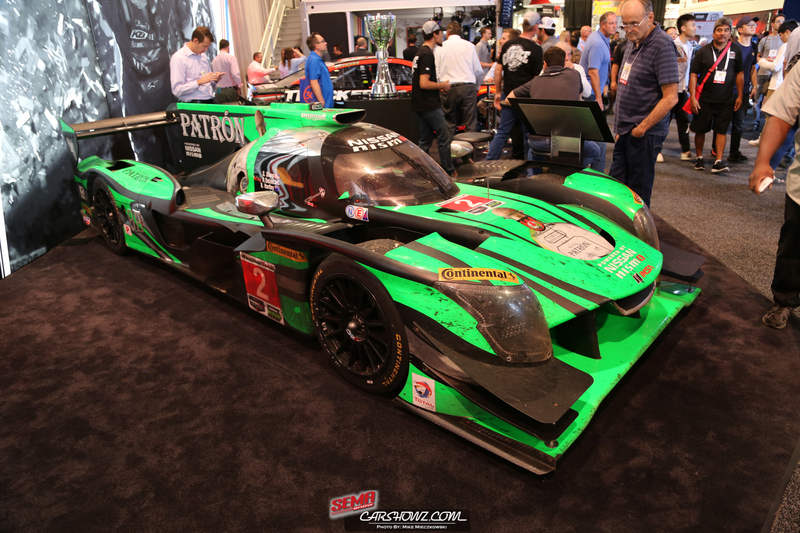 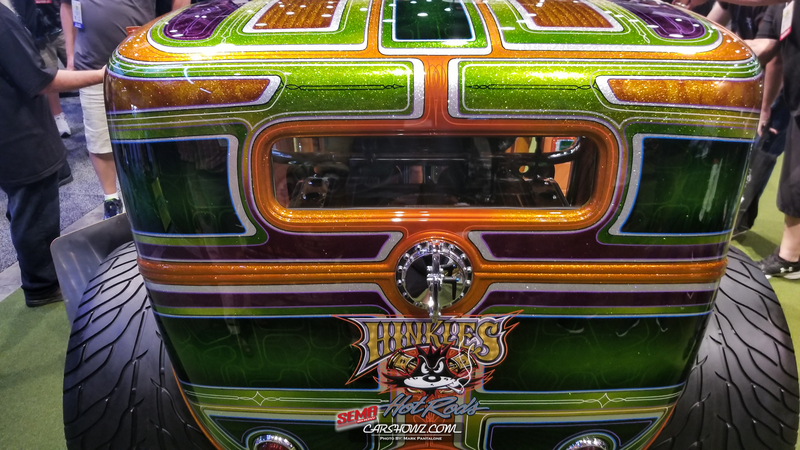 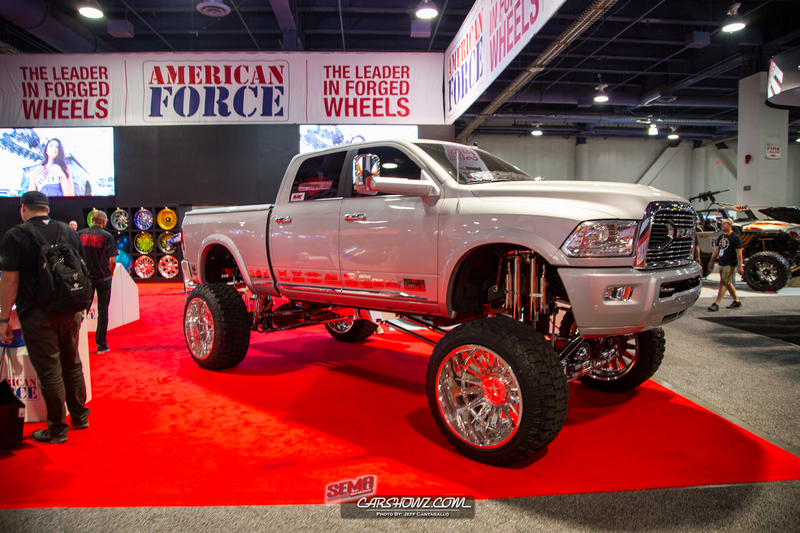 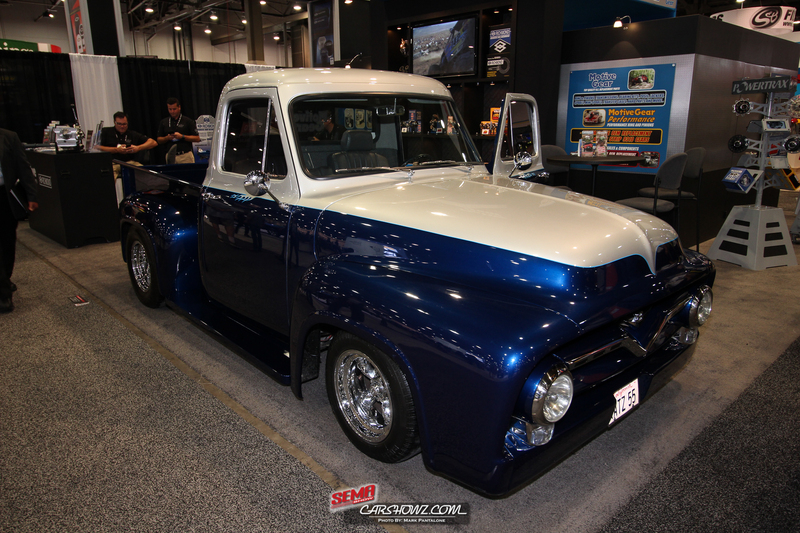 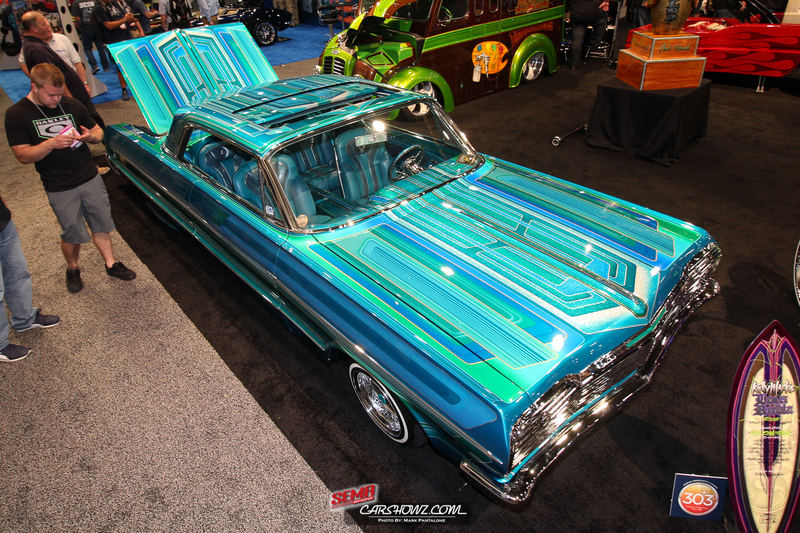 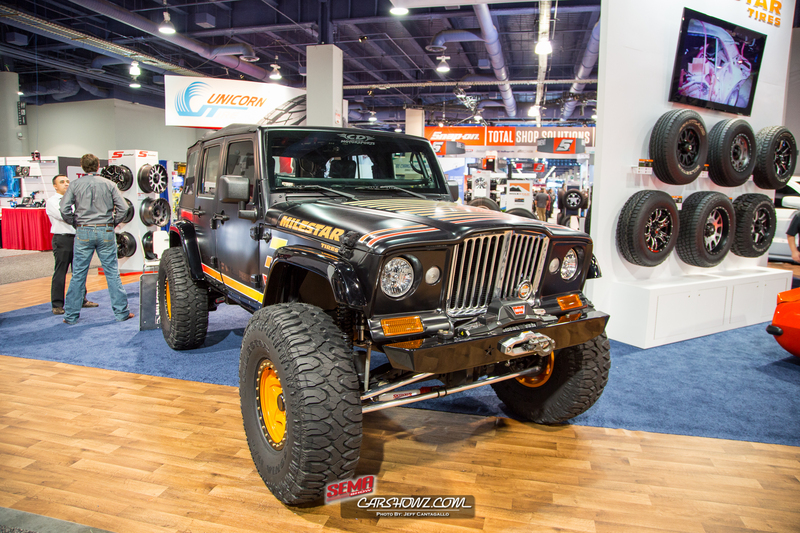 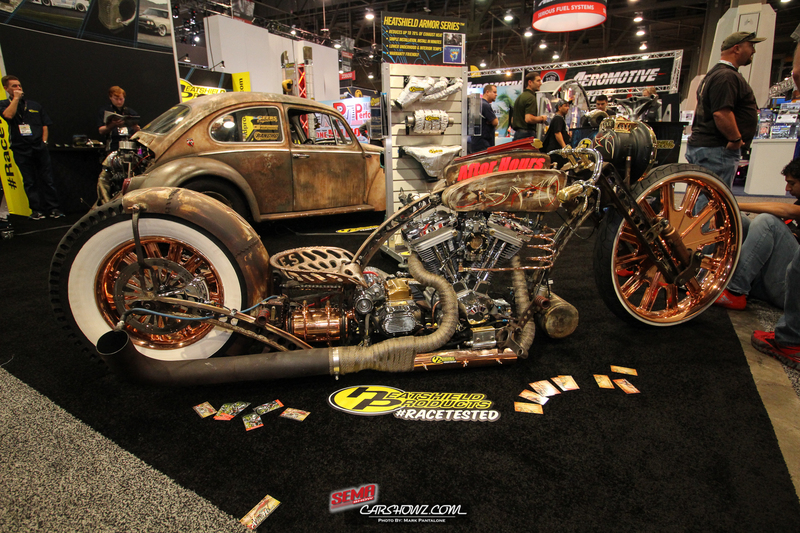 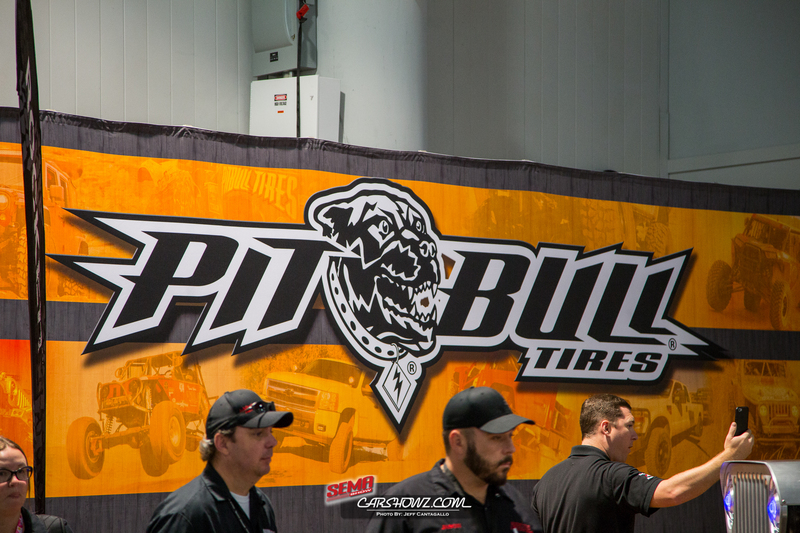 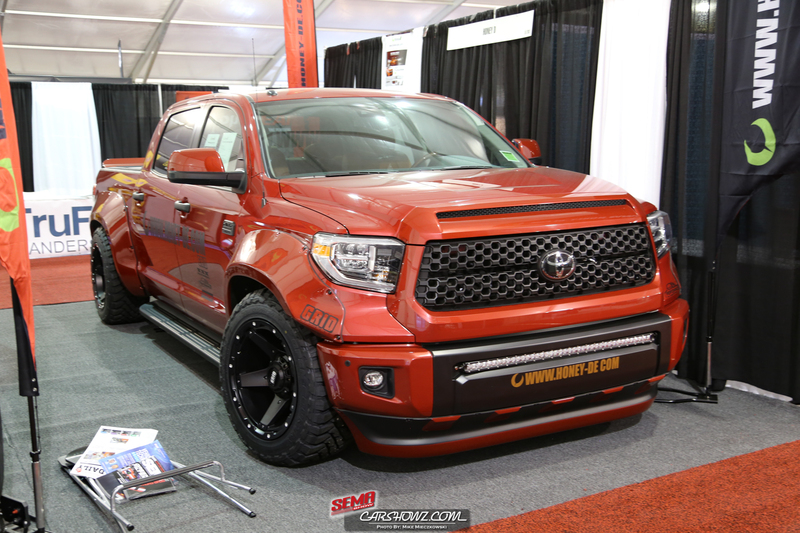 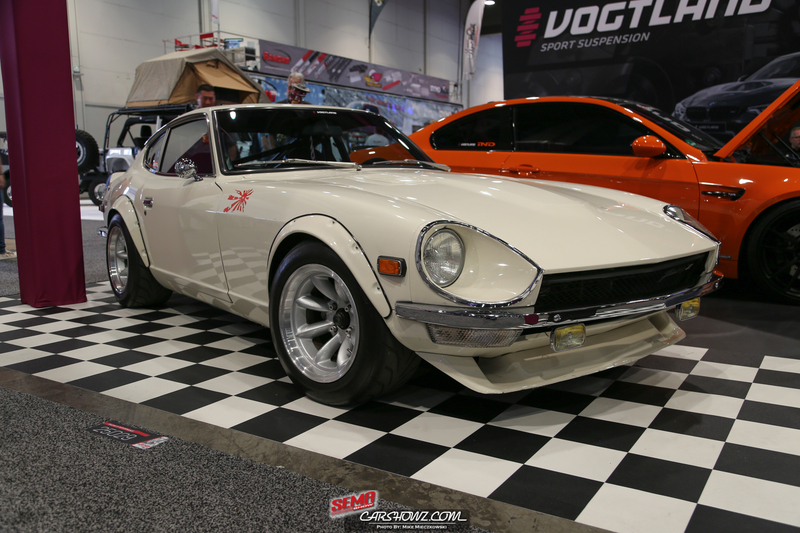 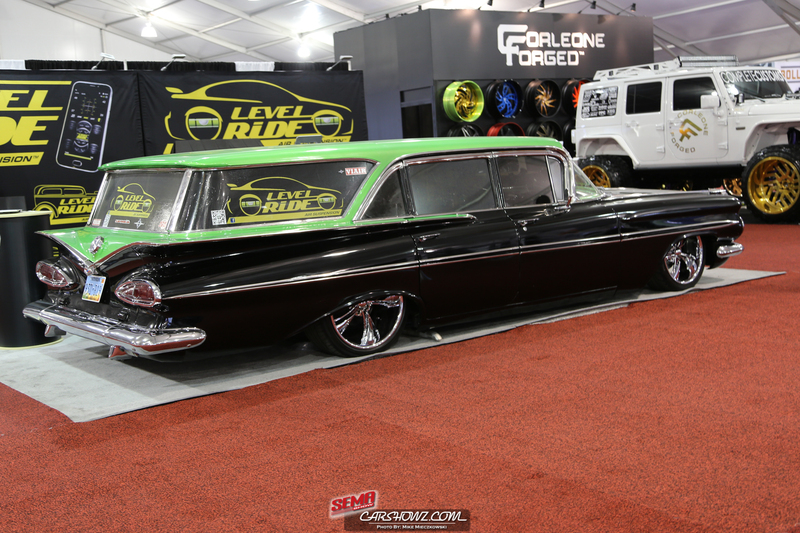 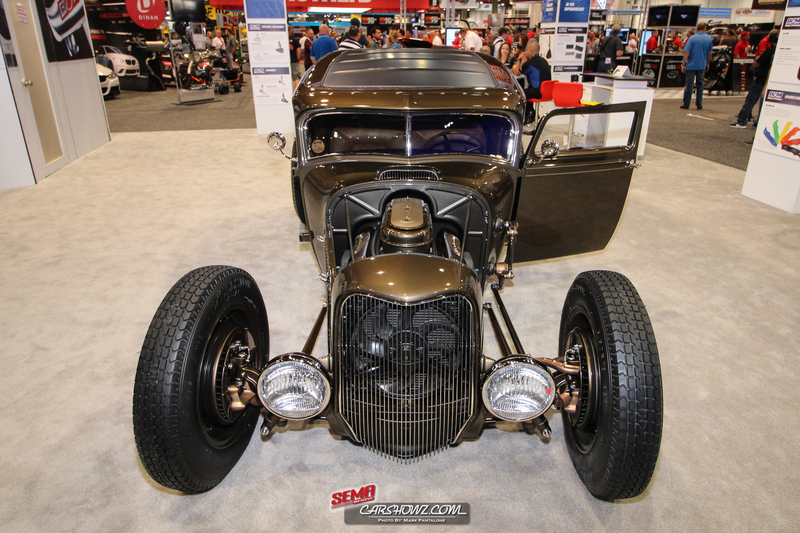 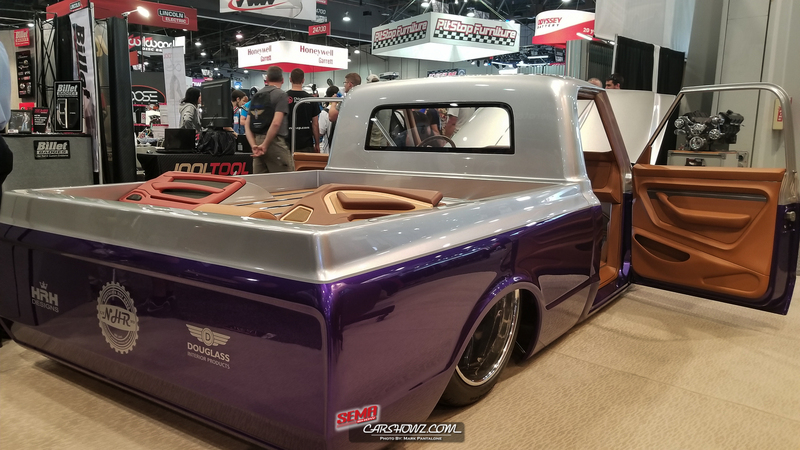 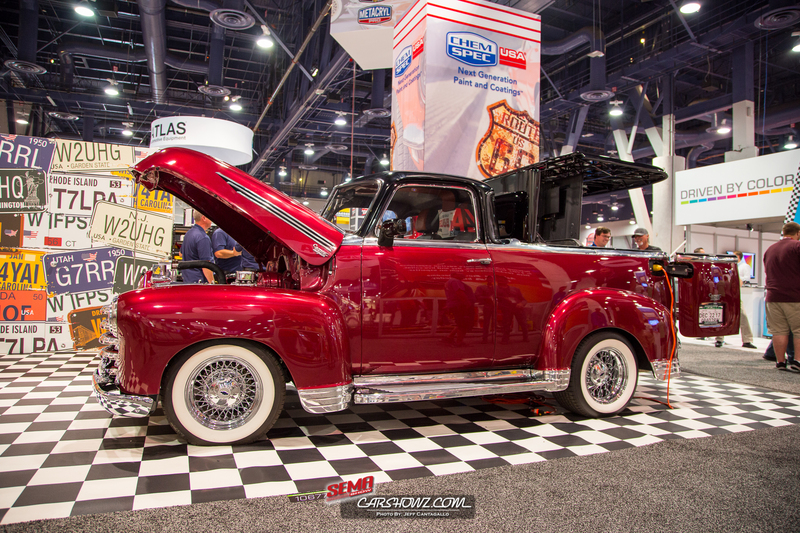 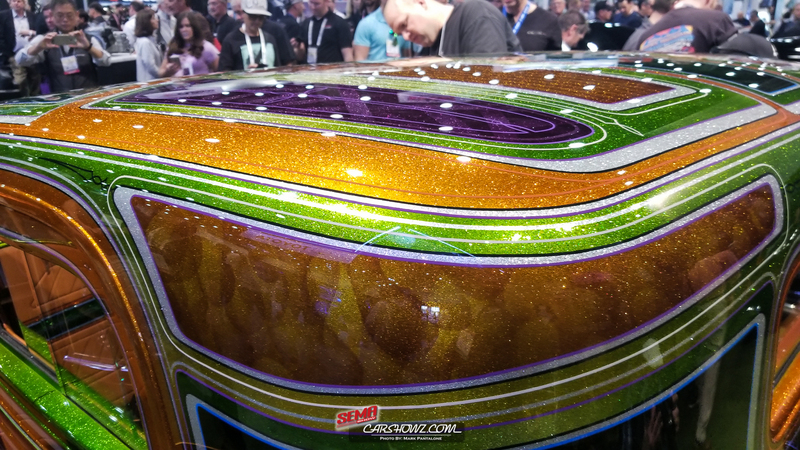 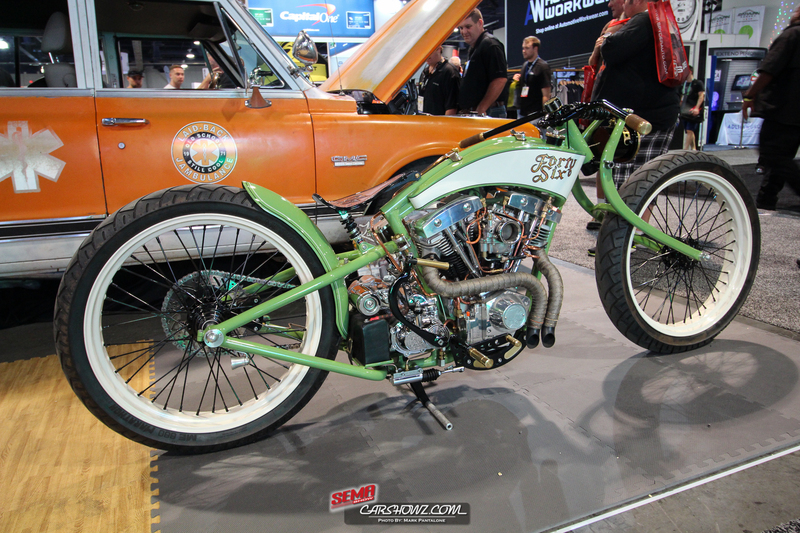 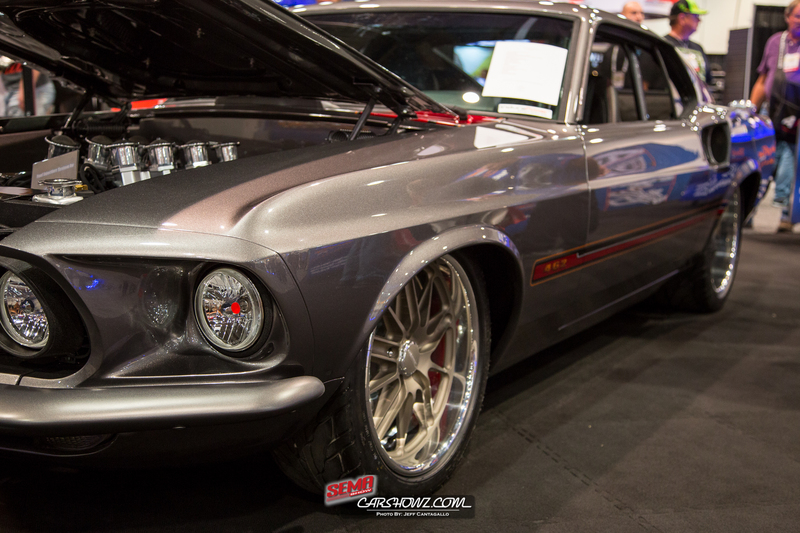 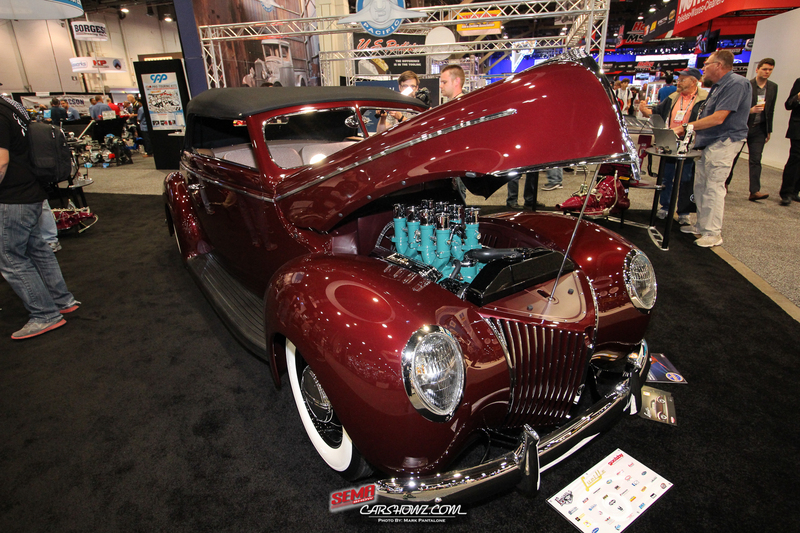 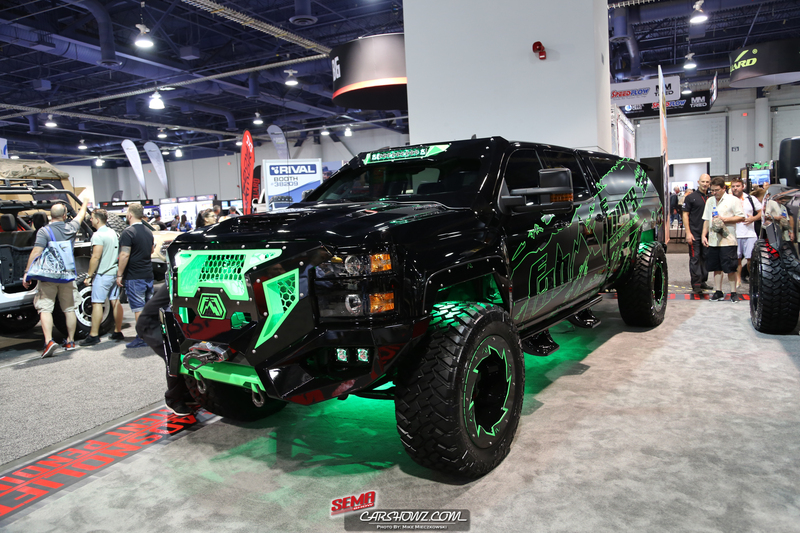 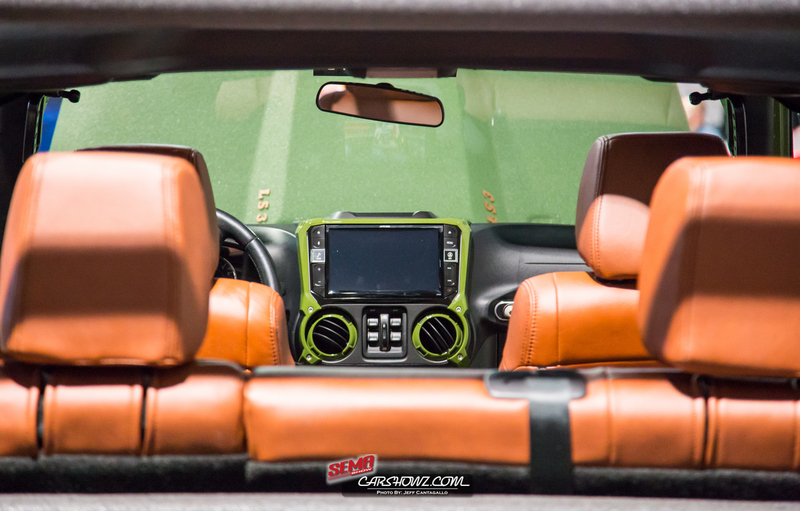 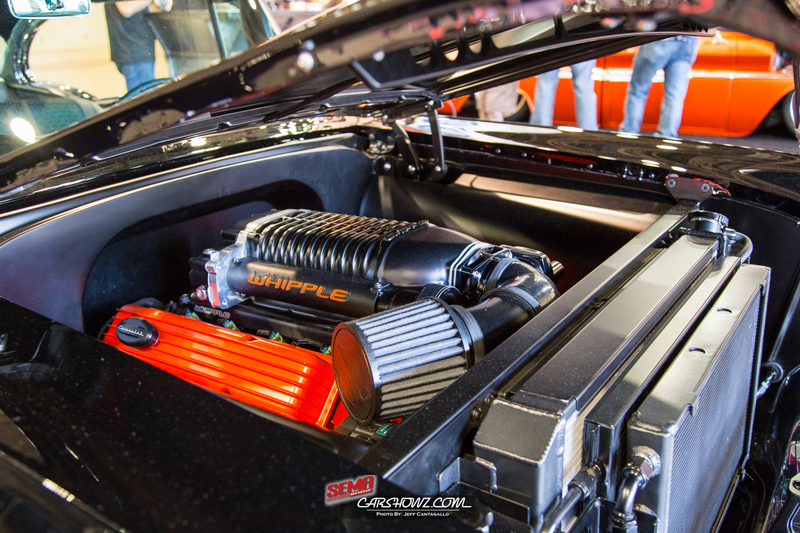 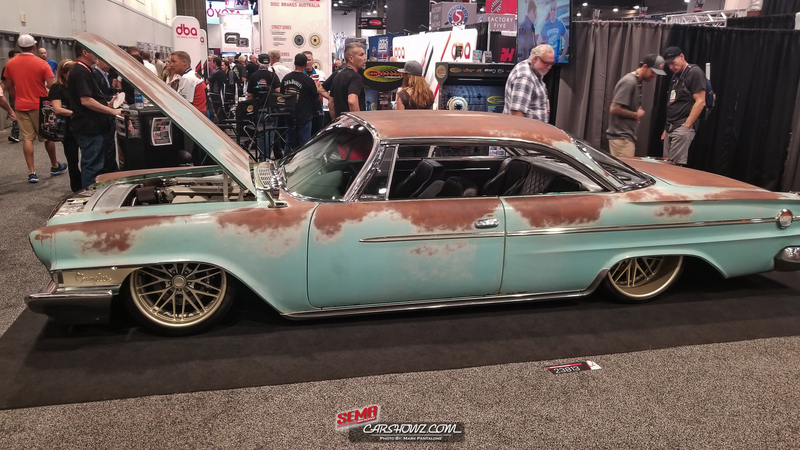 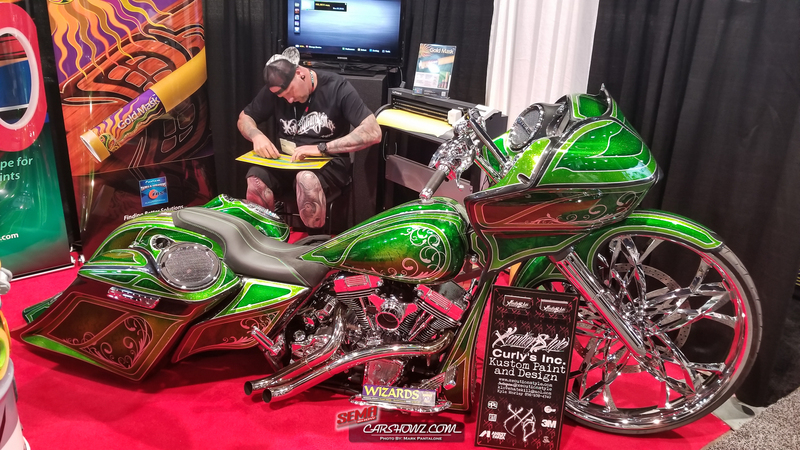 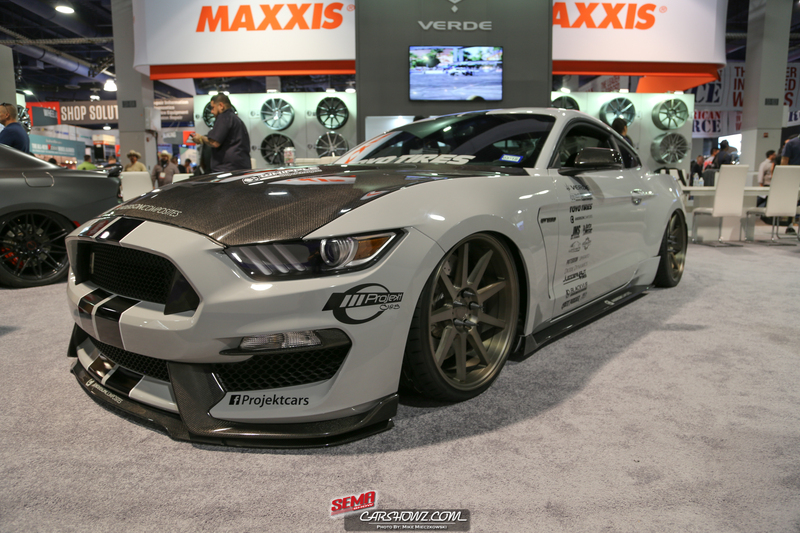 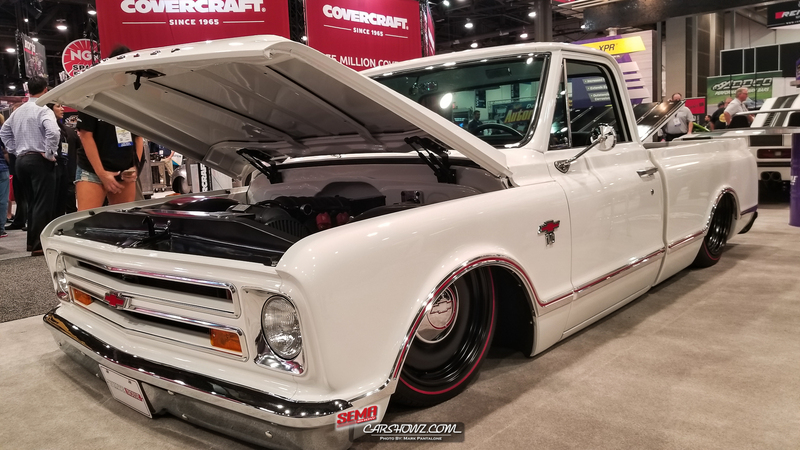 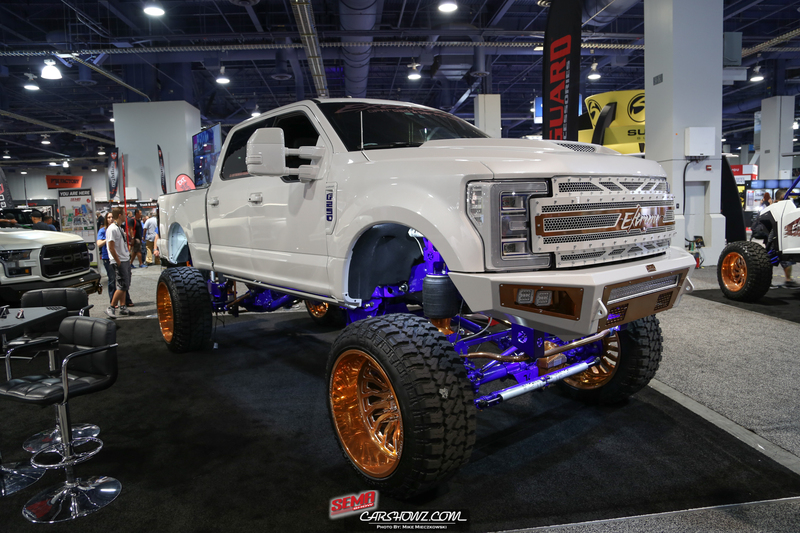 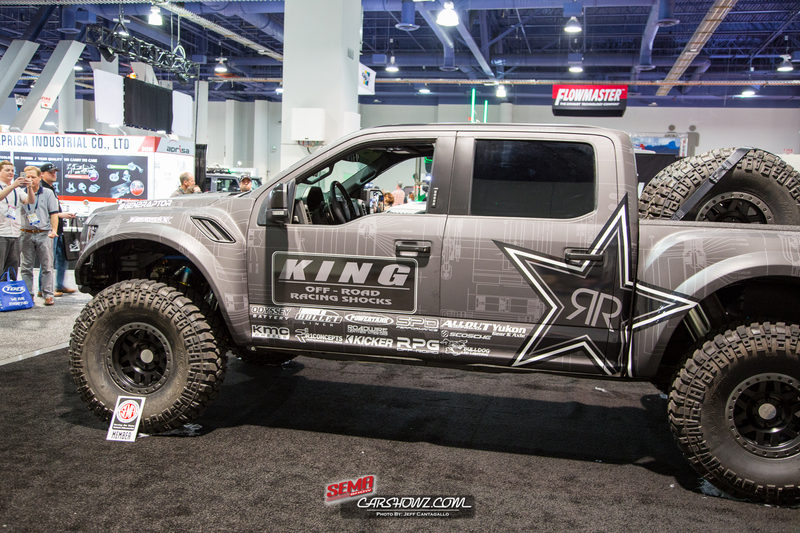 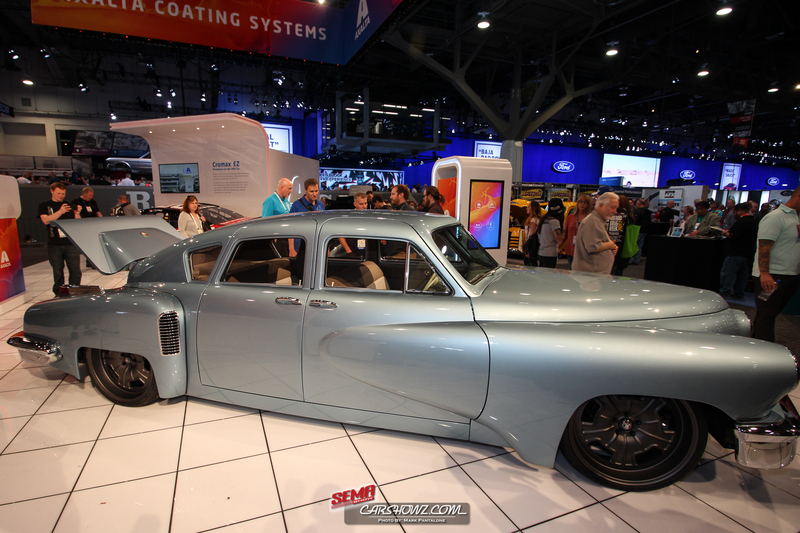 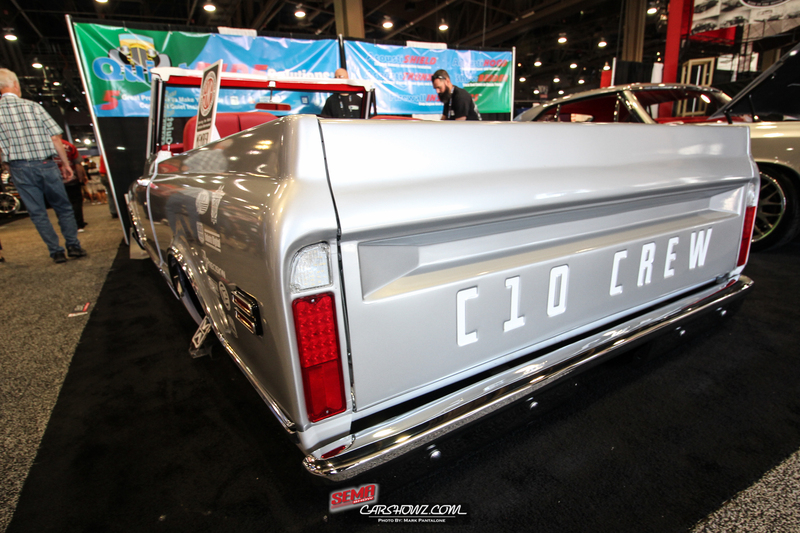 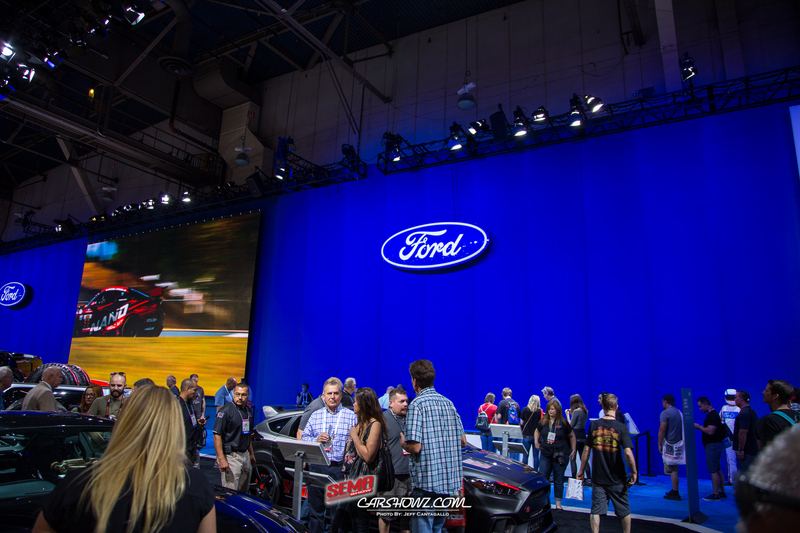 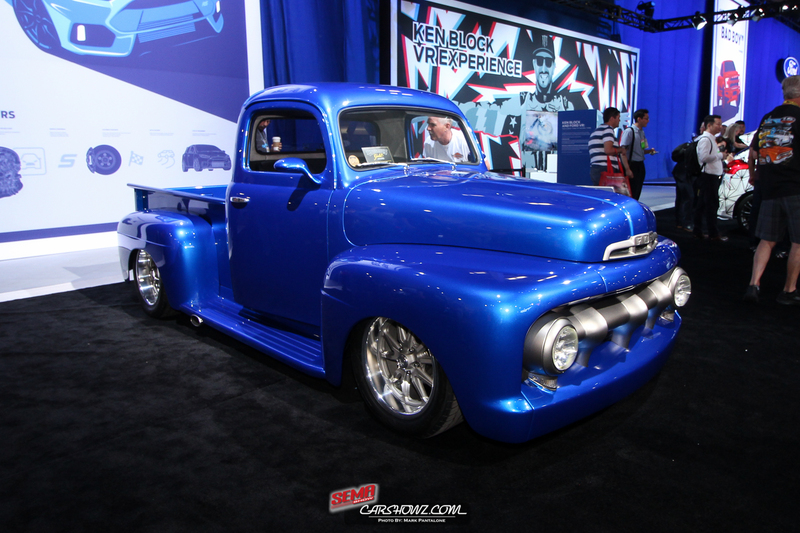 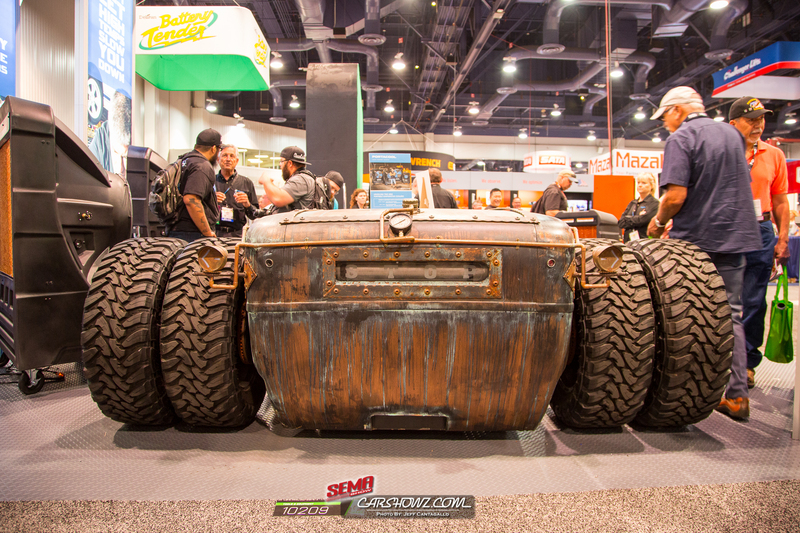 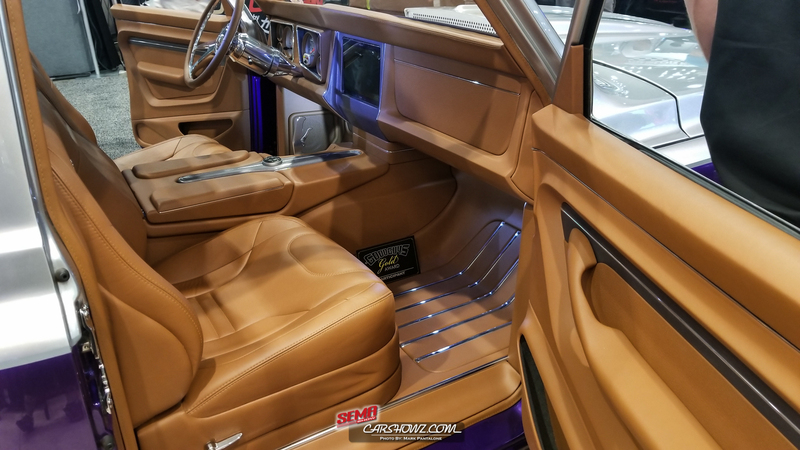 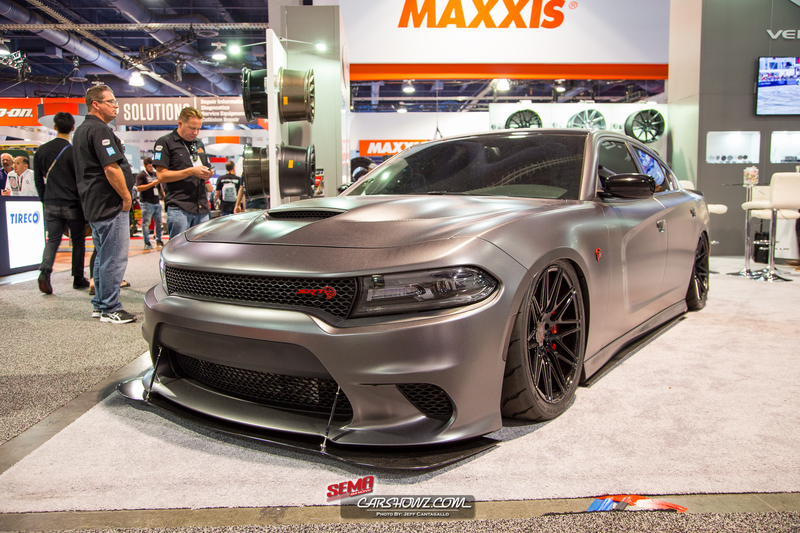 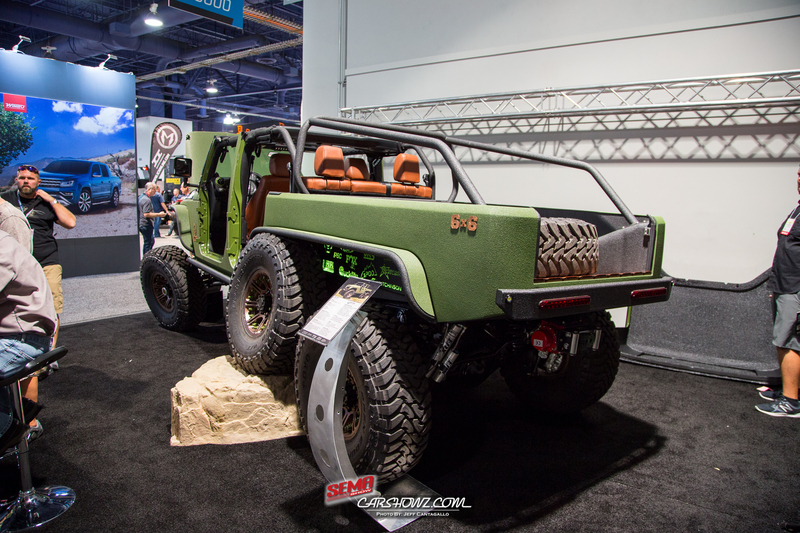 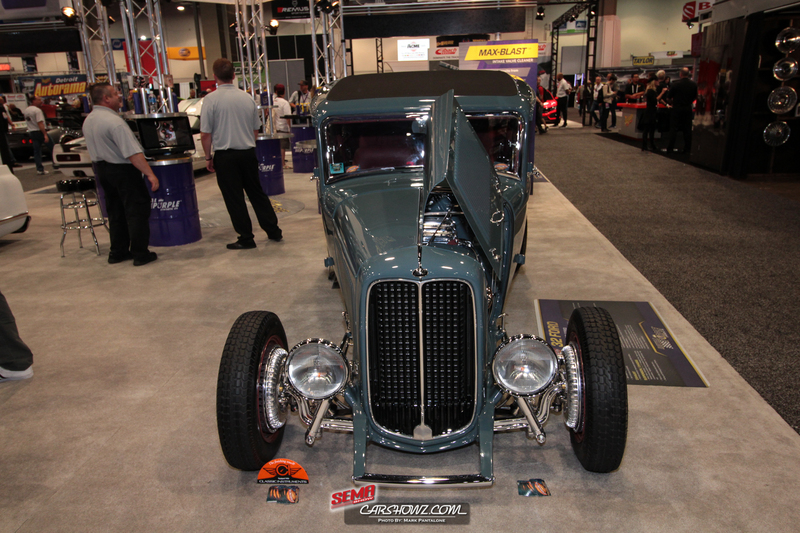 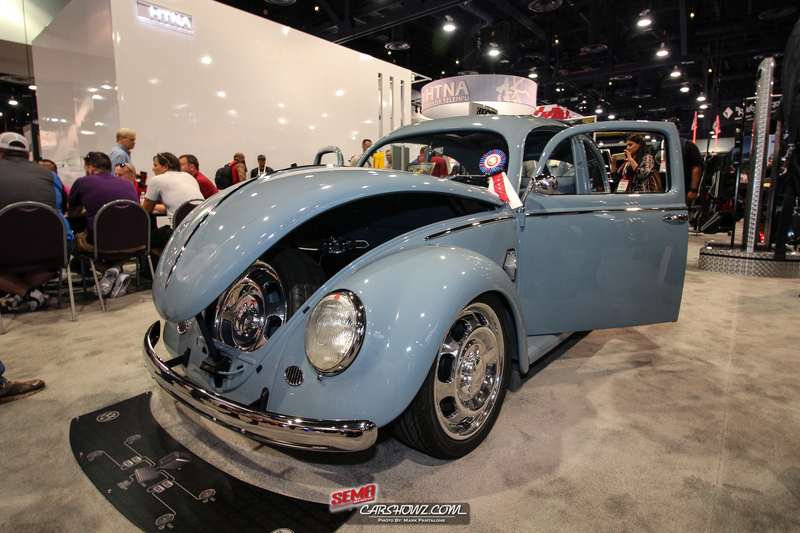 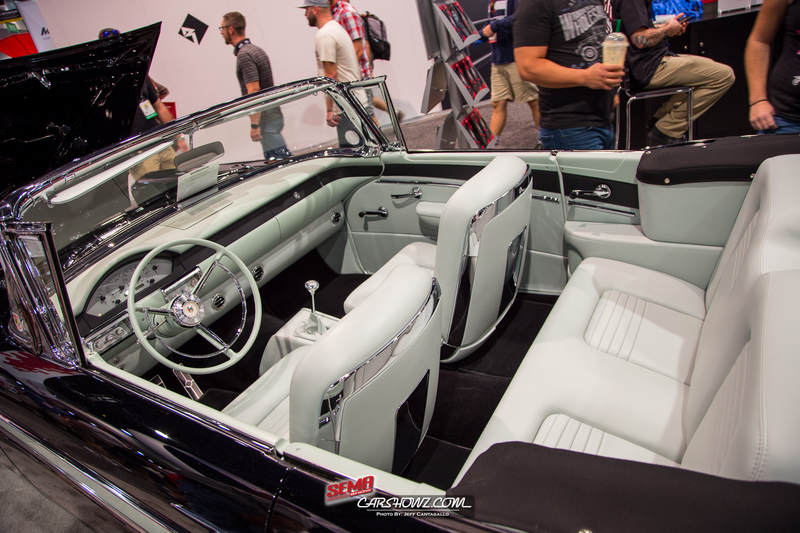 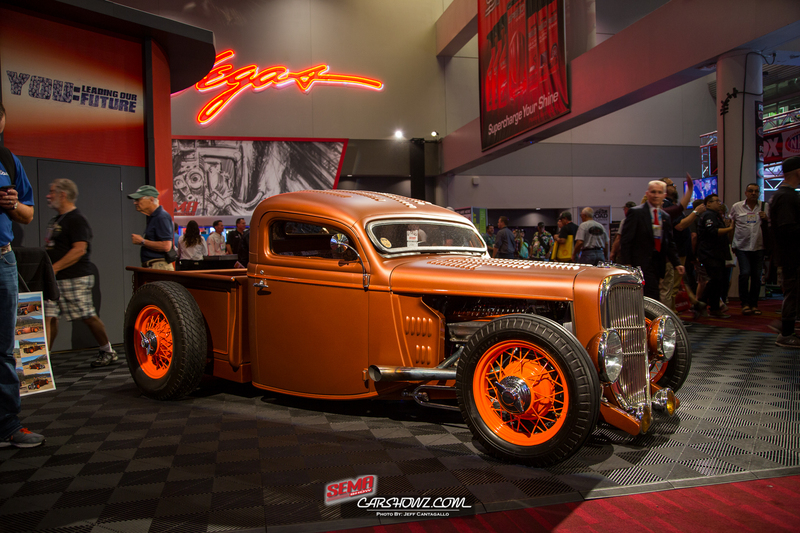 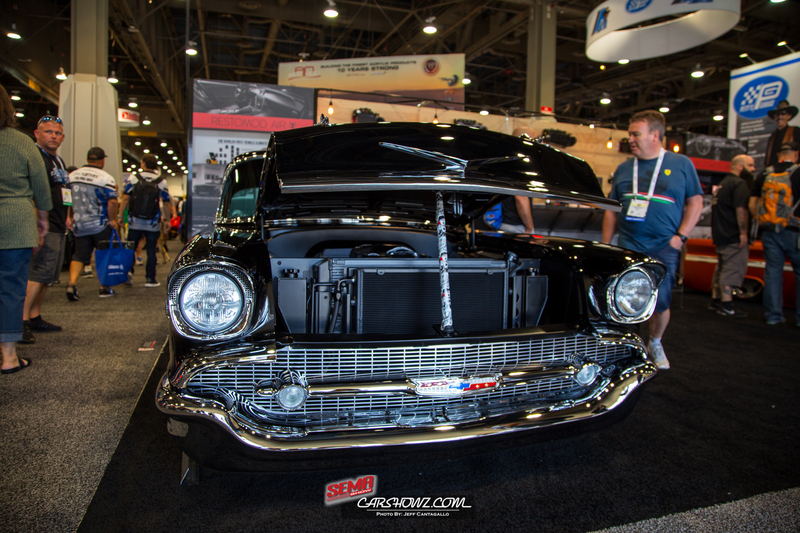 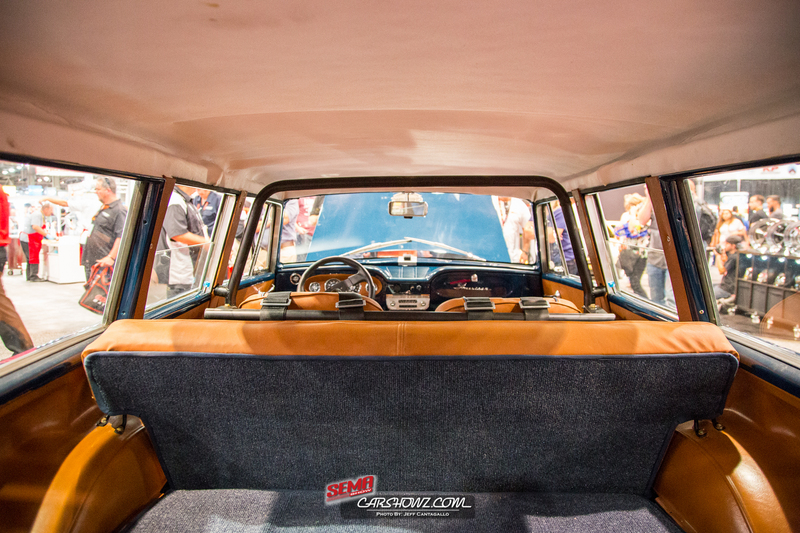 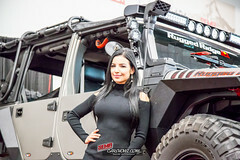 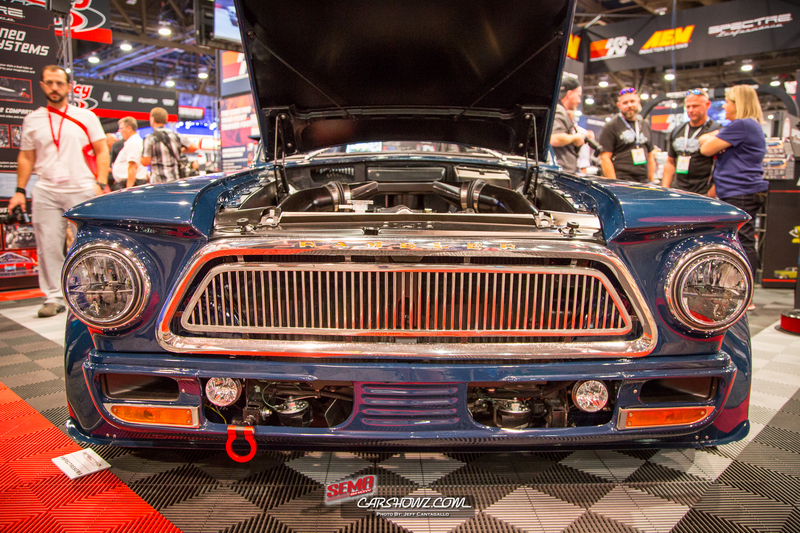 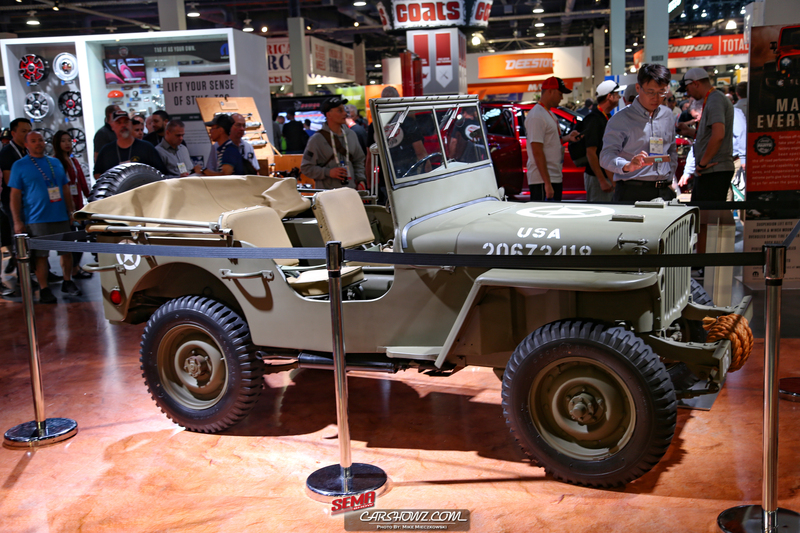 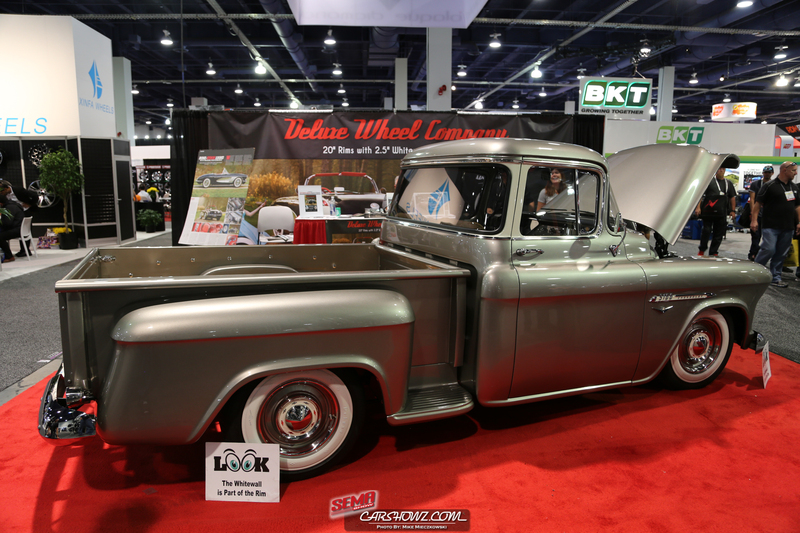 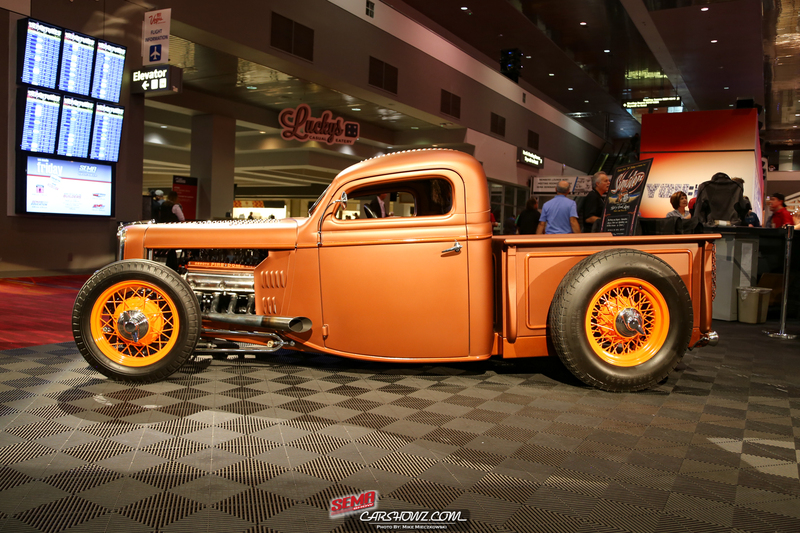 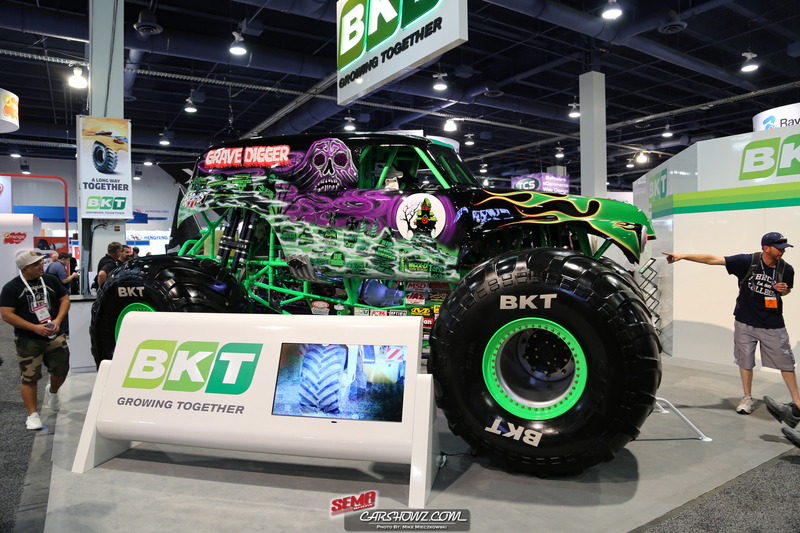 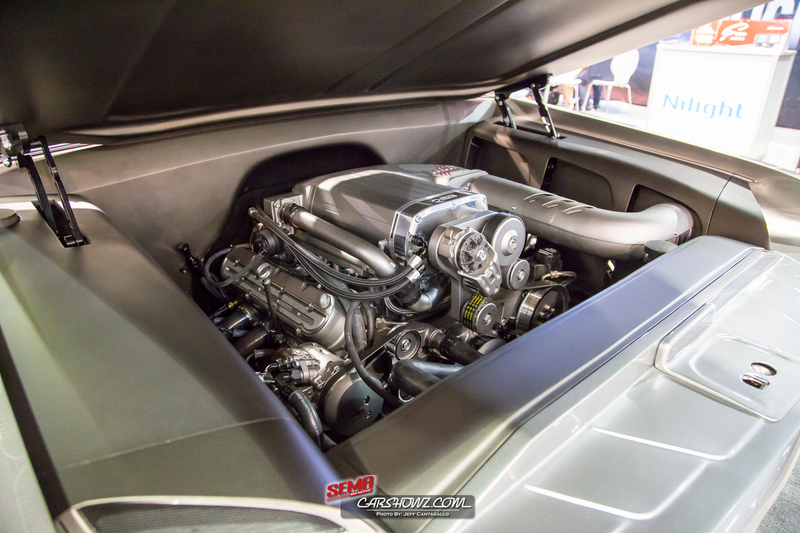 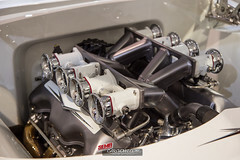 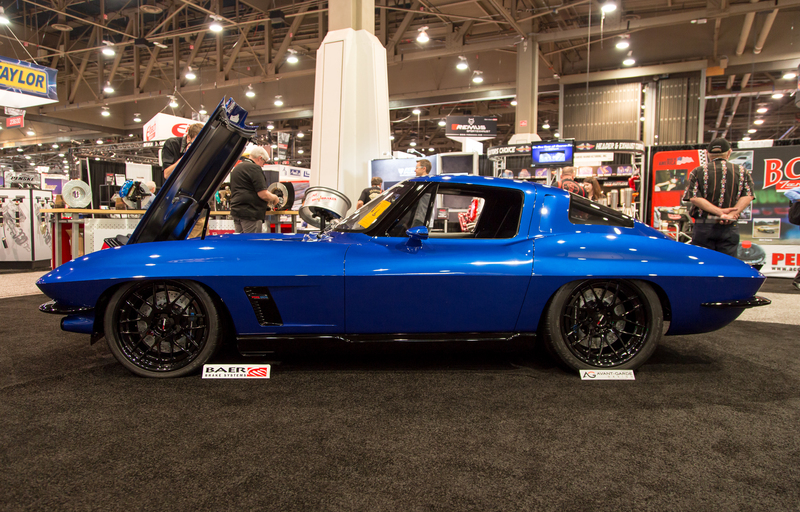 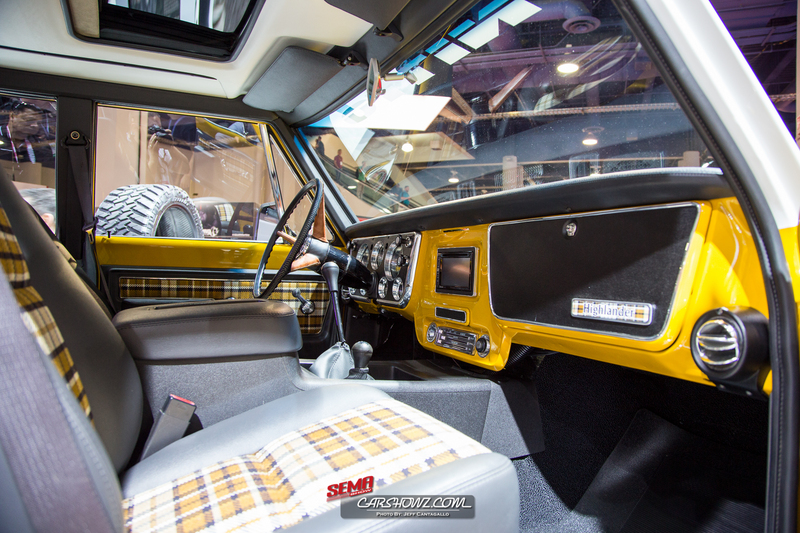 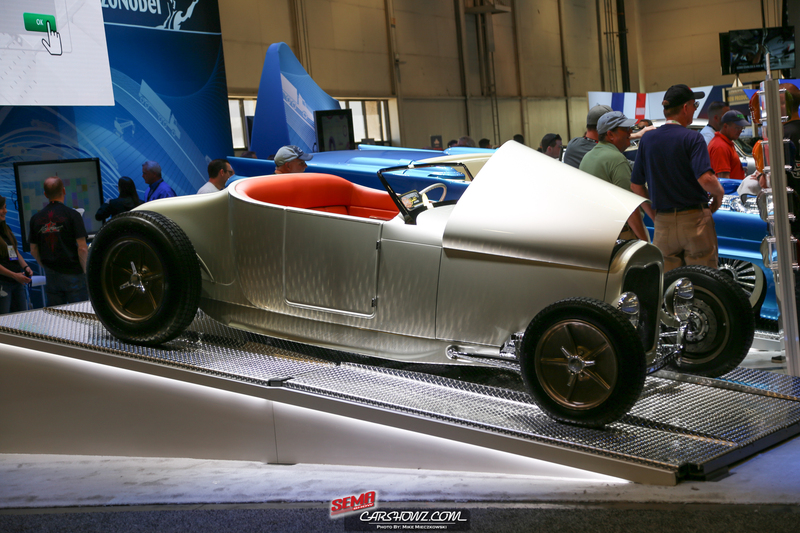 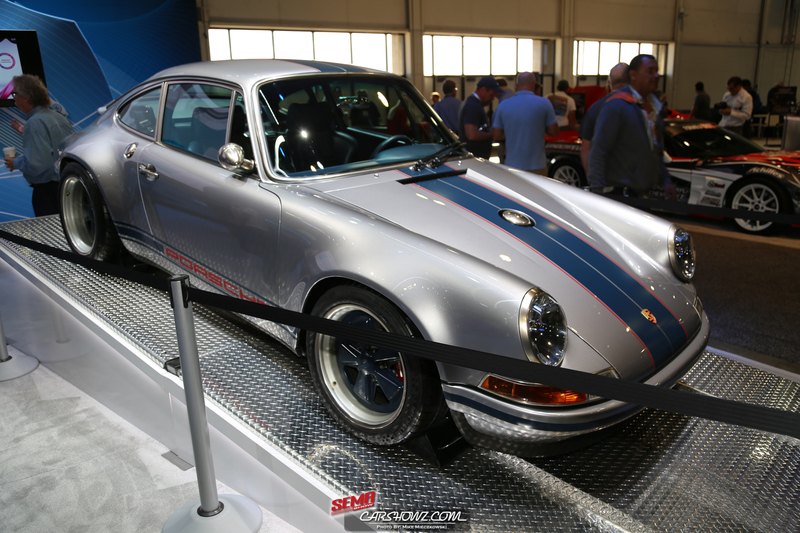 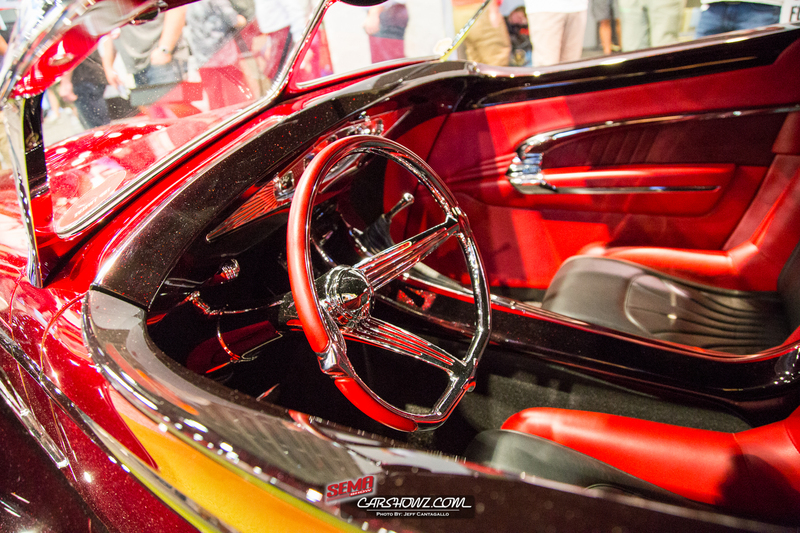 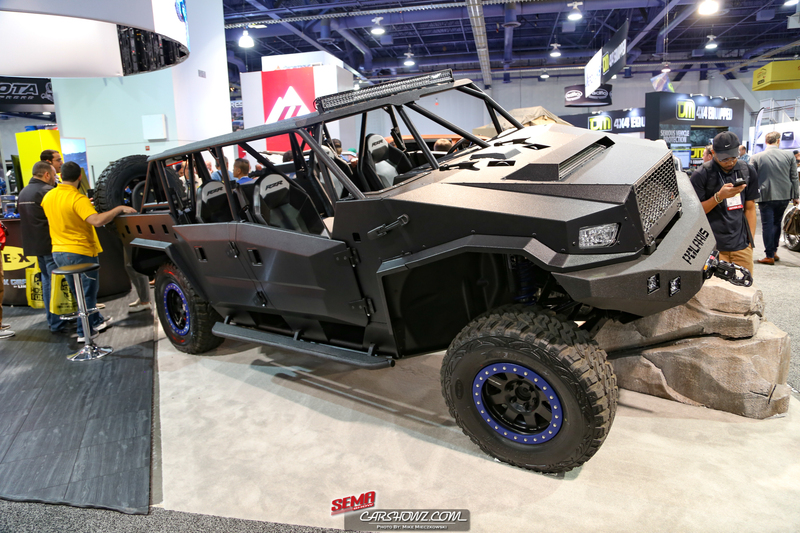 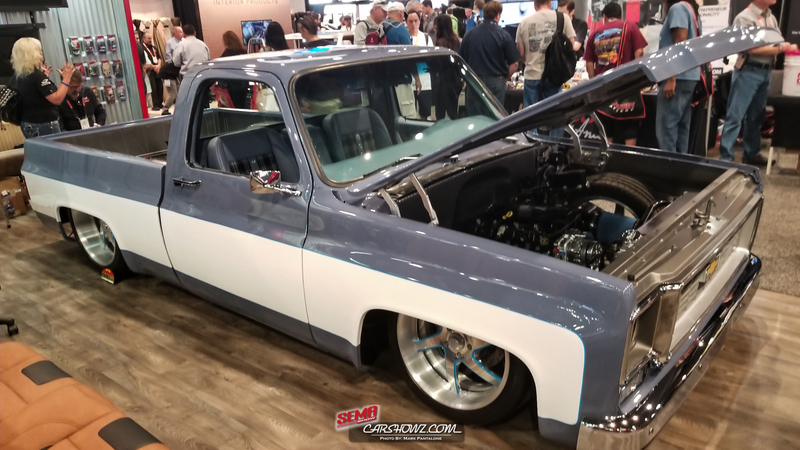 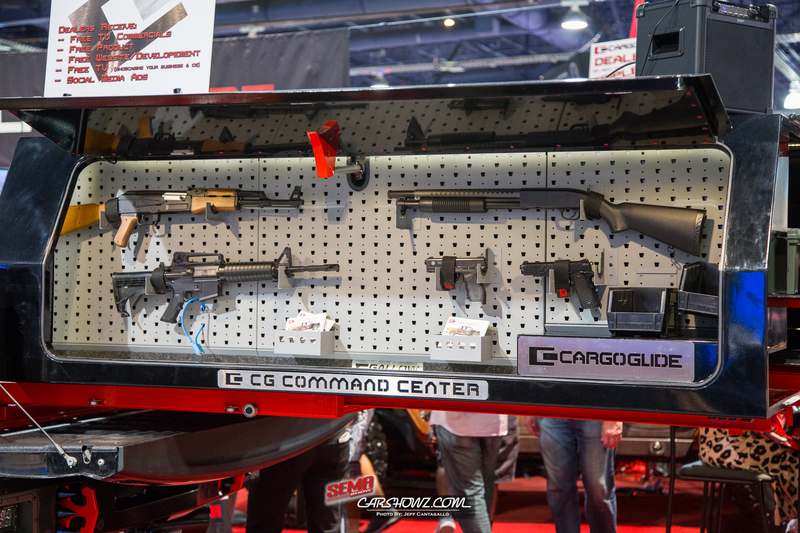 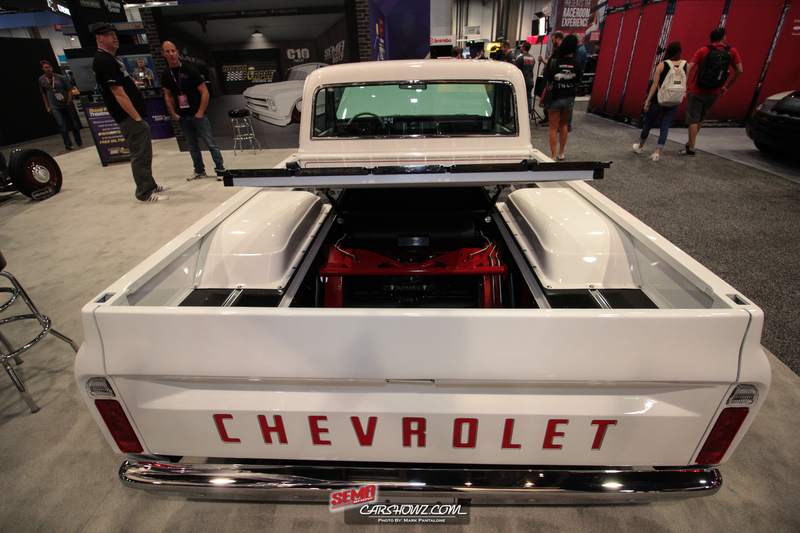 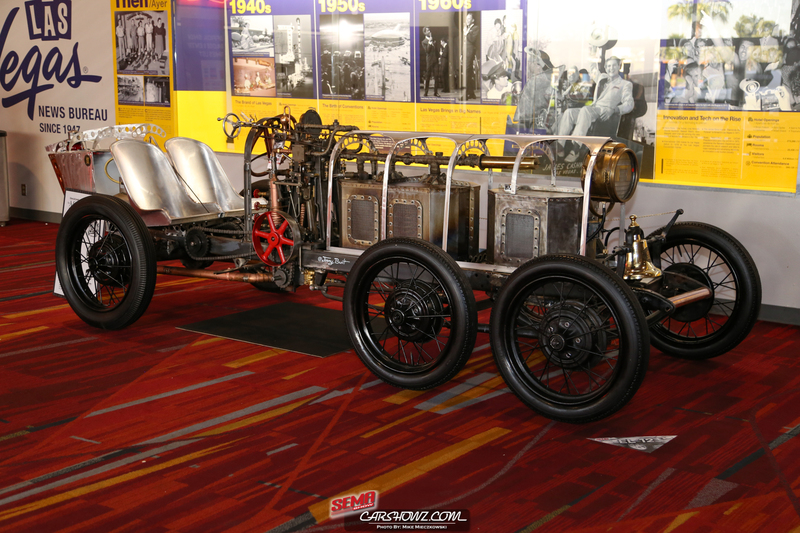 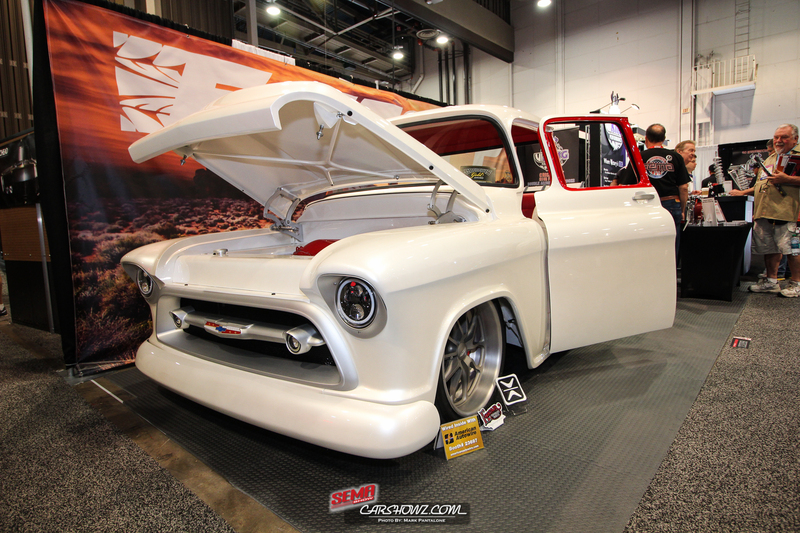 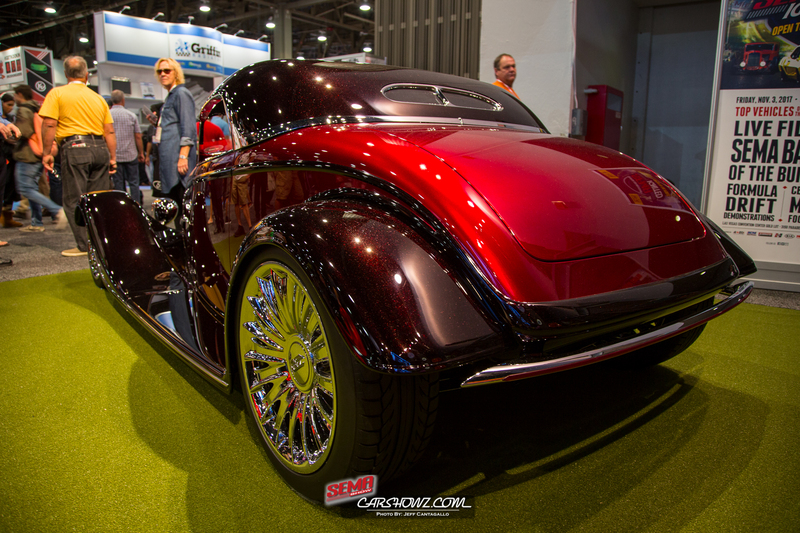 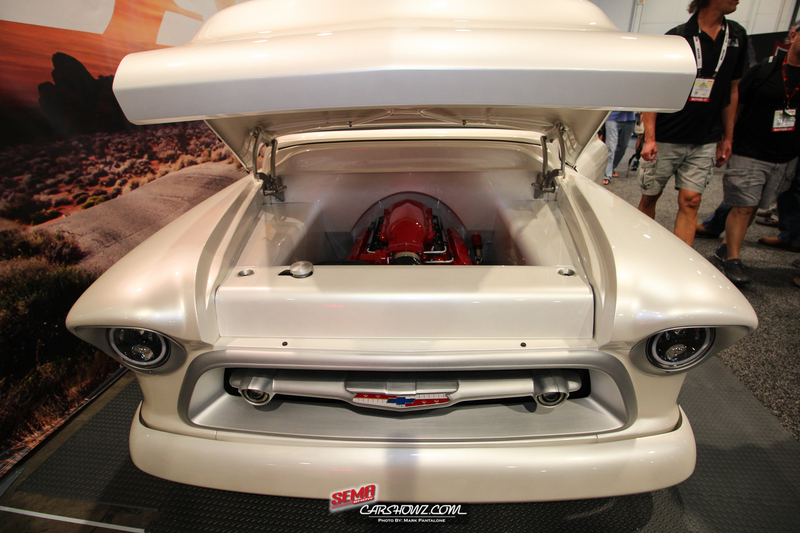 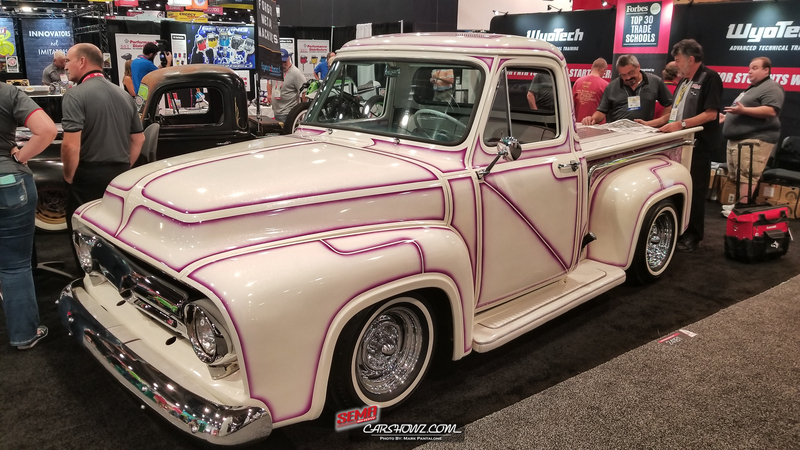 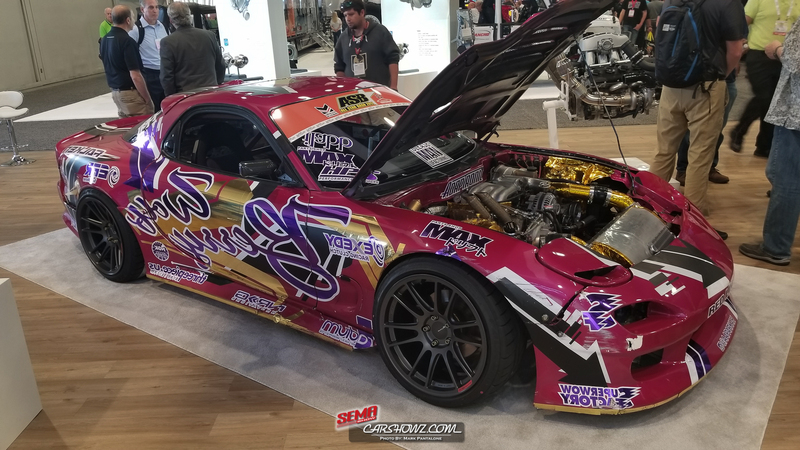 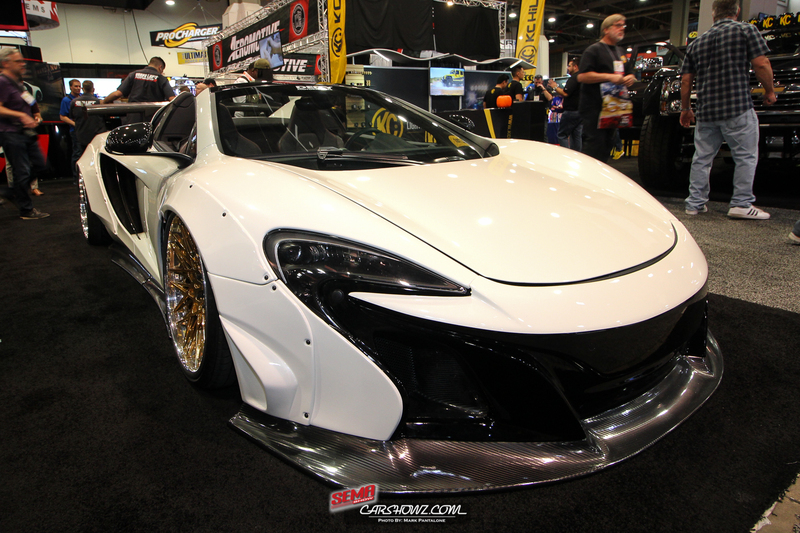 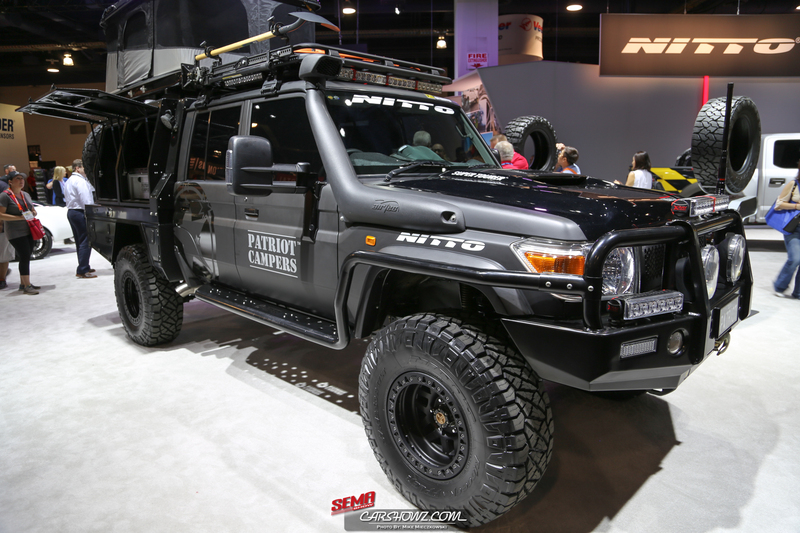 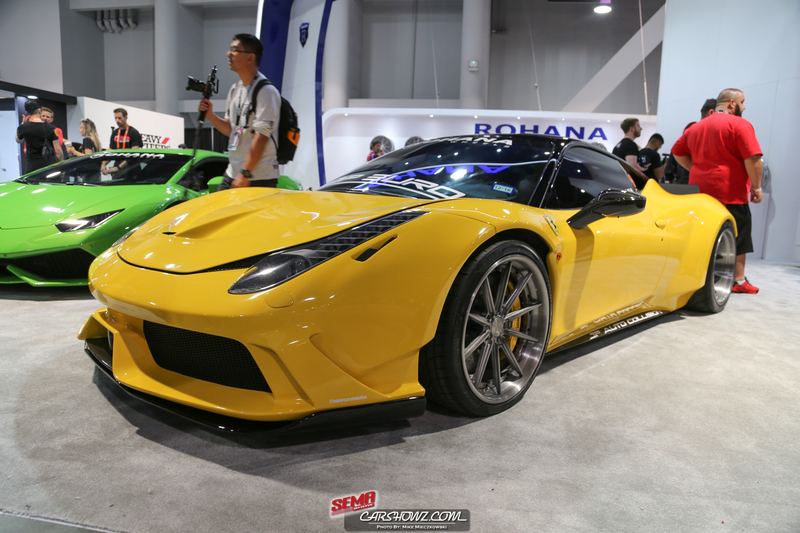 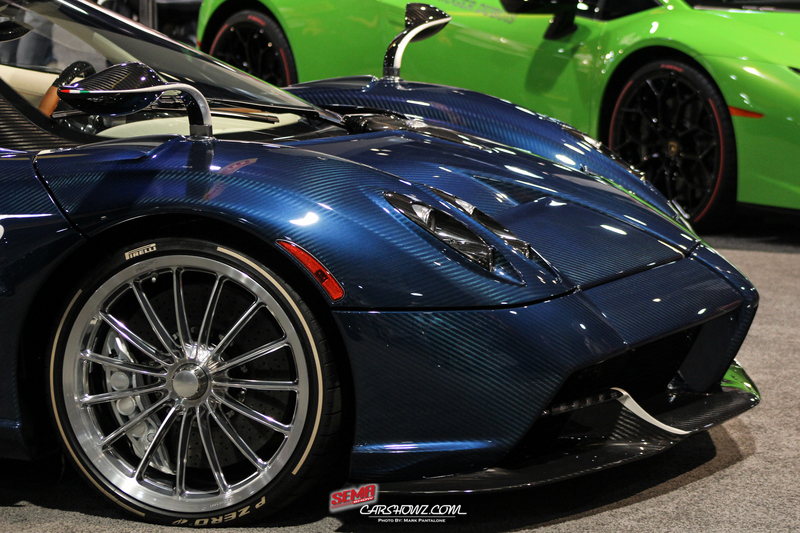 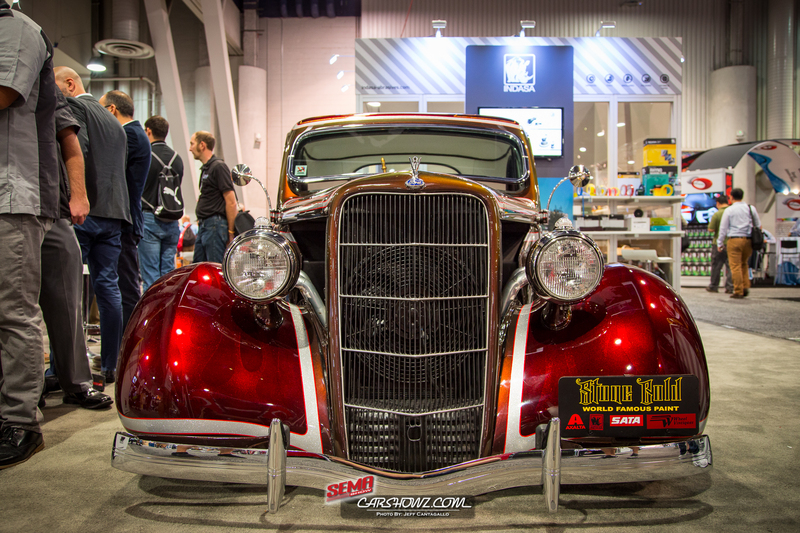 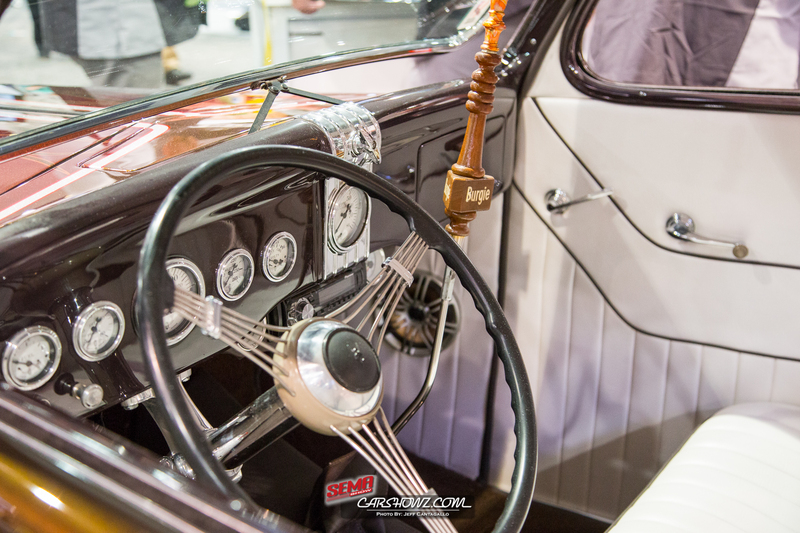 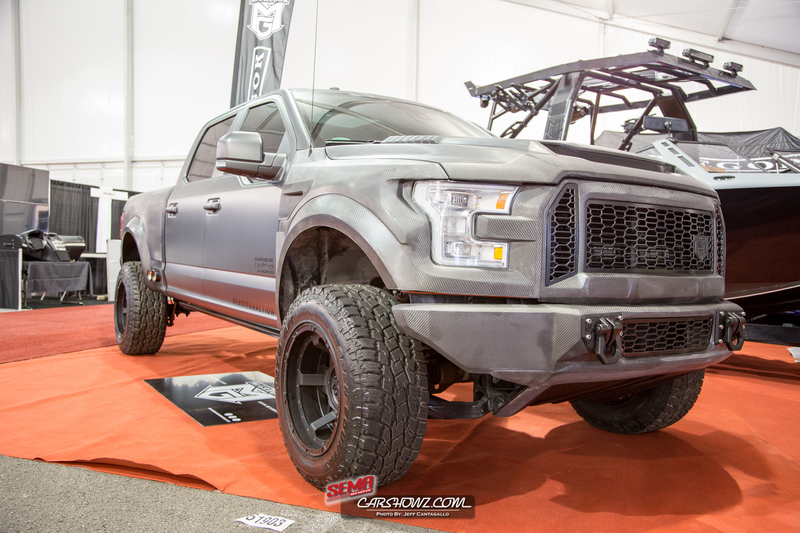 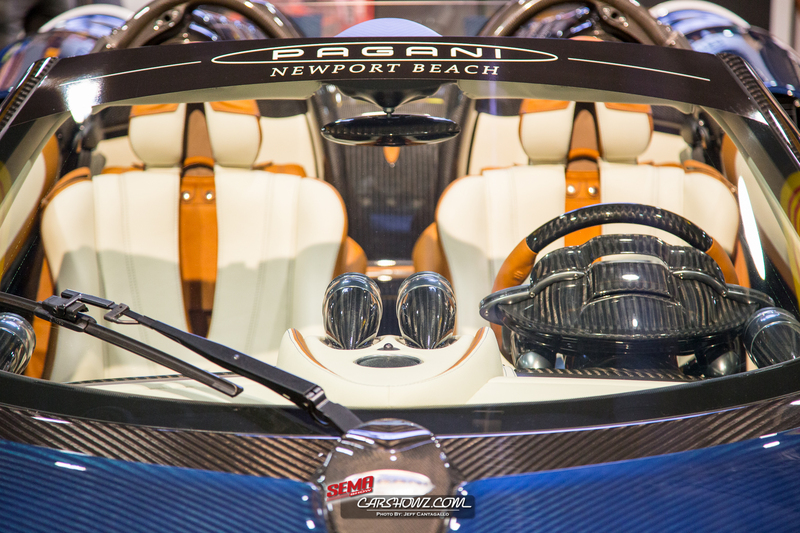 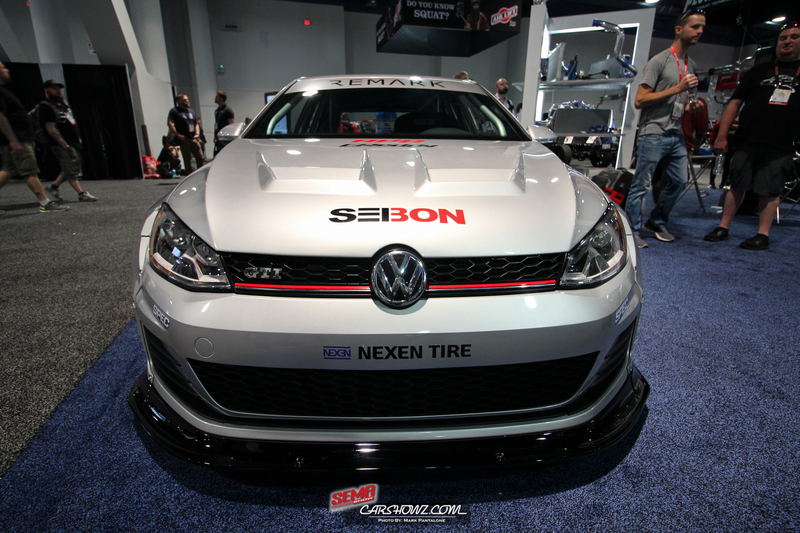 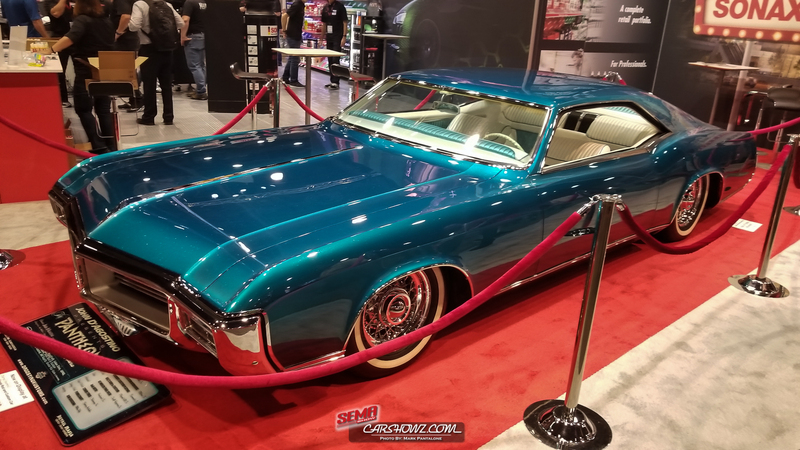 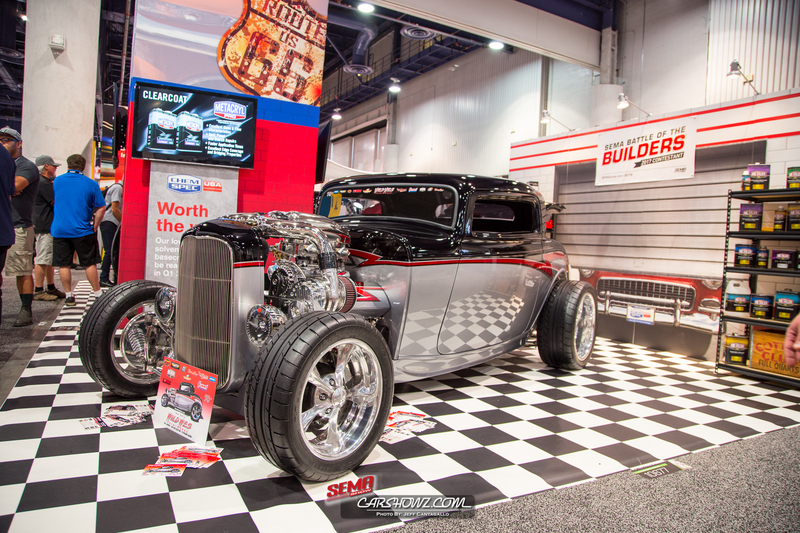 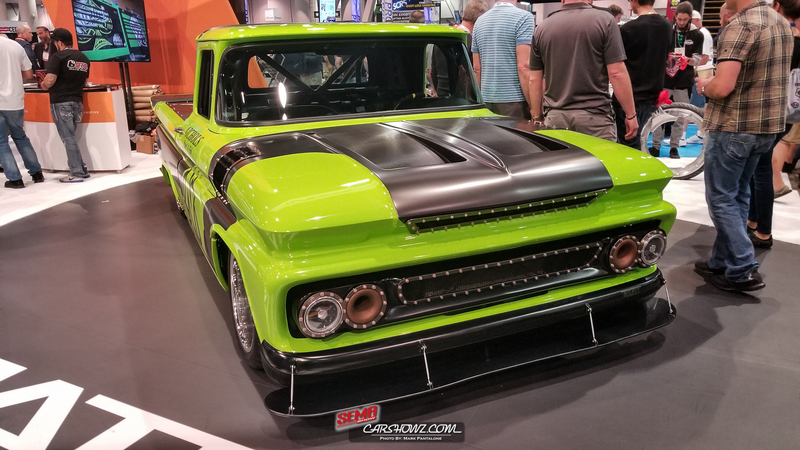 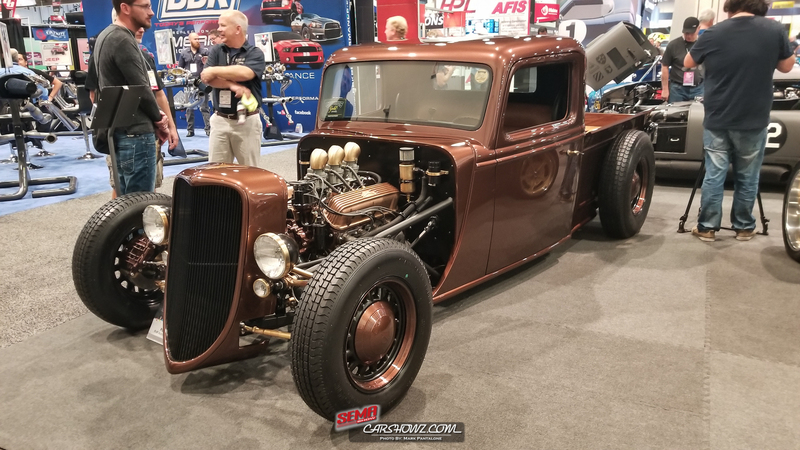 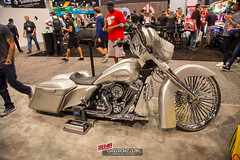 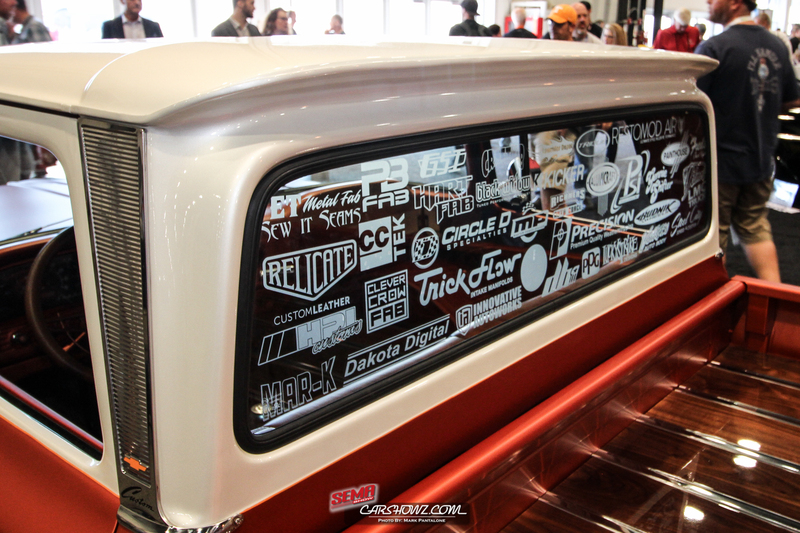 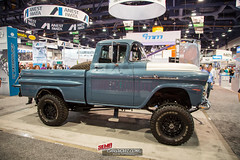 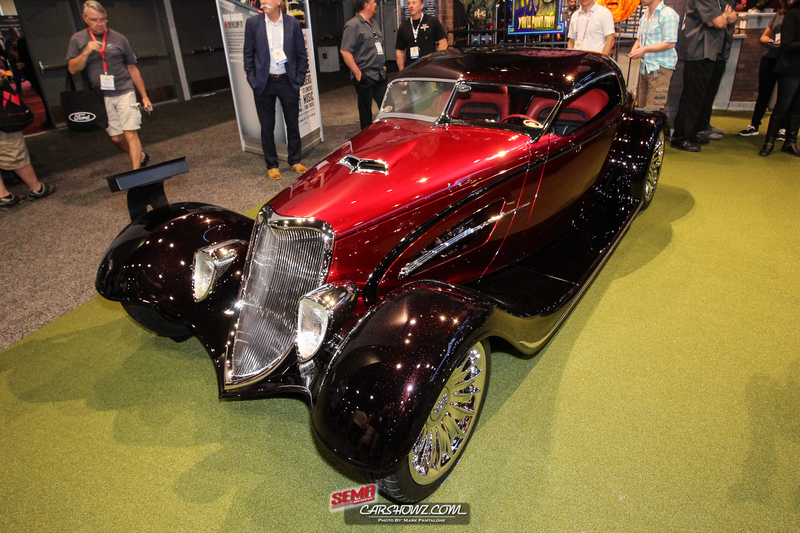 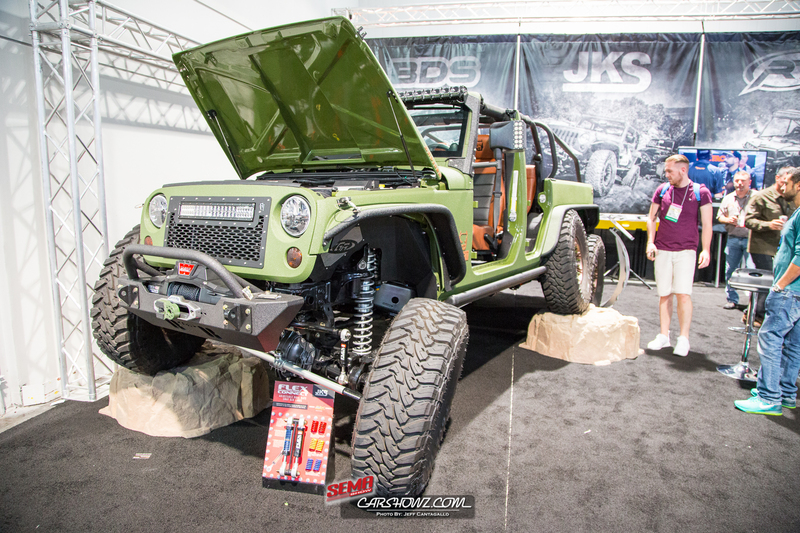 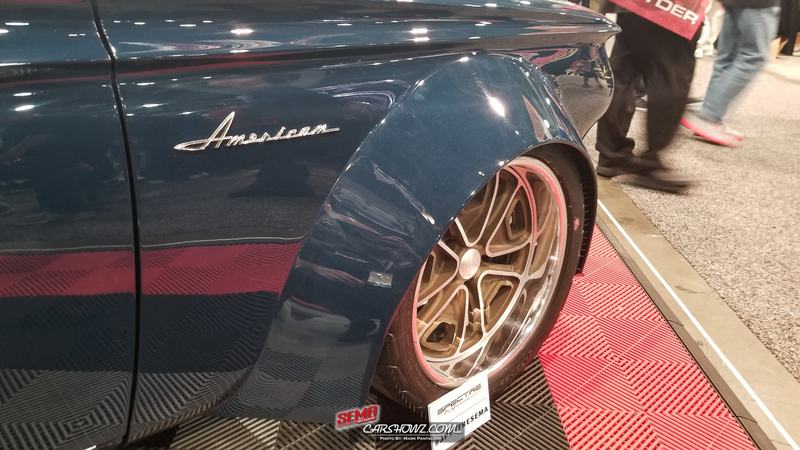 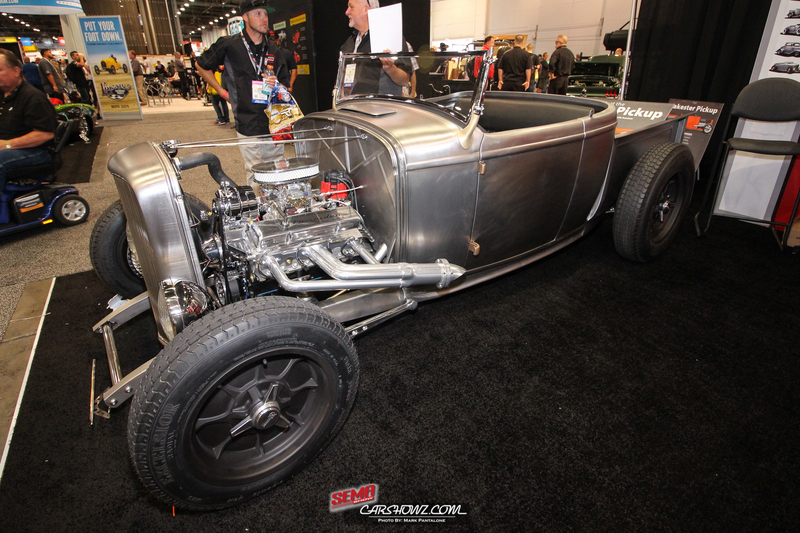 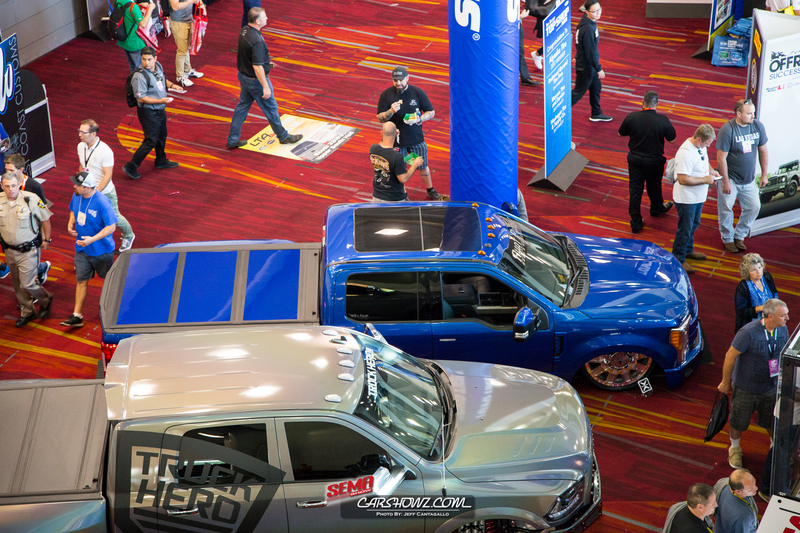 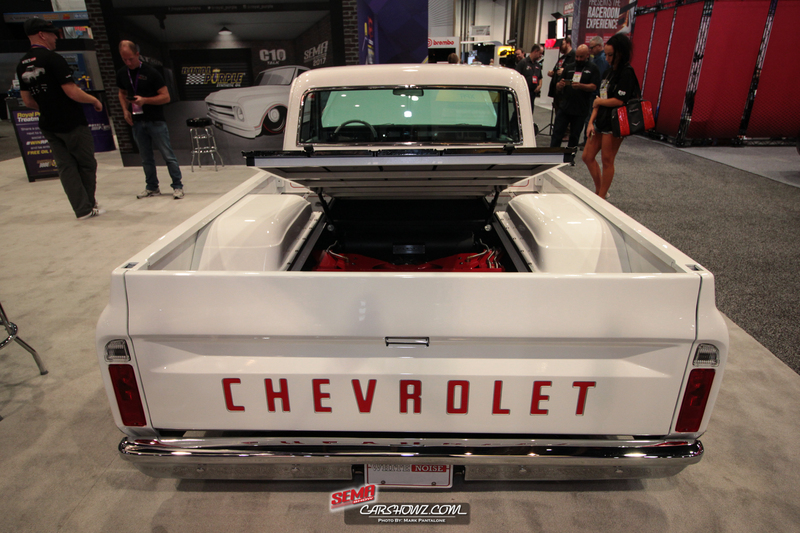 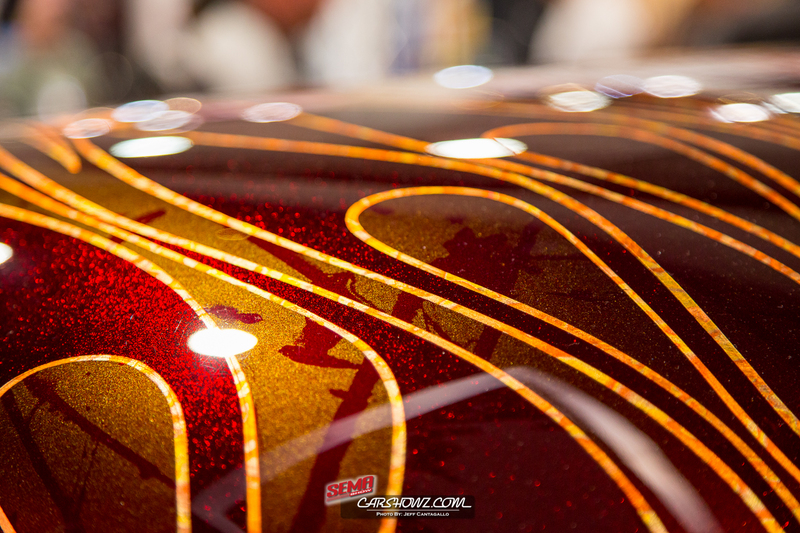 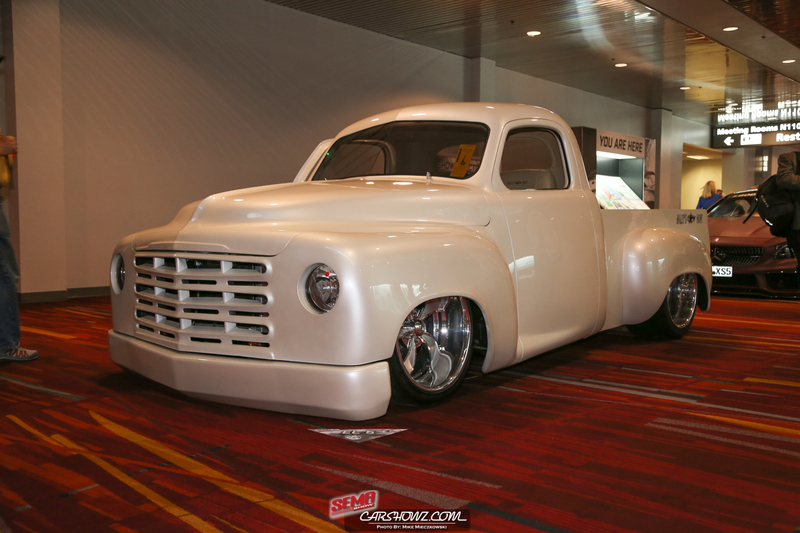 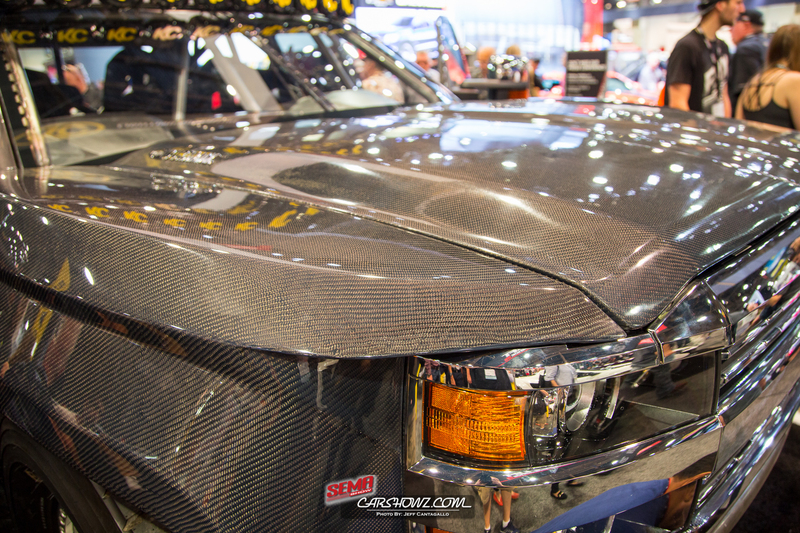 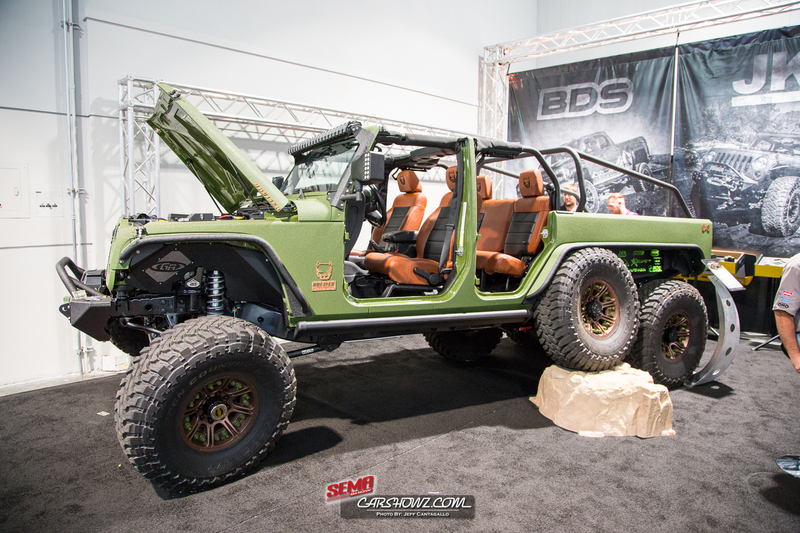 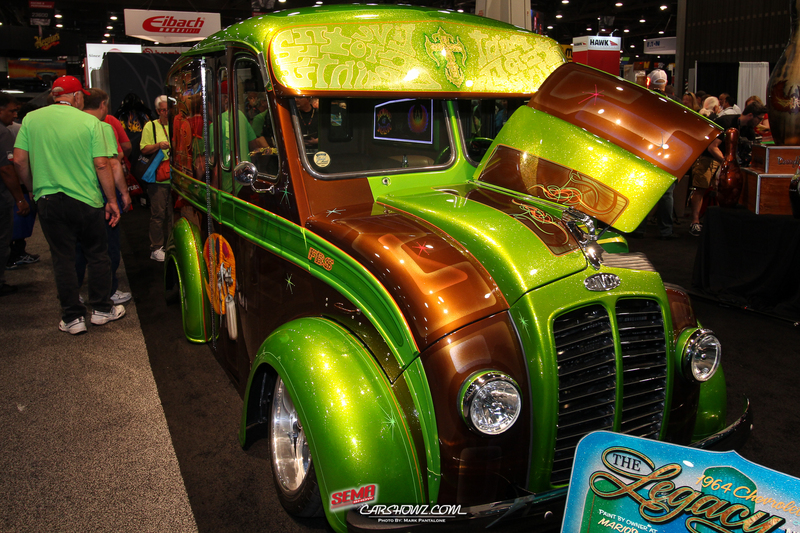 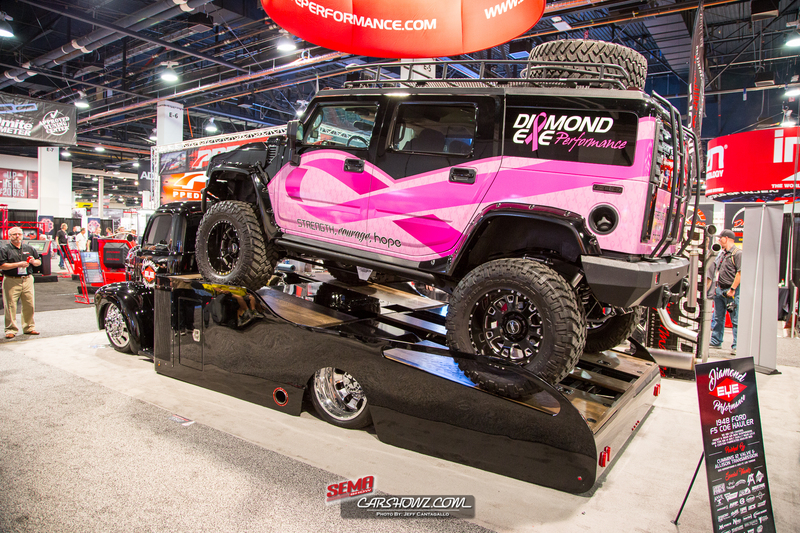 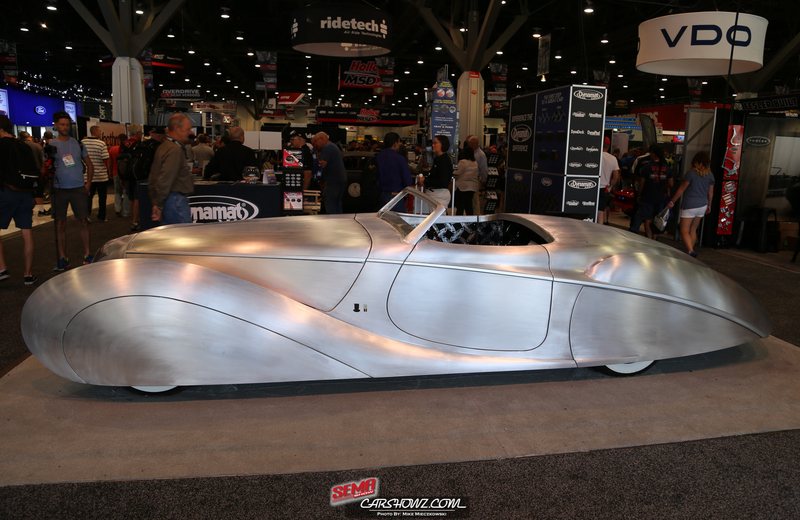 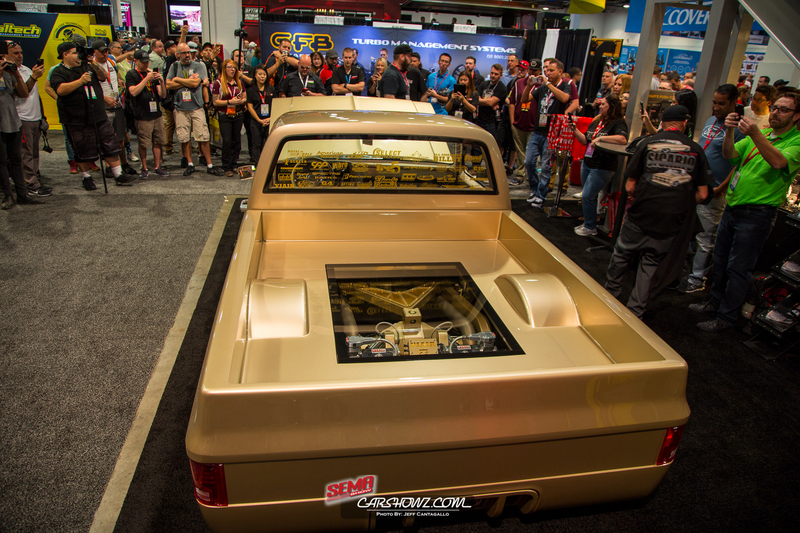 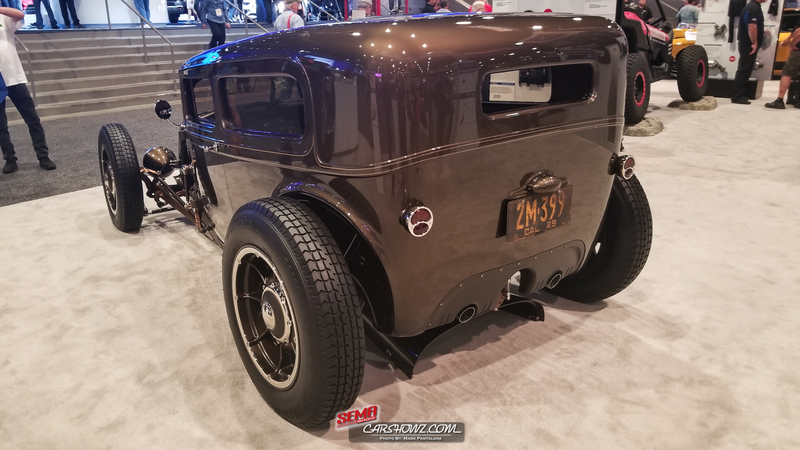 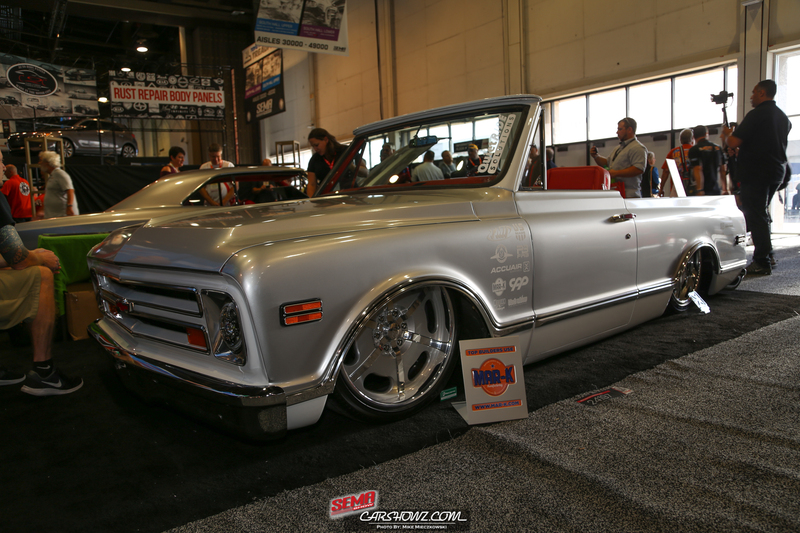 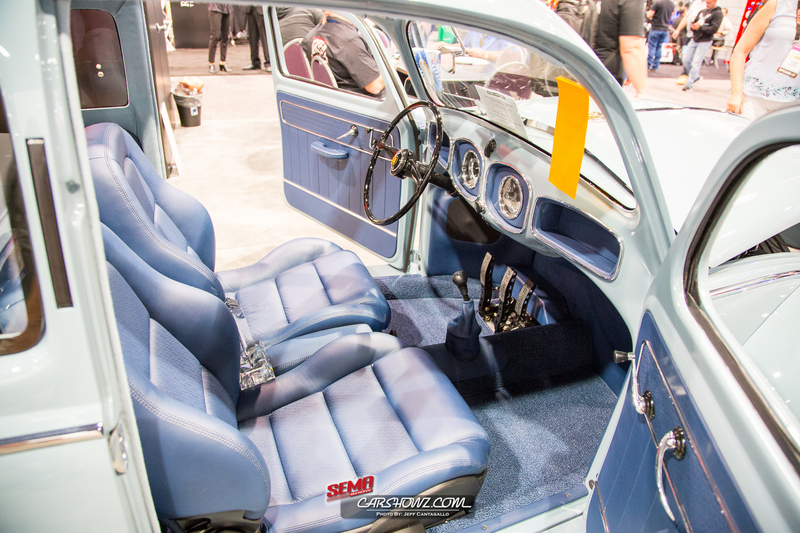 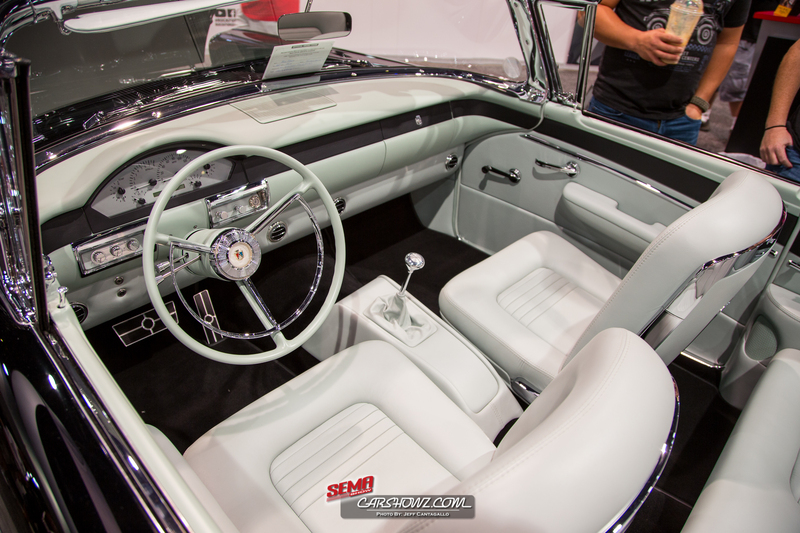 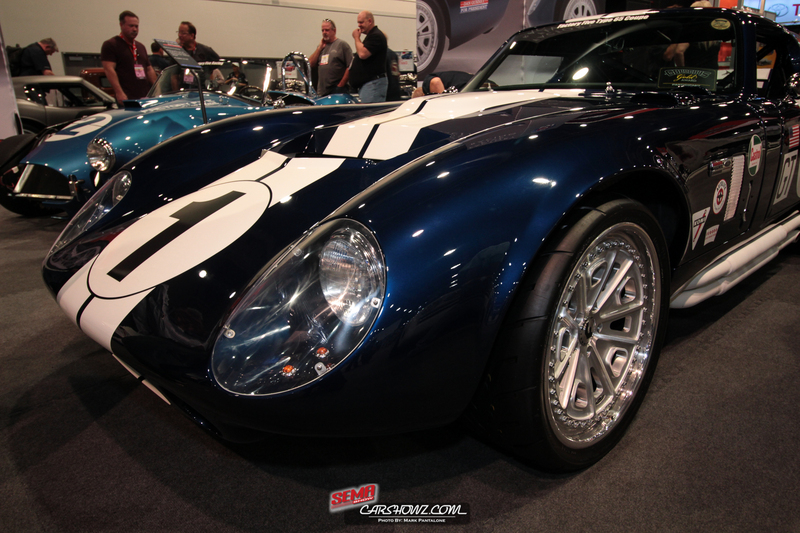 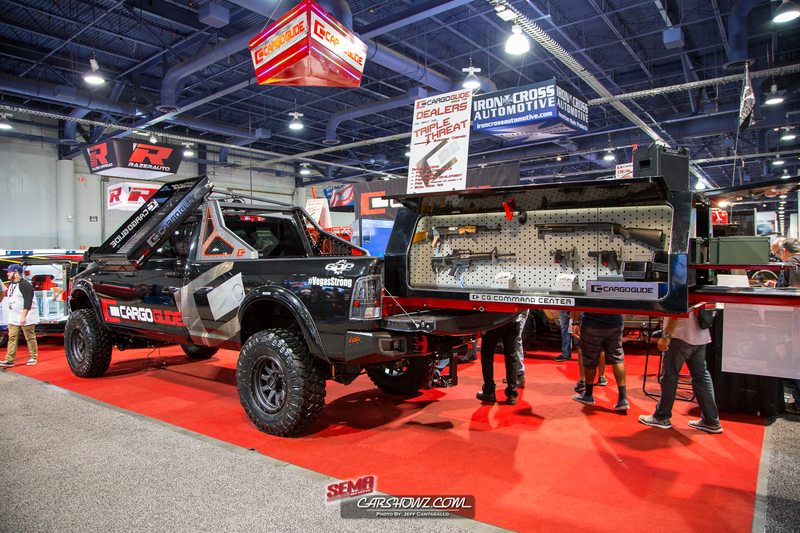 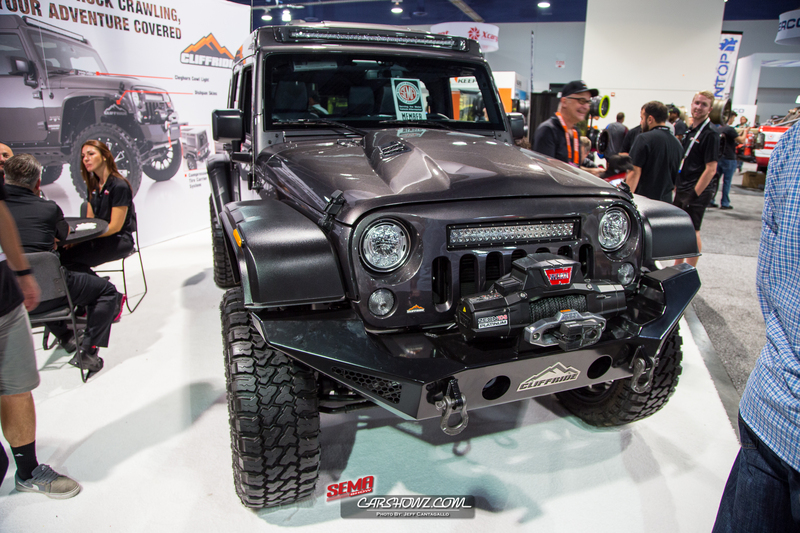 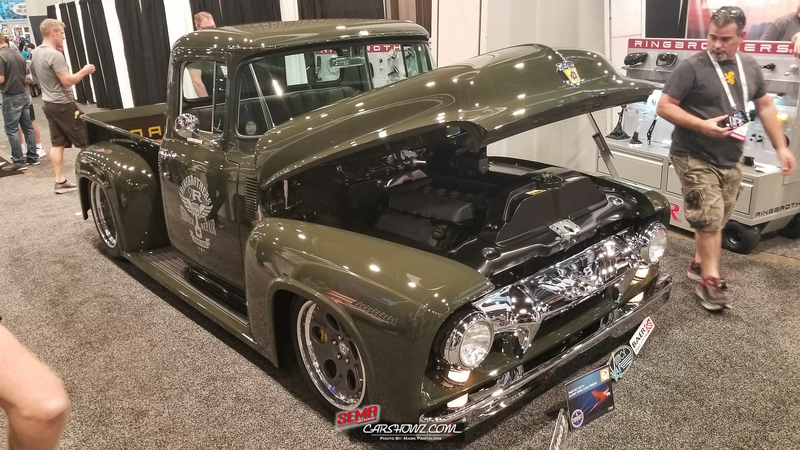 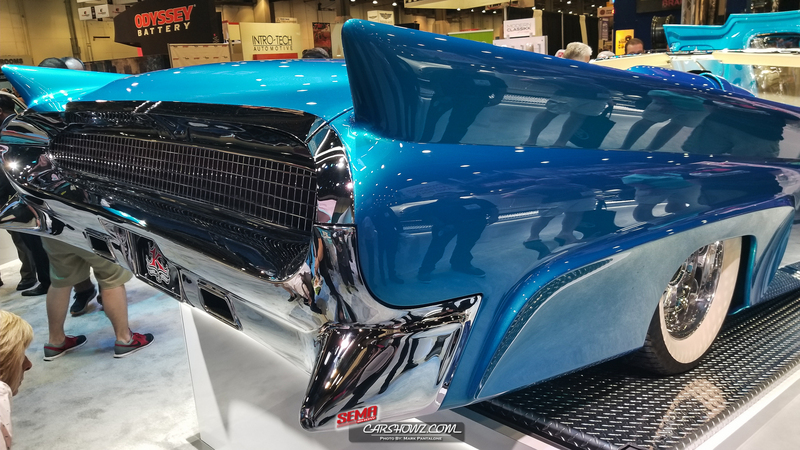 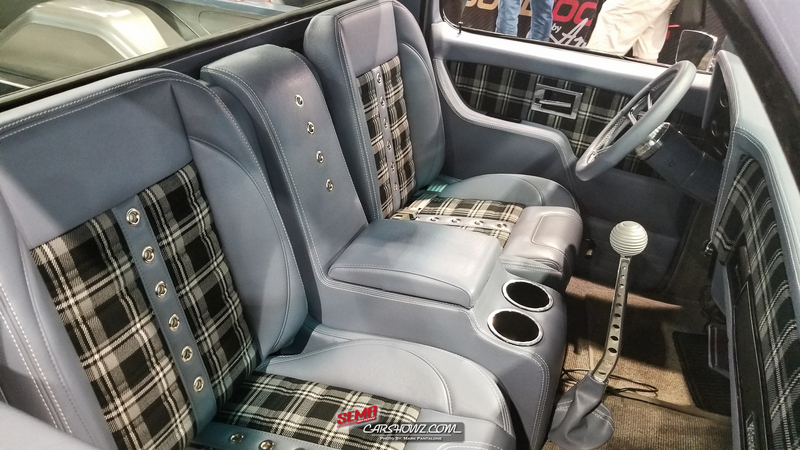 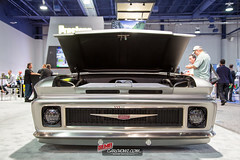 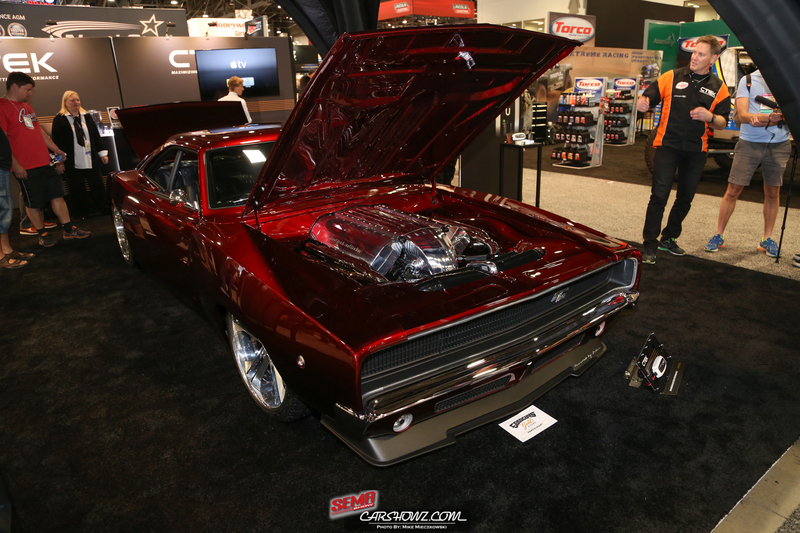 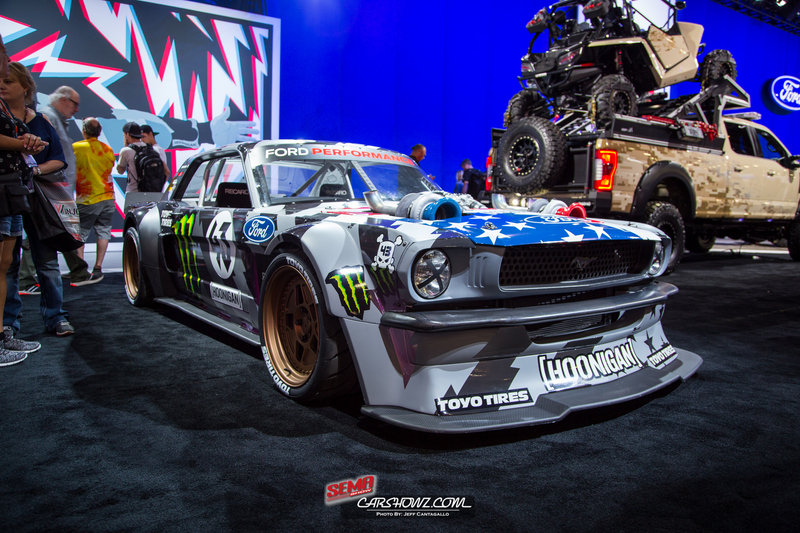 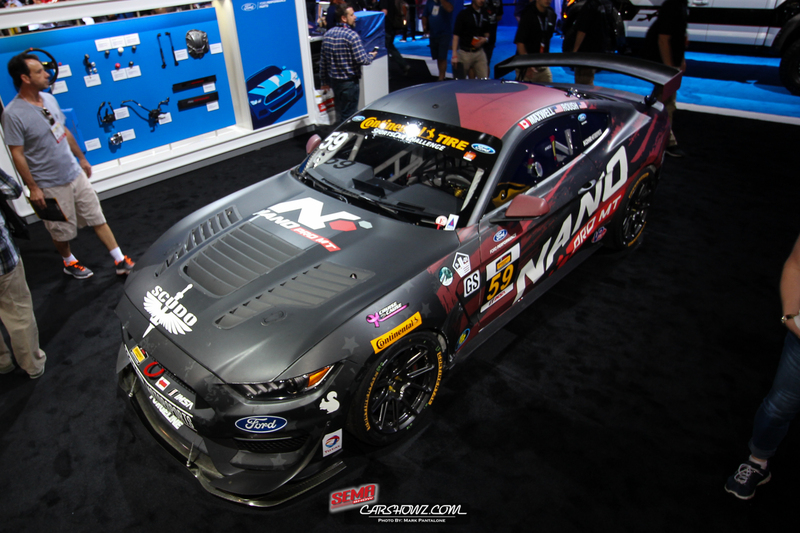 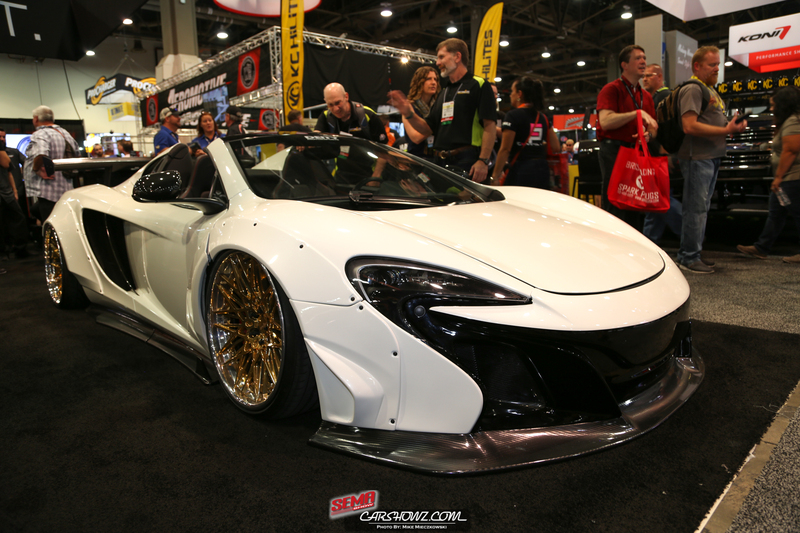 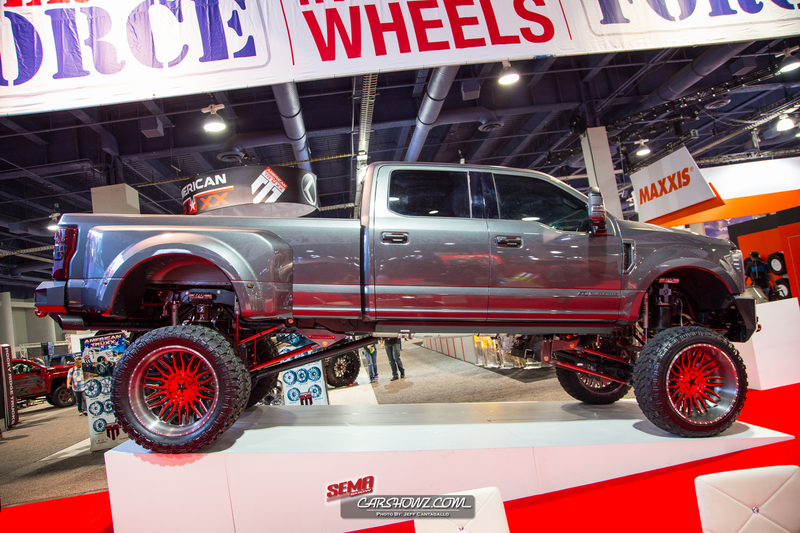 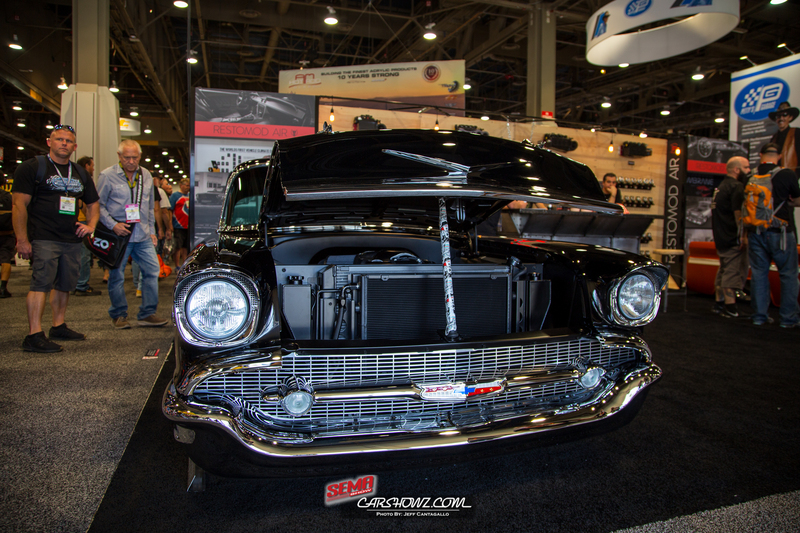 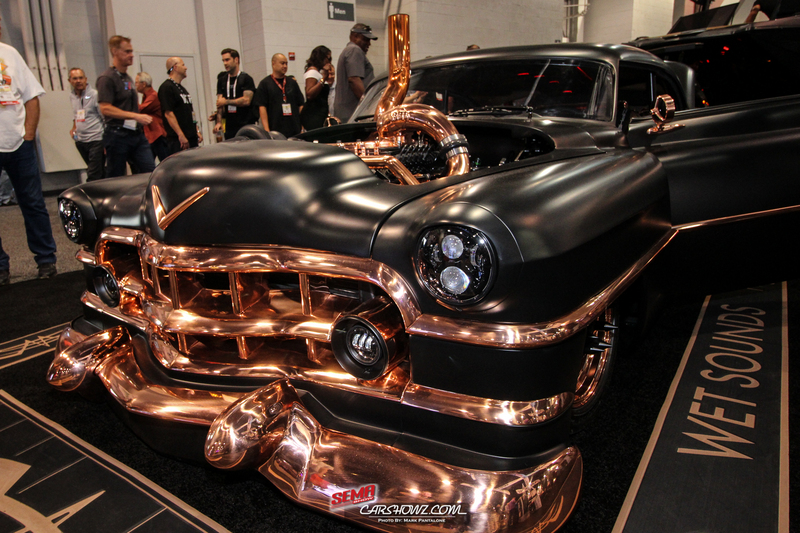 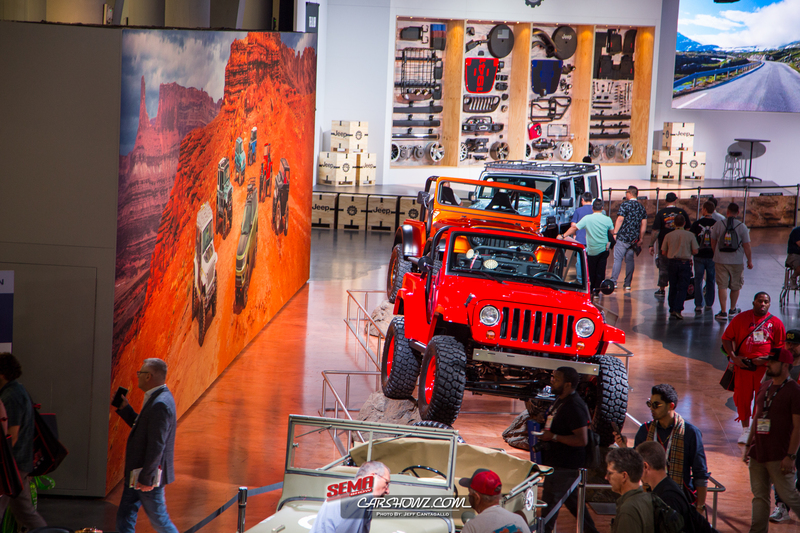 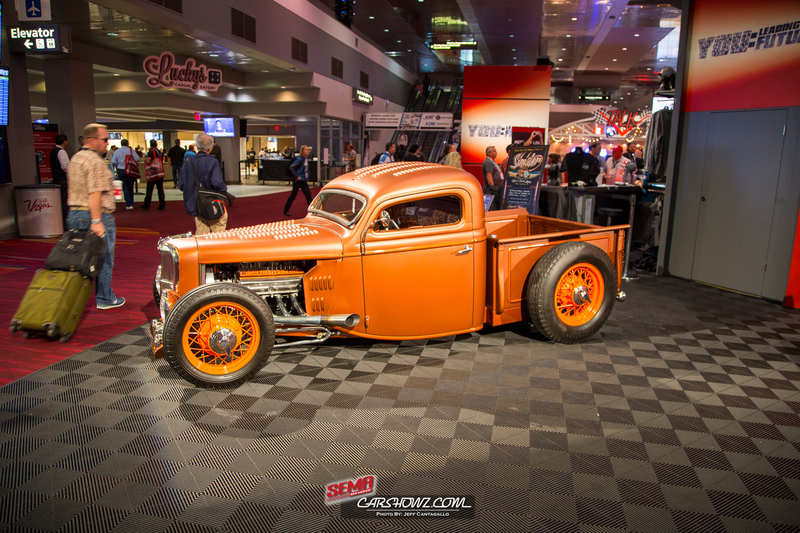 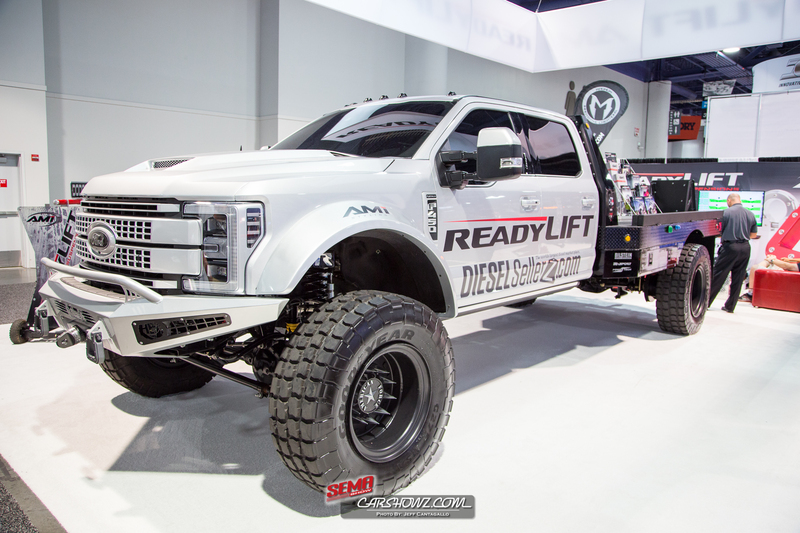 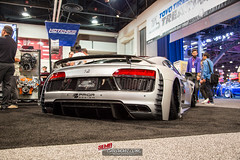 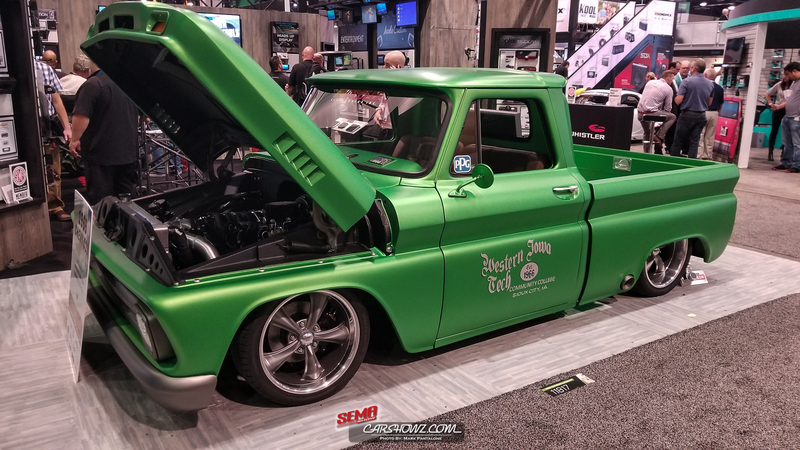 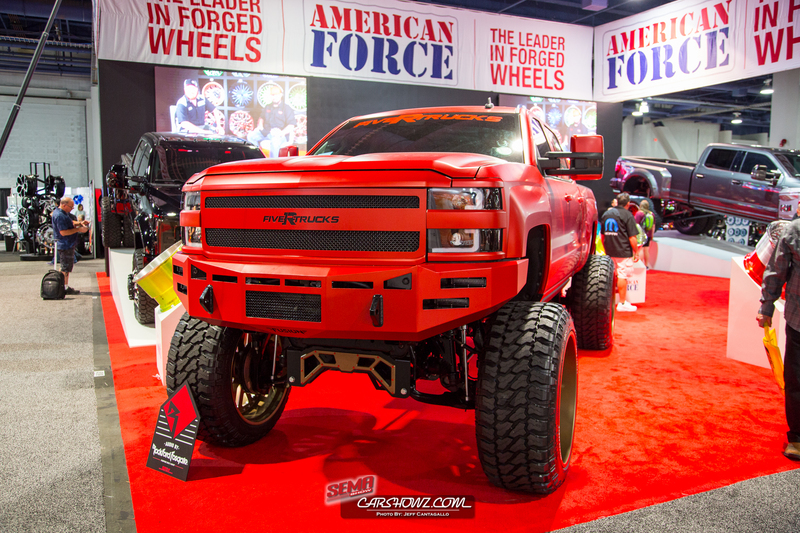 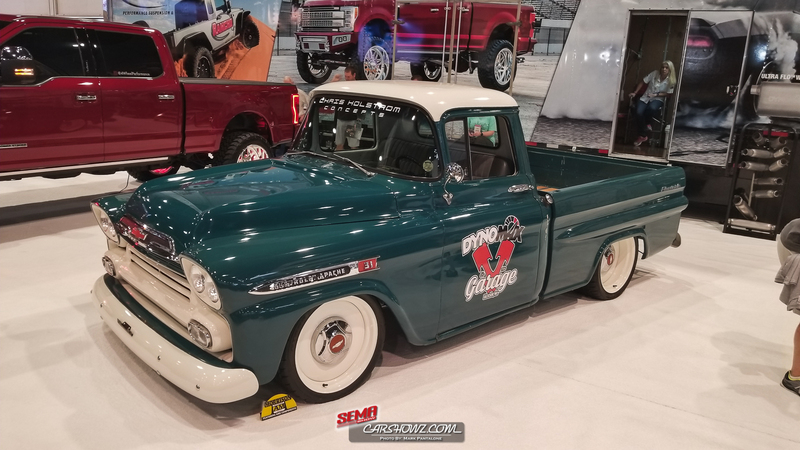 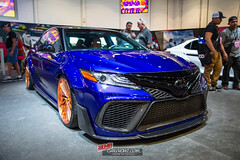 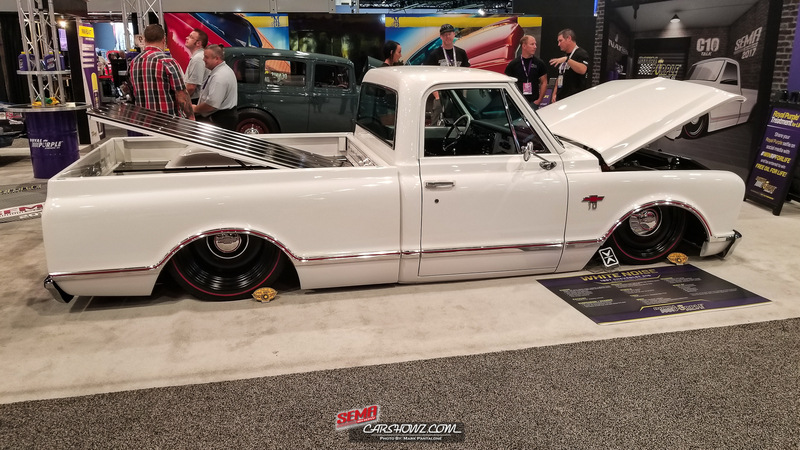 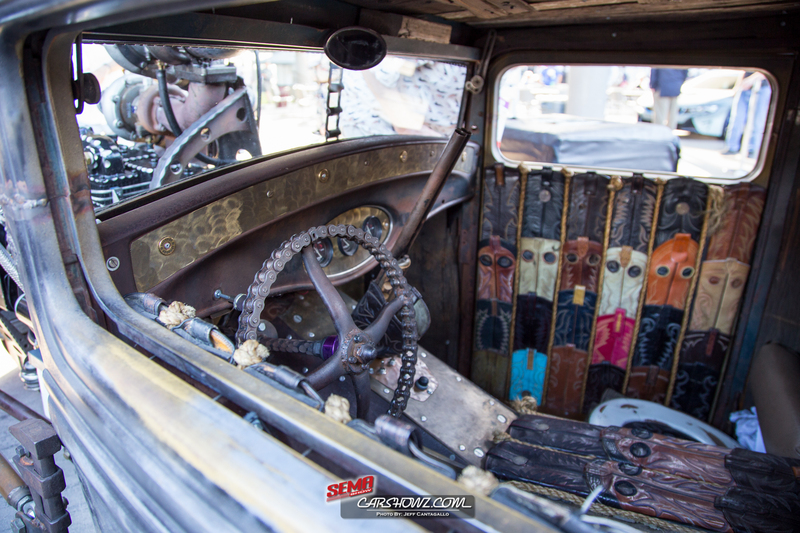 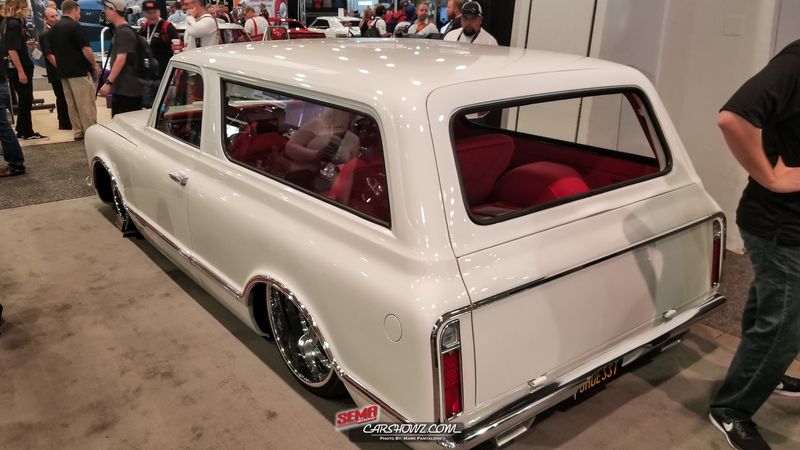 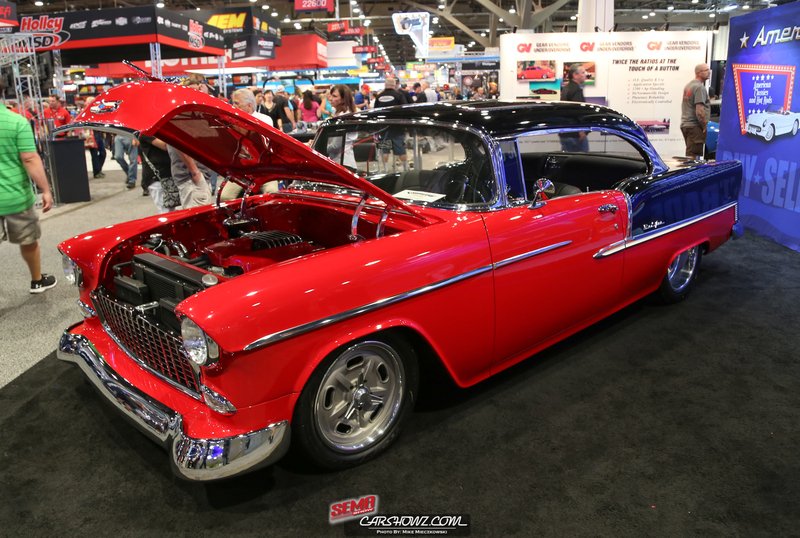 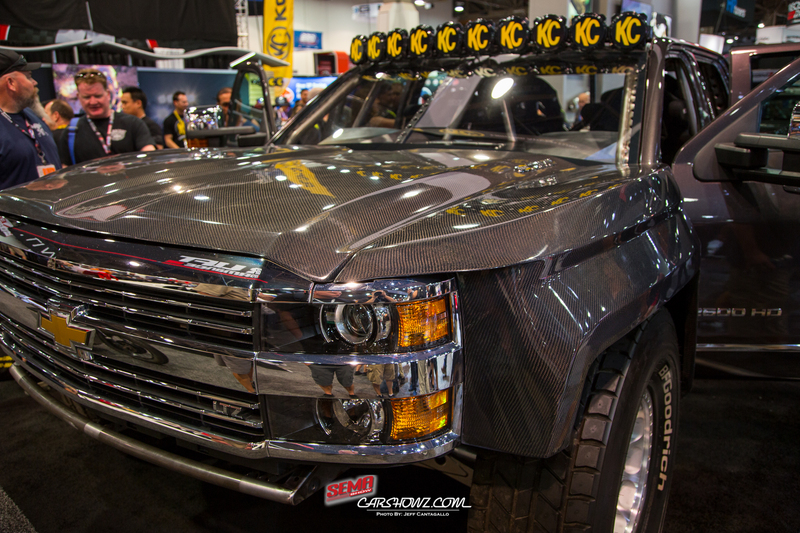 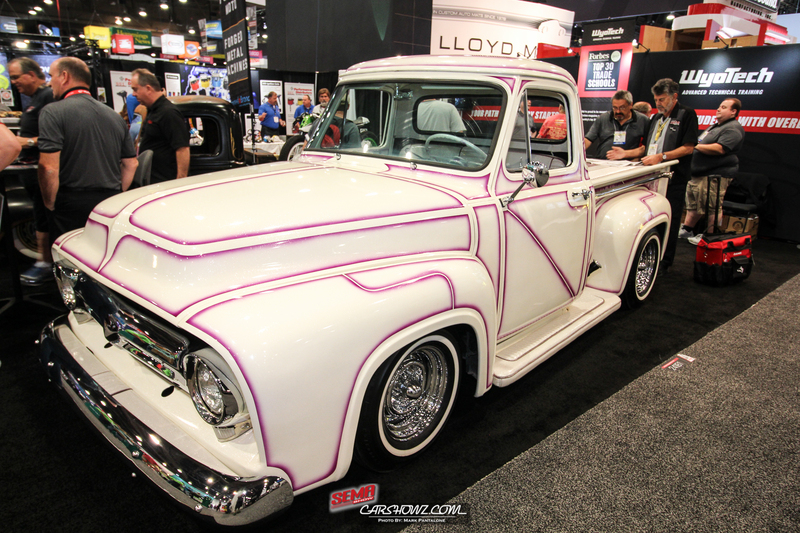 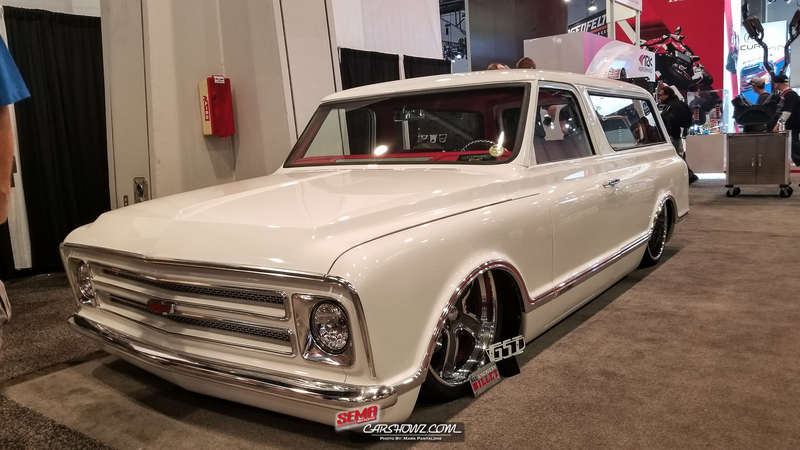 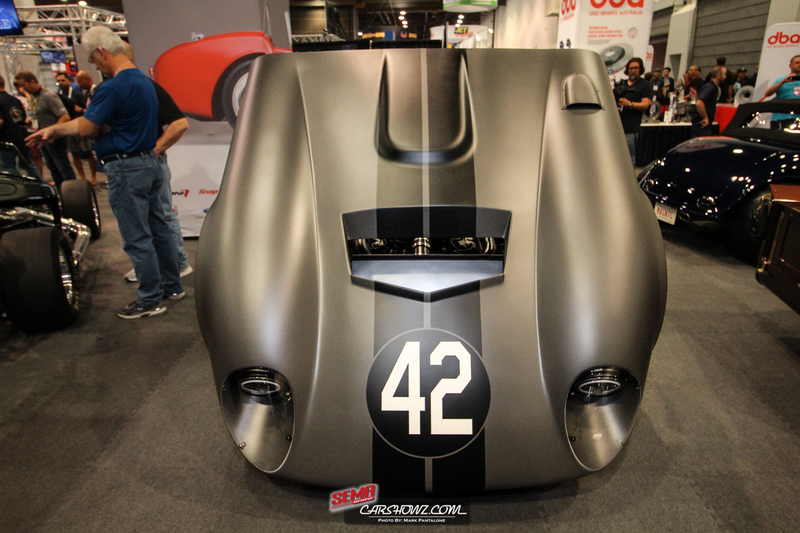 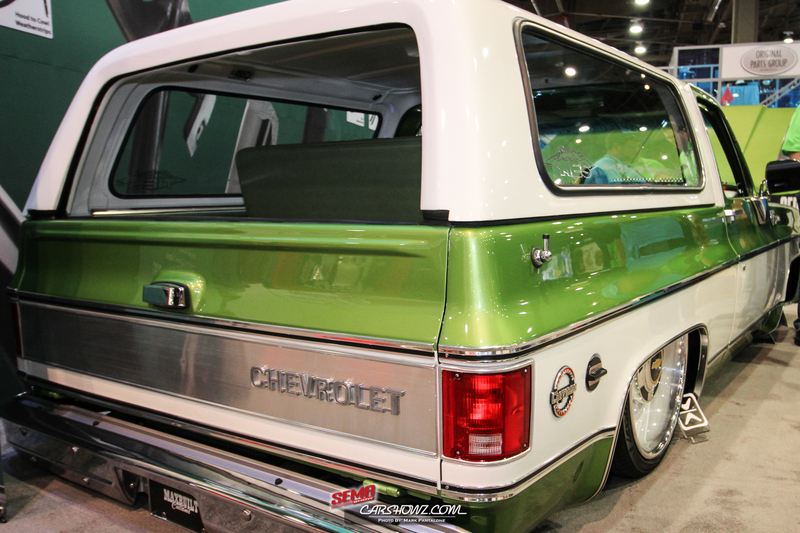 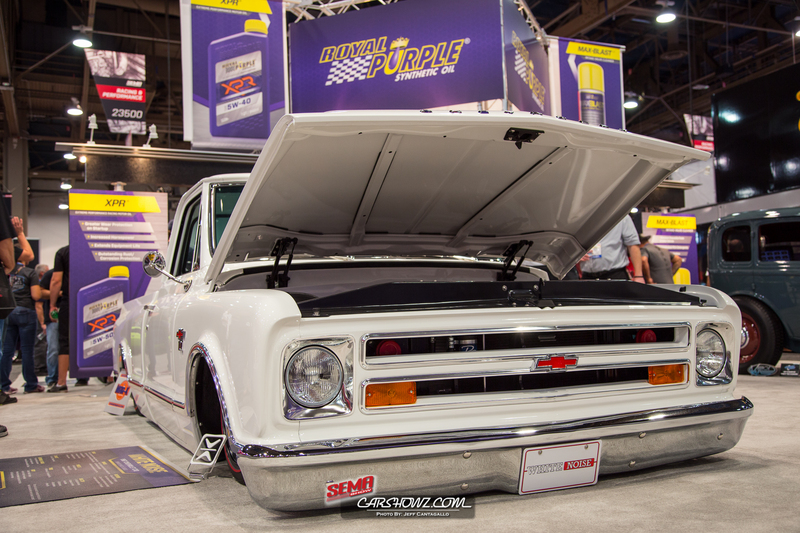 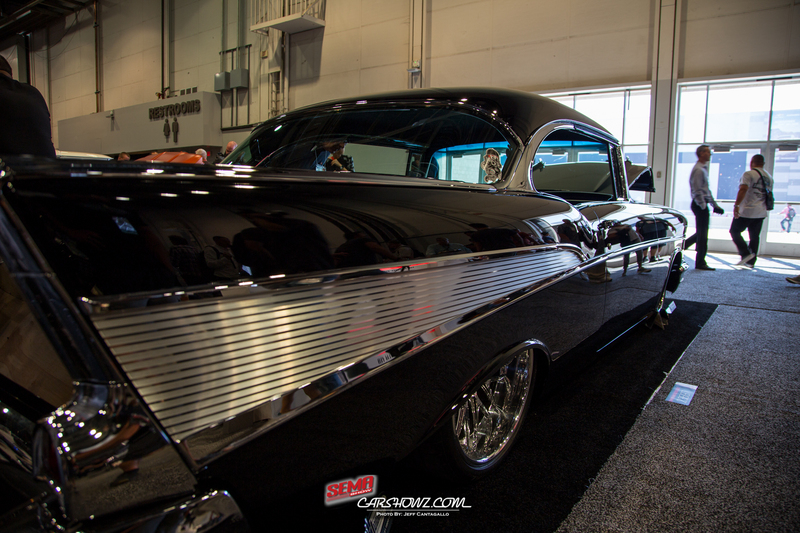 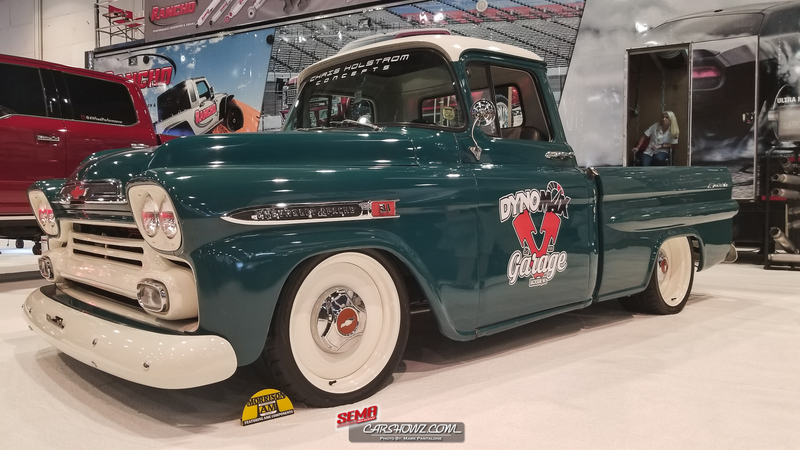 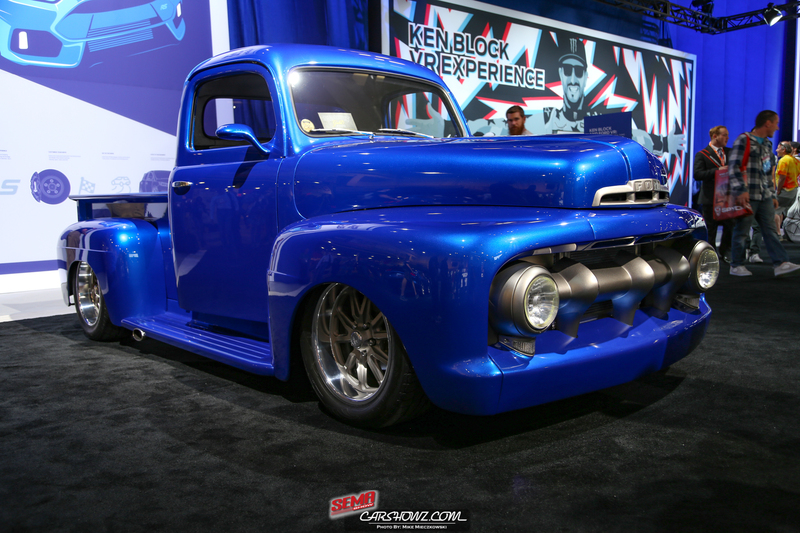 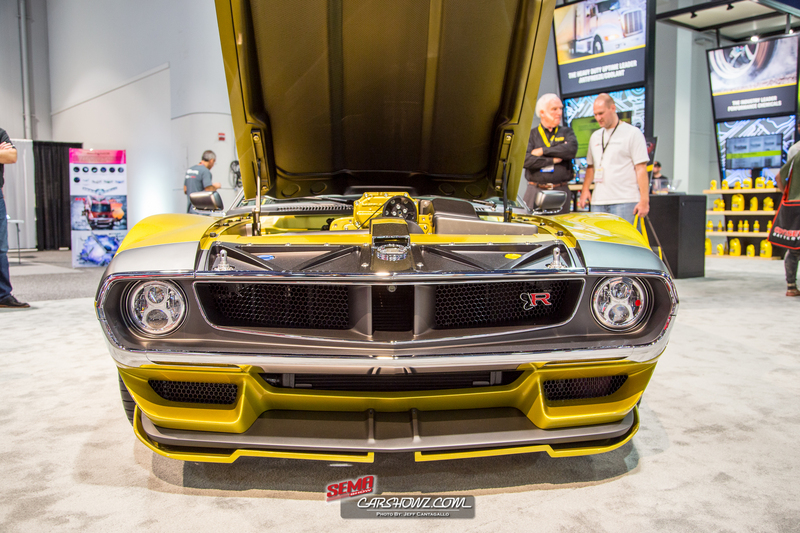 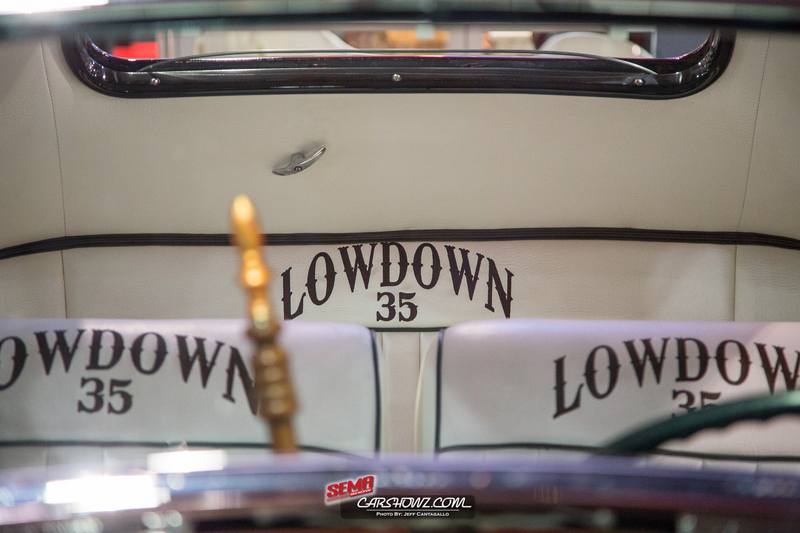 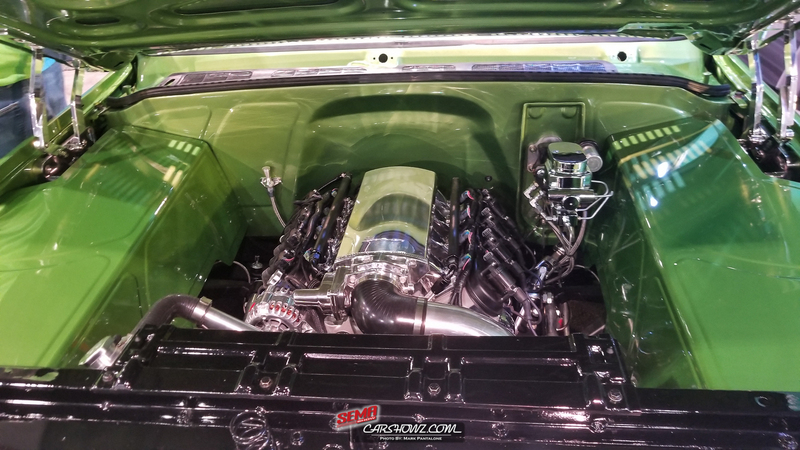 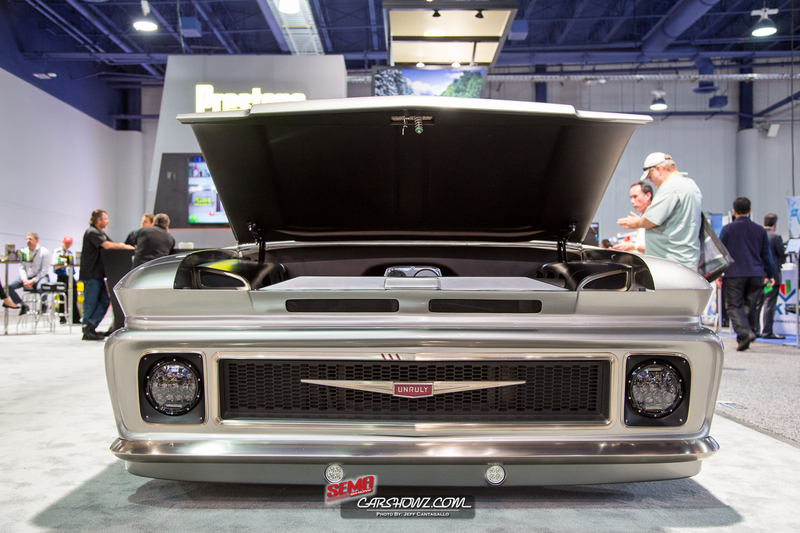 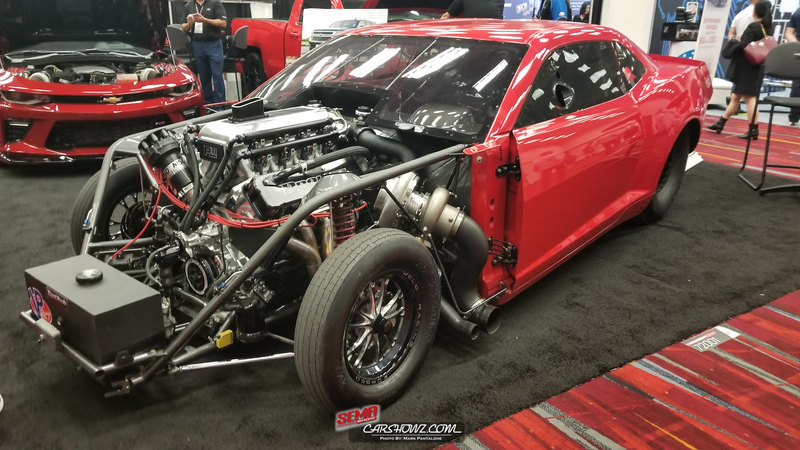 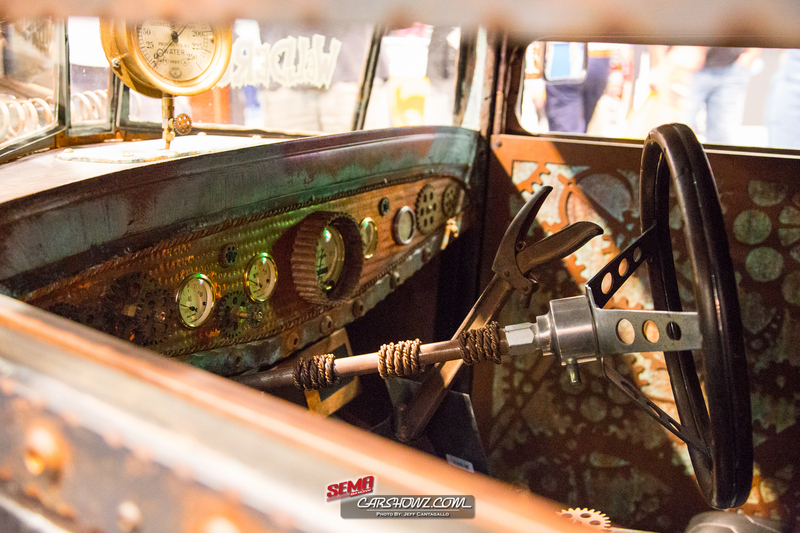 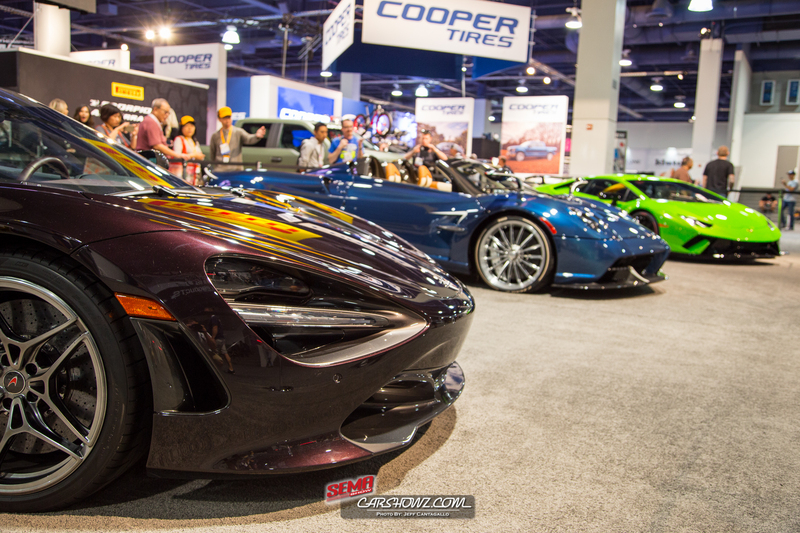 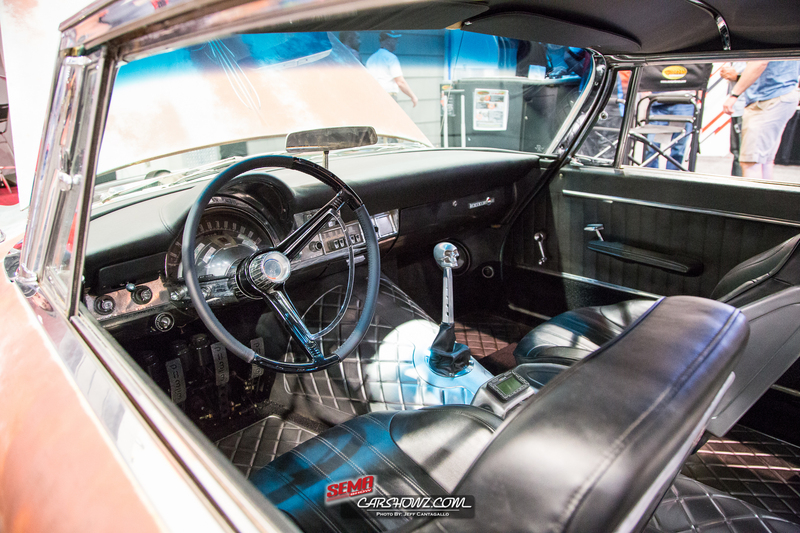 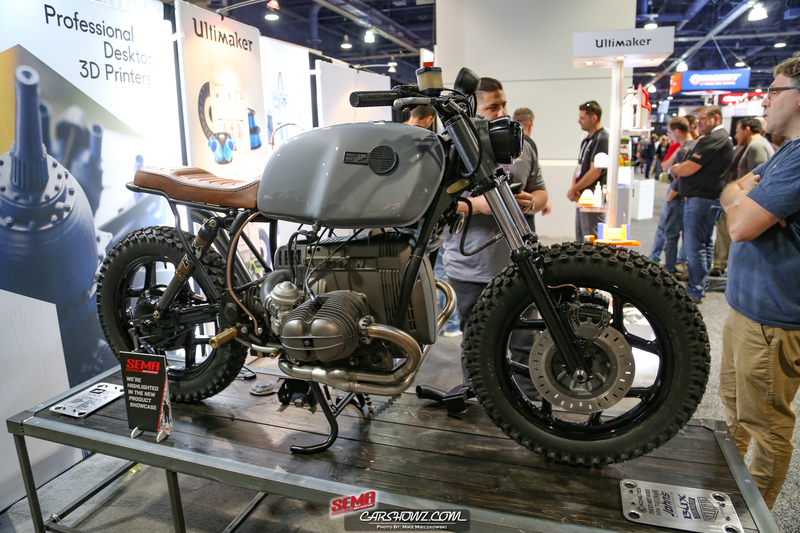 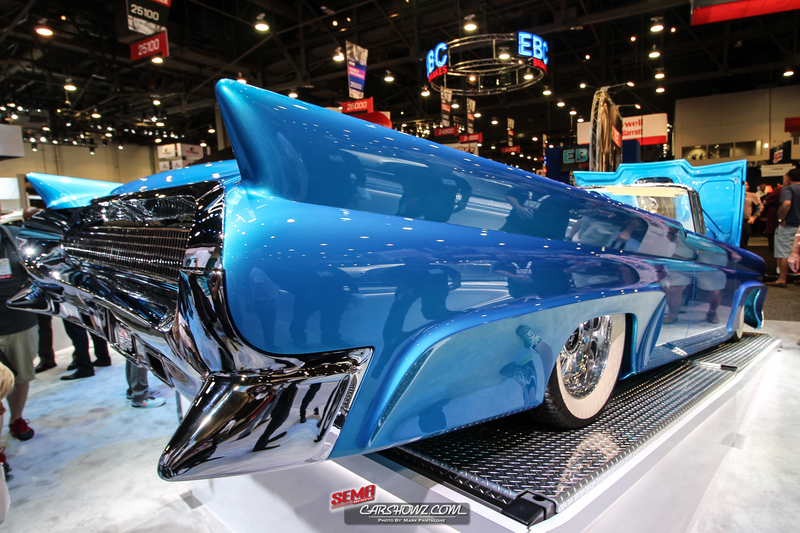 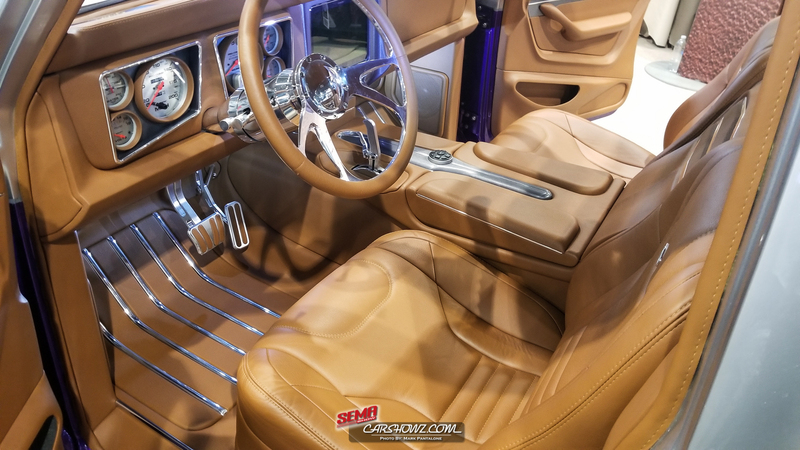 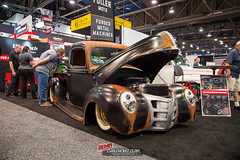 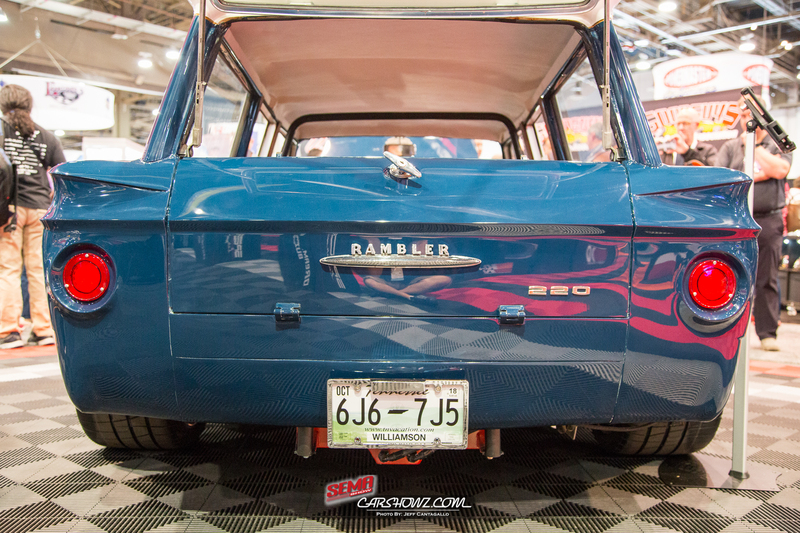 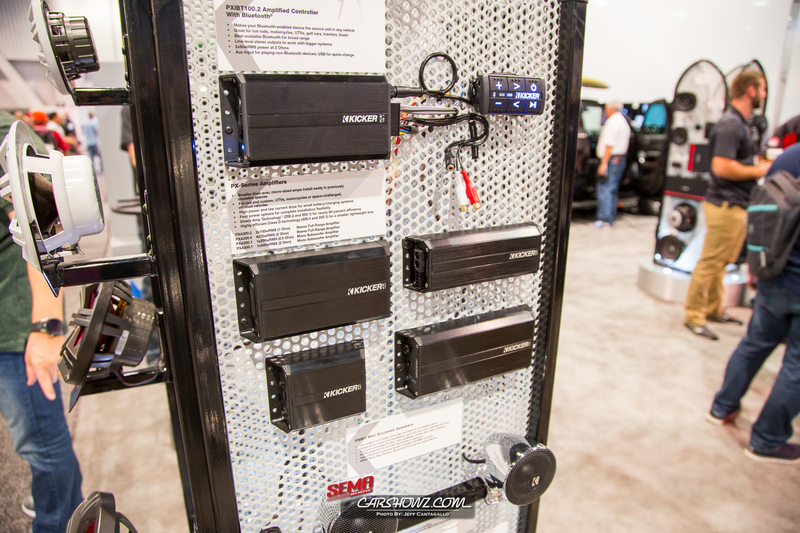 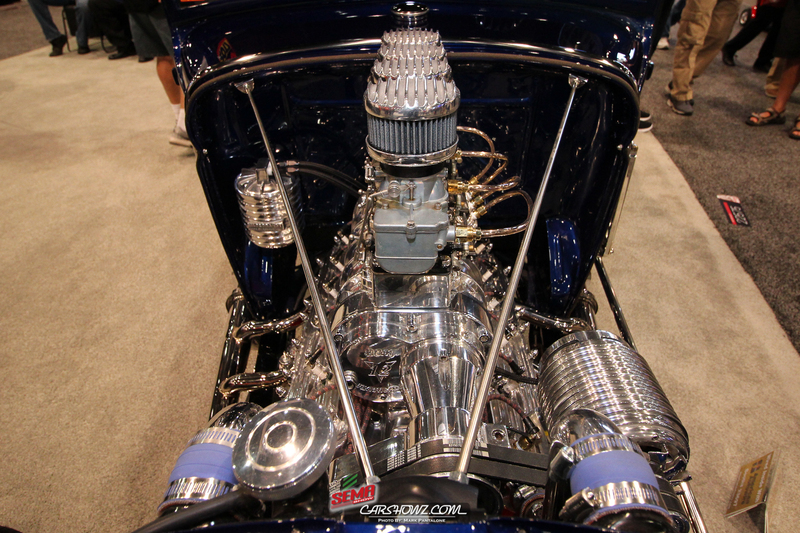 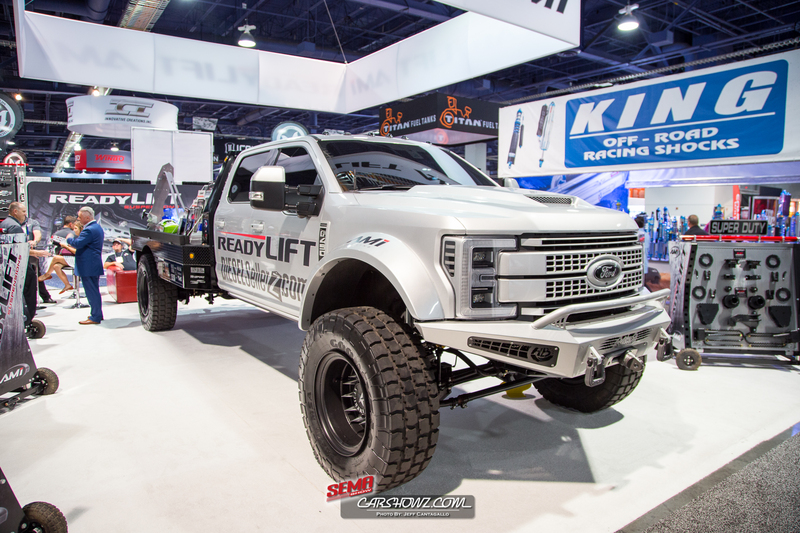 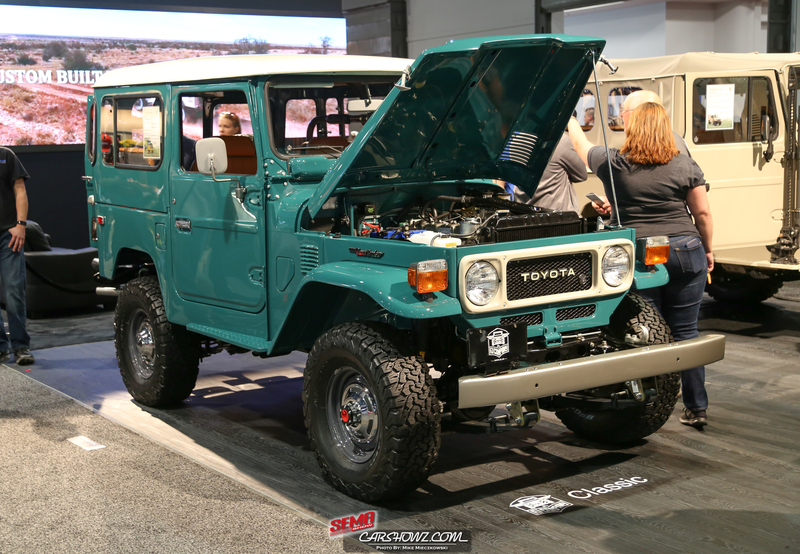 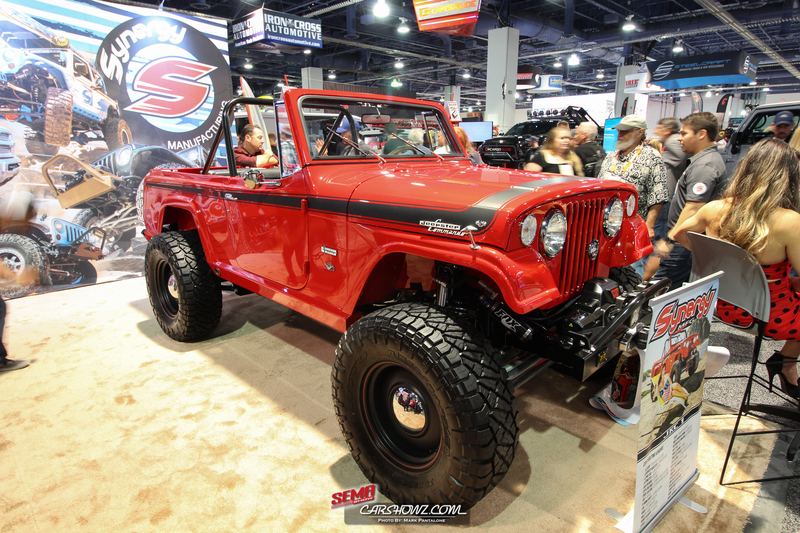 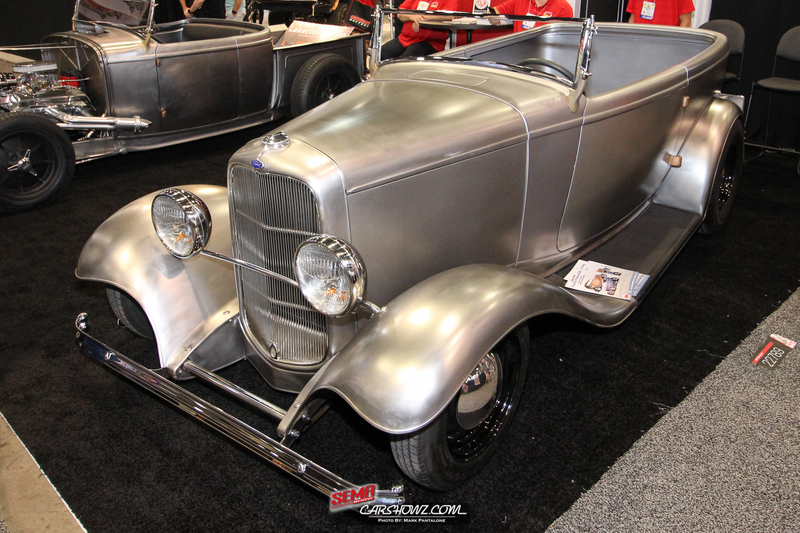 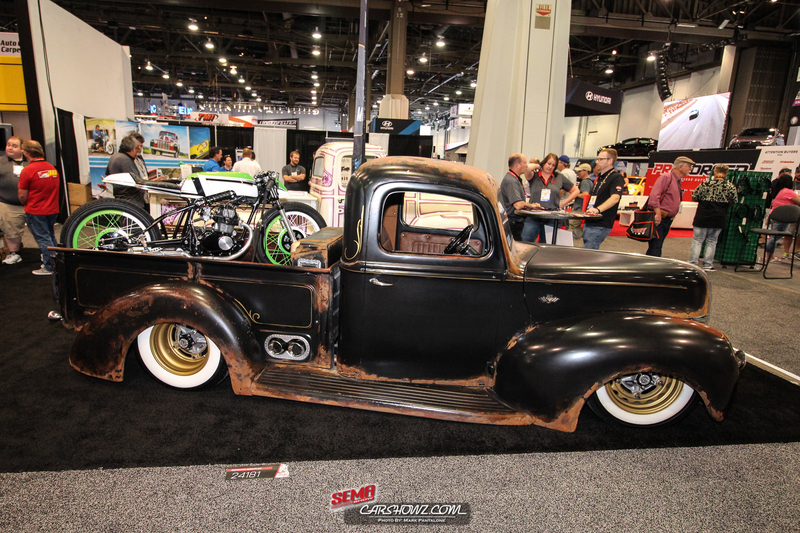 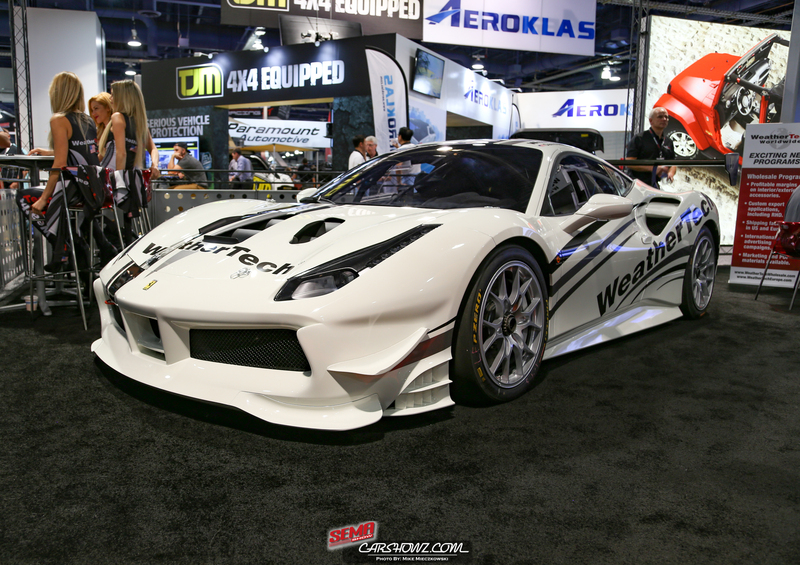 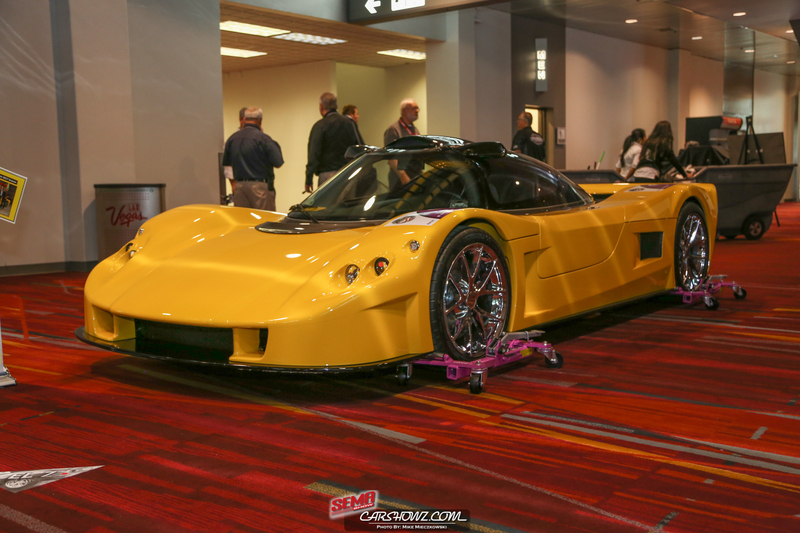 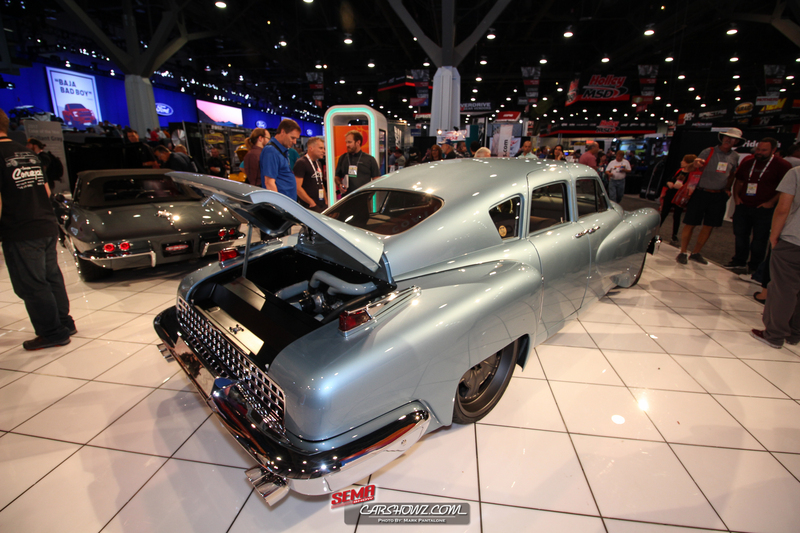 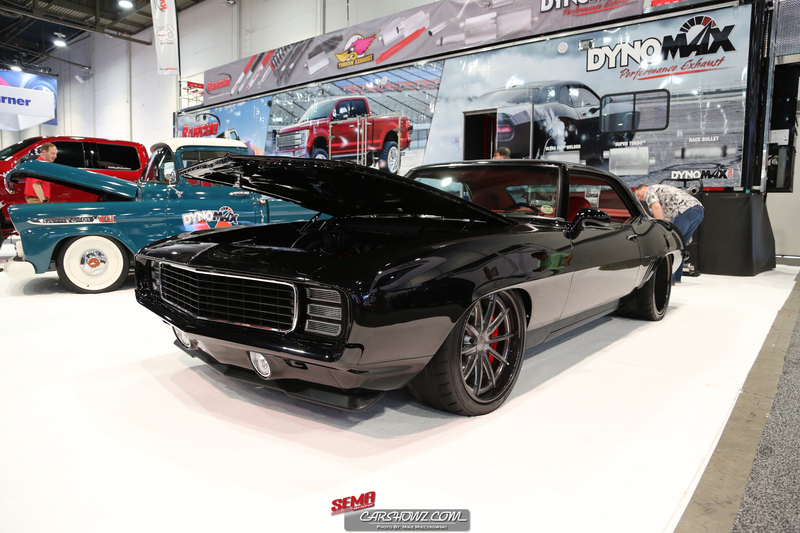 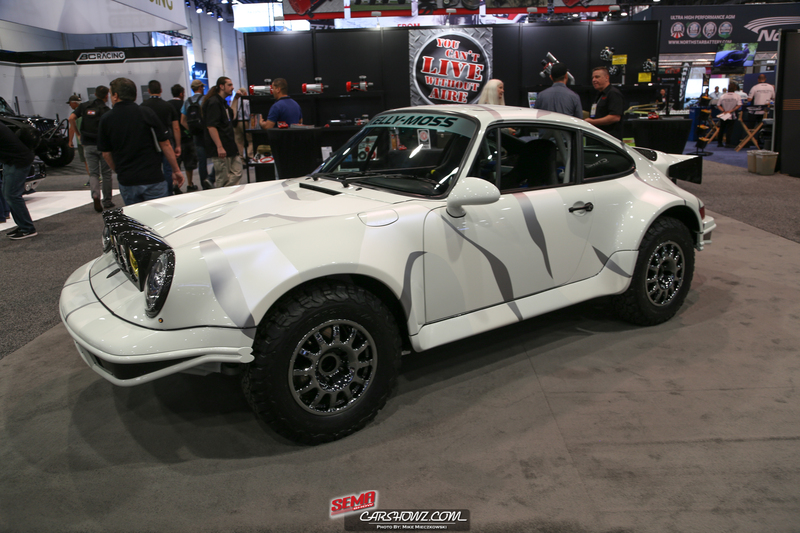 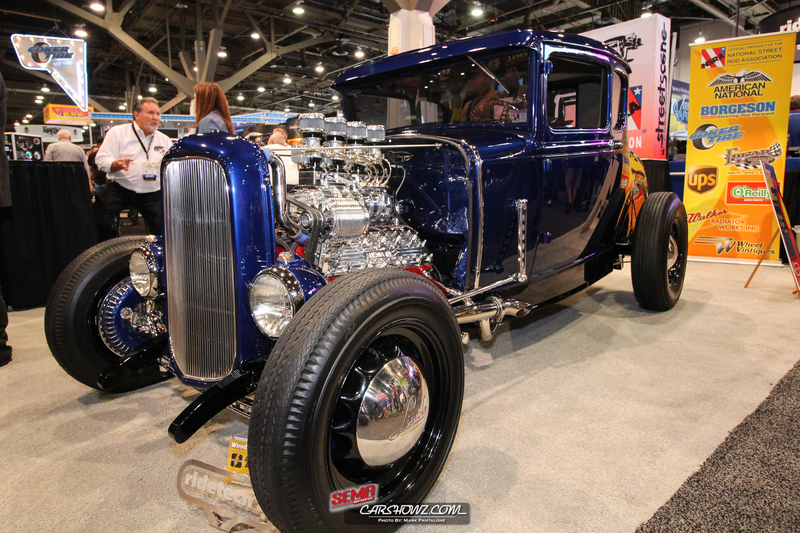 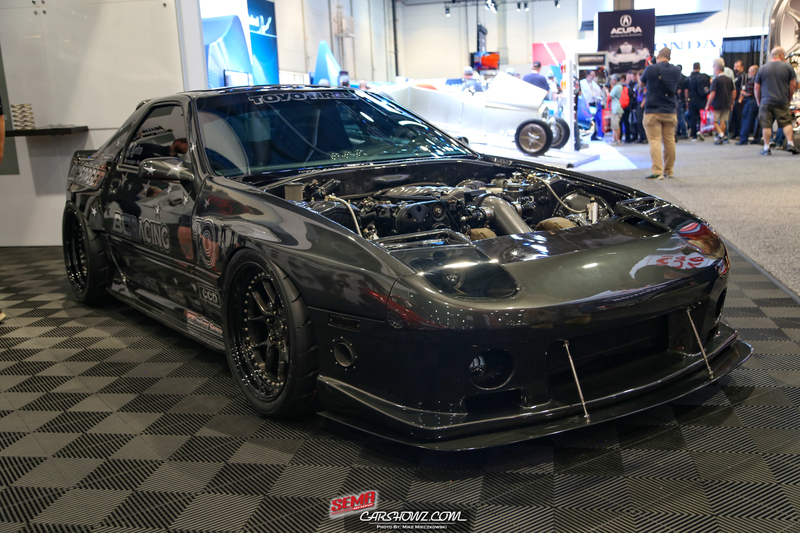 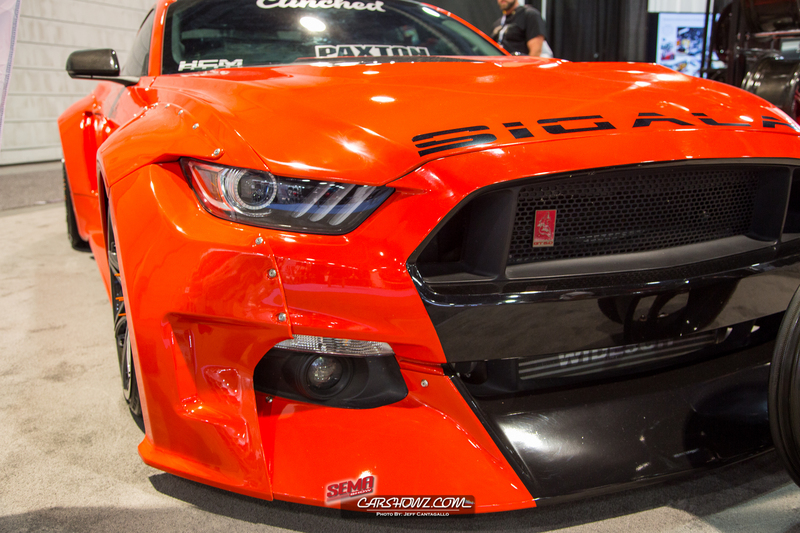 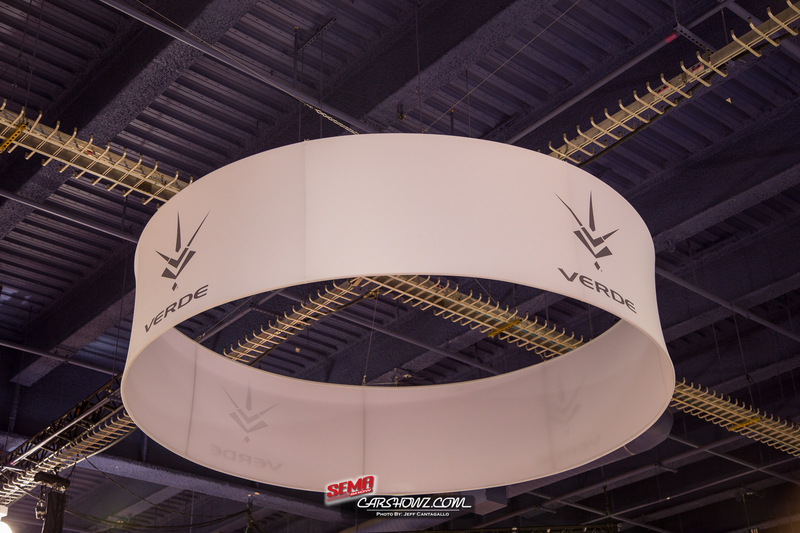 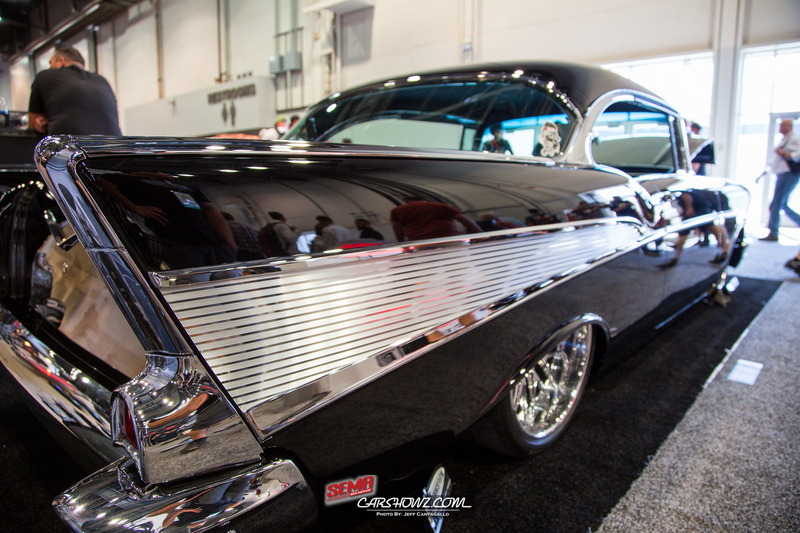 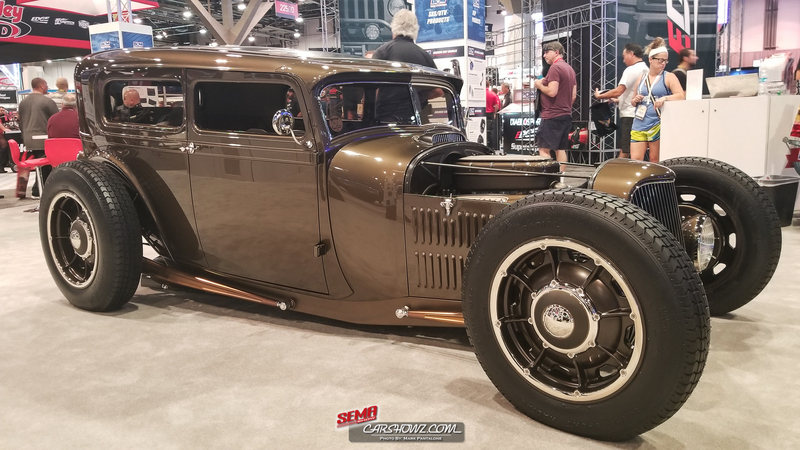 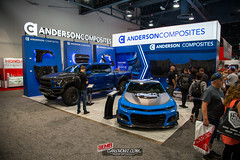 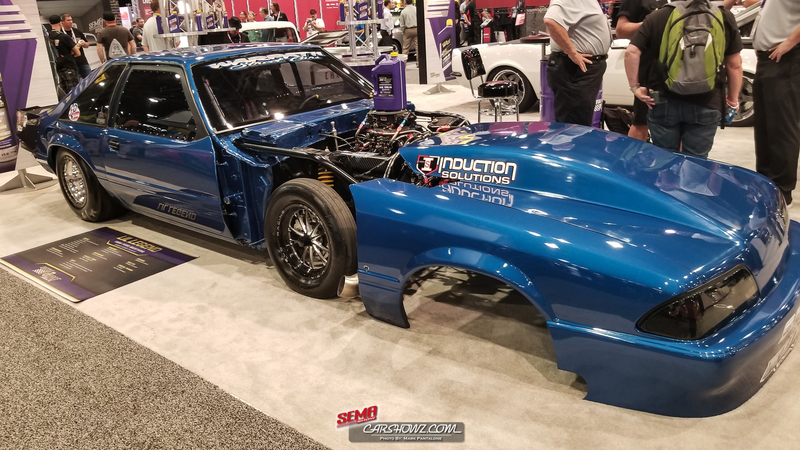 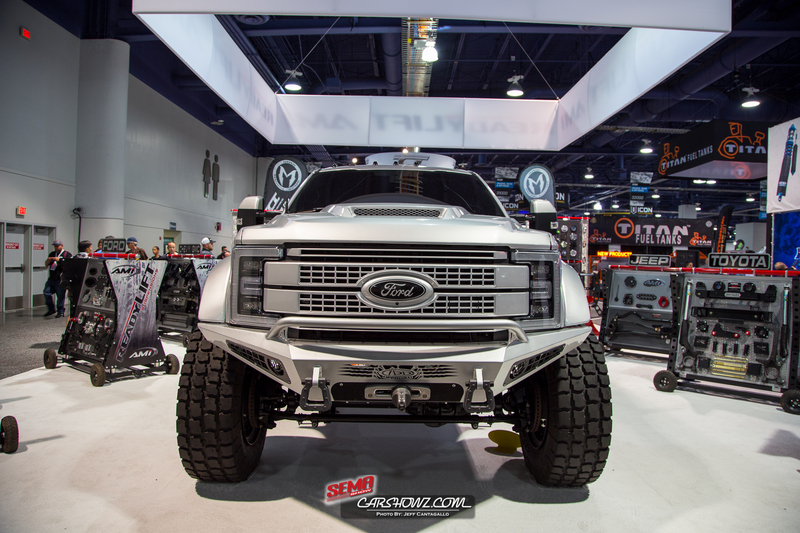 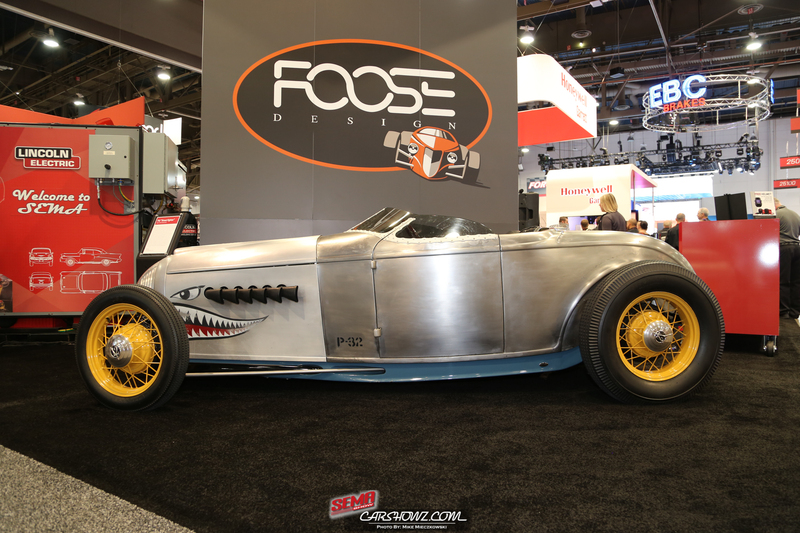 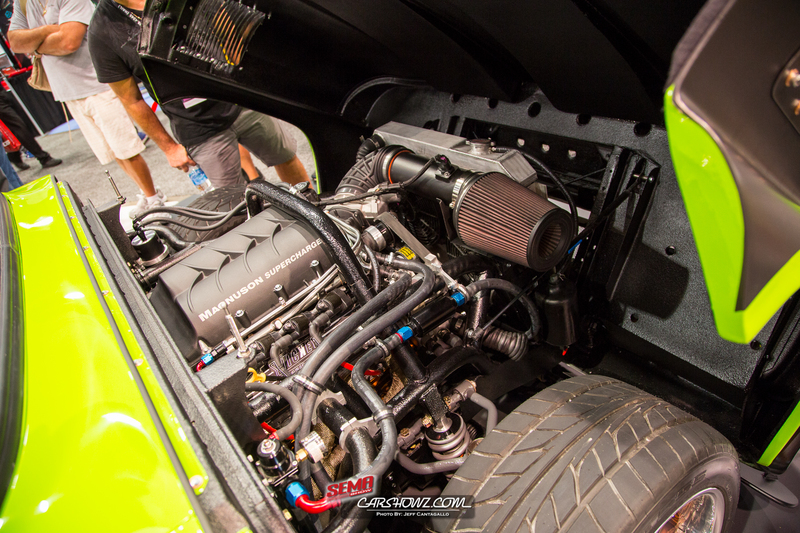 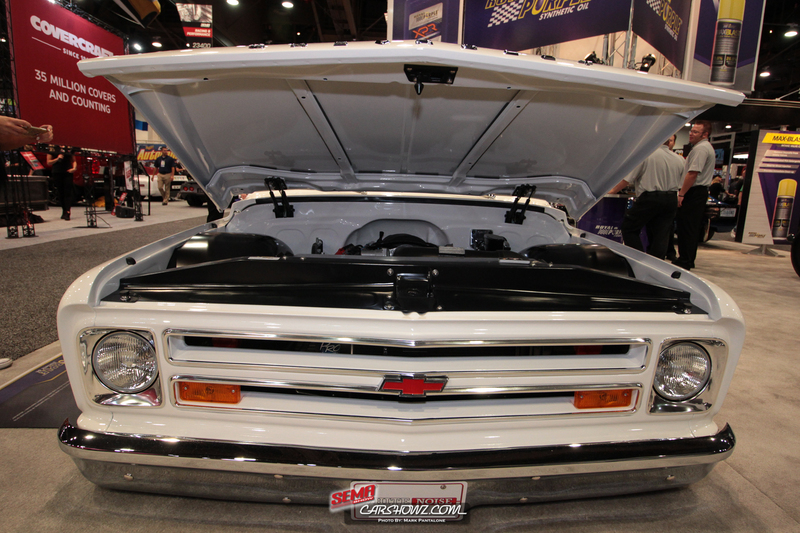 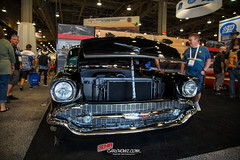 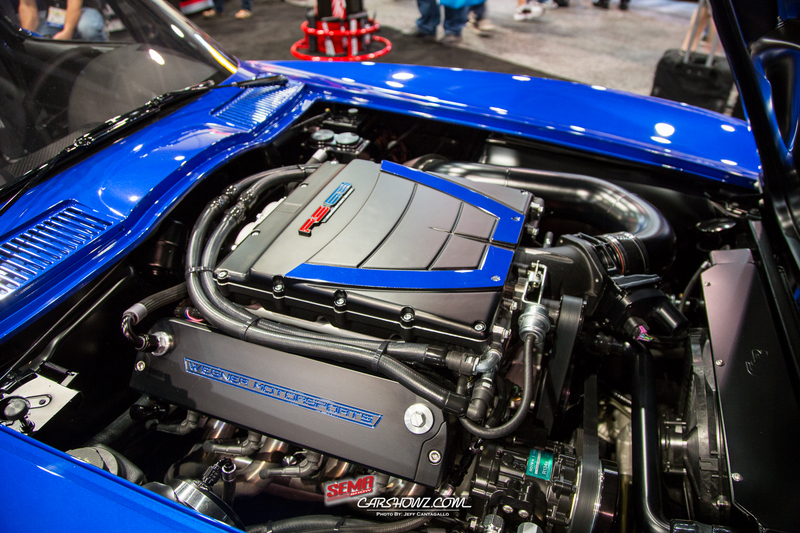 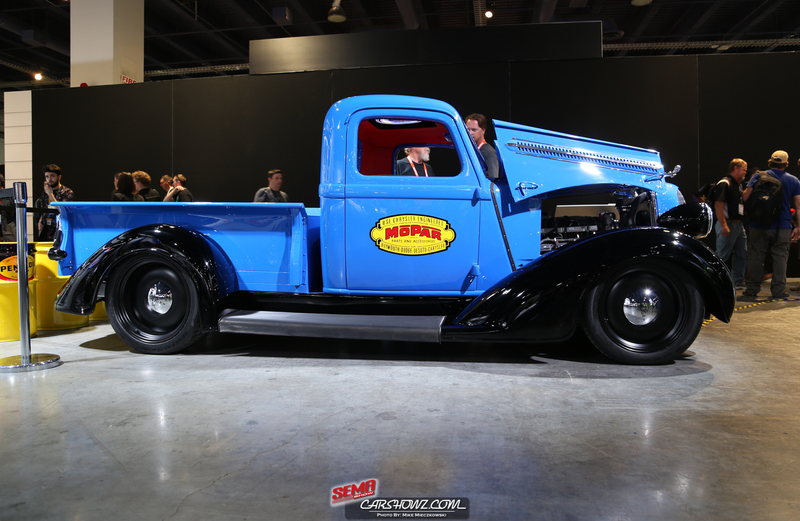 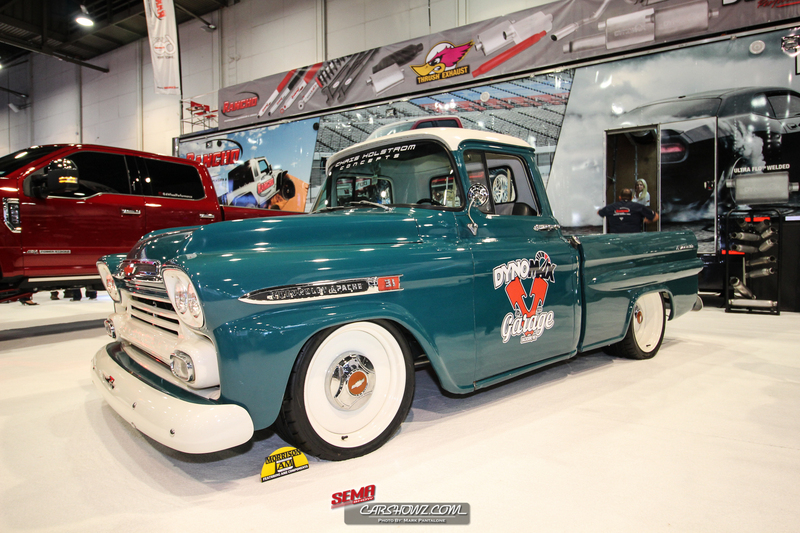 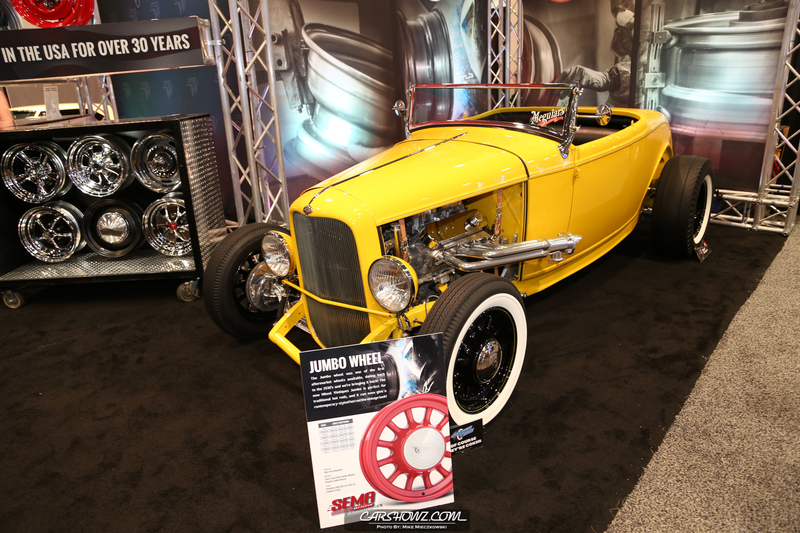 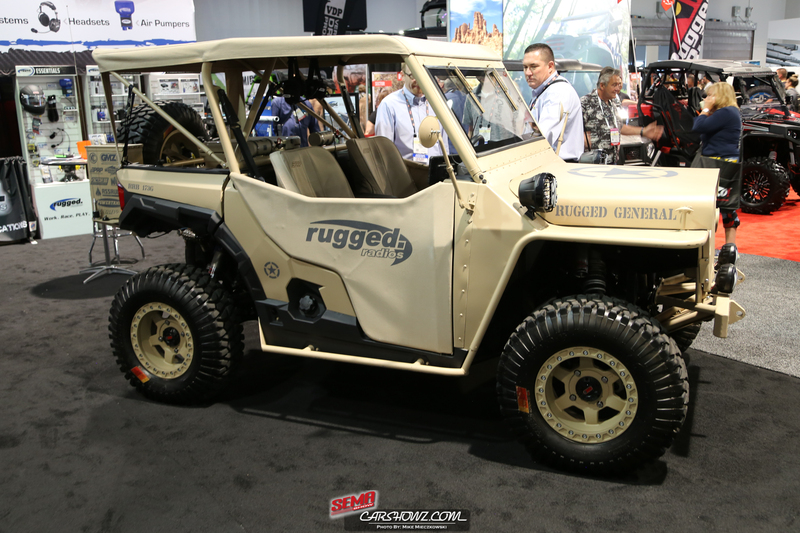 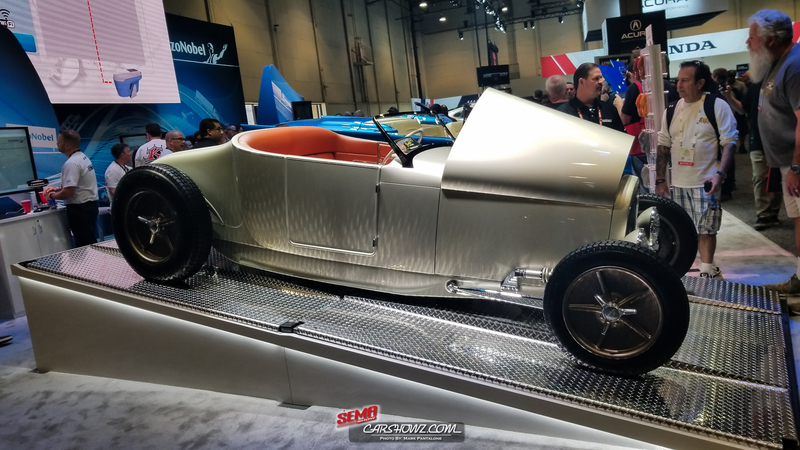 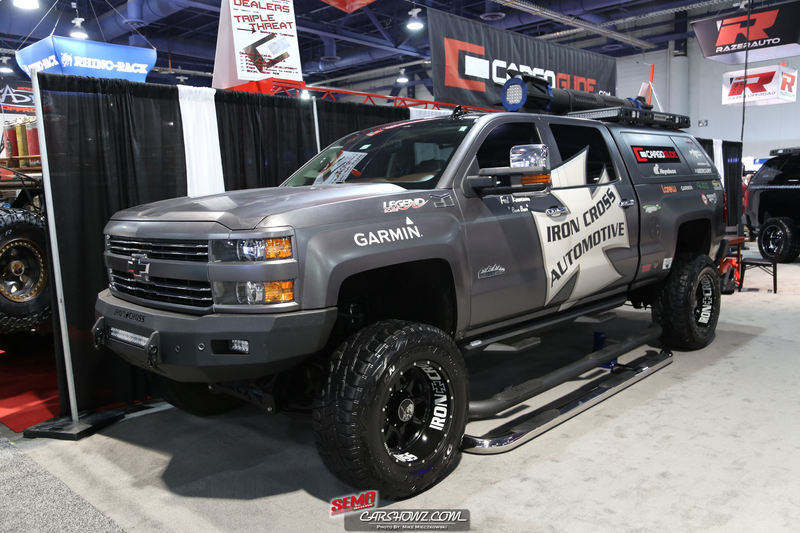 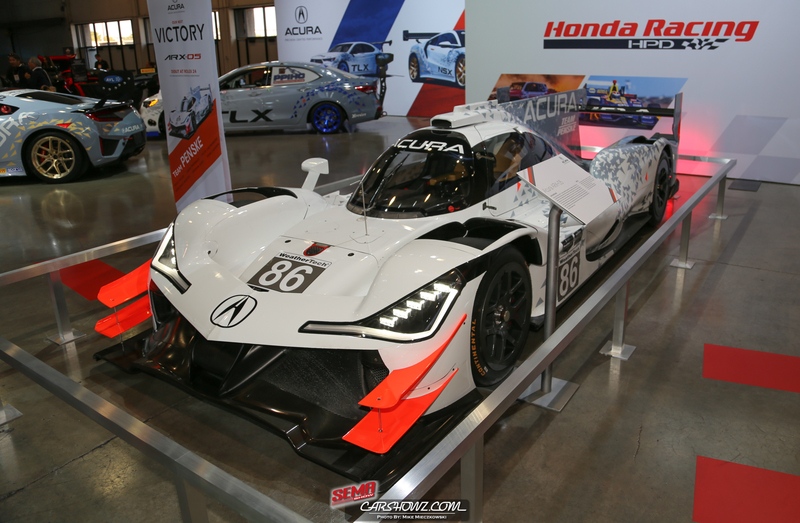 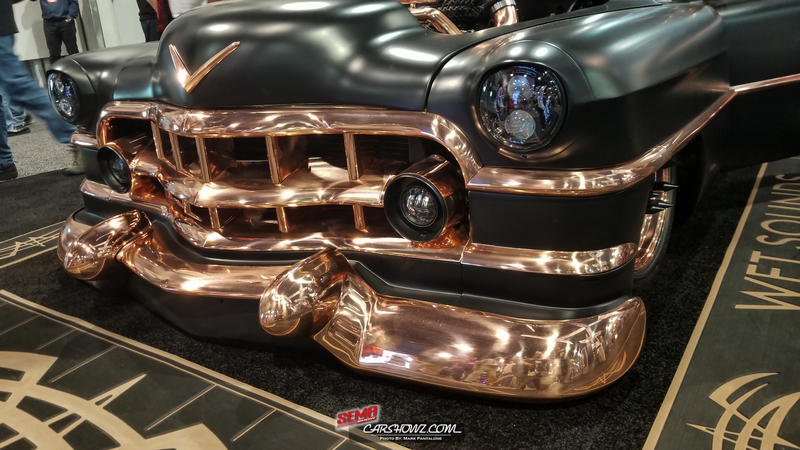 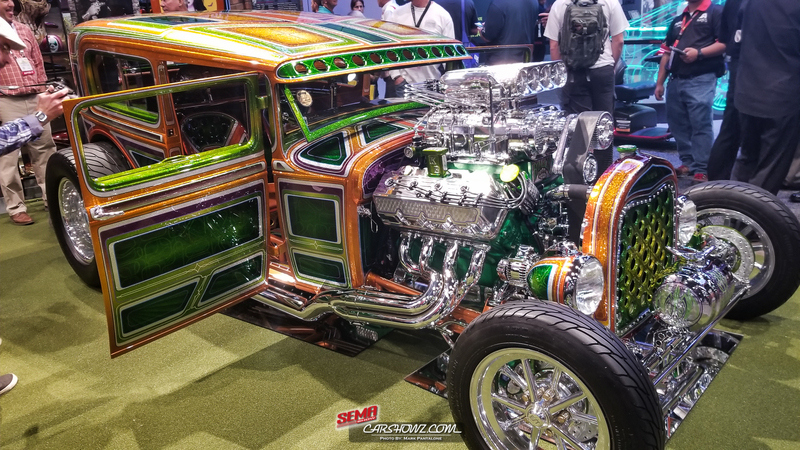 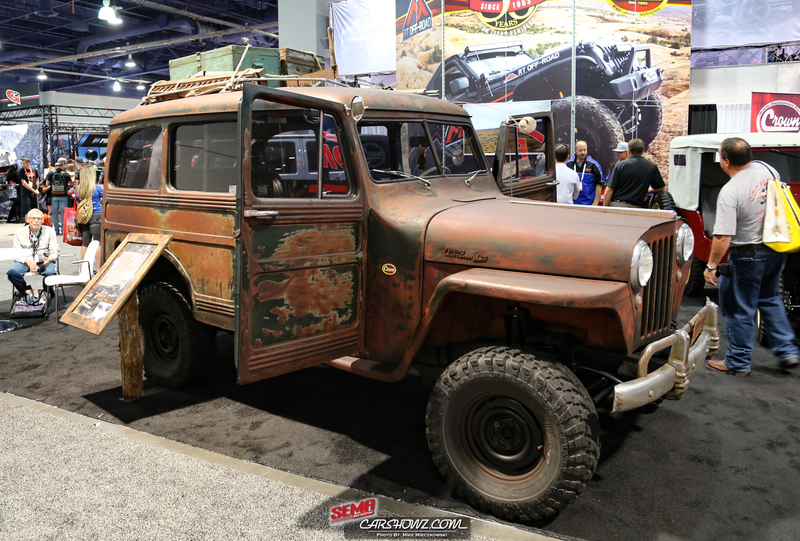 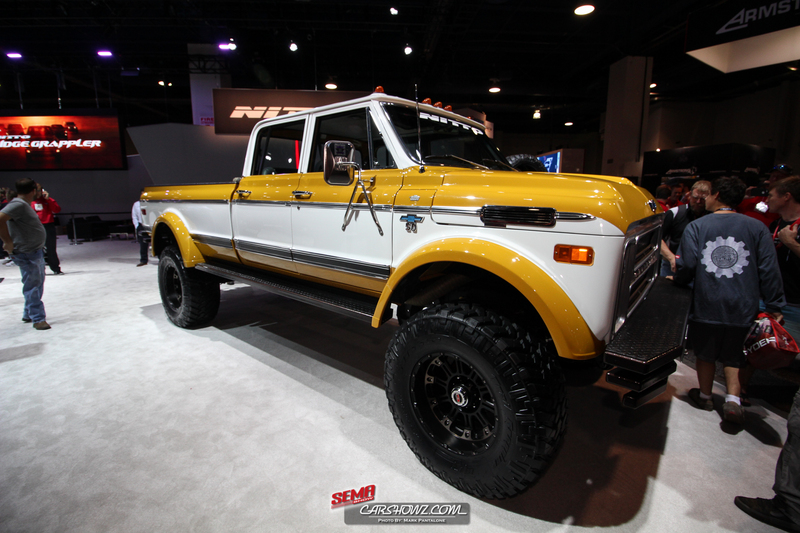 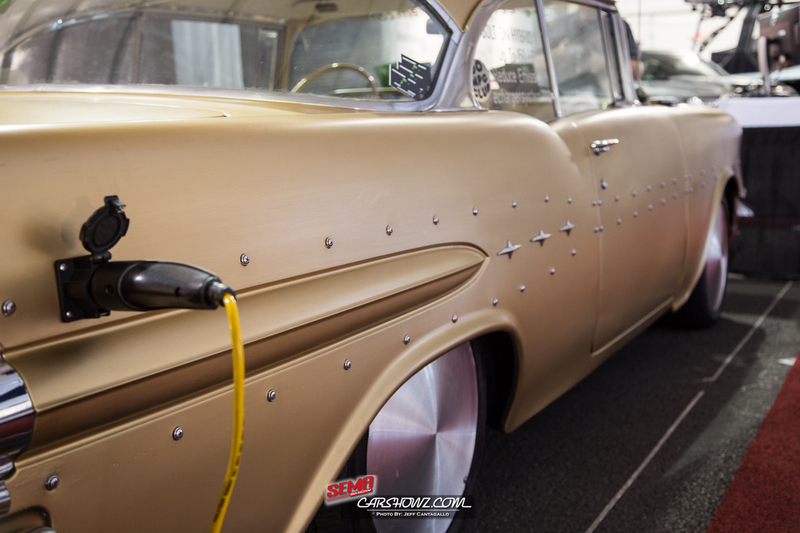 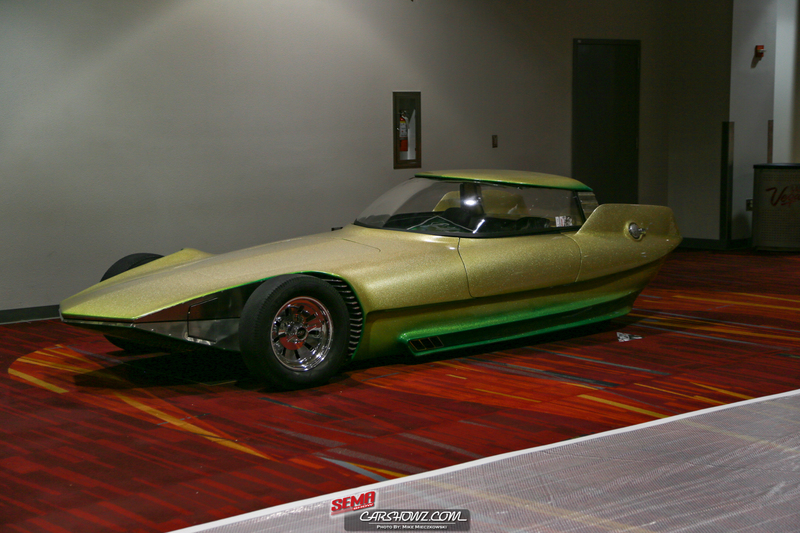 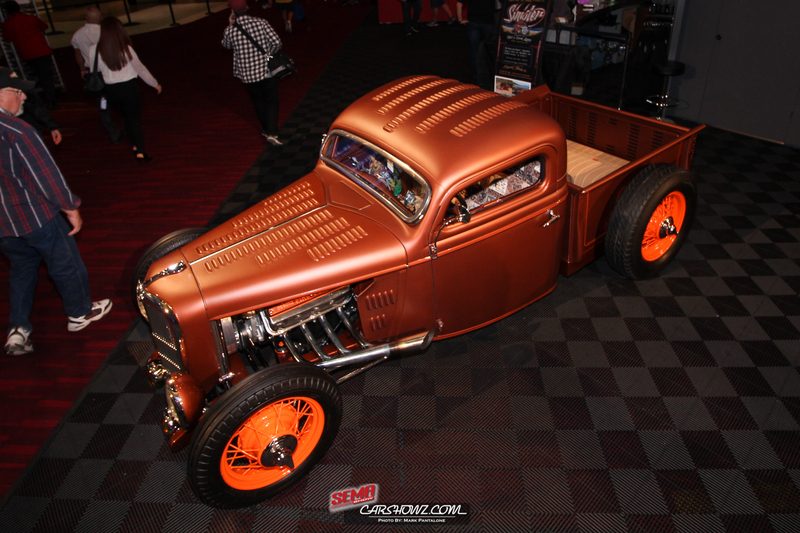 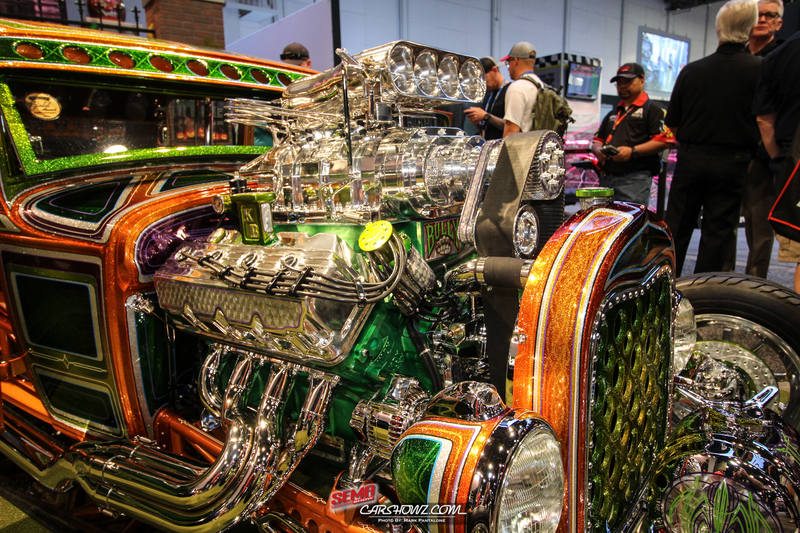 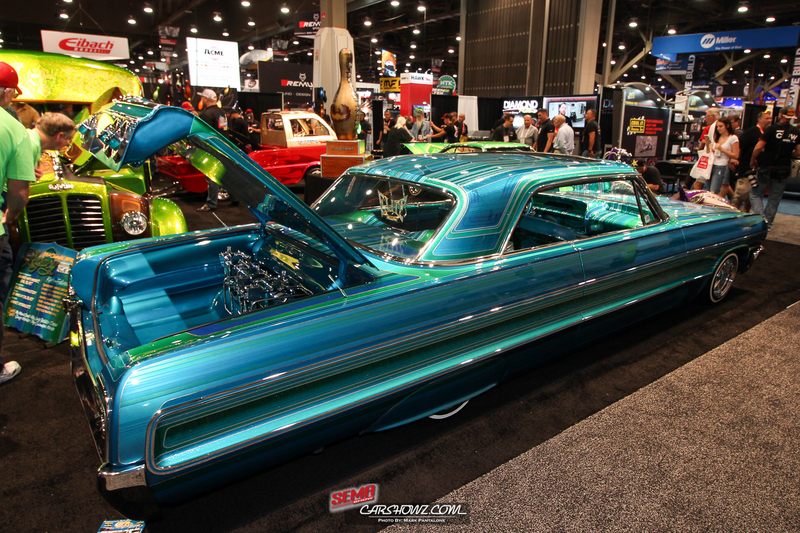 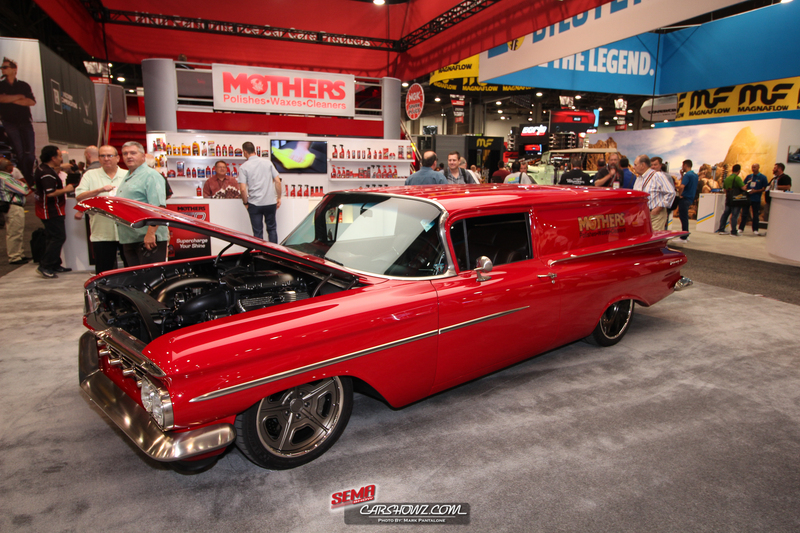 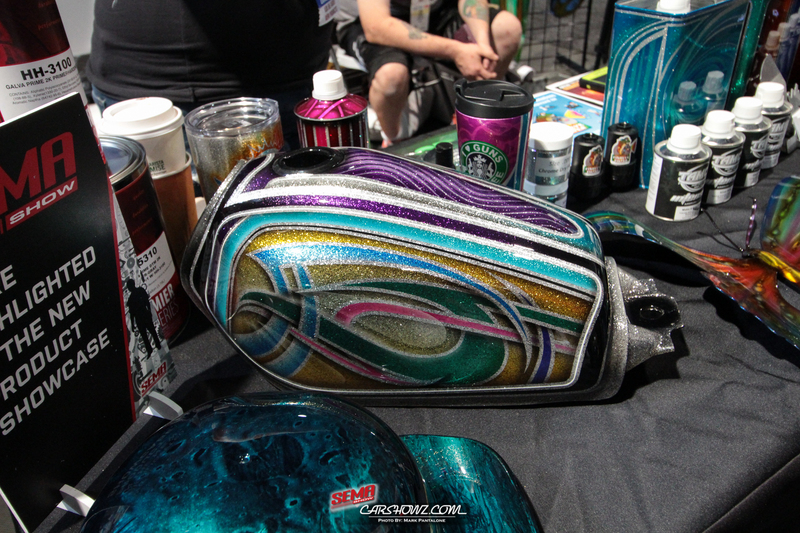 We did manage to capture a ton, 10,000 photos to be exact, to make up our SEMA 2017 photos gallery. 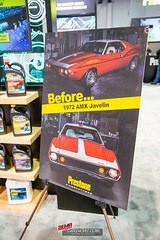 That makes for a long post-processing session, but we are almost there. 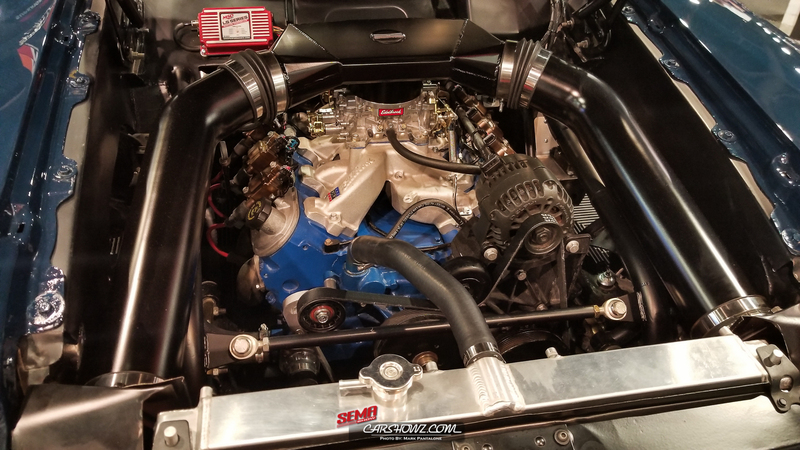 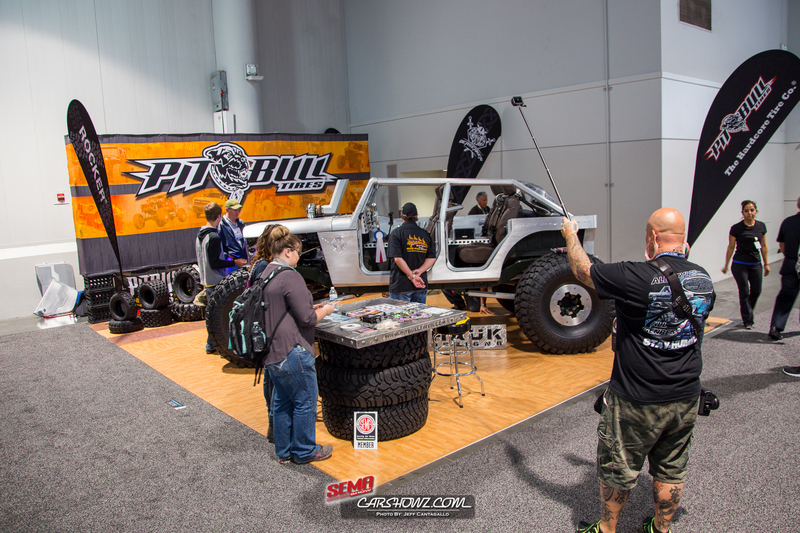 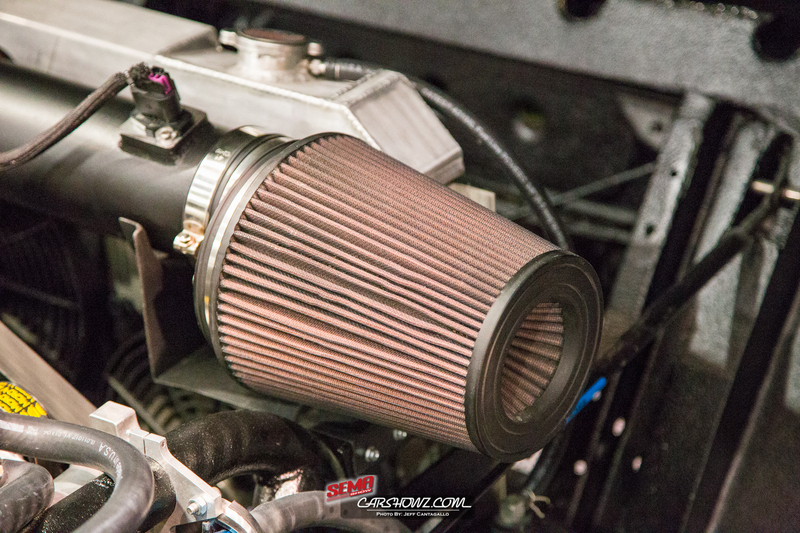 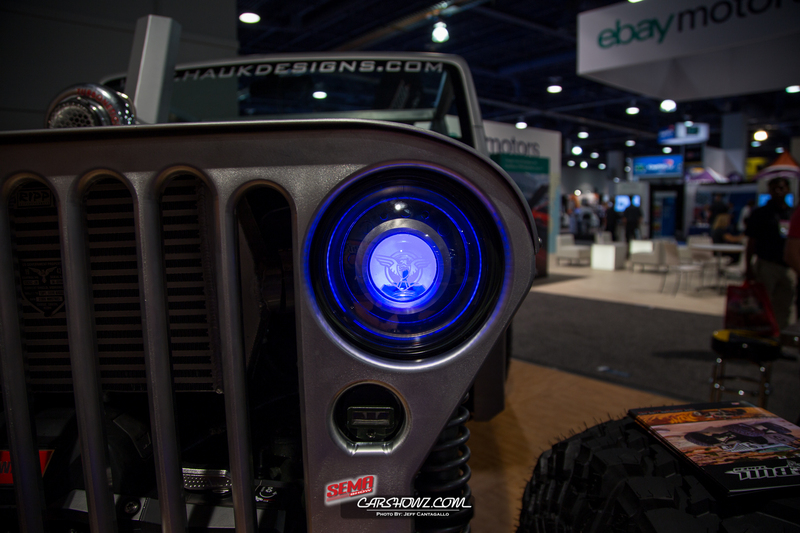 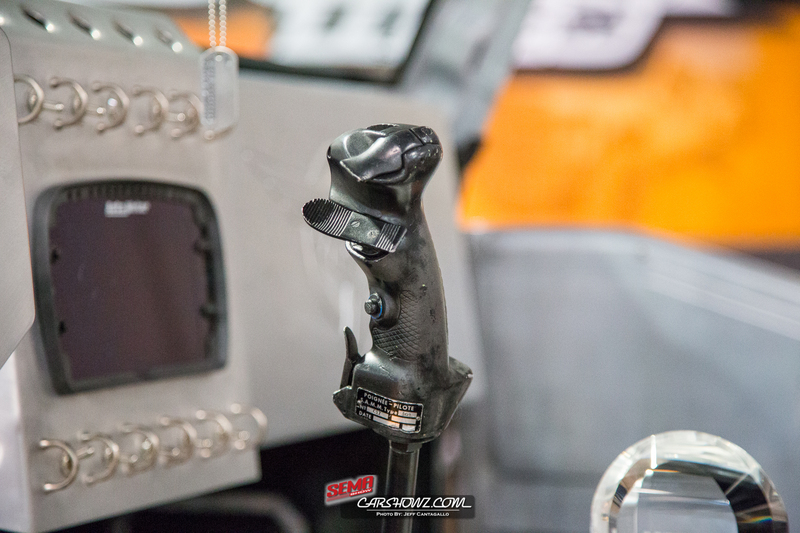 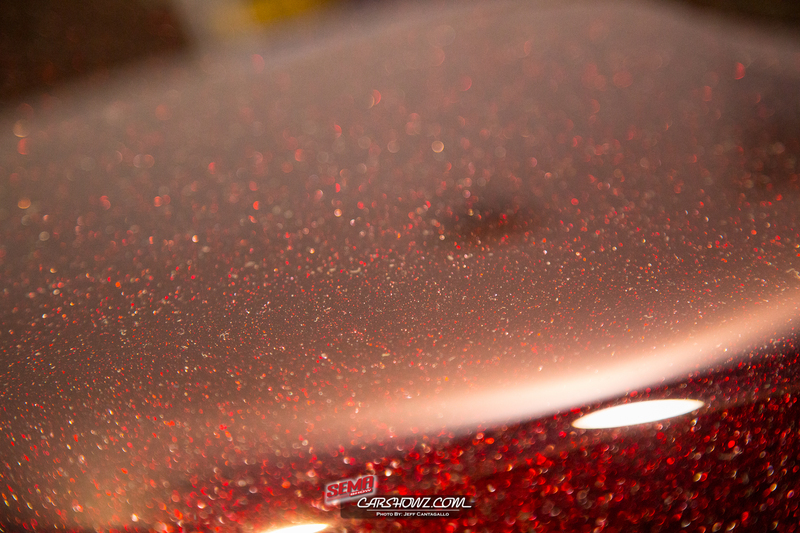 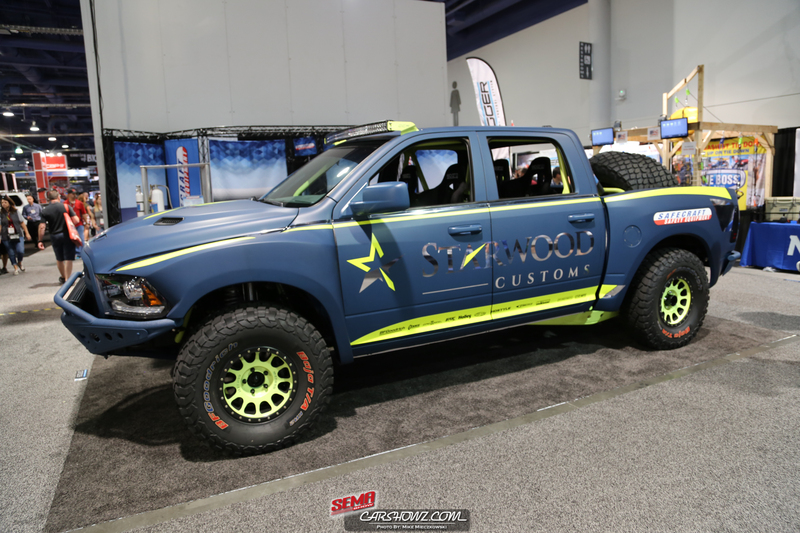 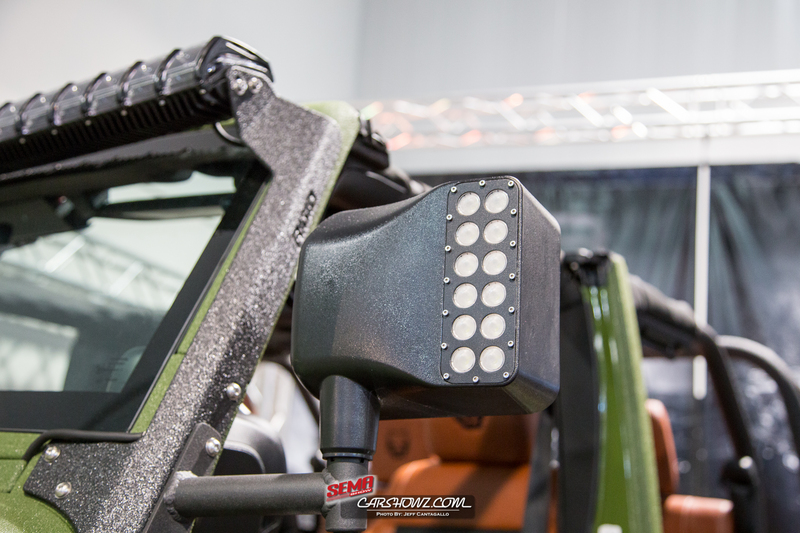 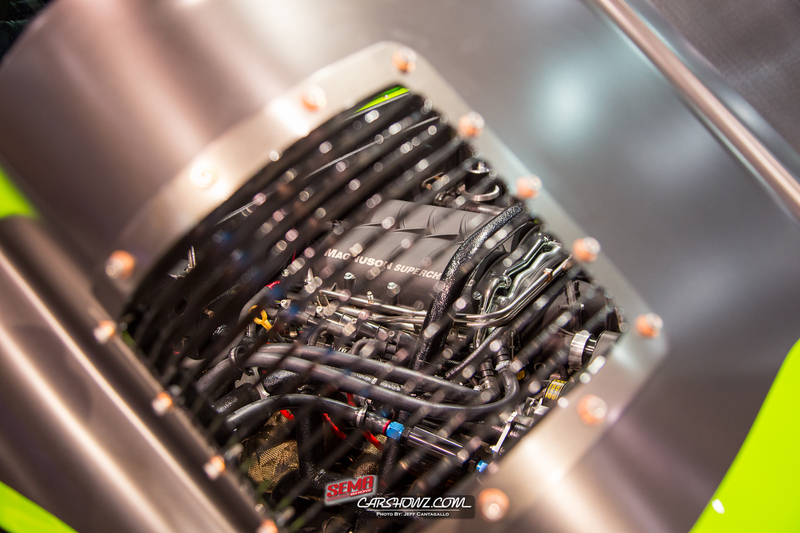 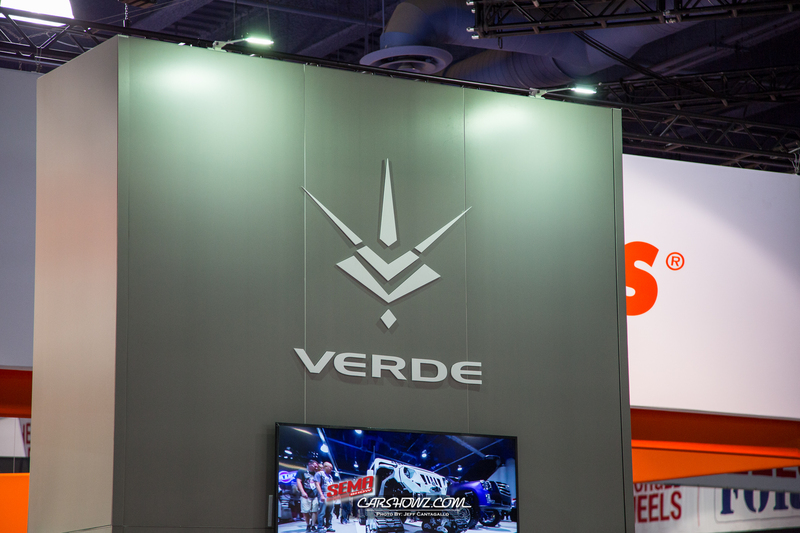 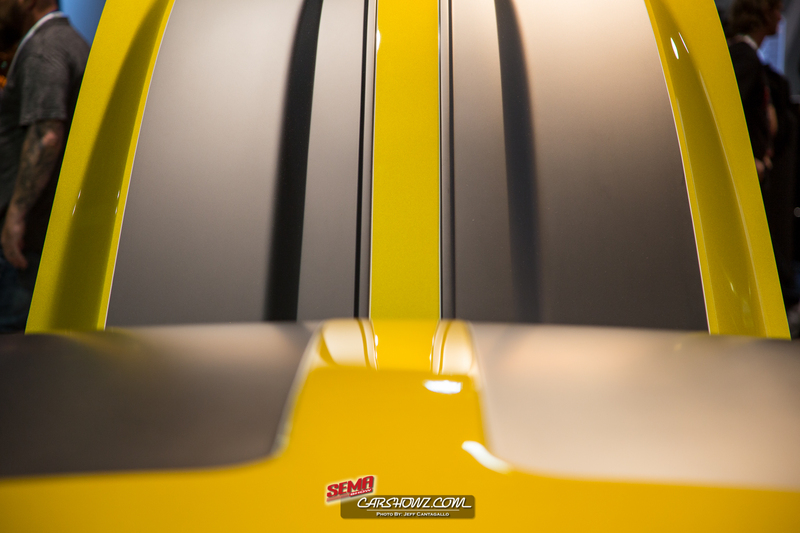 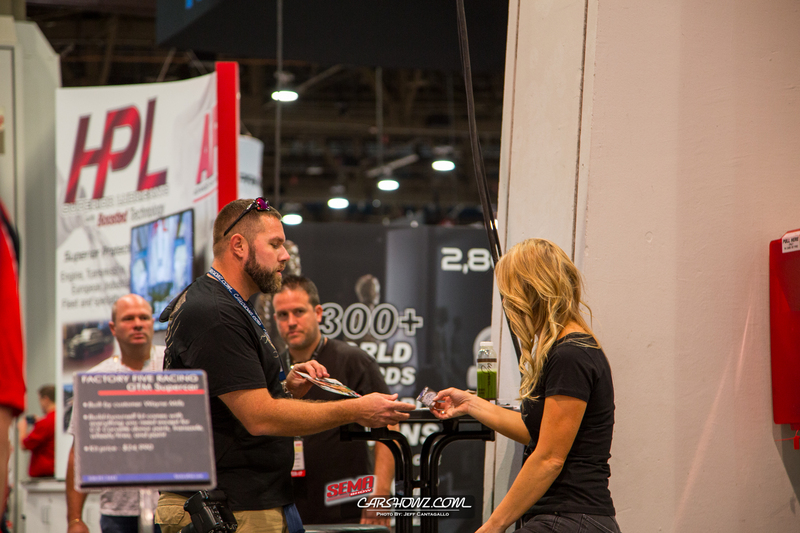 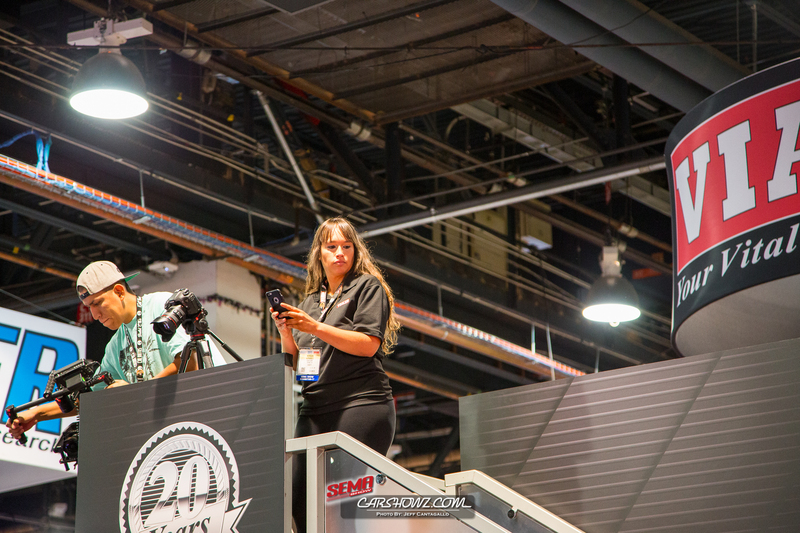 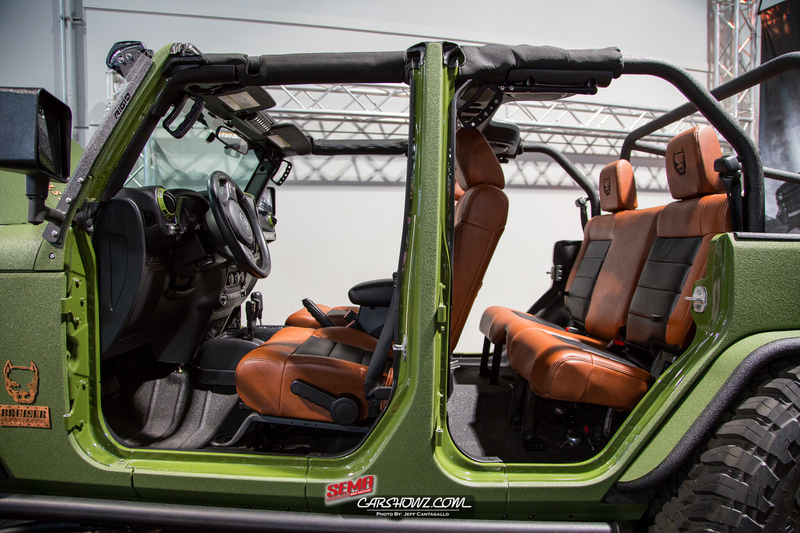 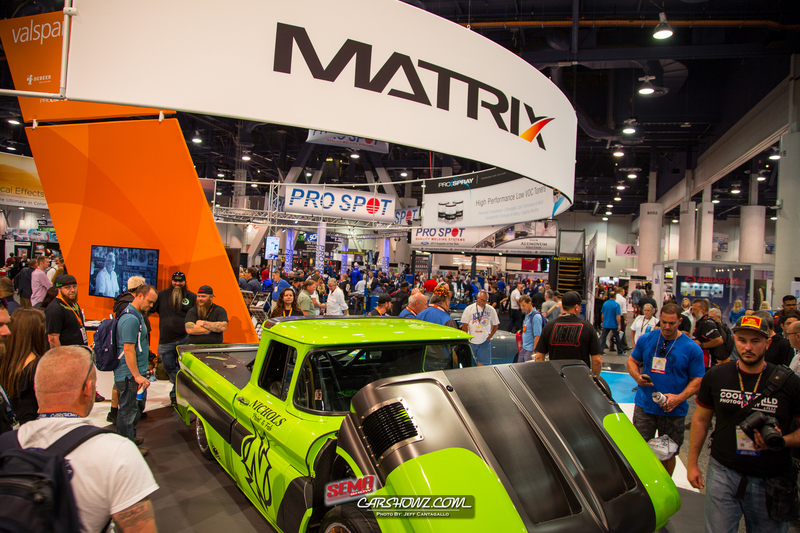 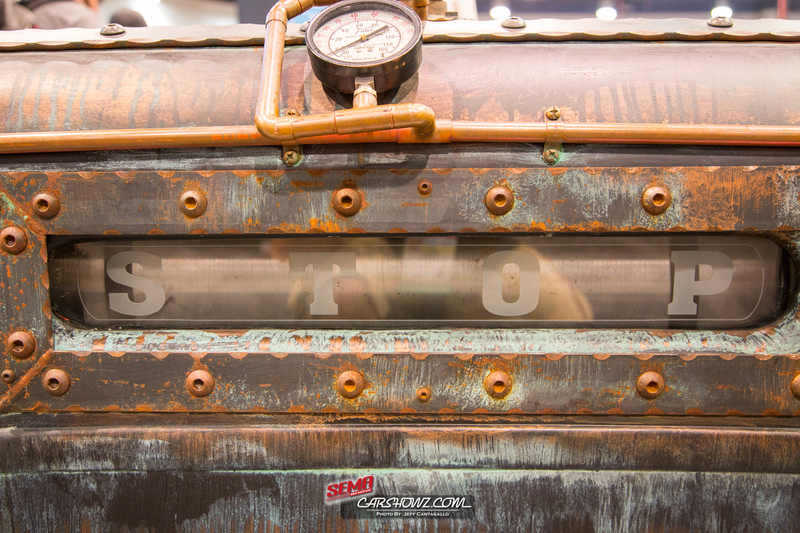 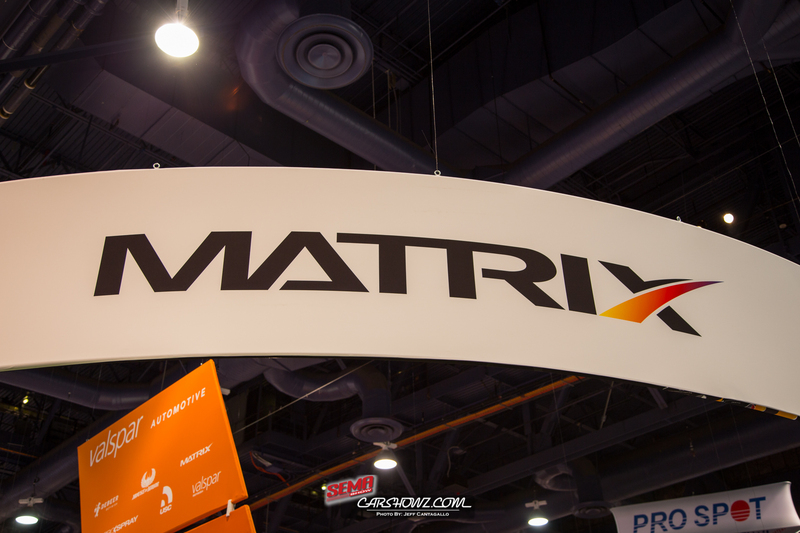 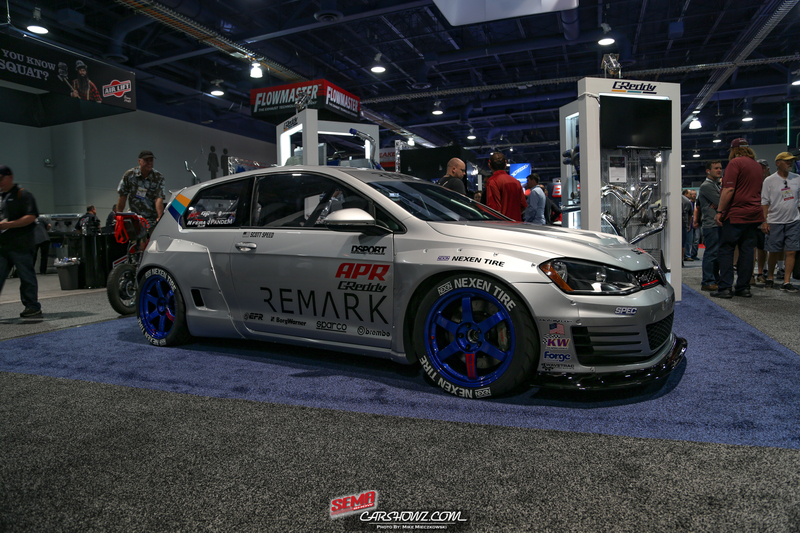 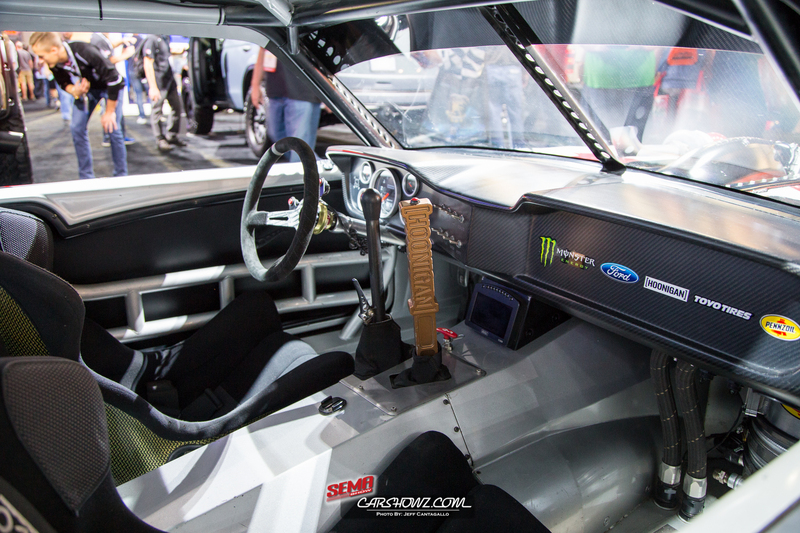 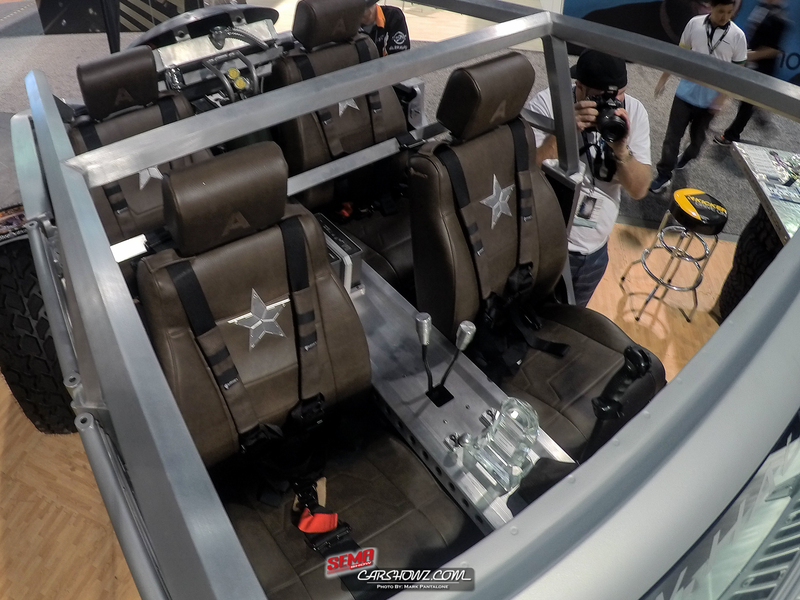 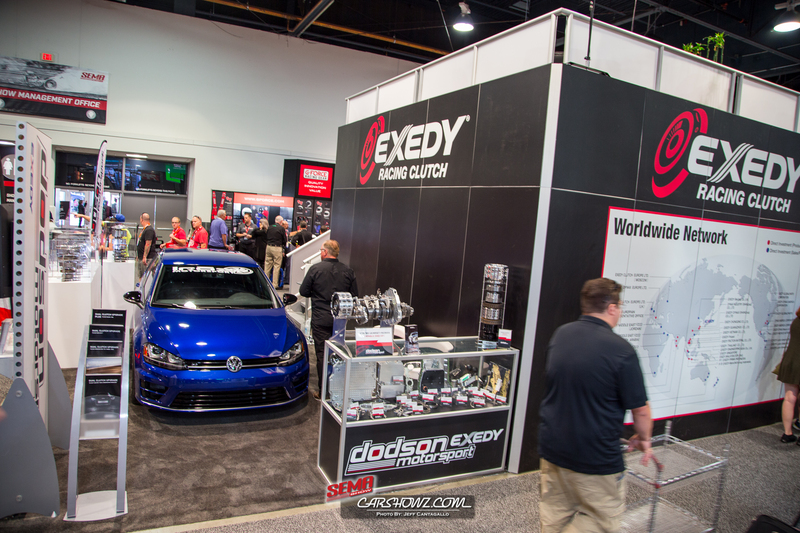 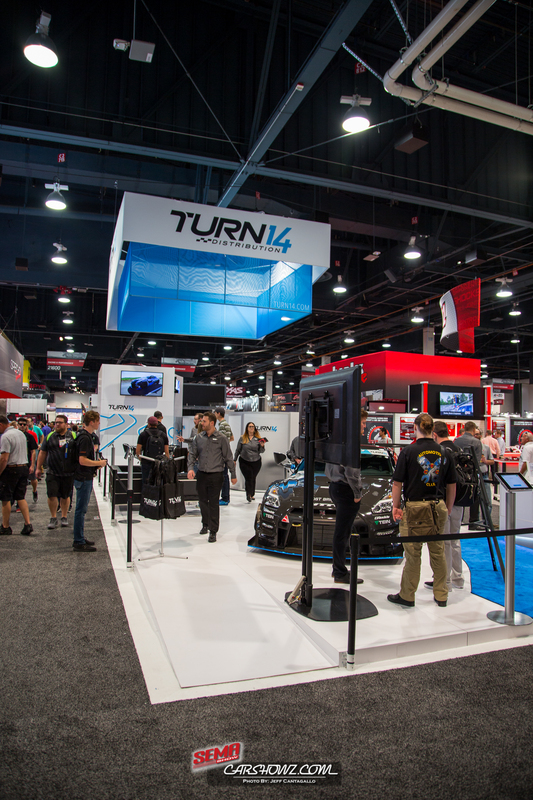 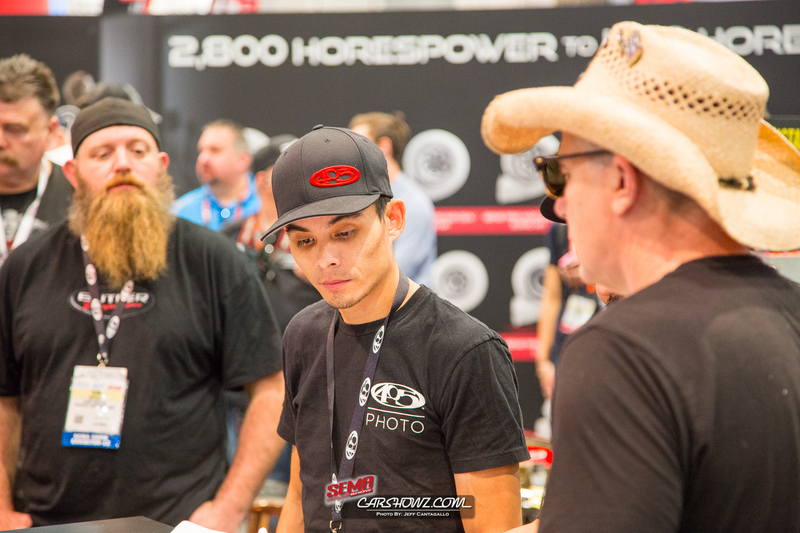 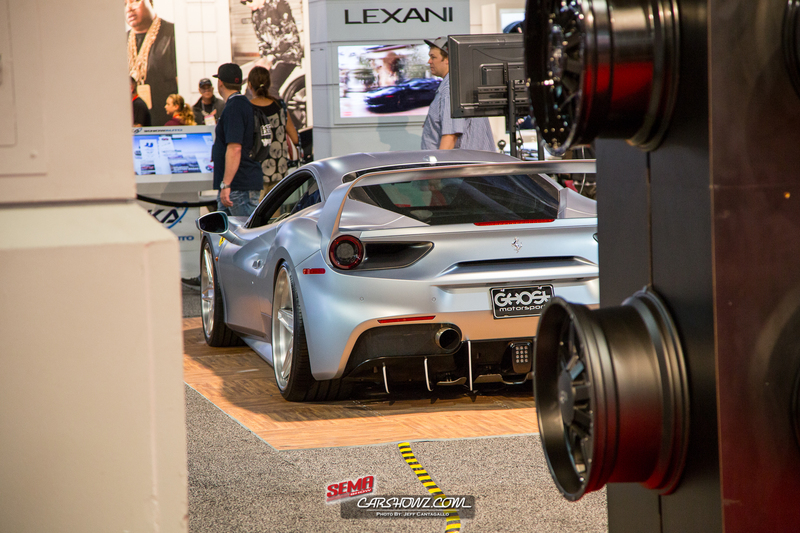 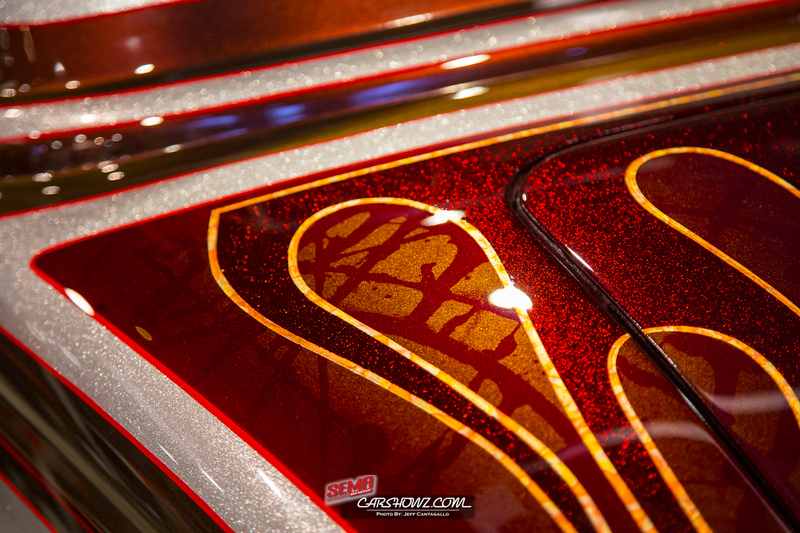 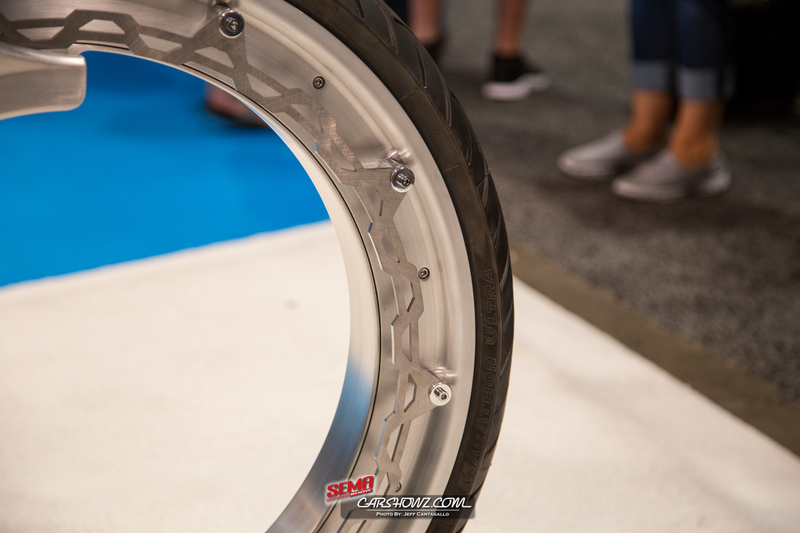 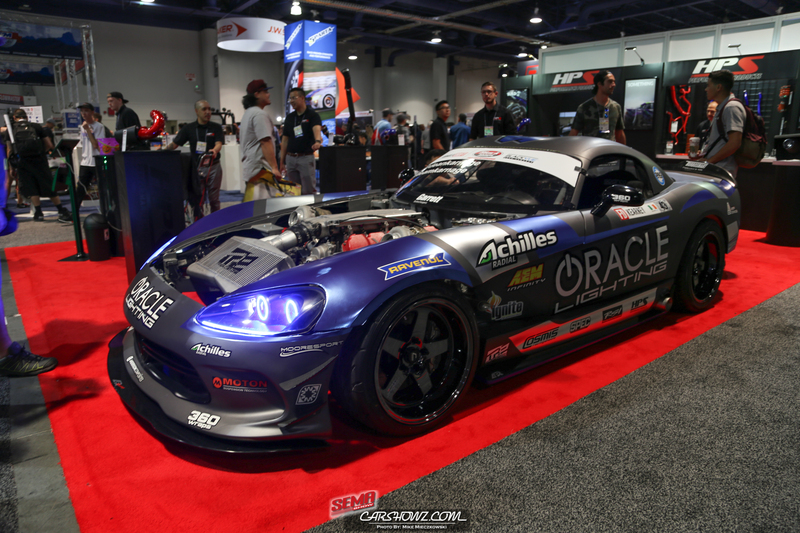 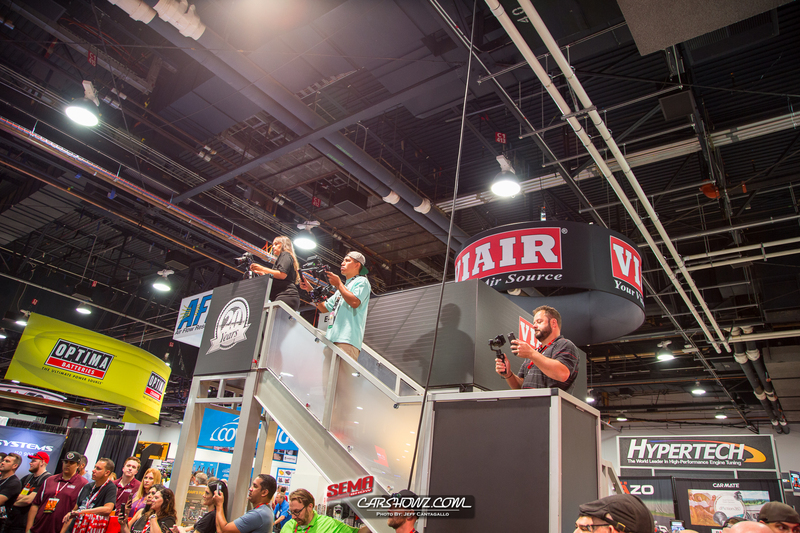 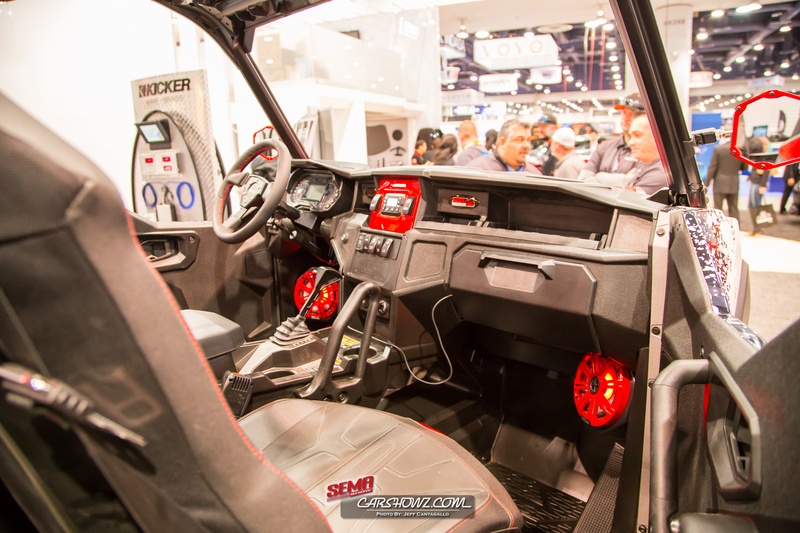 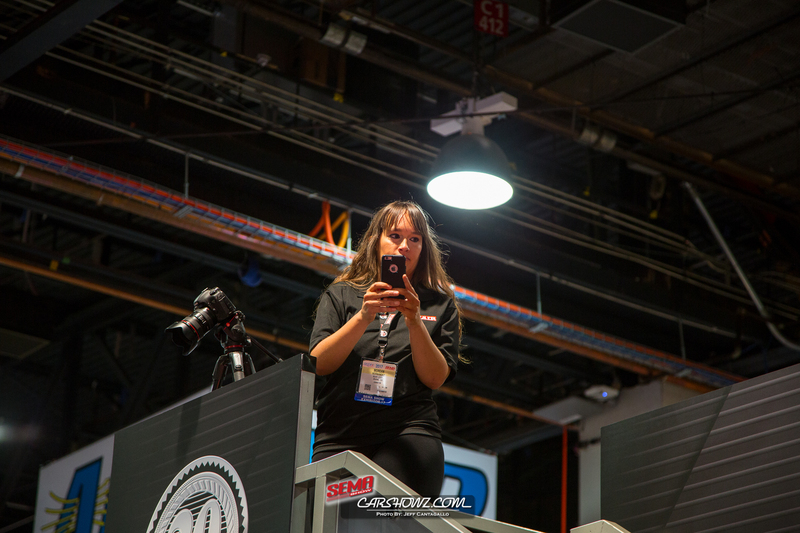 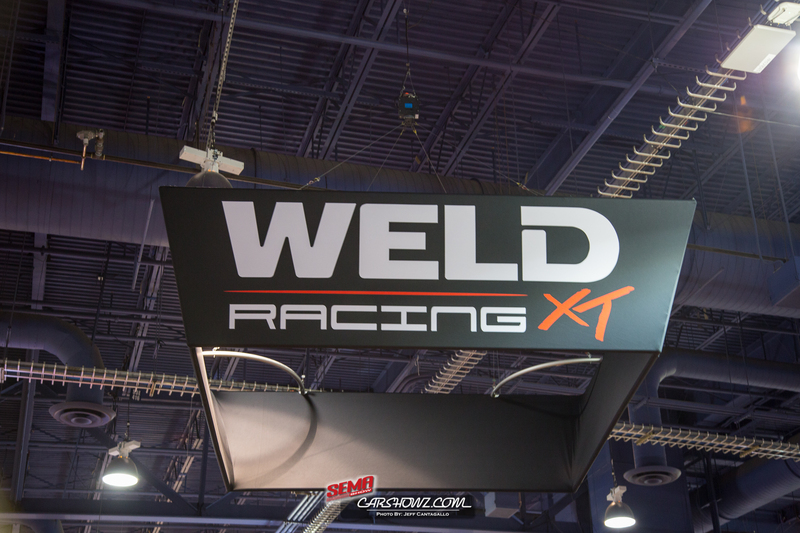 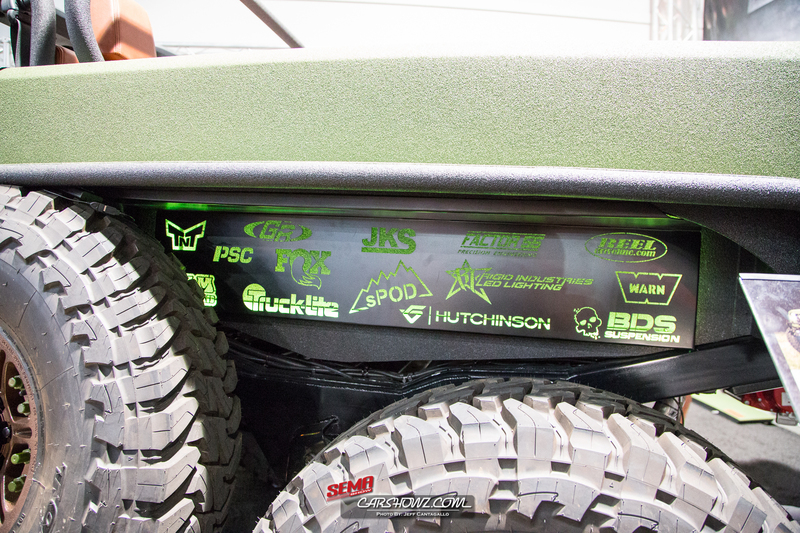 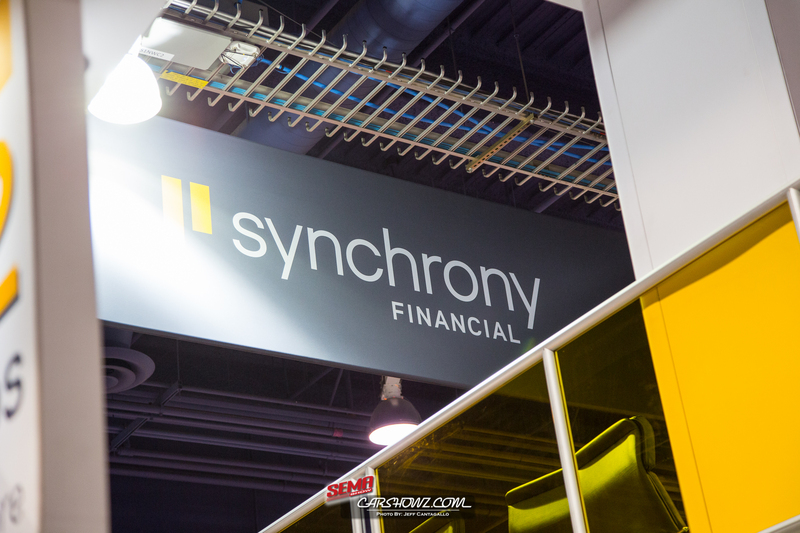 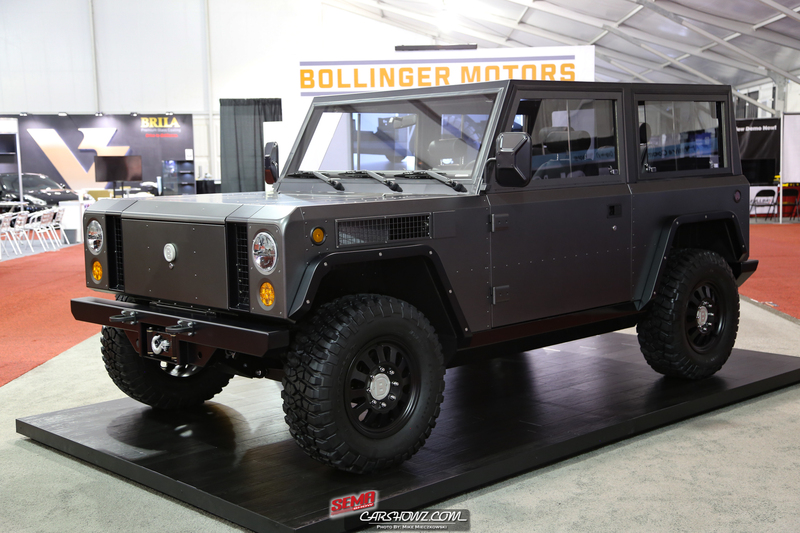 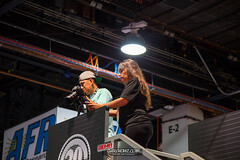 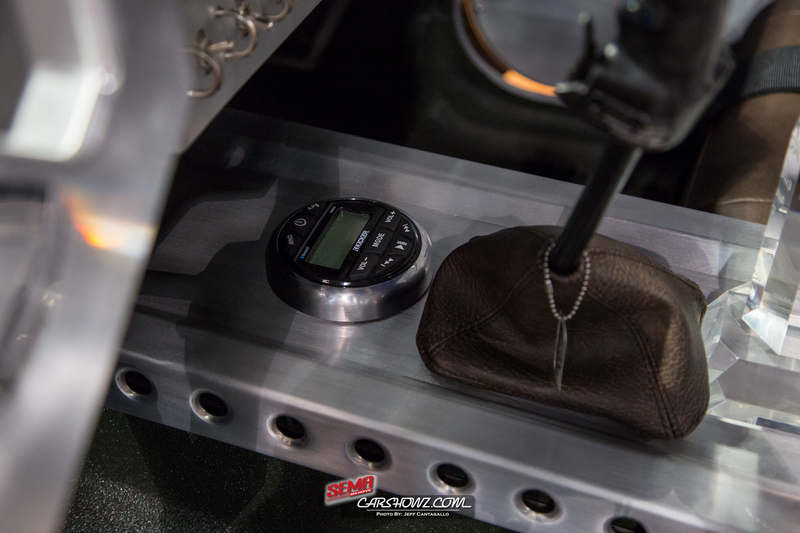 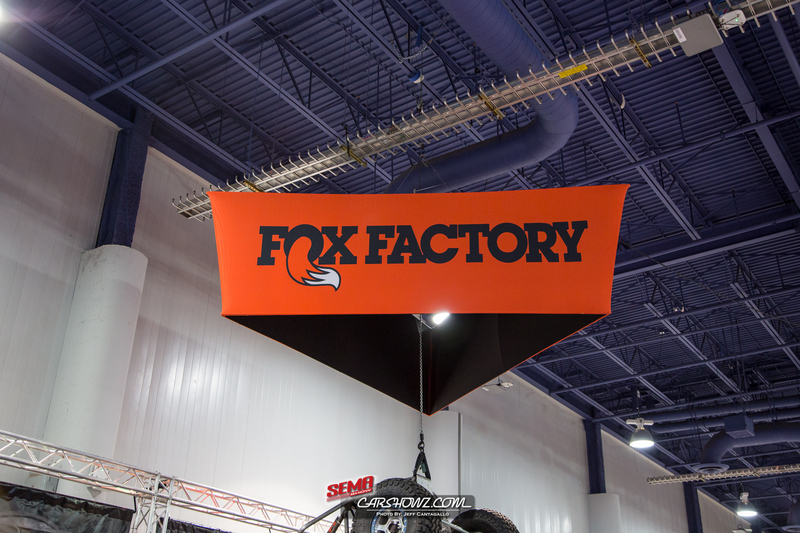 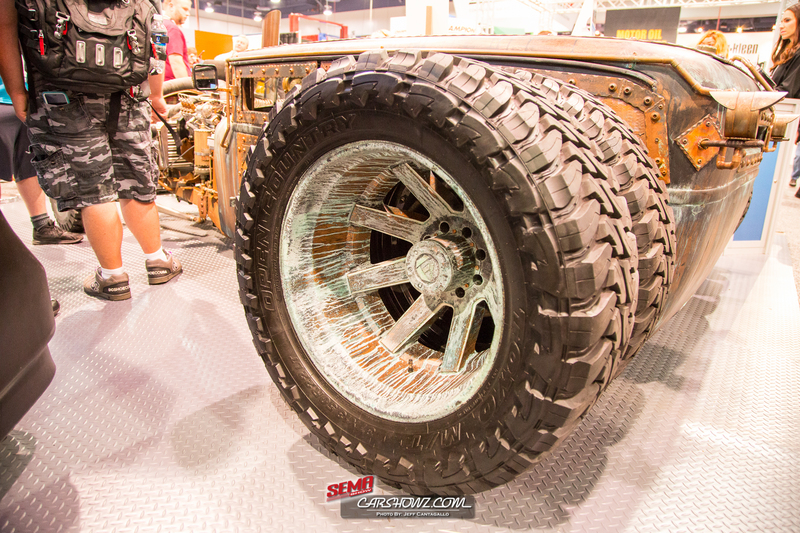 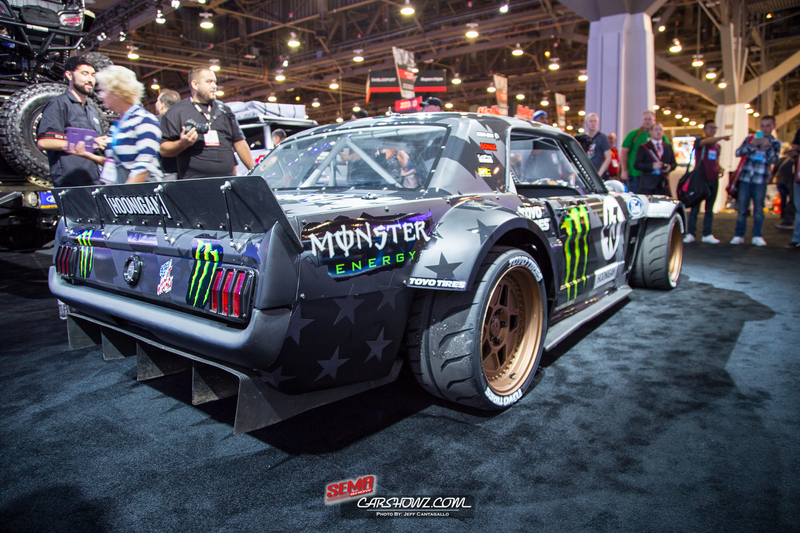 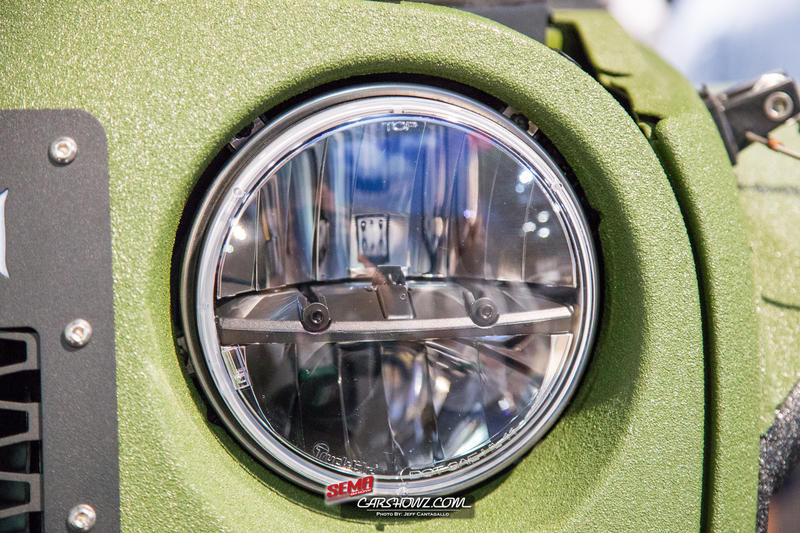 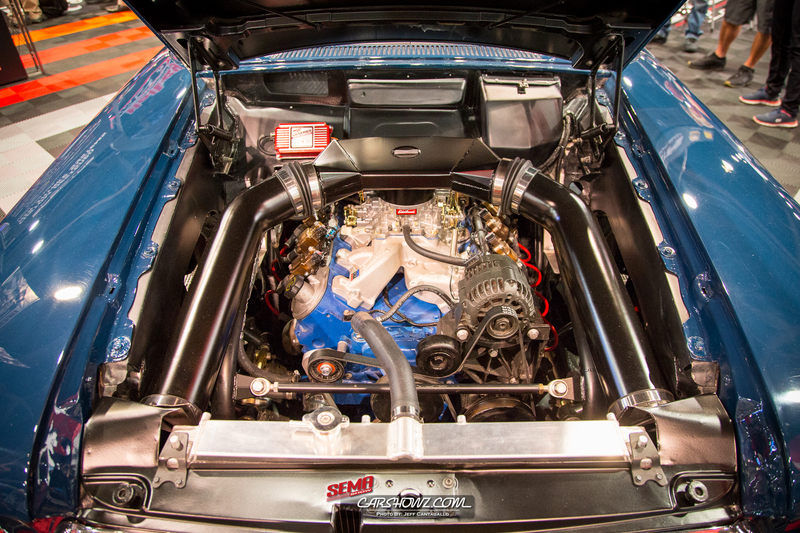 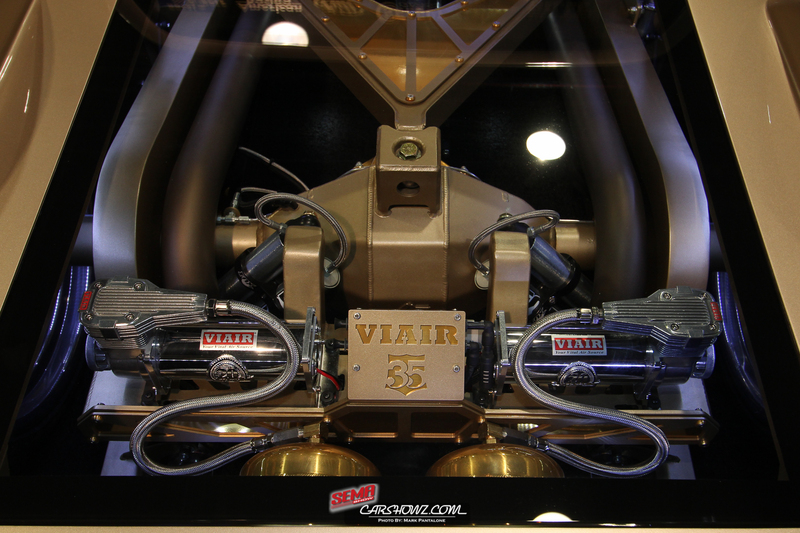 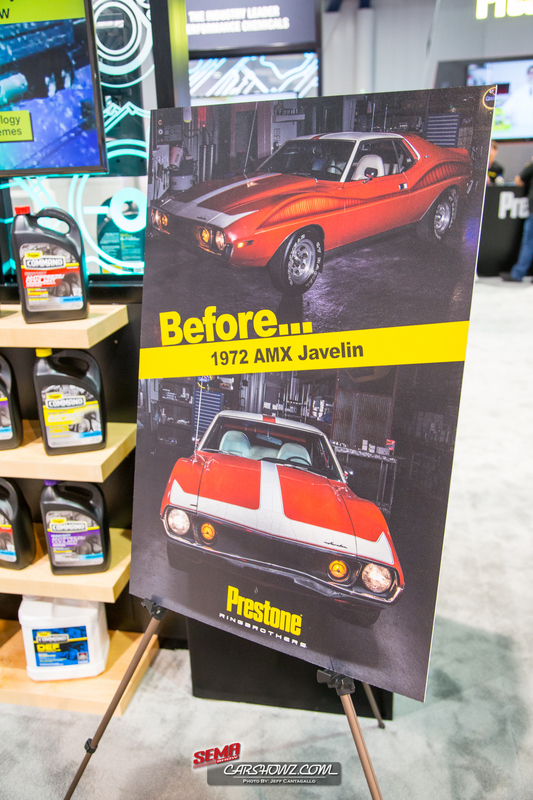 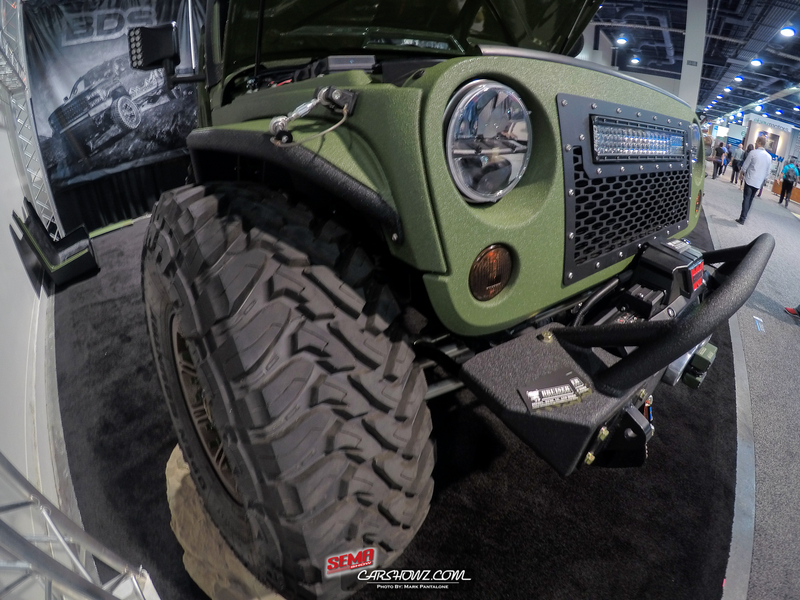 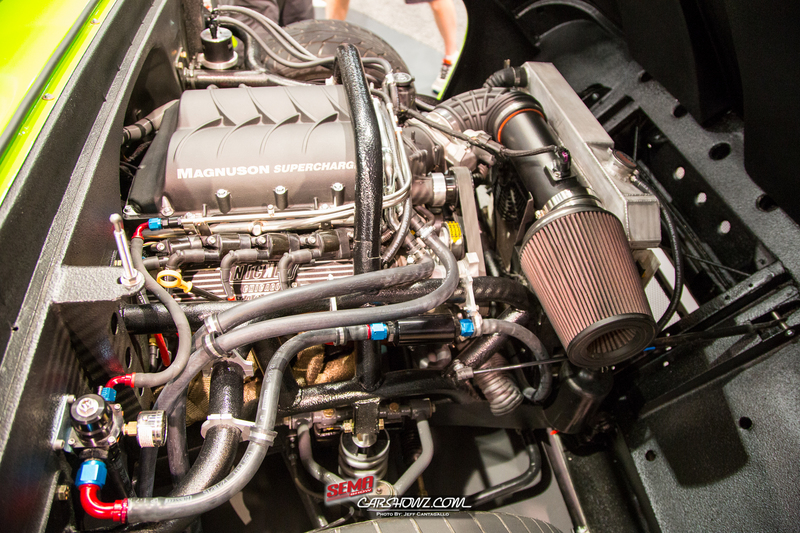 Update: Woah…as promised we have made our way through our photo coverage of SEMA 2017 and to be honest, we are STILL editing. 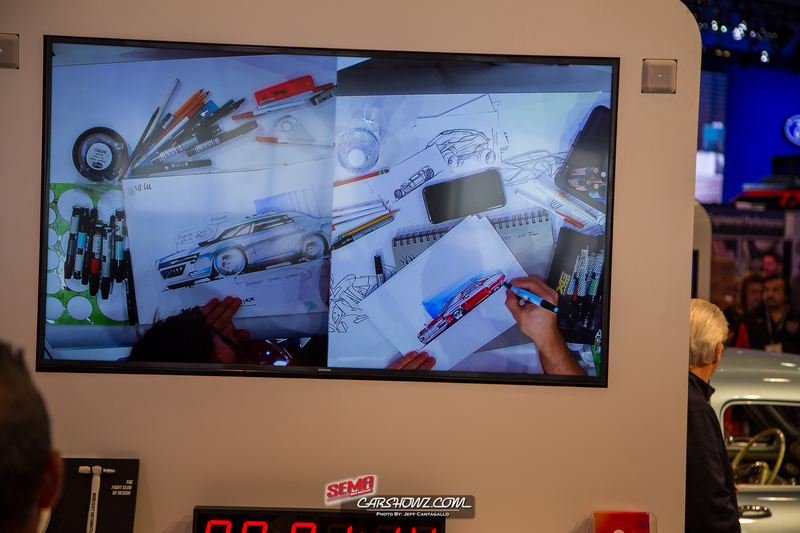 But, to get you guys something, we are going to upload what we have. 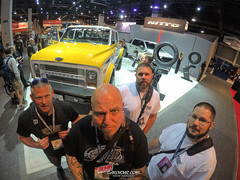 This year was amazing, we had a crew of 5 with us out in Vegas this year. 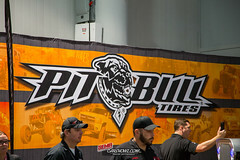 The crew consisted of myself (Jeff Cantagallo), Mike Mieczkowski, Mark Pantalone, Brad Dugenske and Craig Dickerson. We made one hell of a team dividing and conquering SEMA 2017. 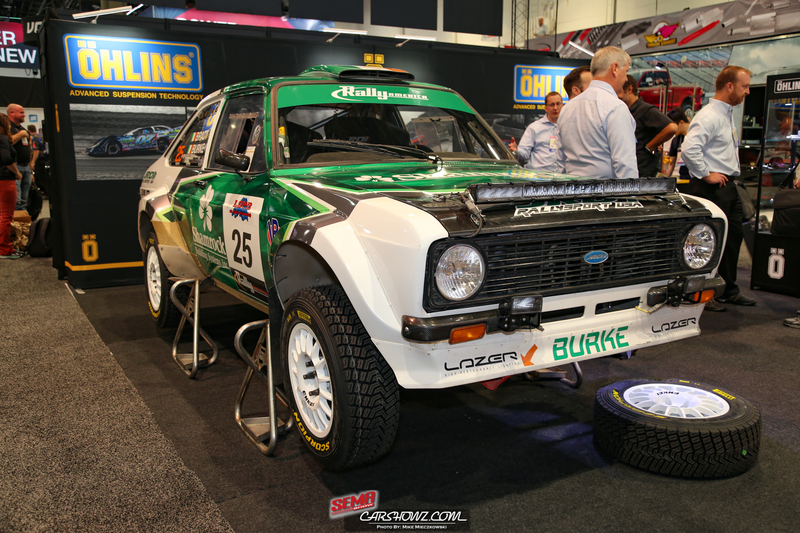 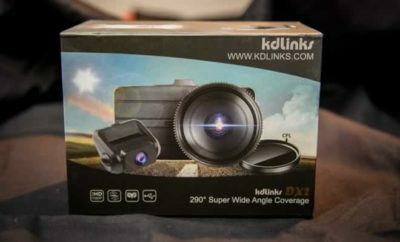 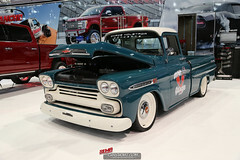 We are continuing to edit photos, so check back frequently as we will continue to publish. 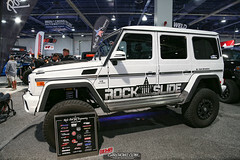 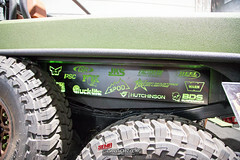 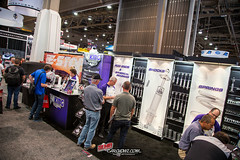 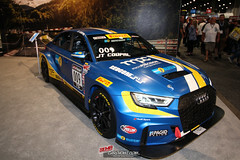 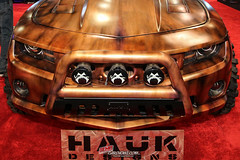 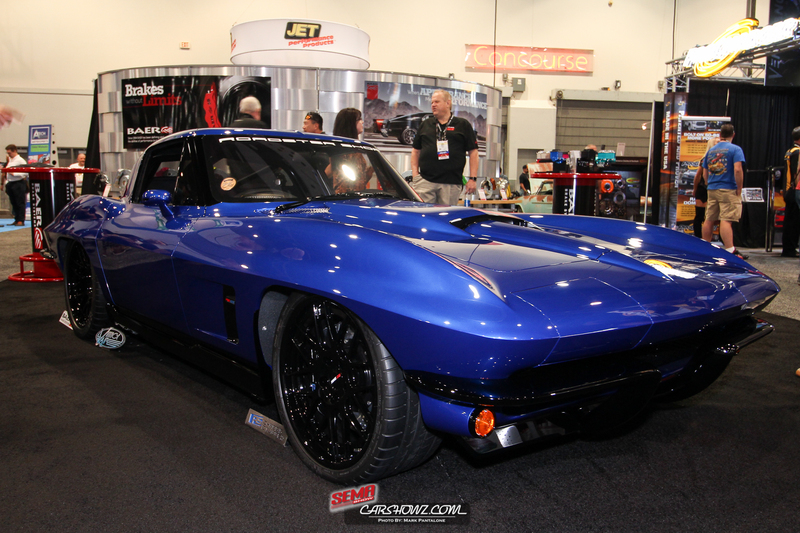 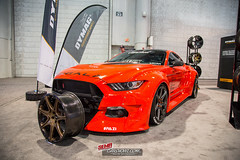 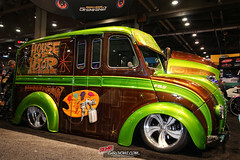 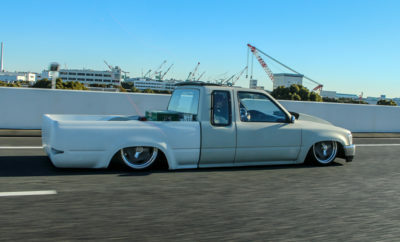 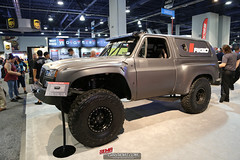 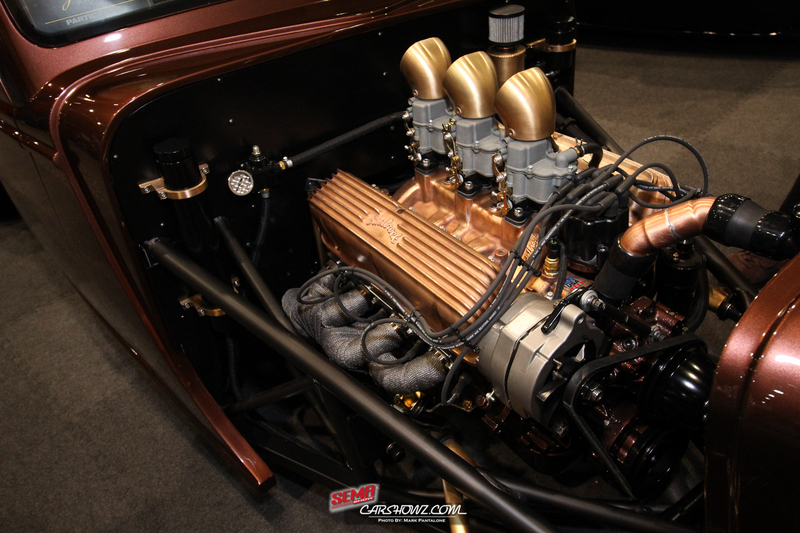 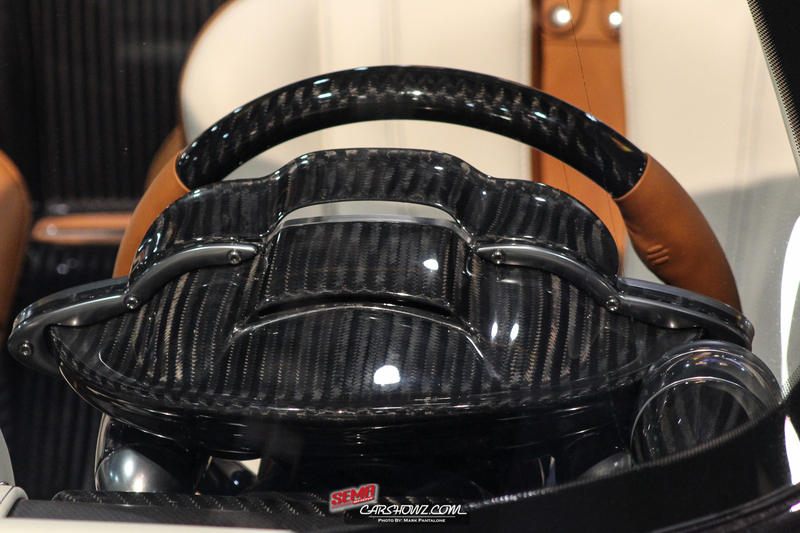 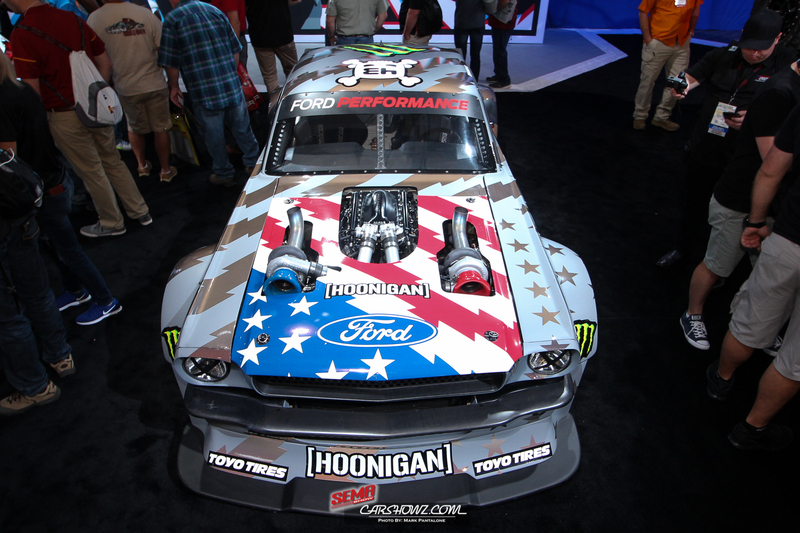 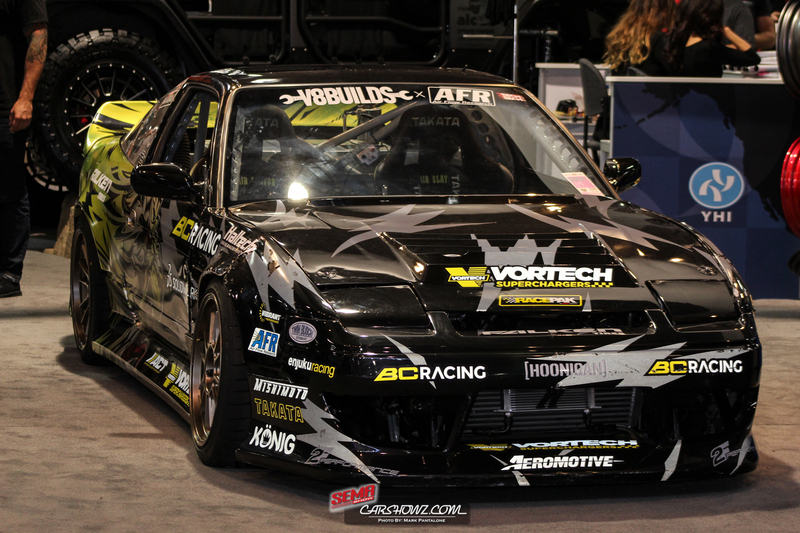 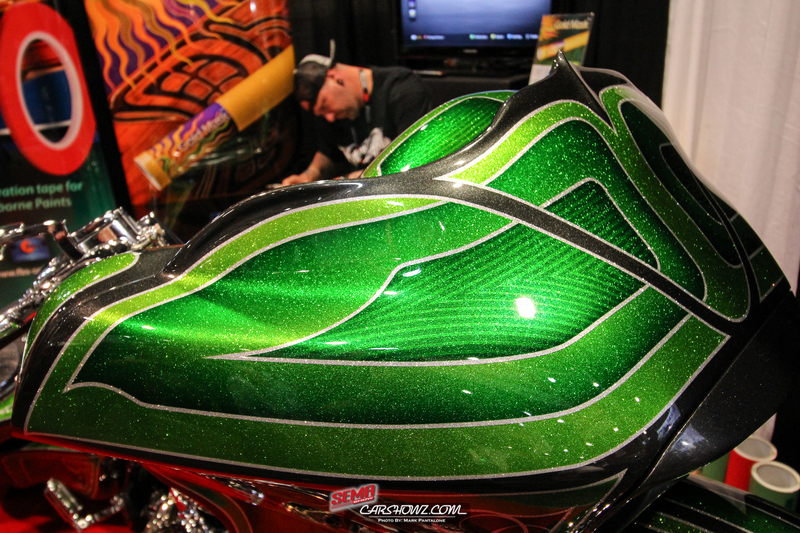 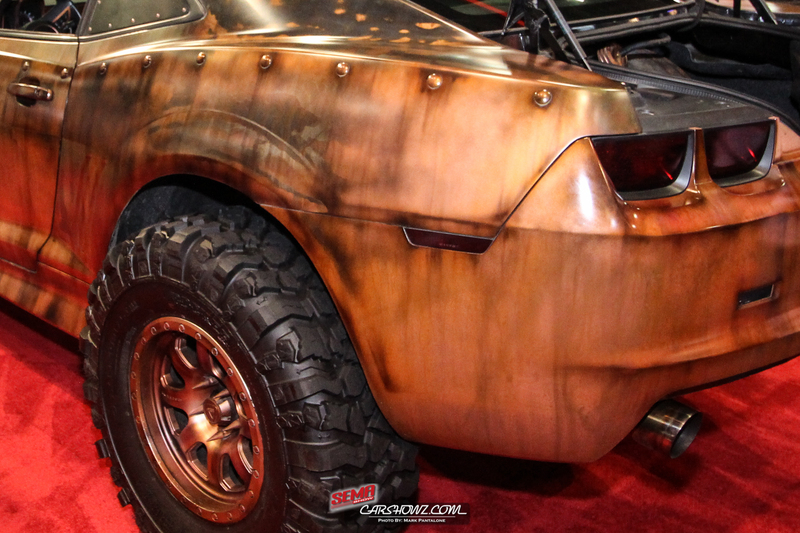 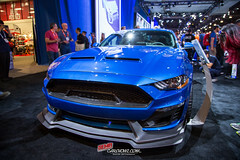 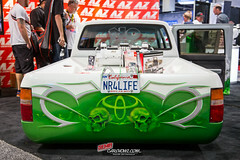 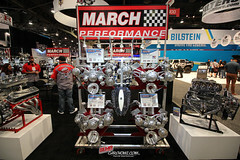 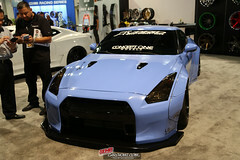 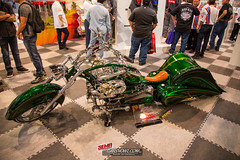 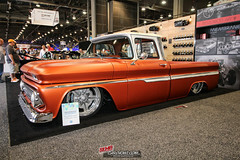 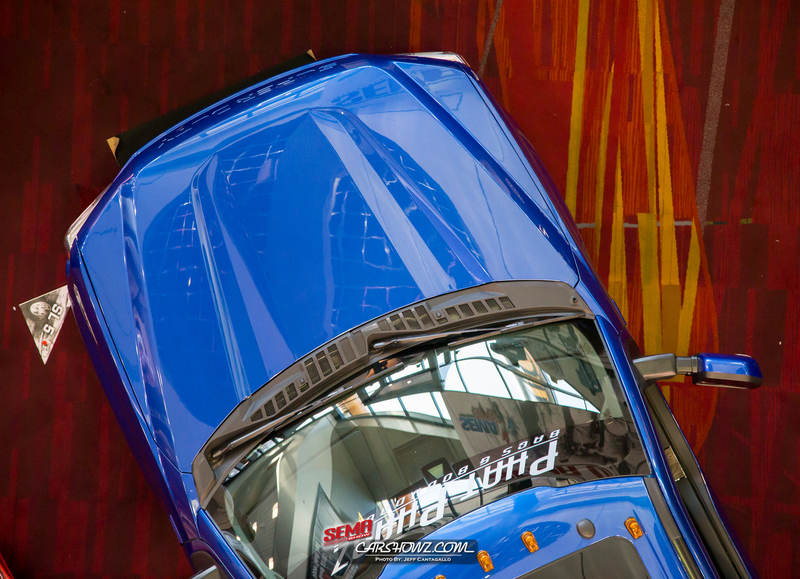 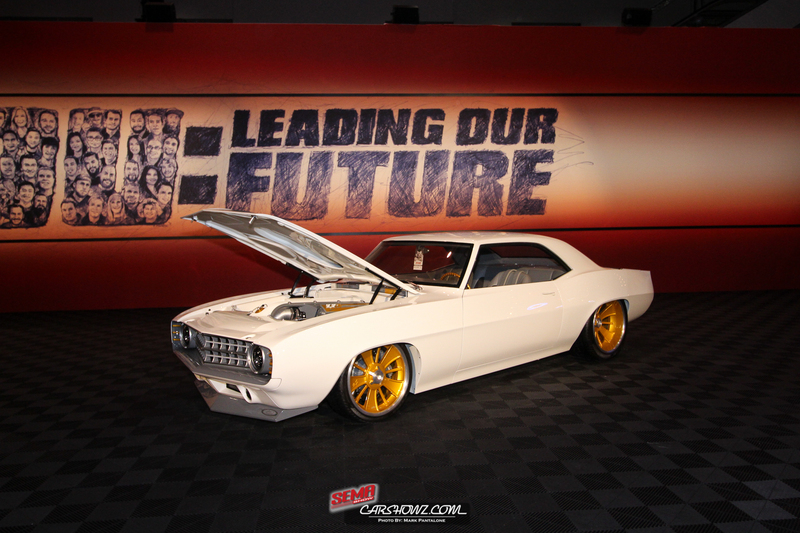 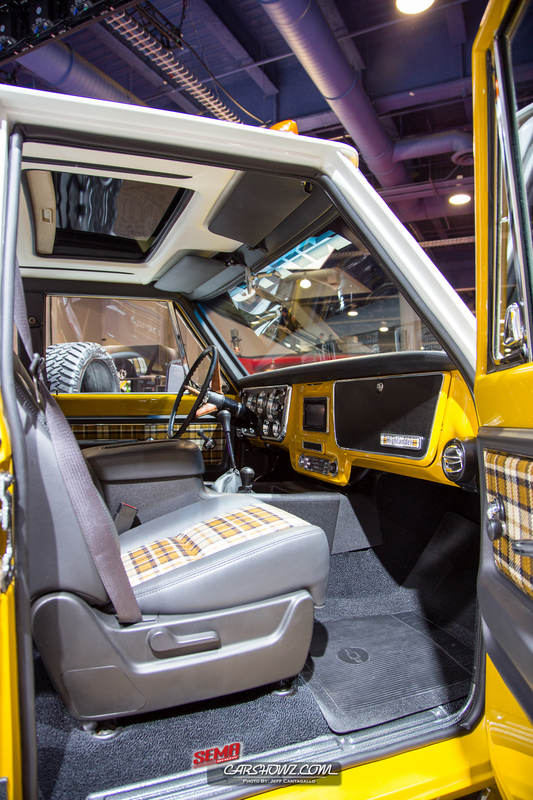 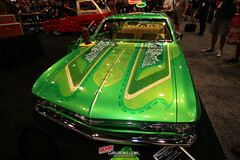 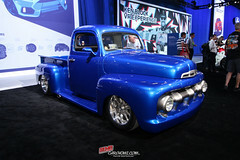 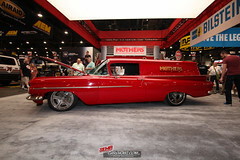 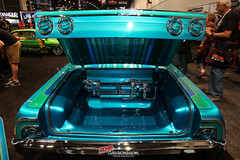 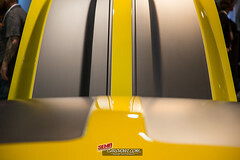 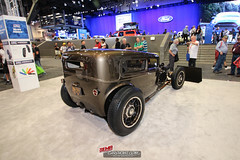 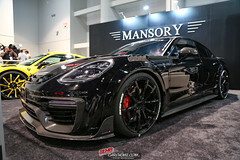 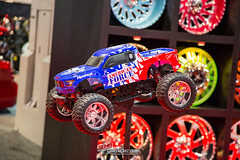 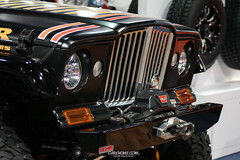 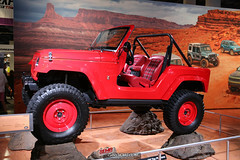 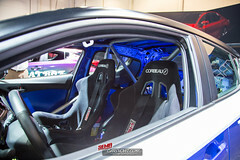 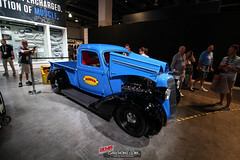 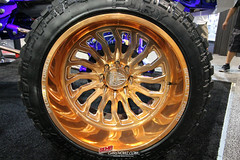 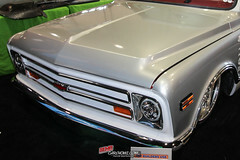 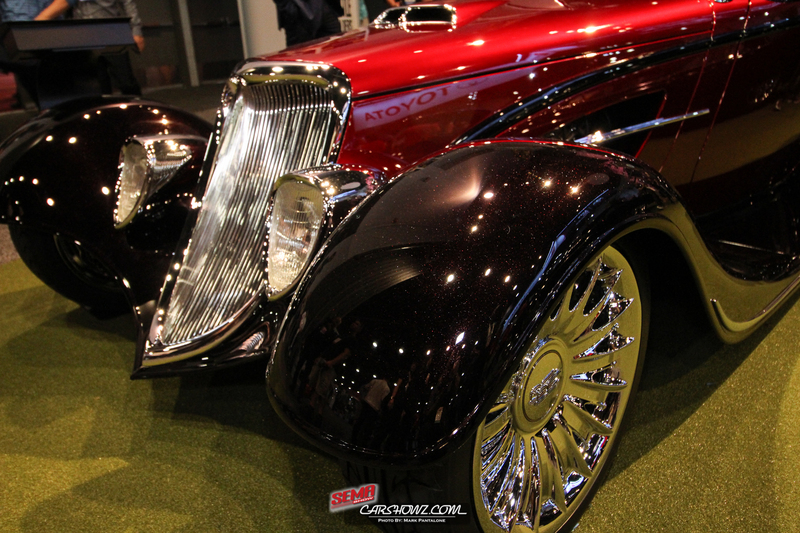 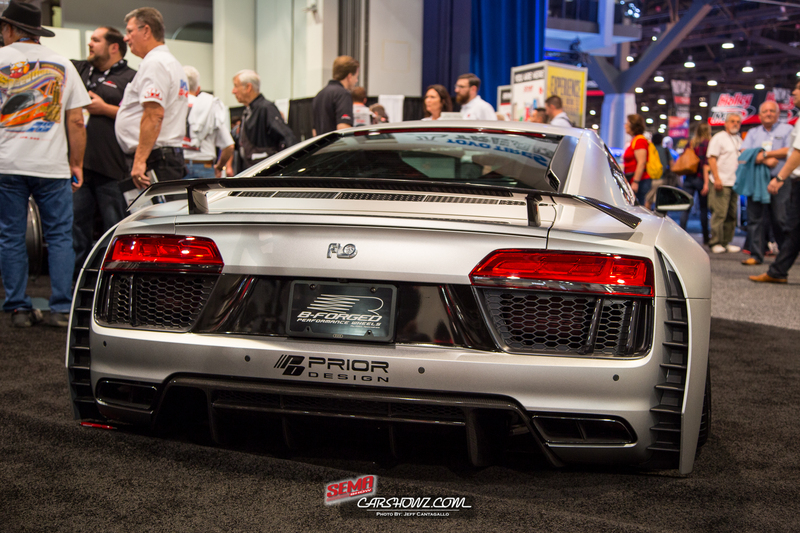 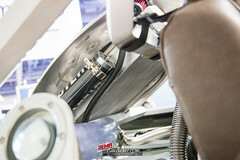 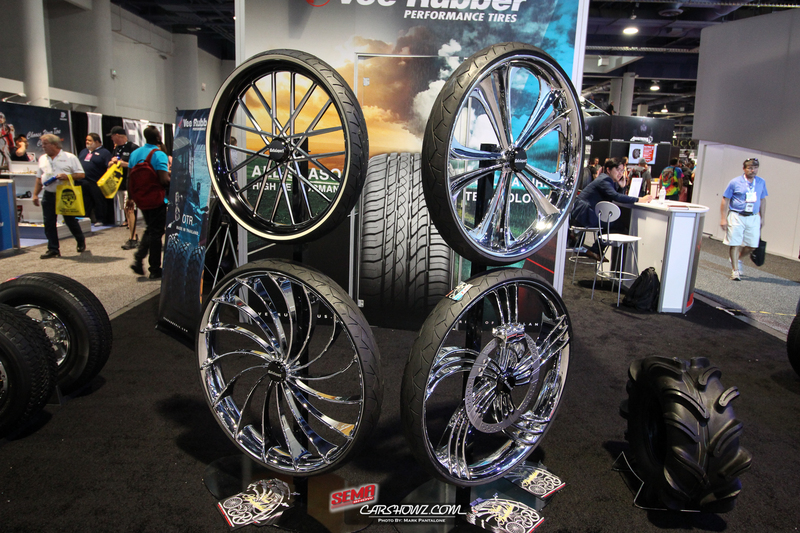 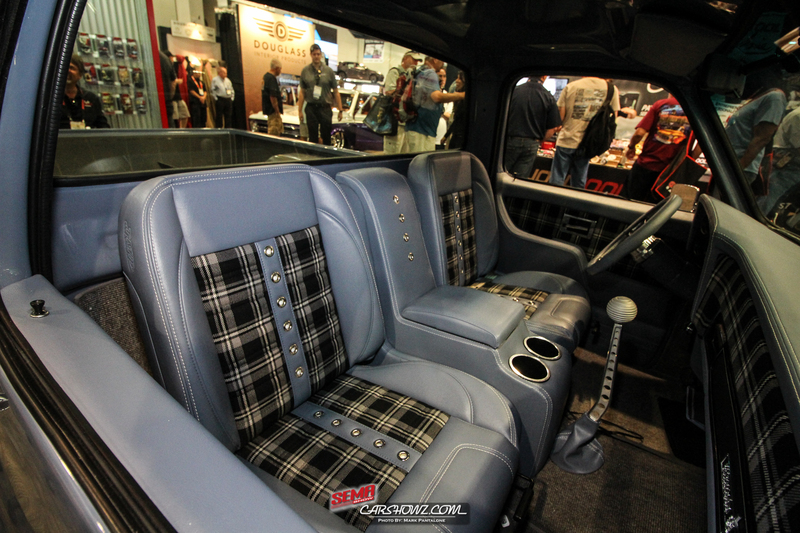 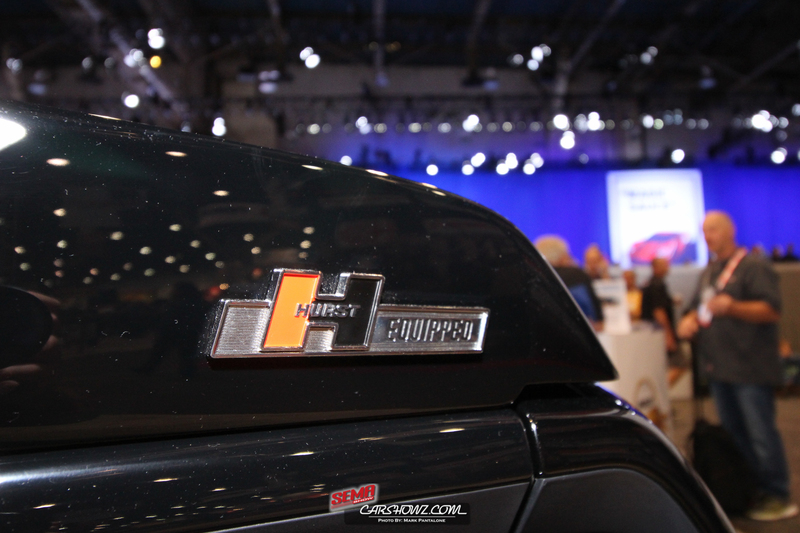 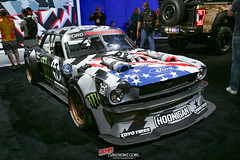 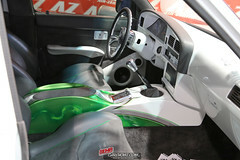 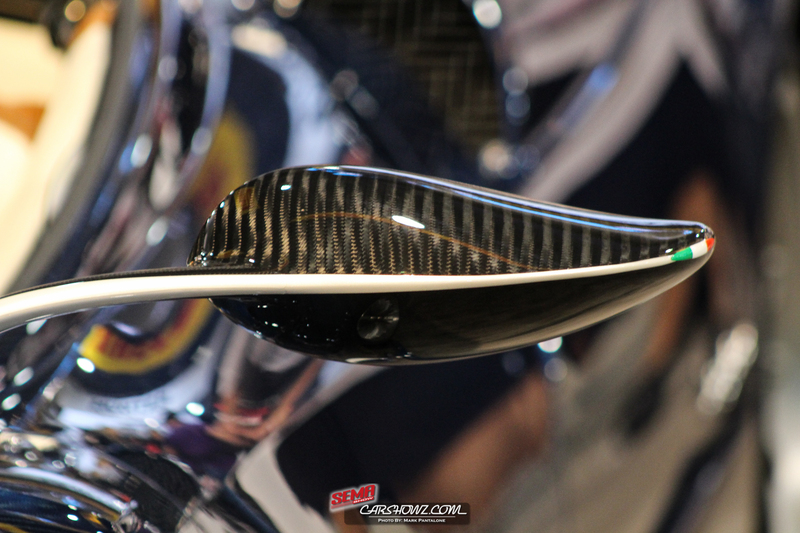 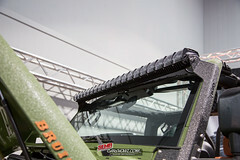 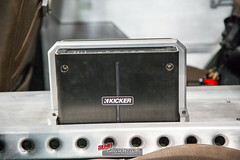 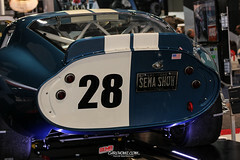 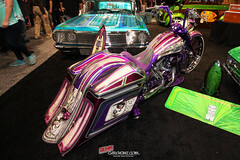 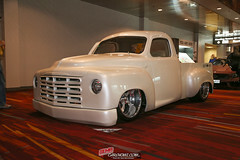 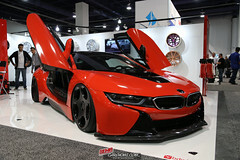 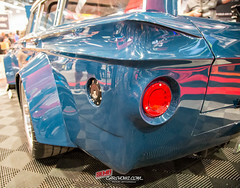 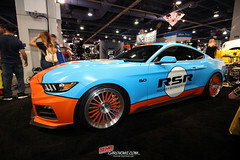 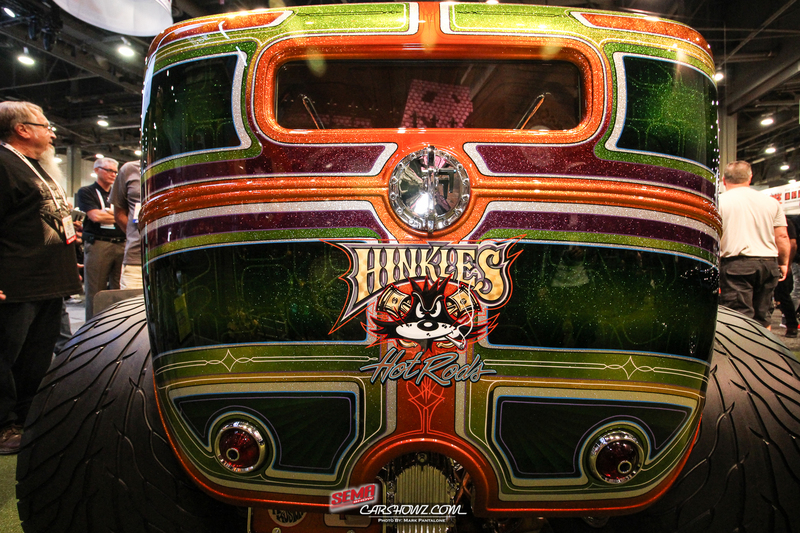 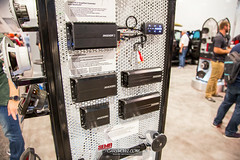 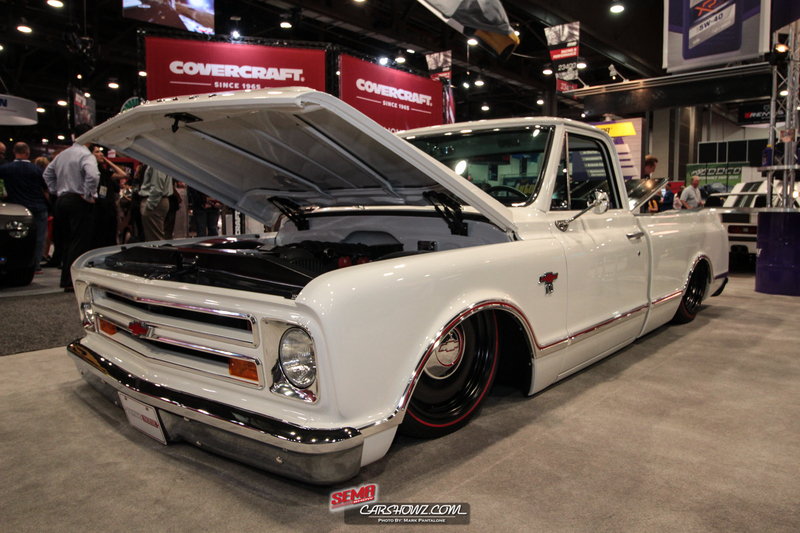 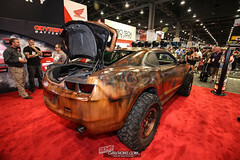 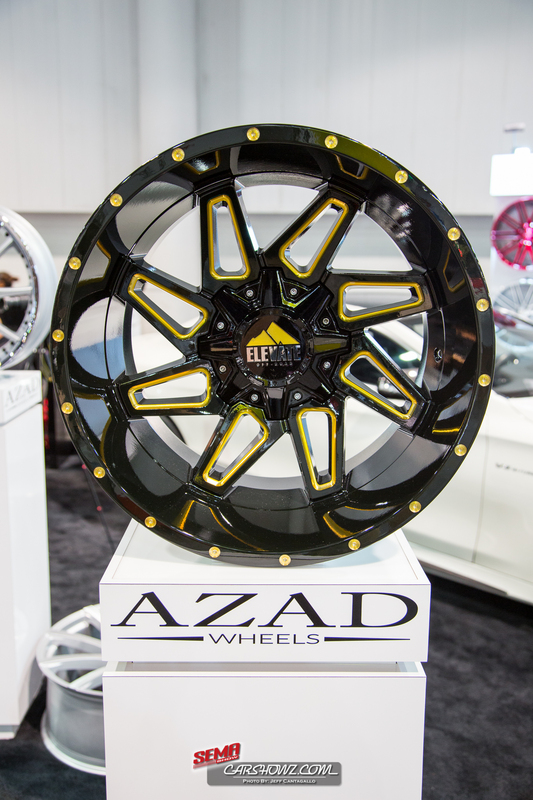 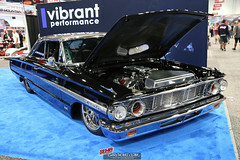 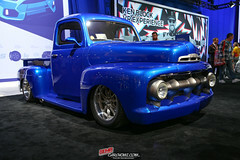 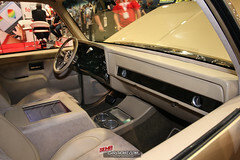 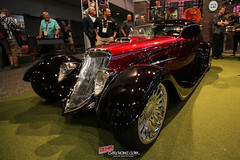 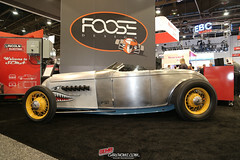 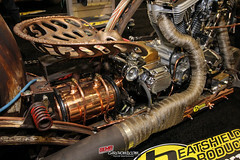 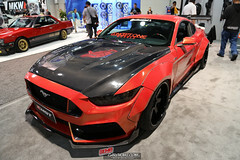 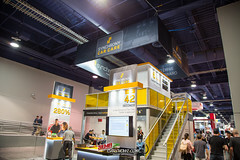 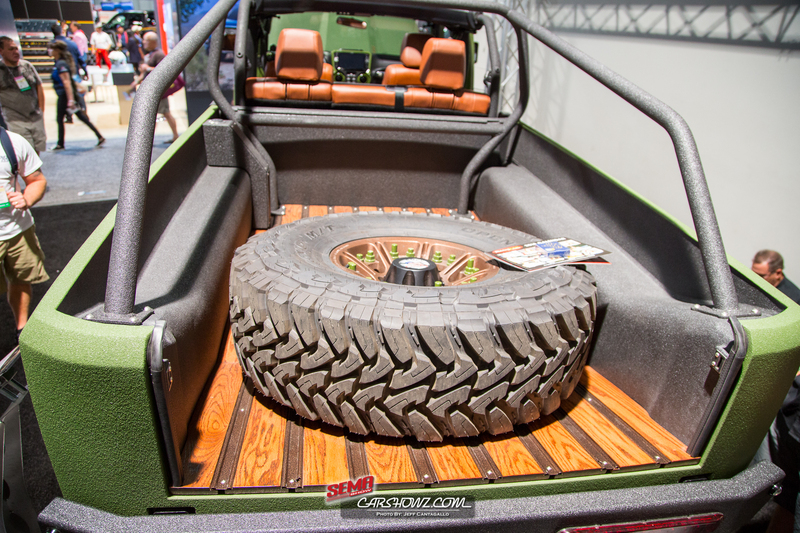 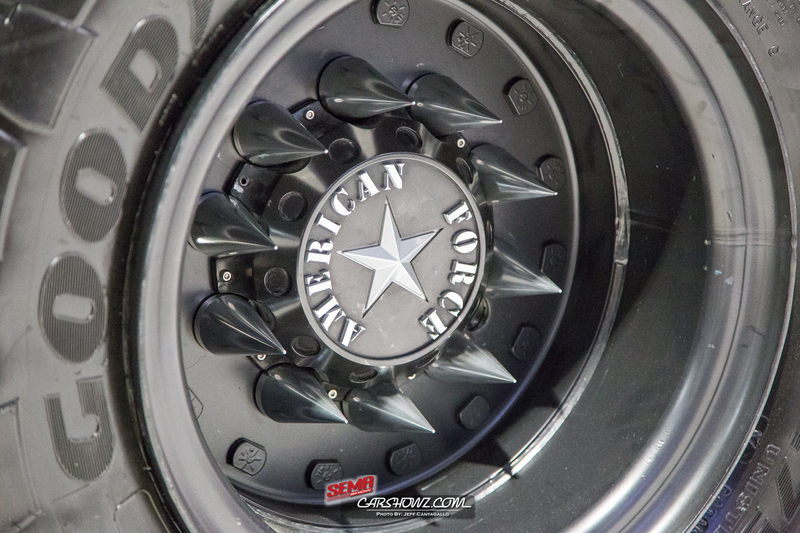 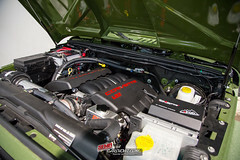 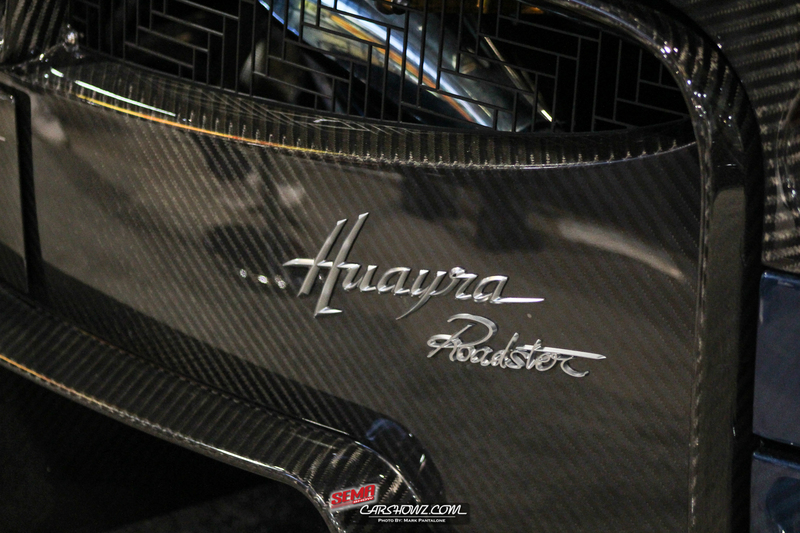 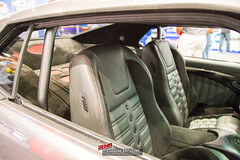 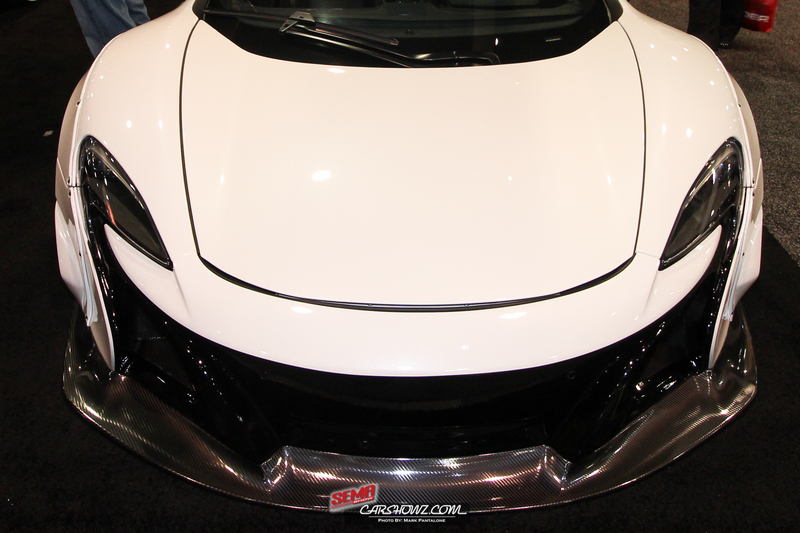 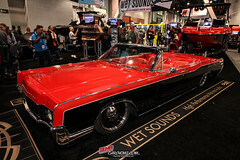 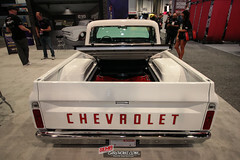 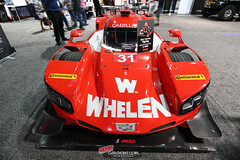 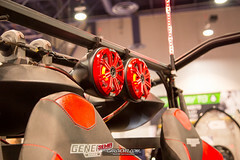 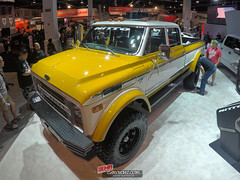 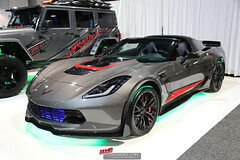 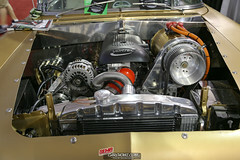 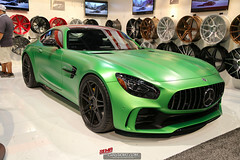 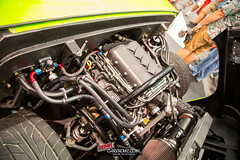 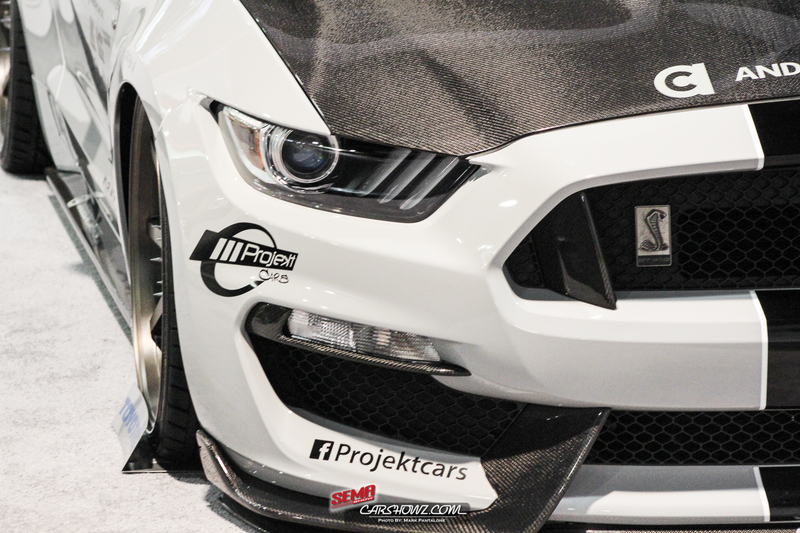 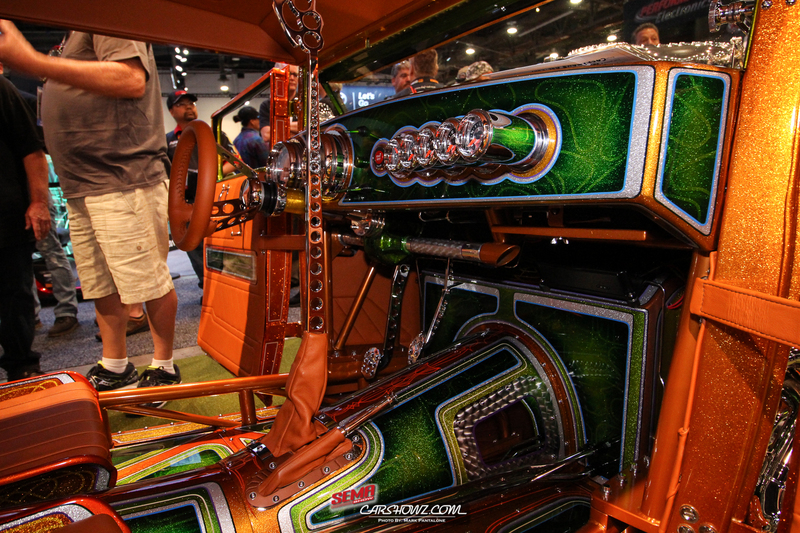 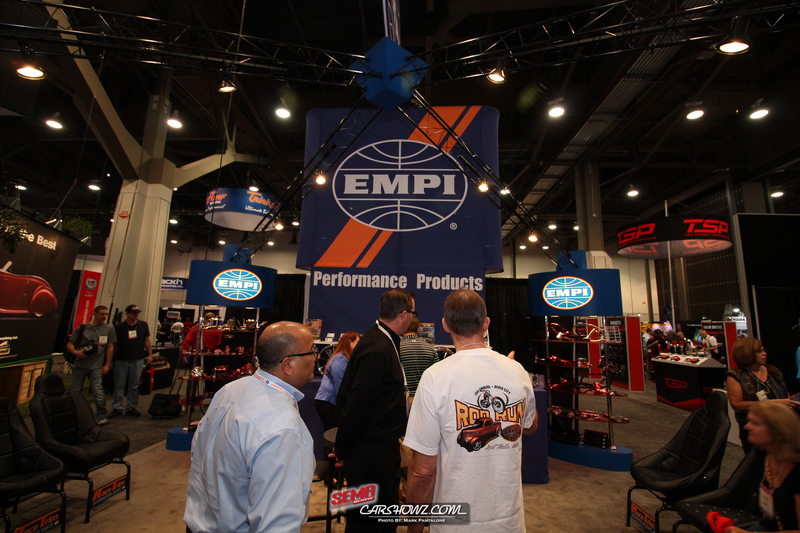 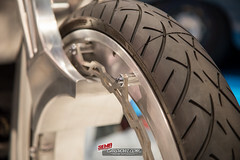 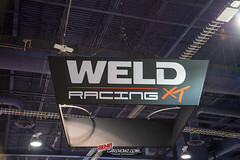 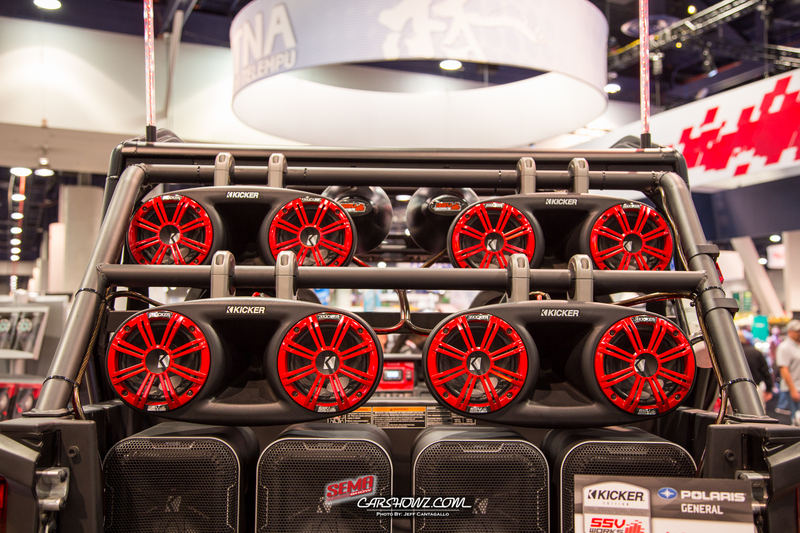 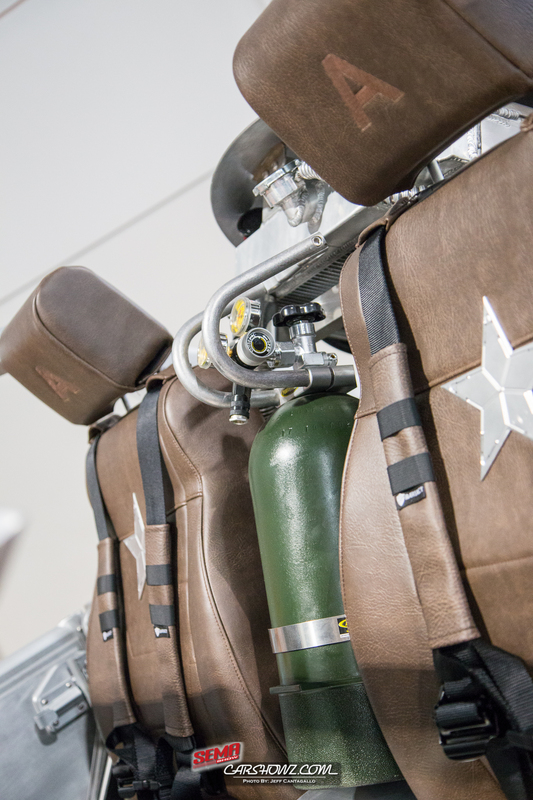 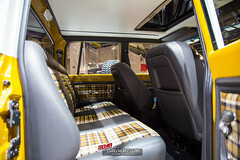 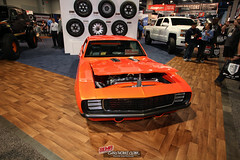 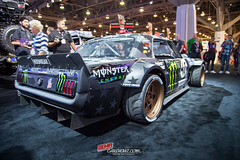 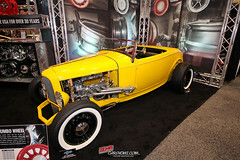 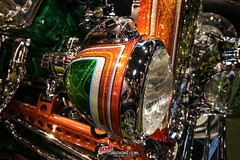 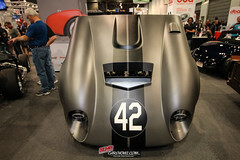 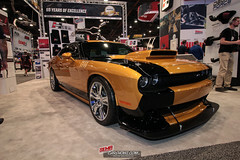 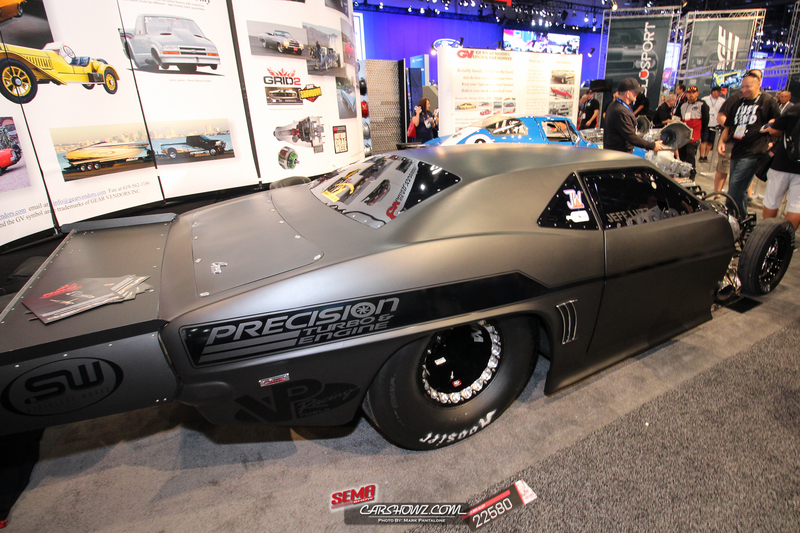 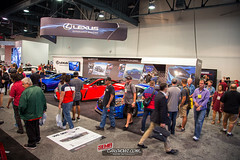 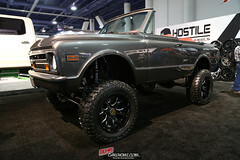 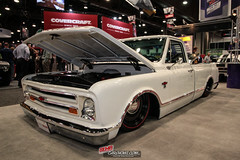 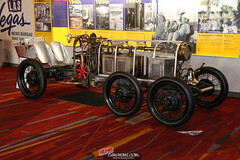 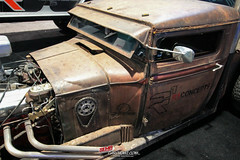 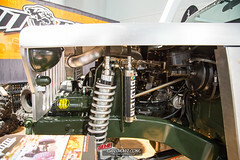 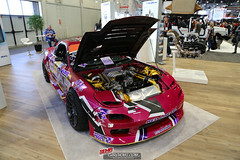 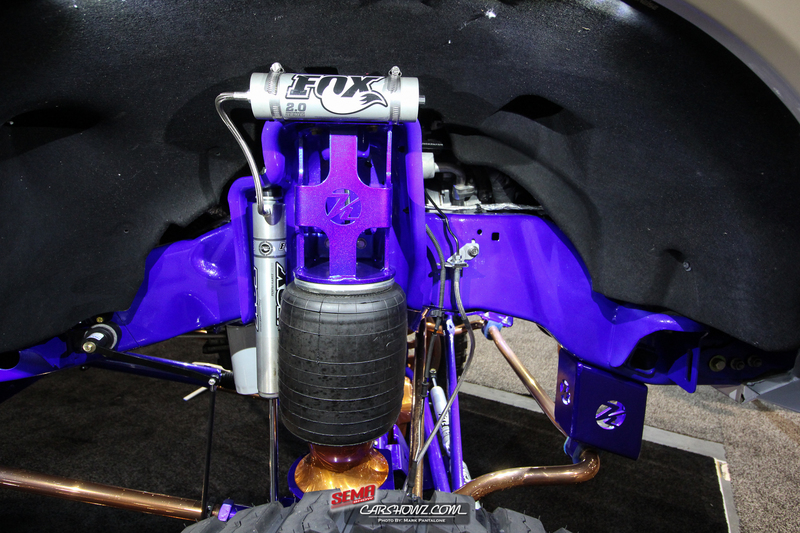 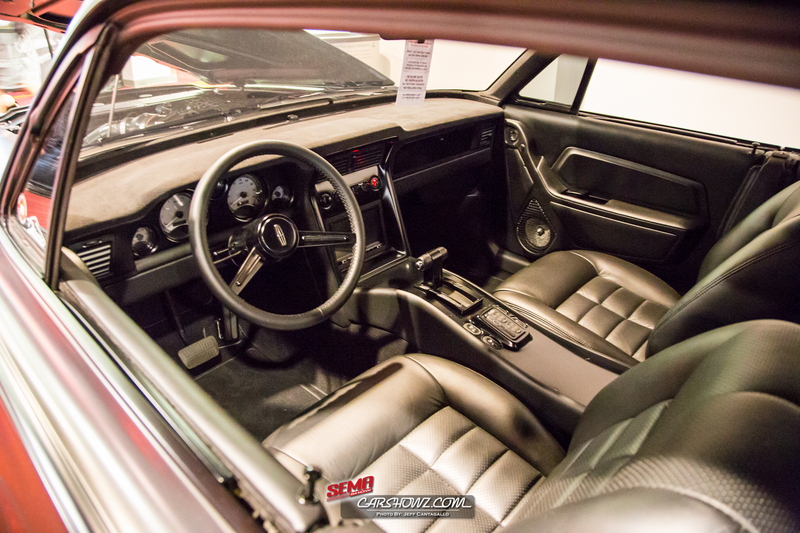 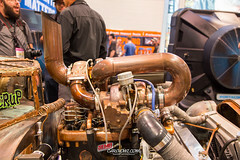 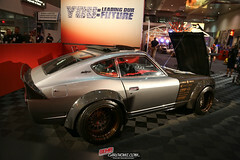 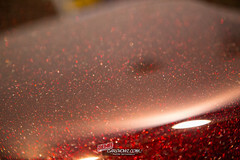 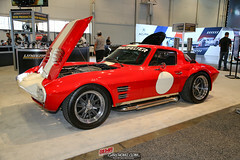 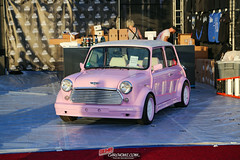 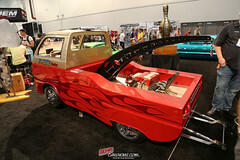 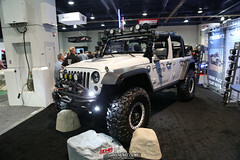 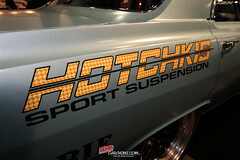 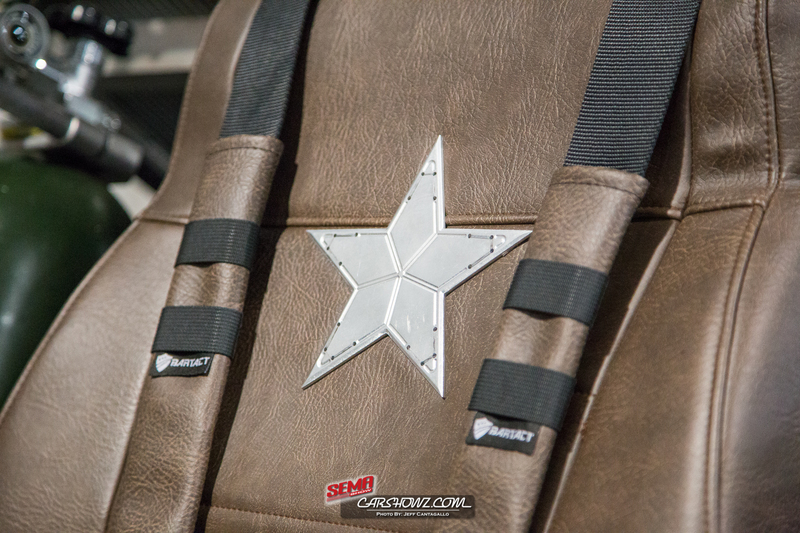 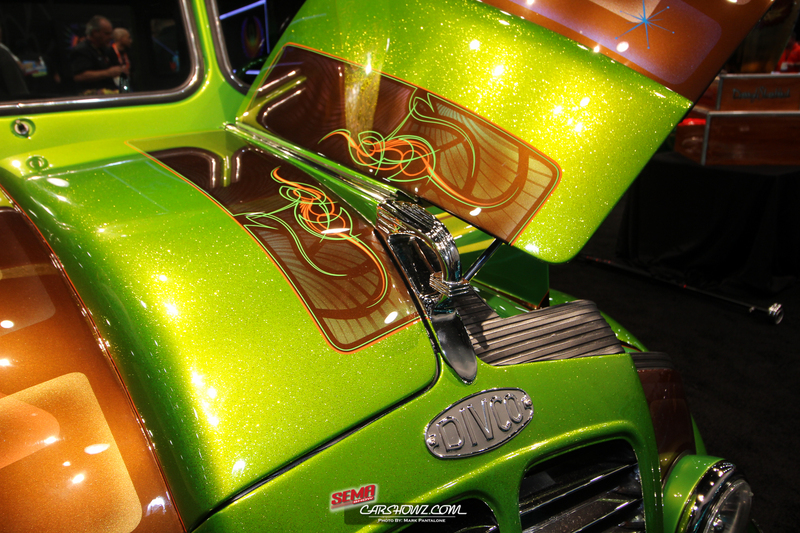 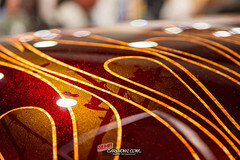 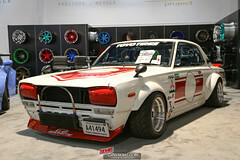 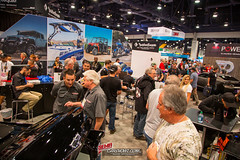 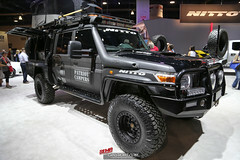 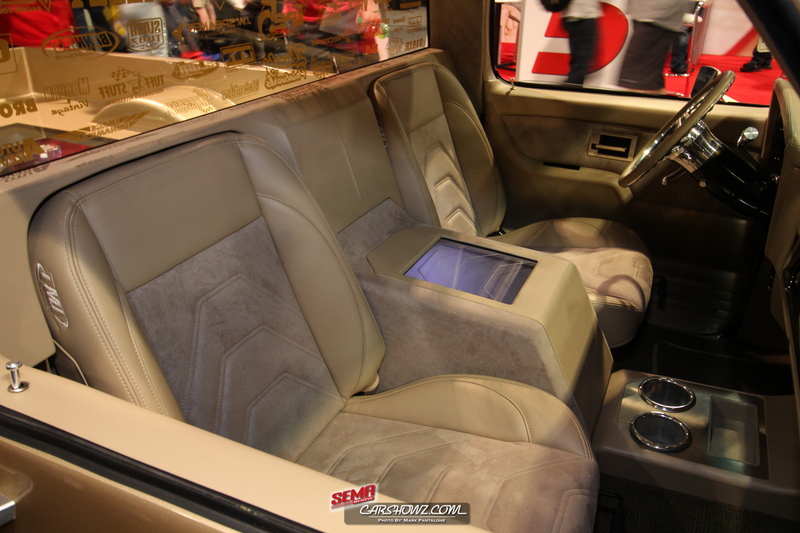 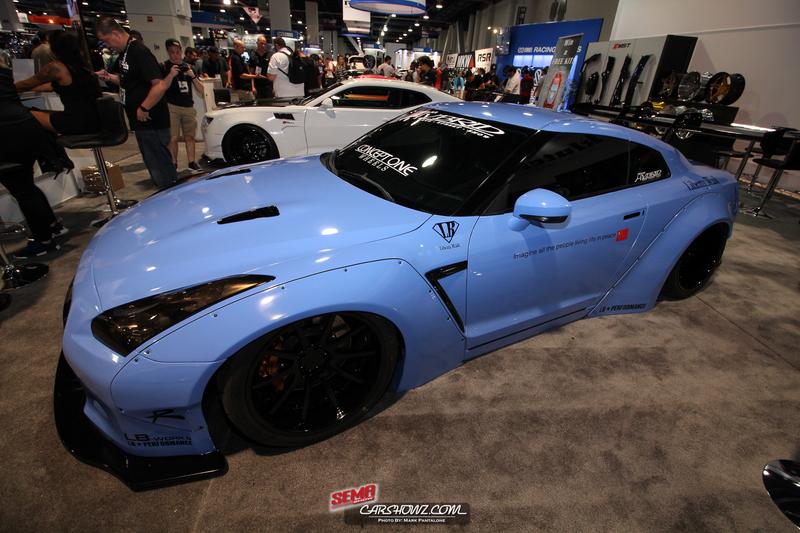 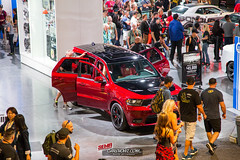 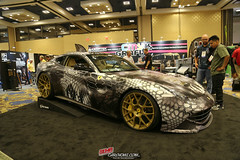 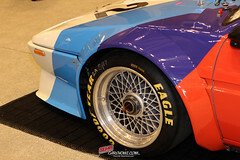 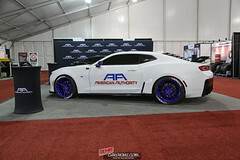 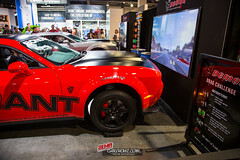 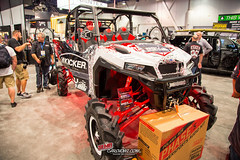 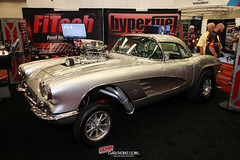 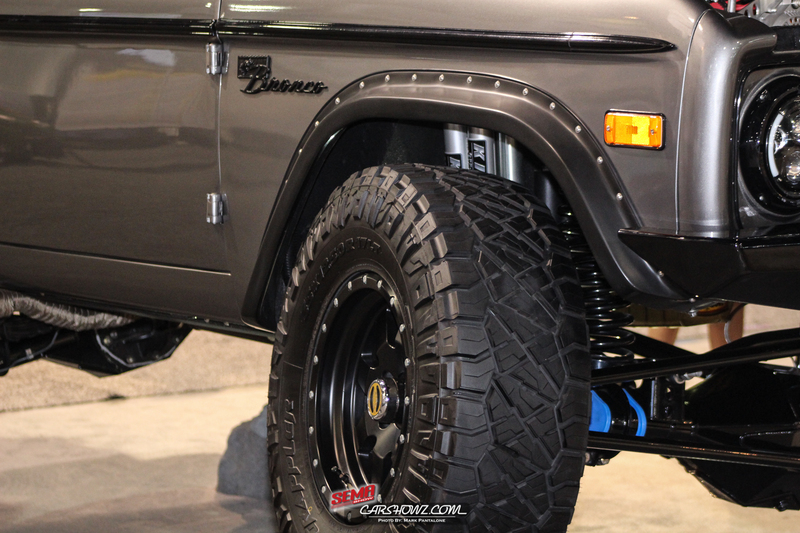 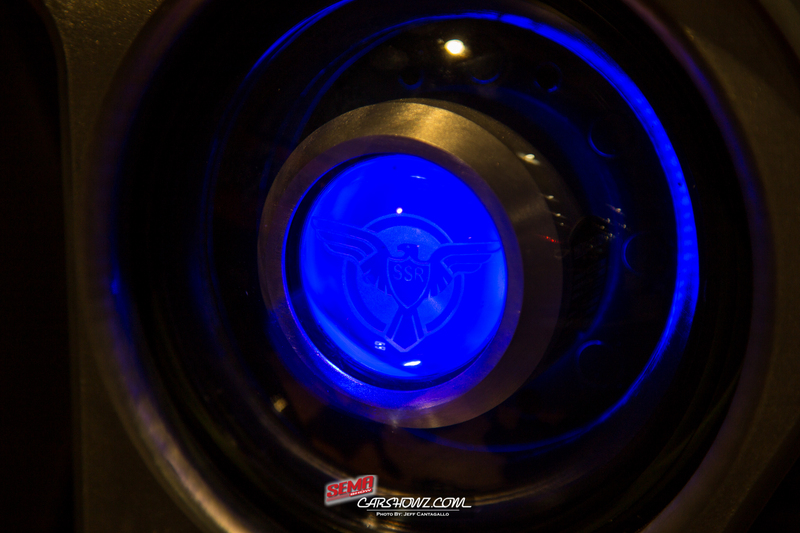 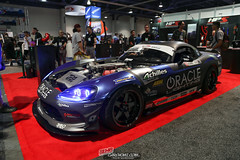 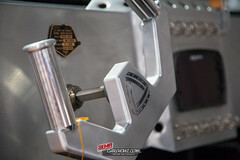 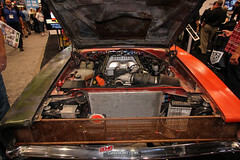 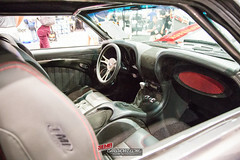 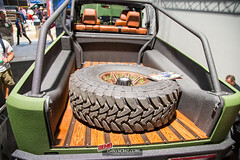 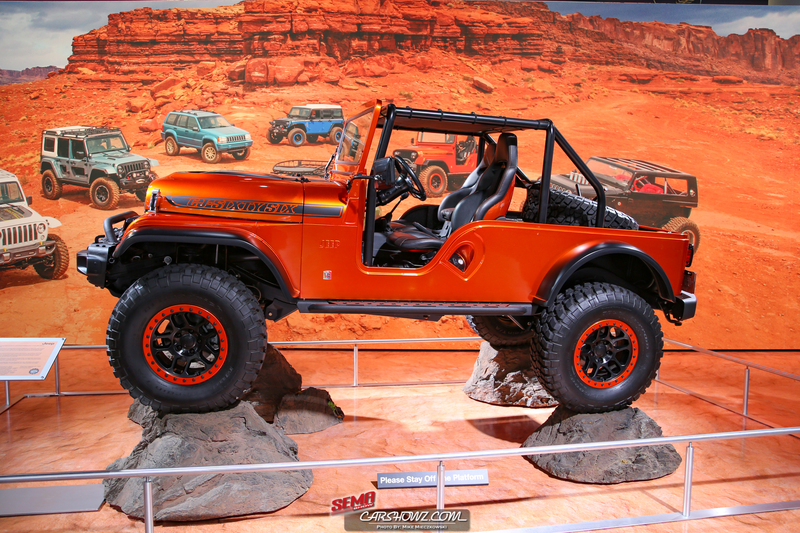 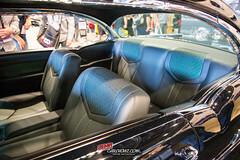 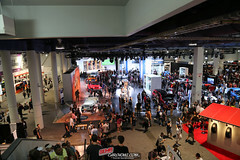 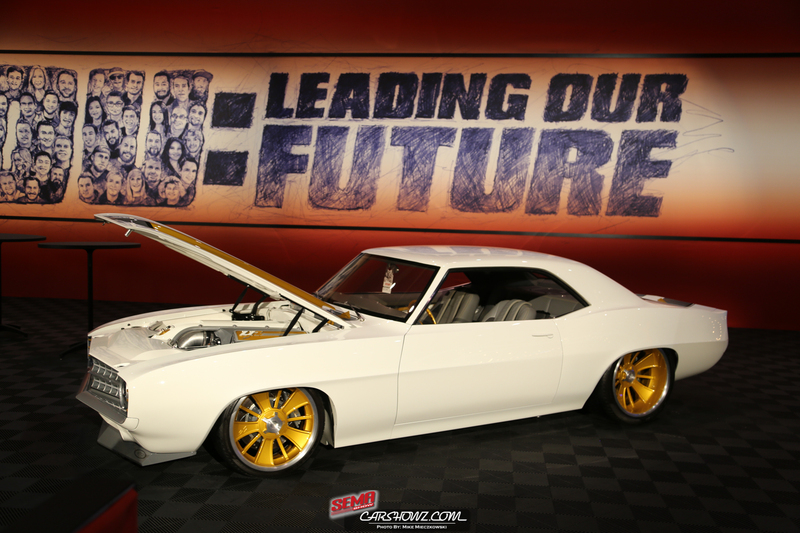 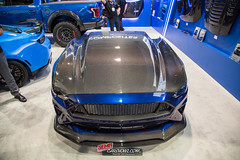 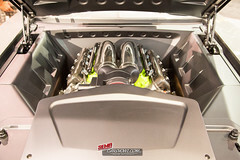 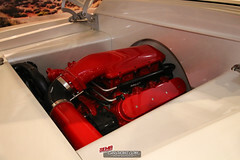 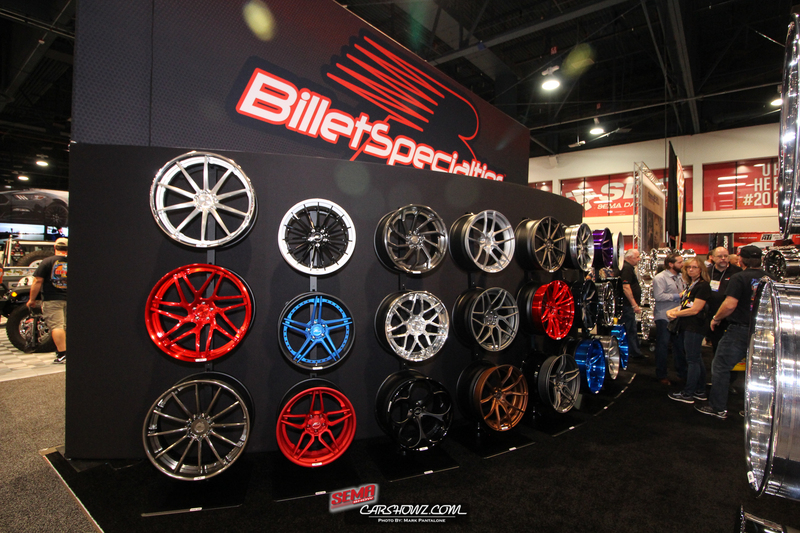 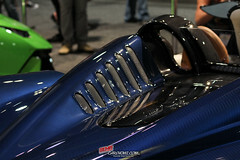 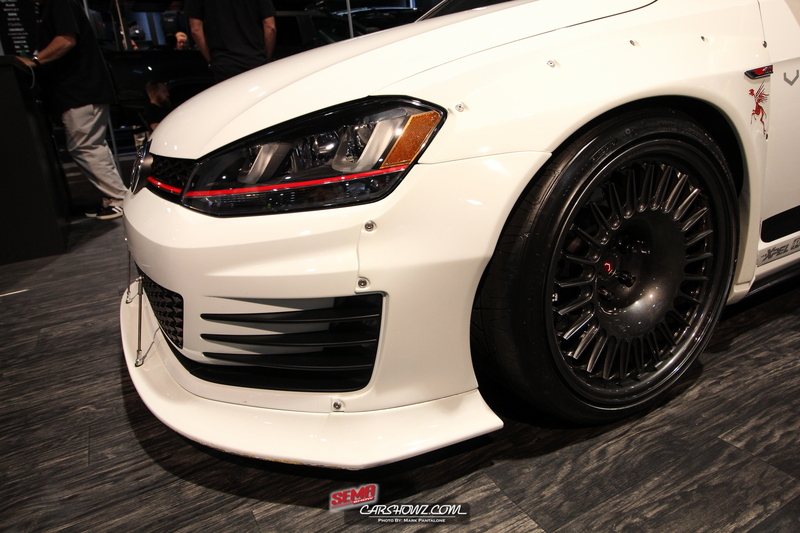 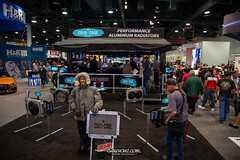 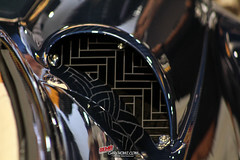 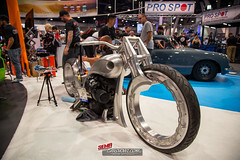 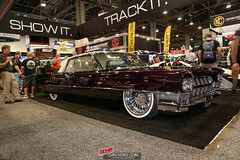 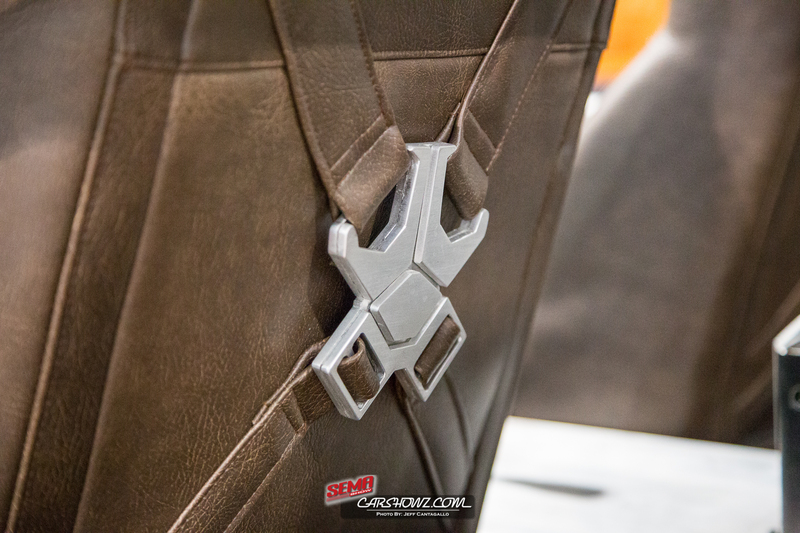 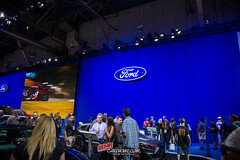 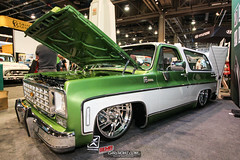 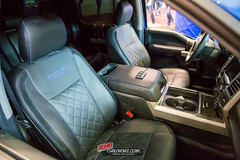 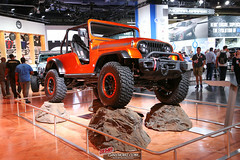 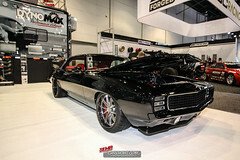 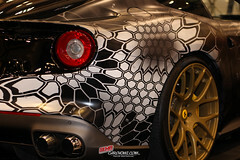 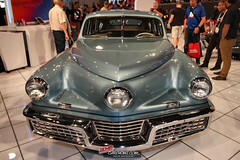 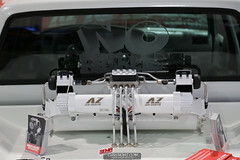 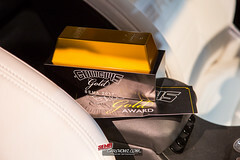 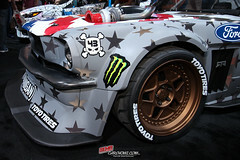 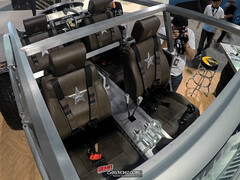 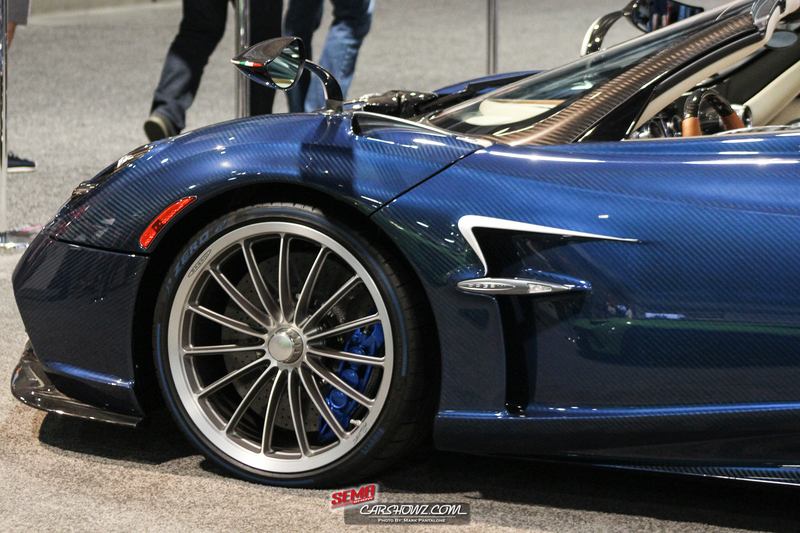 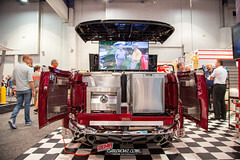 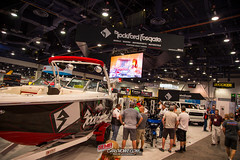 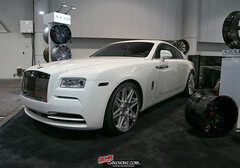 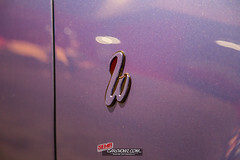 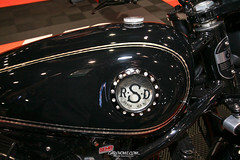 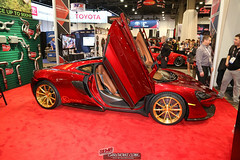 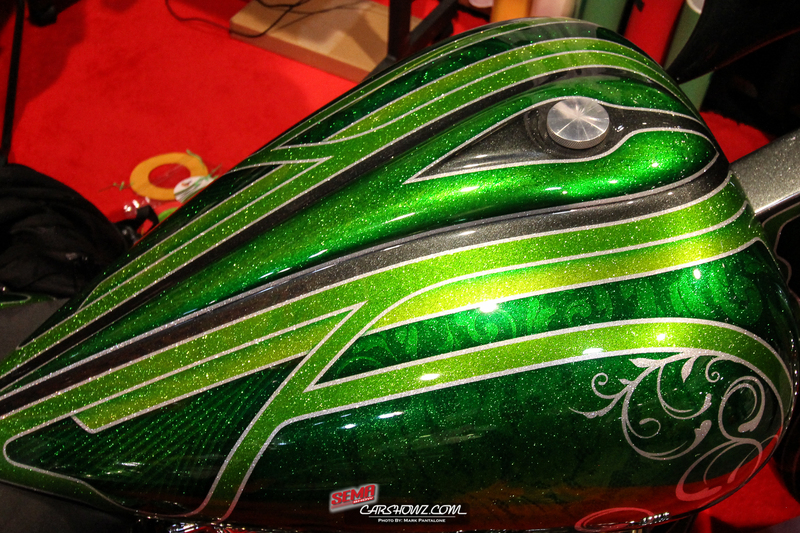 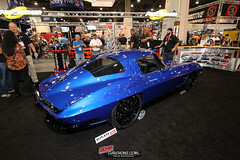 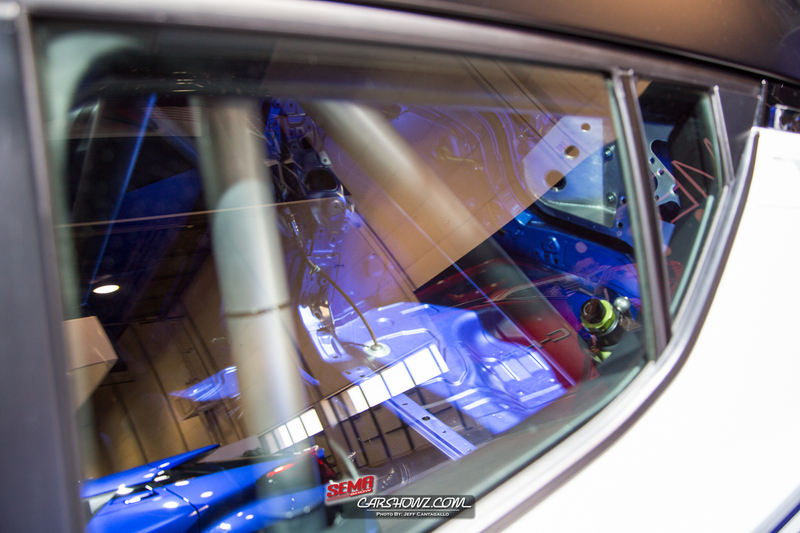 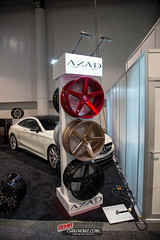 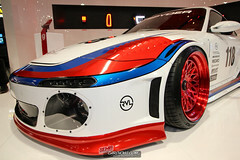 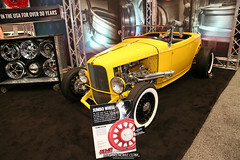 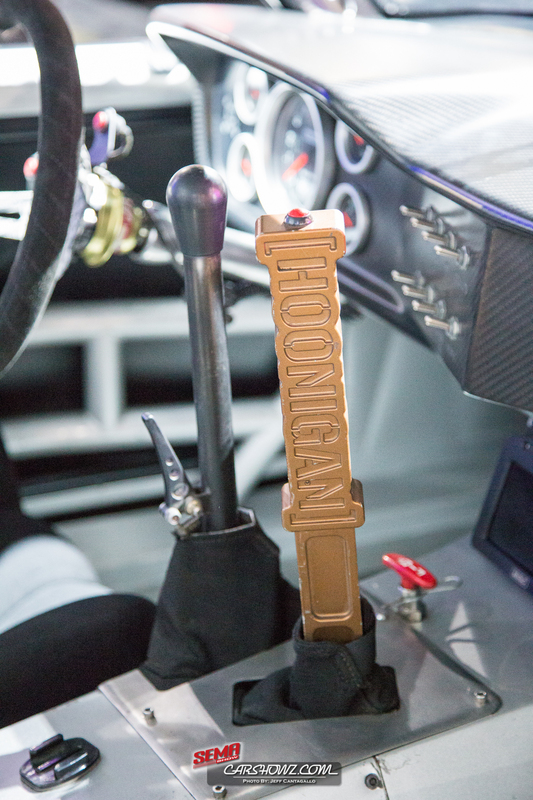 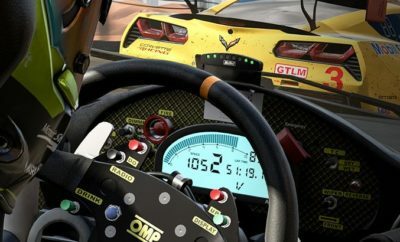 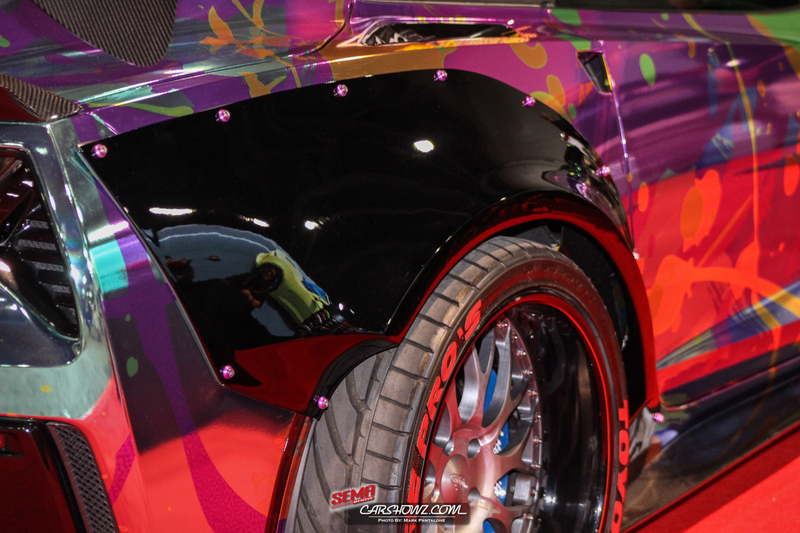 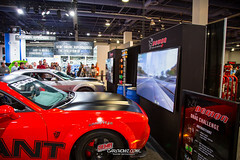 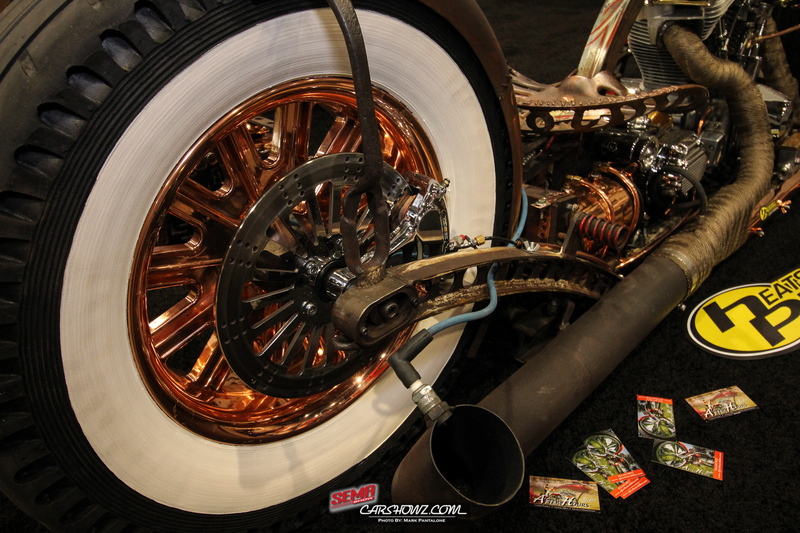 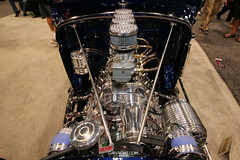 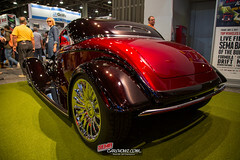 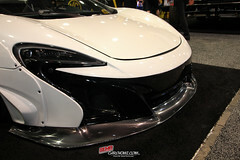 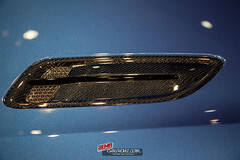 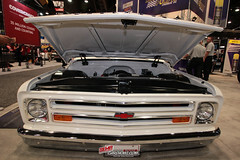 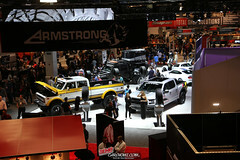 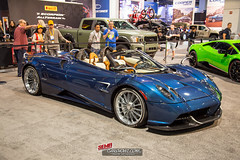 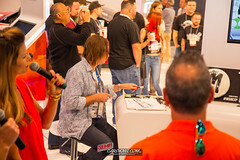 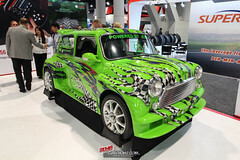 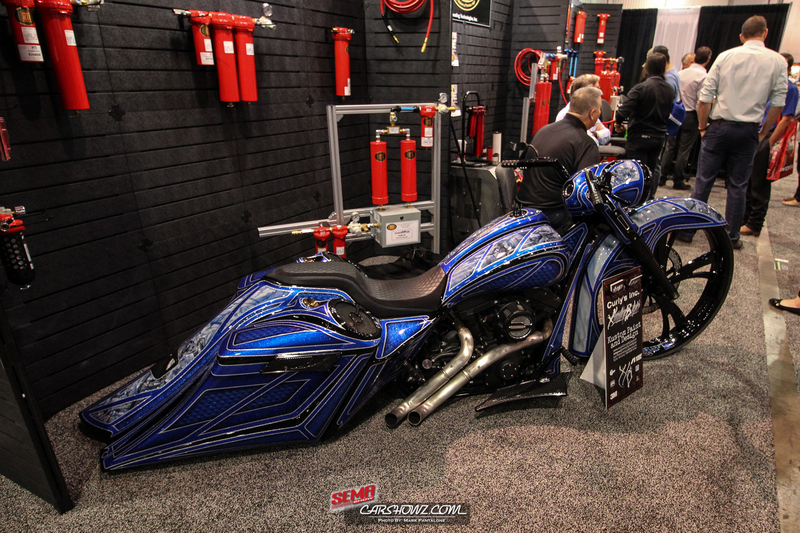 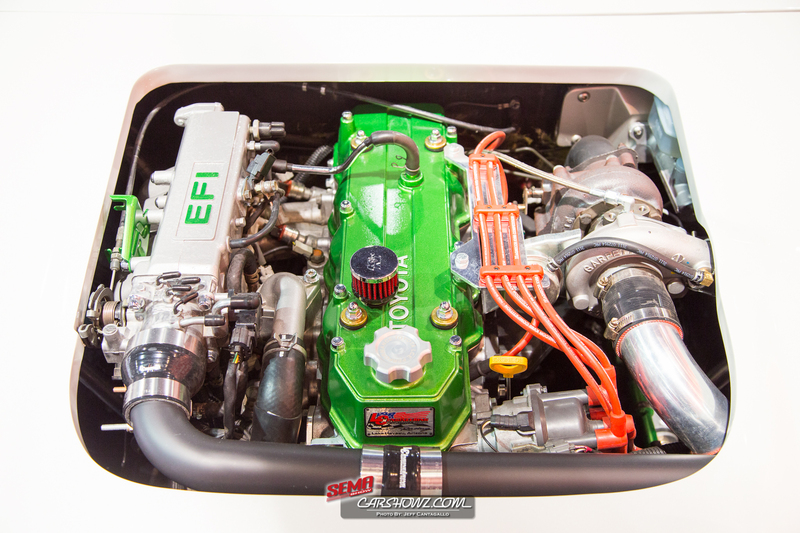 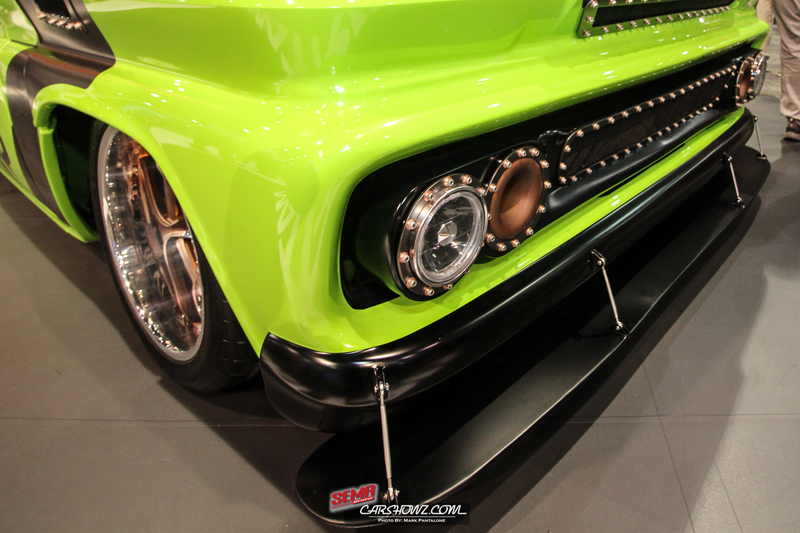 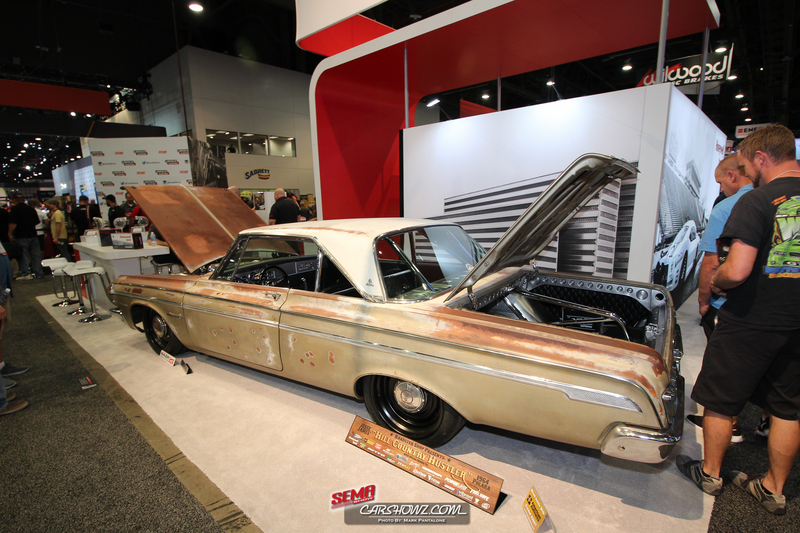 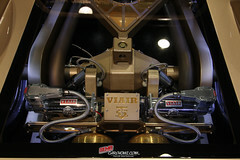 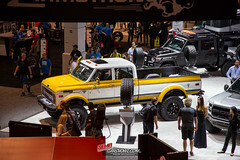 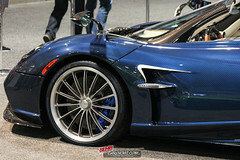 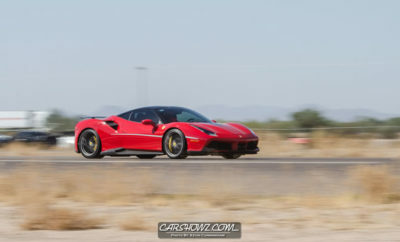 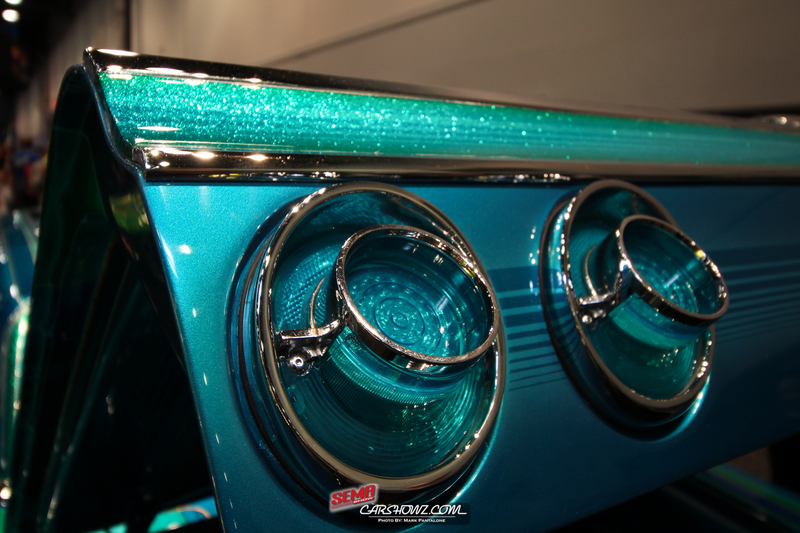 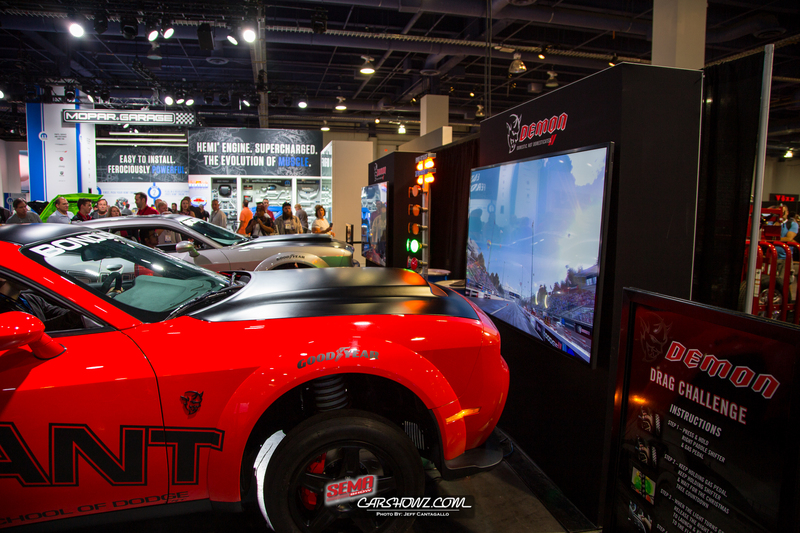 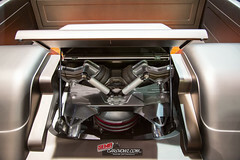 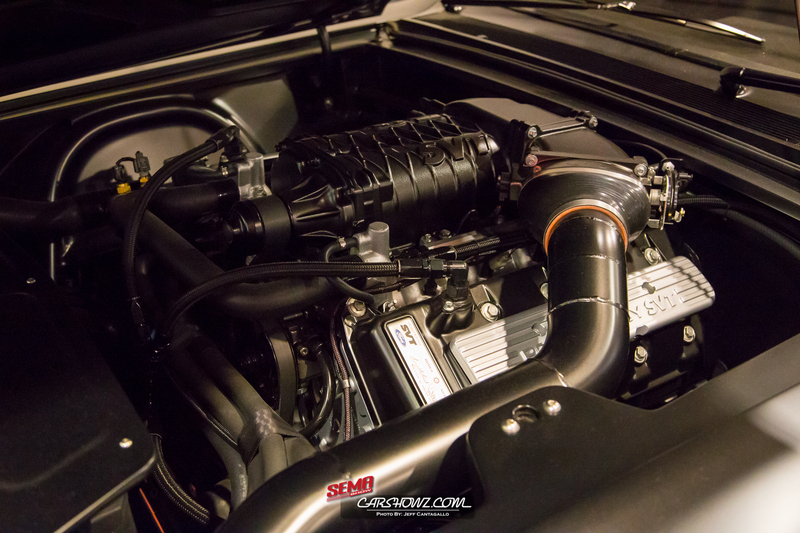 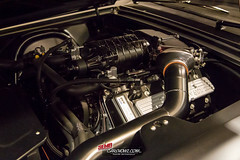 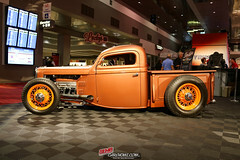 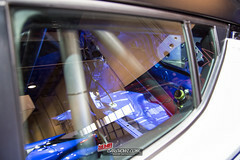 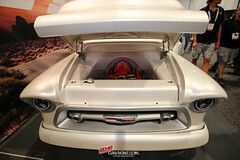 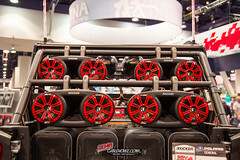 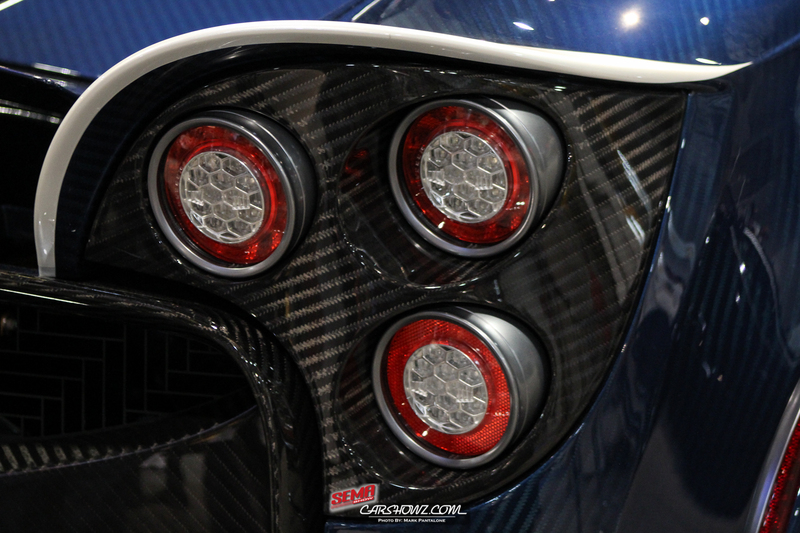 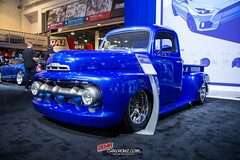 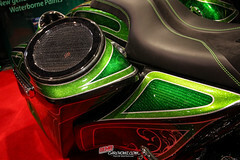 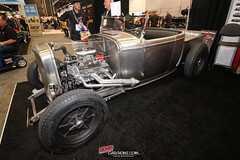 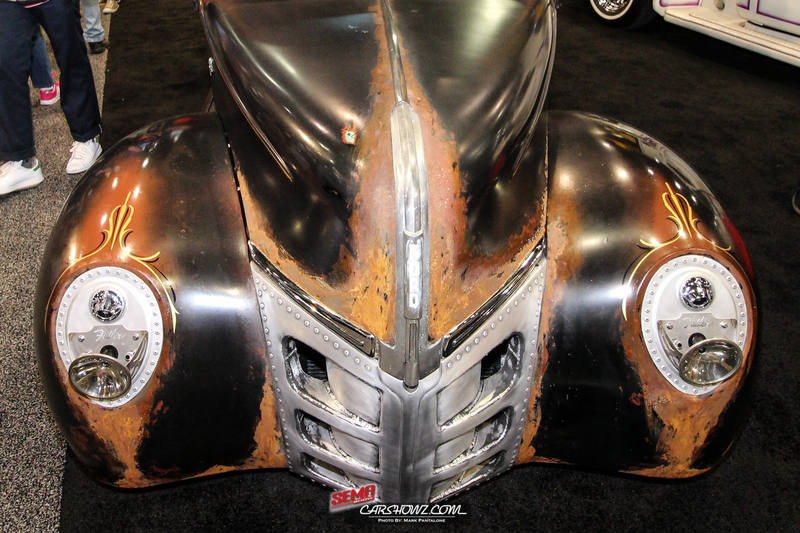 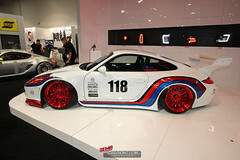 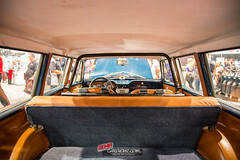 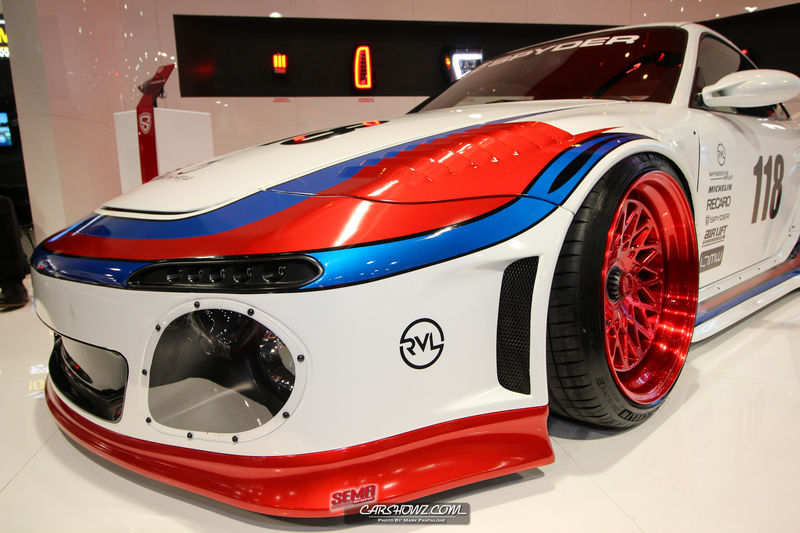 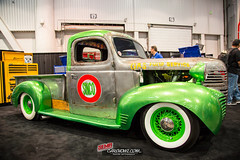 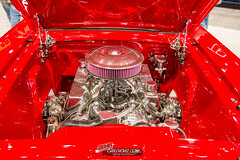 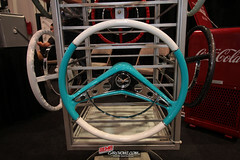 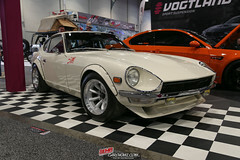 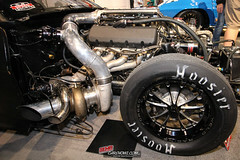 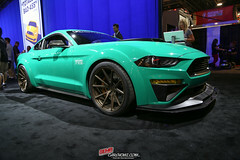 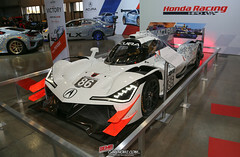 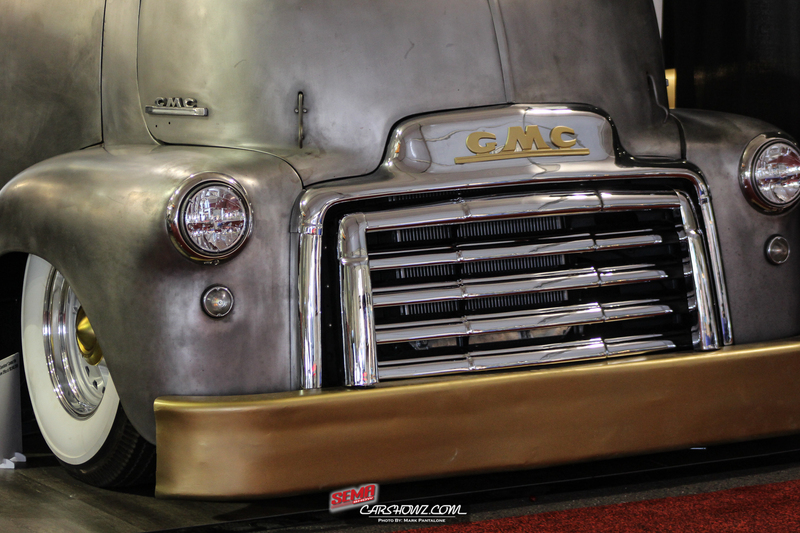 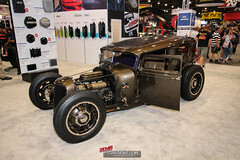 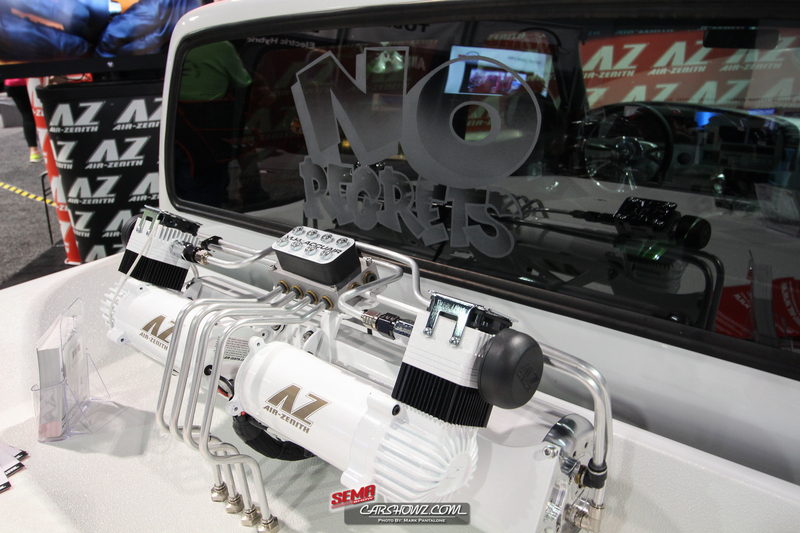 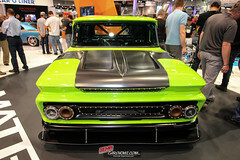 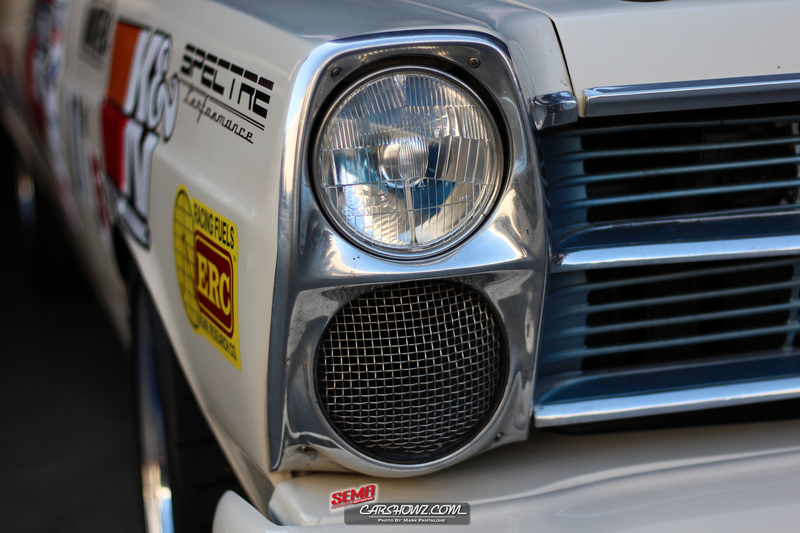 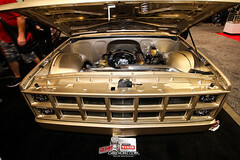 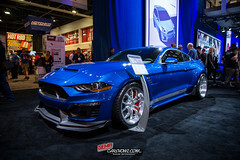 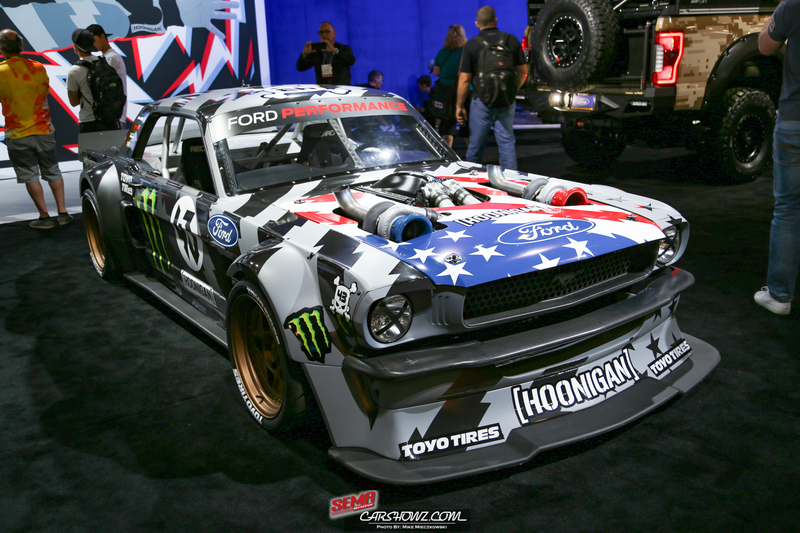 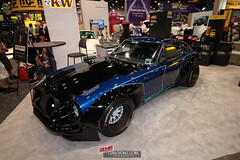 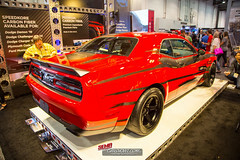 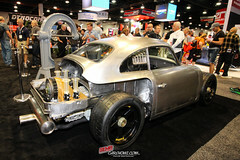 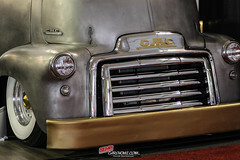 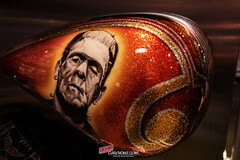 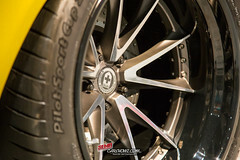 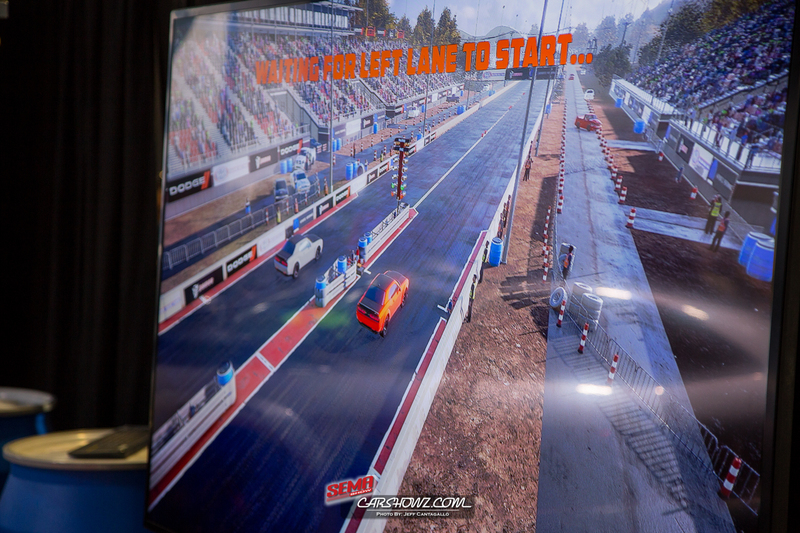 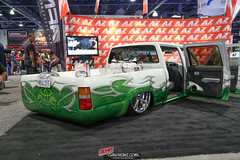 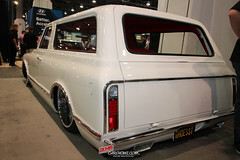 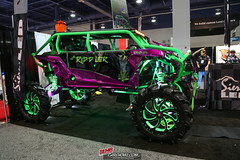 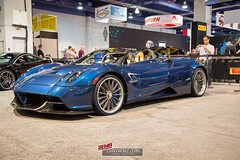 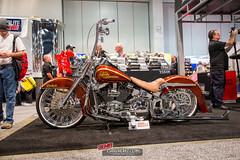 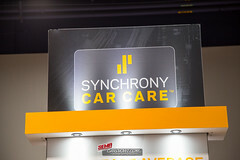 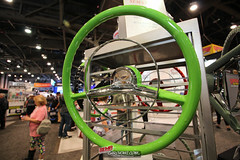 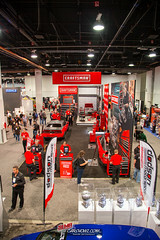 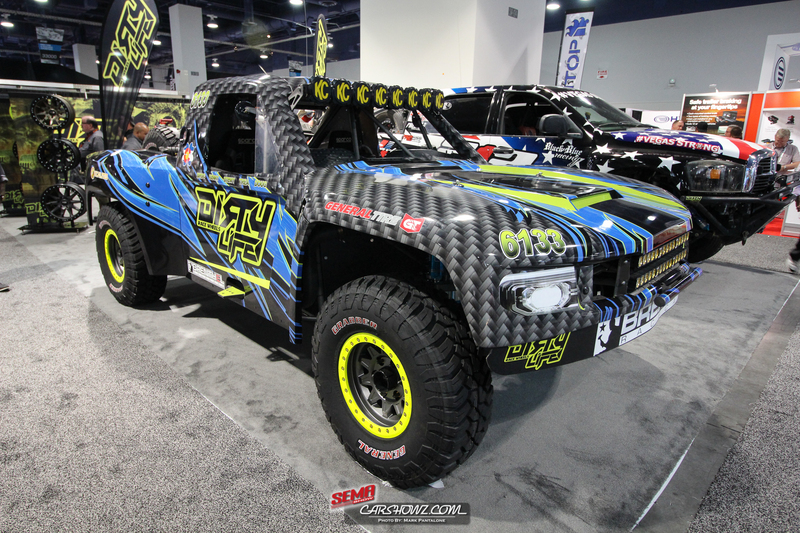 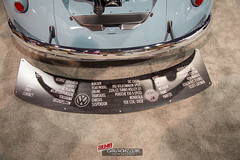 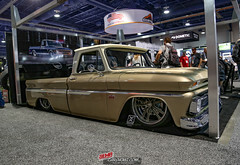 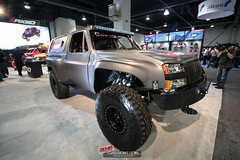 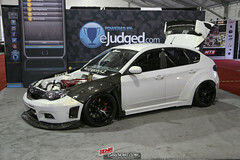 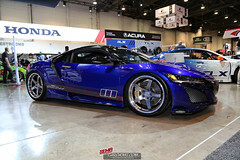 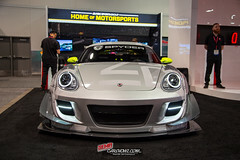 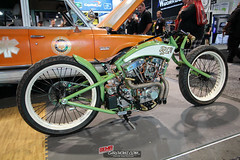 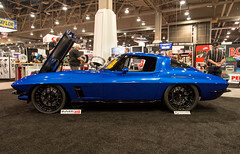 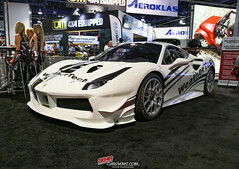 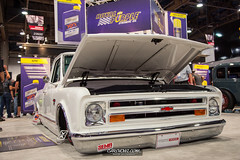 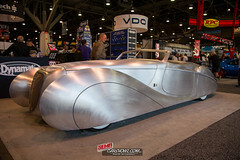 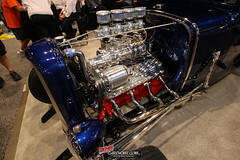 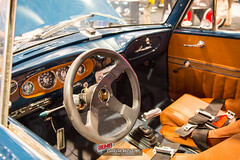 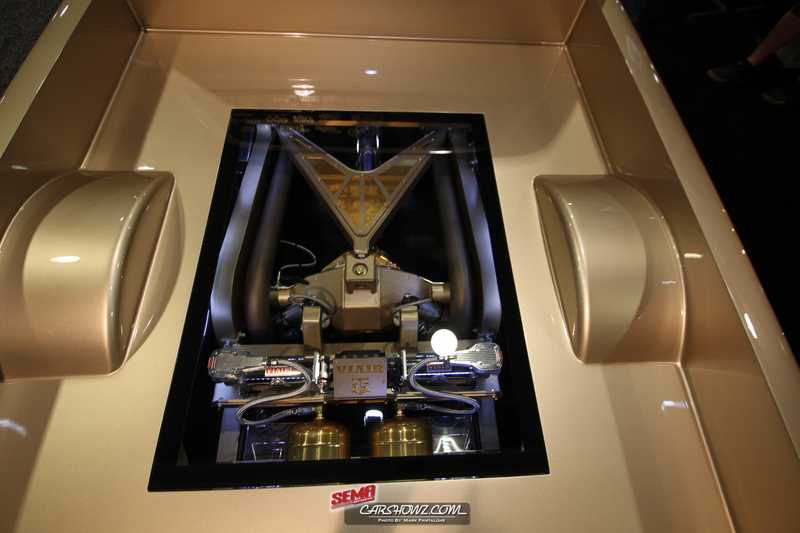 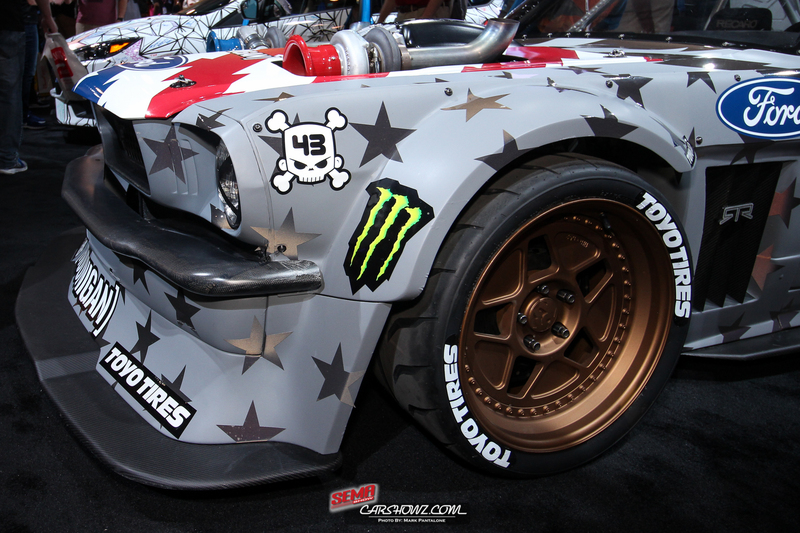 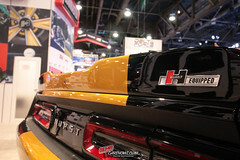 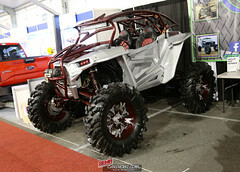 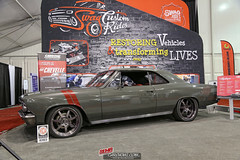 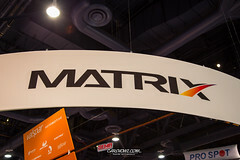 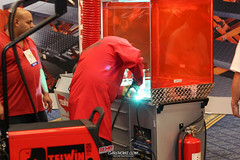 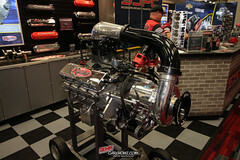 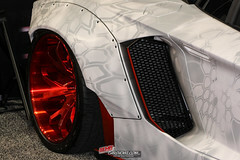 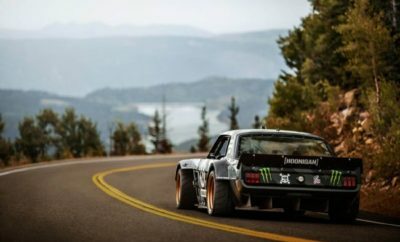 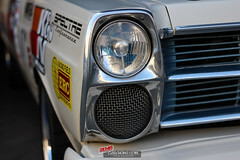 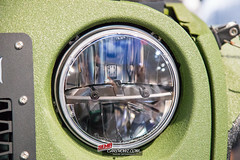 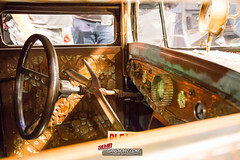 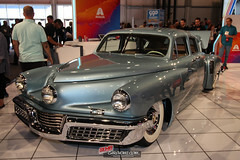 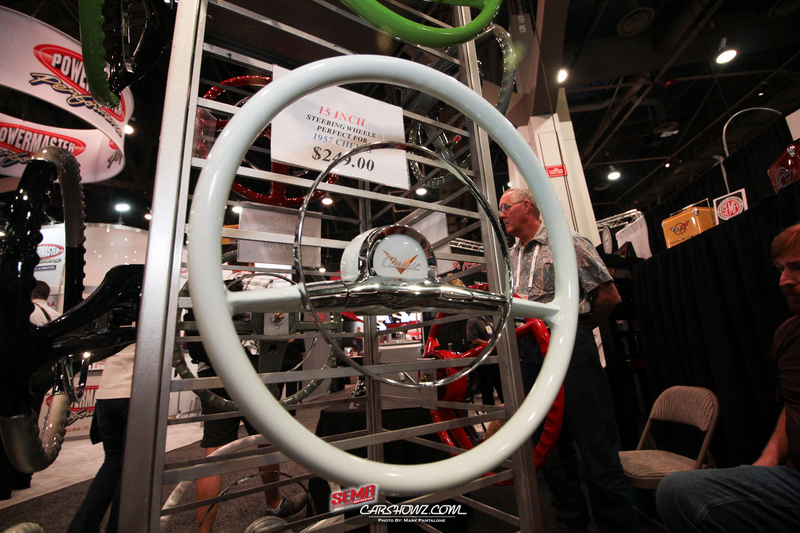 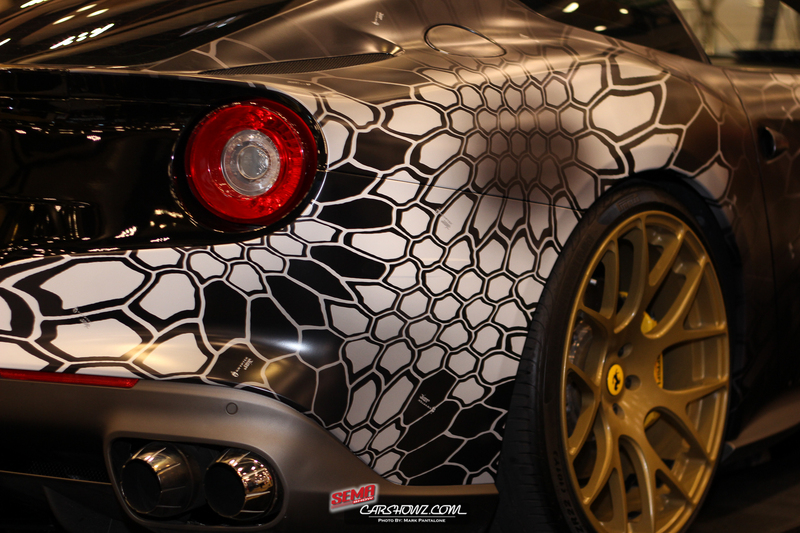 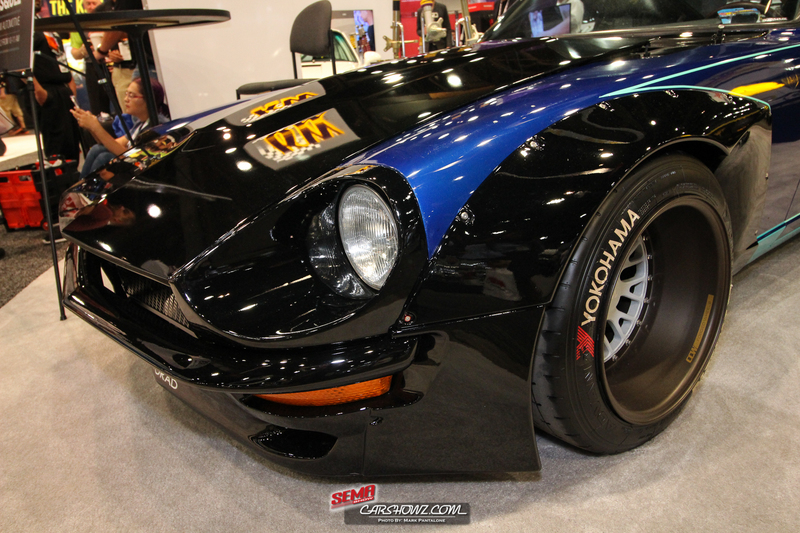 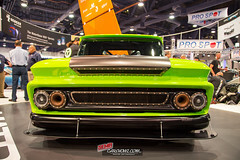 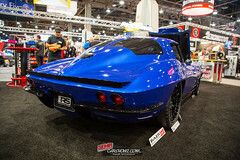 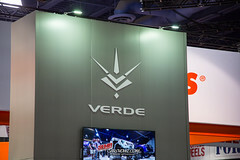 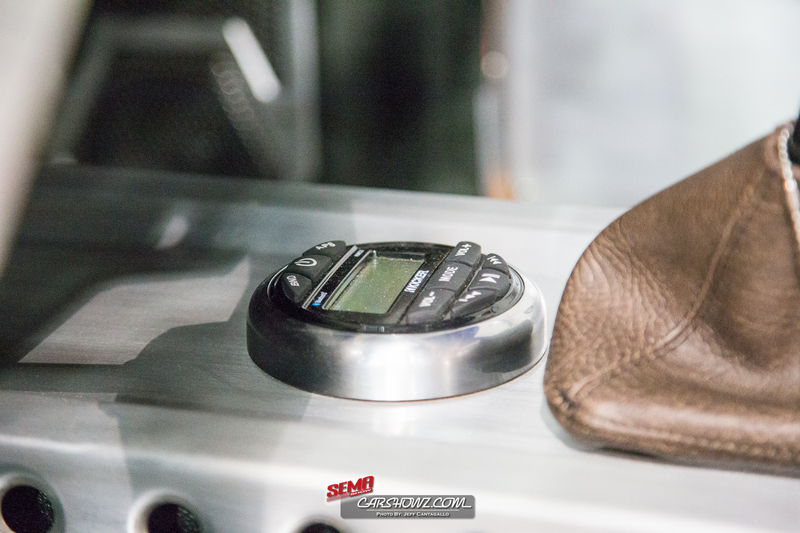 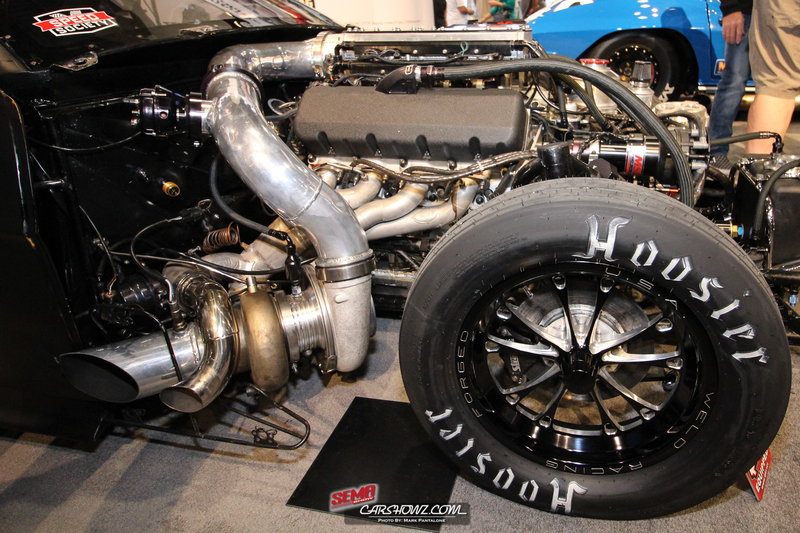 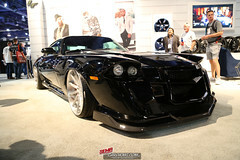 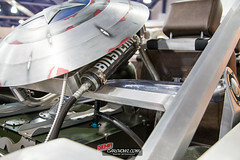 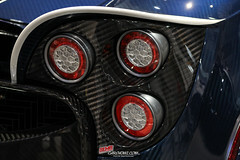 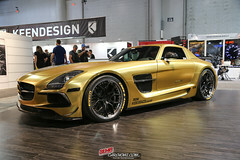 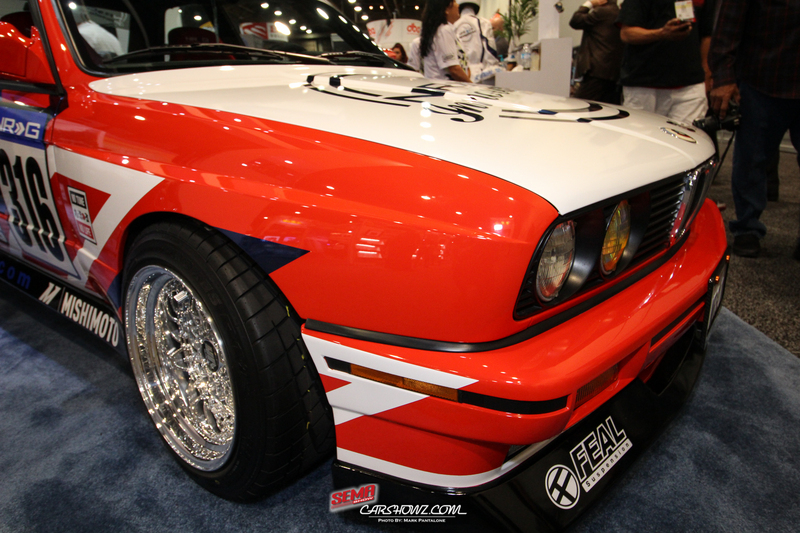 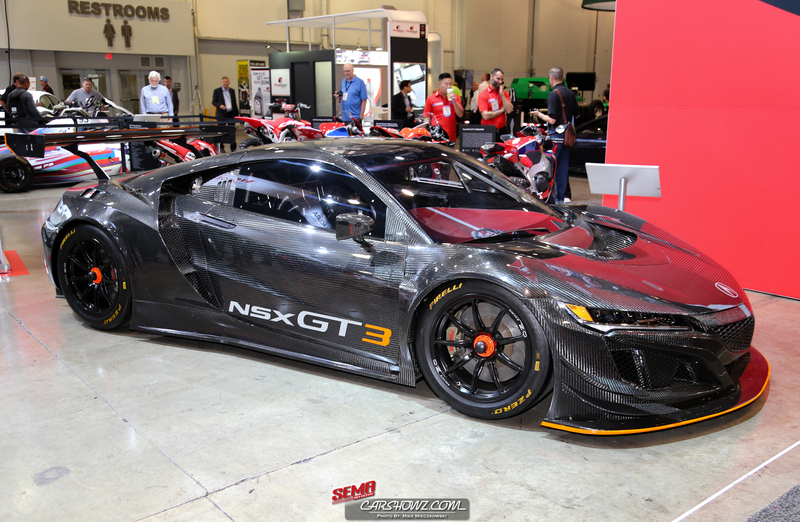 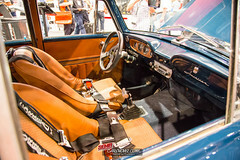 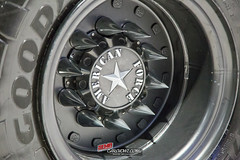 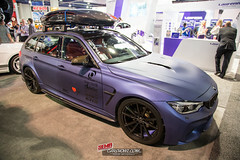 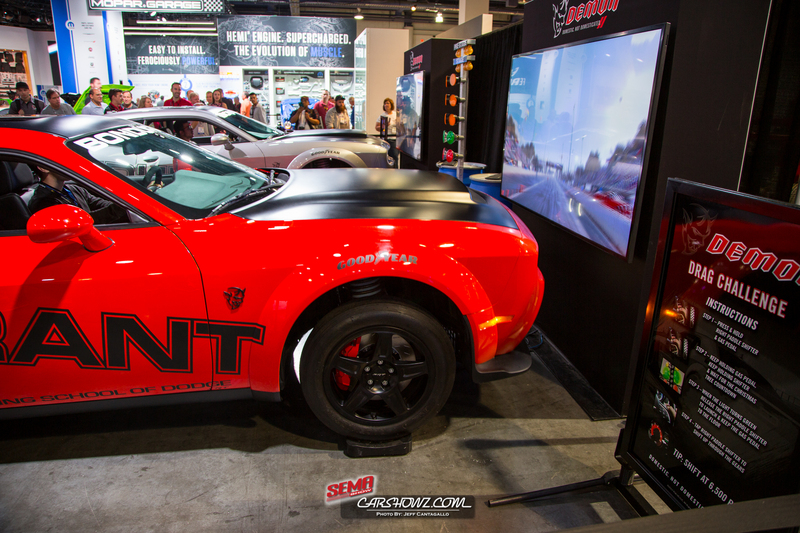 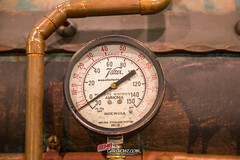 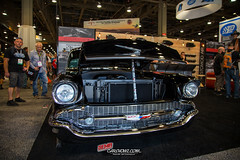 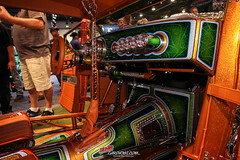 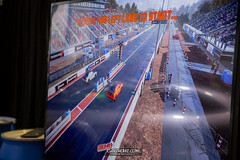 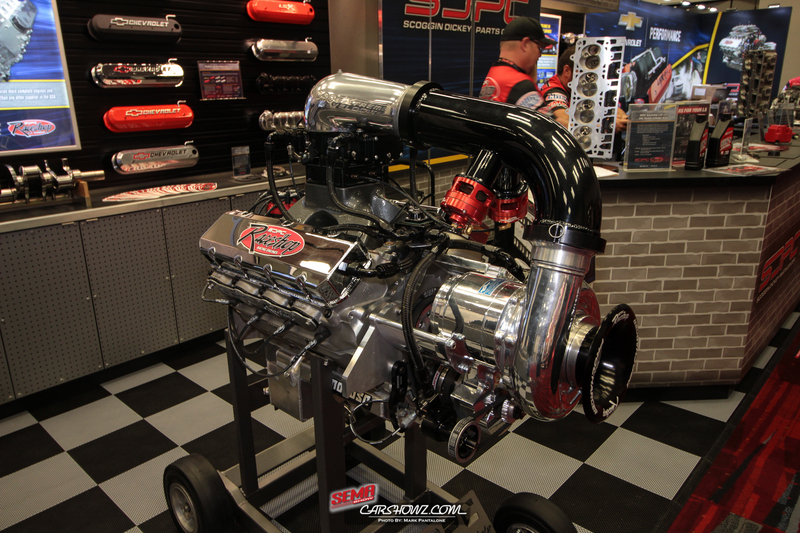 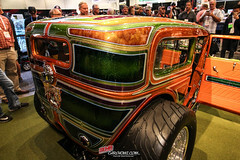 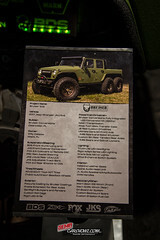 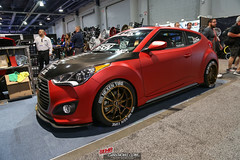 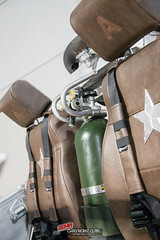 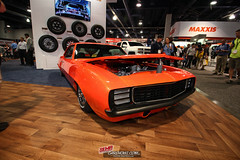 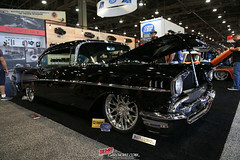 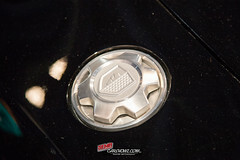 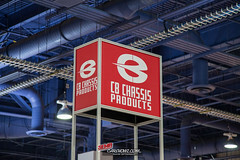 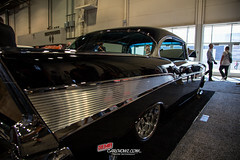 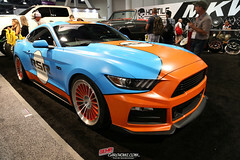 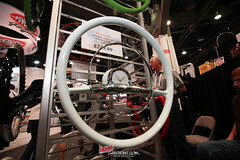 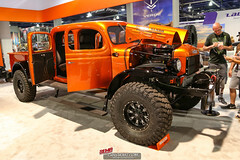 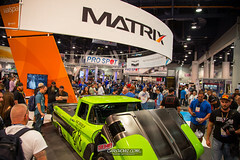 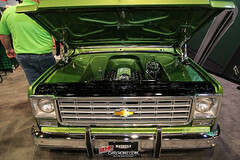 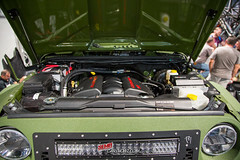 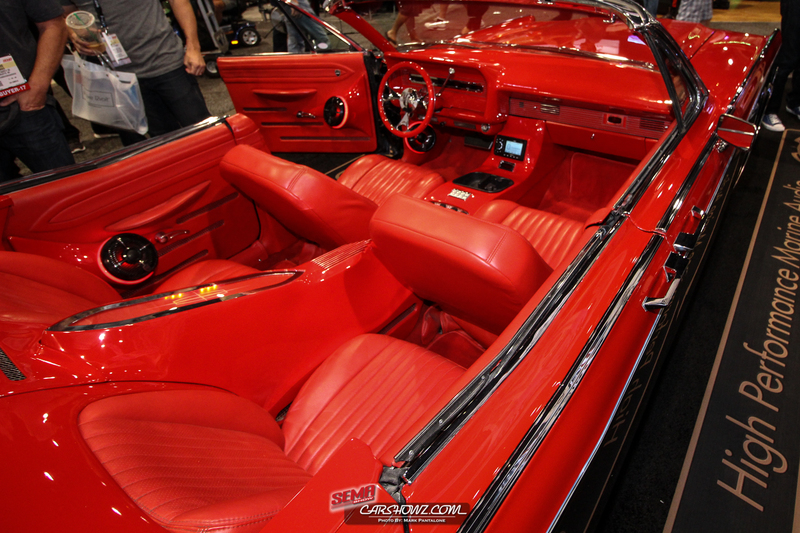 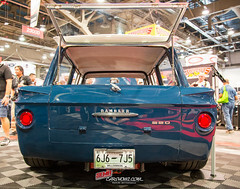 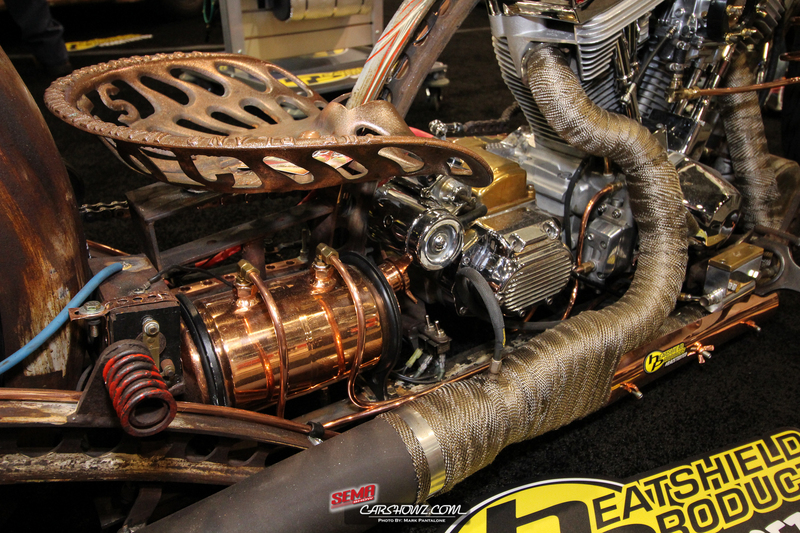 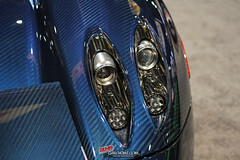 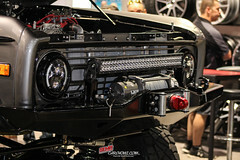 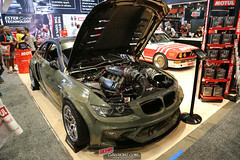 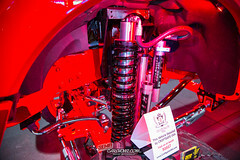 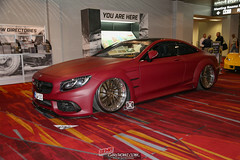 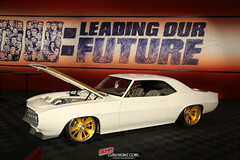 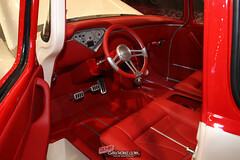 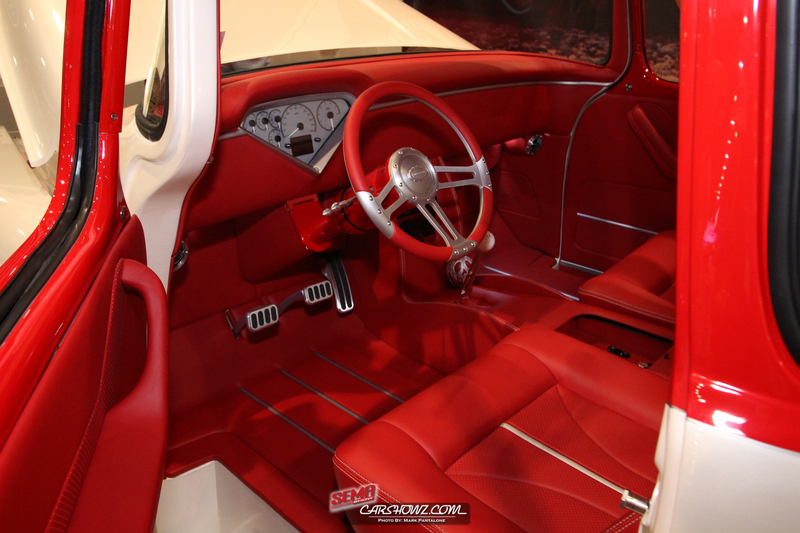 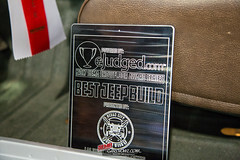 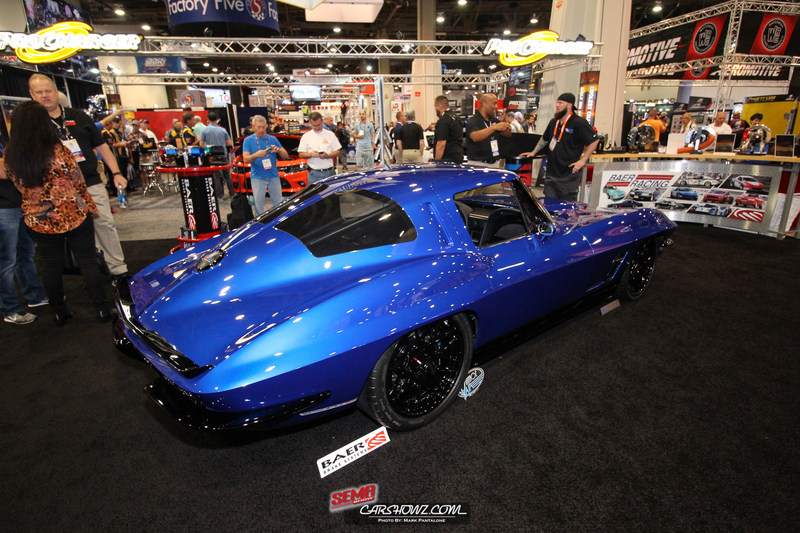 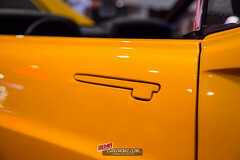 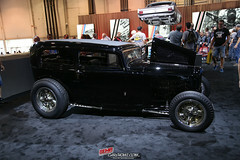 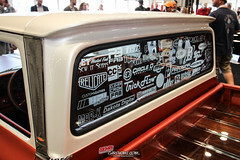 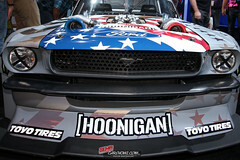 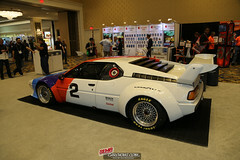 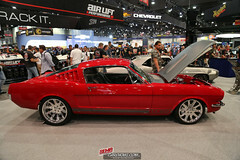 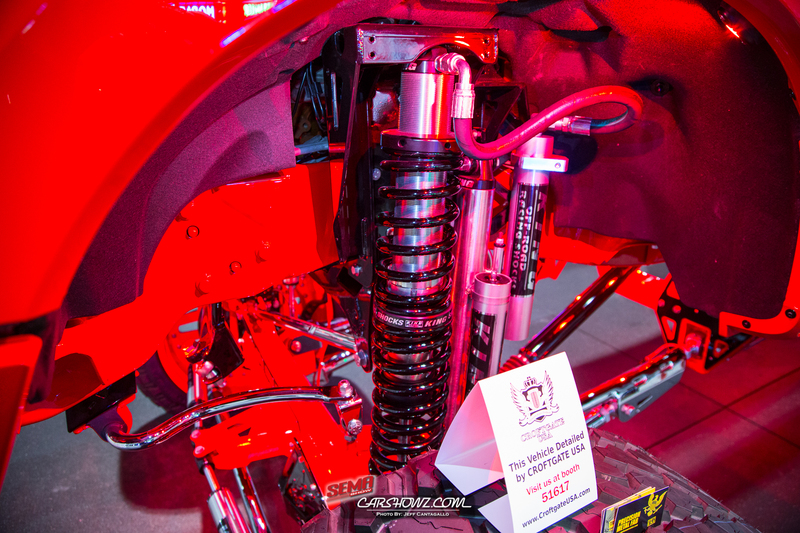 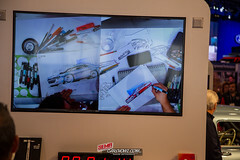 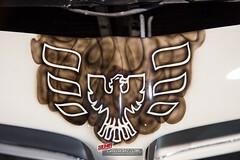 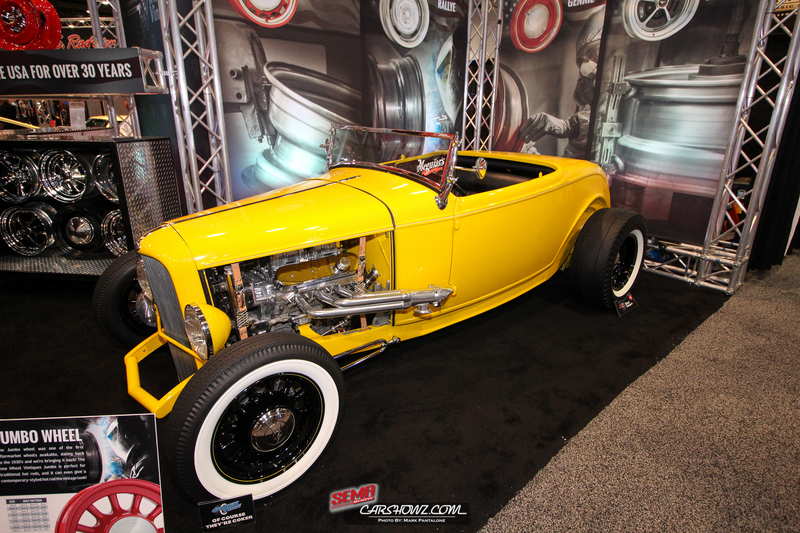 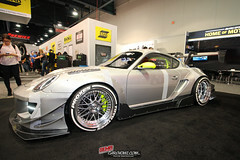 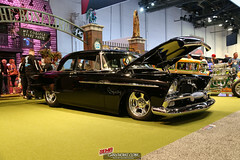 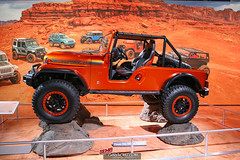 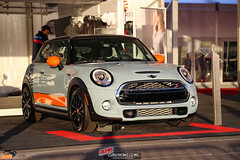 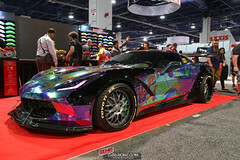 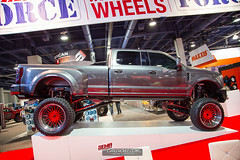 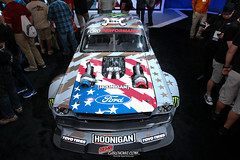 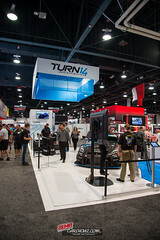 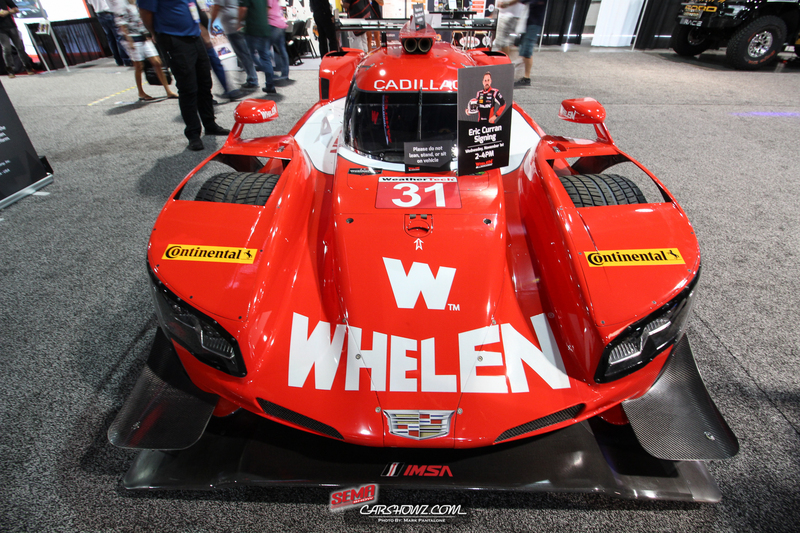 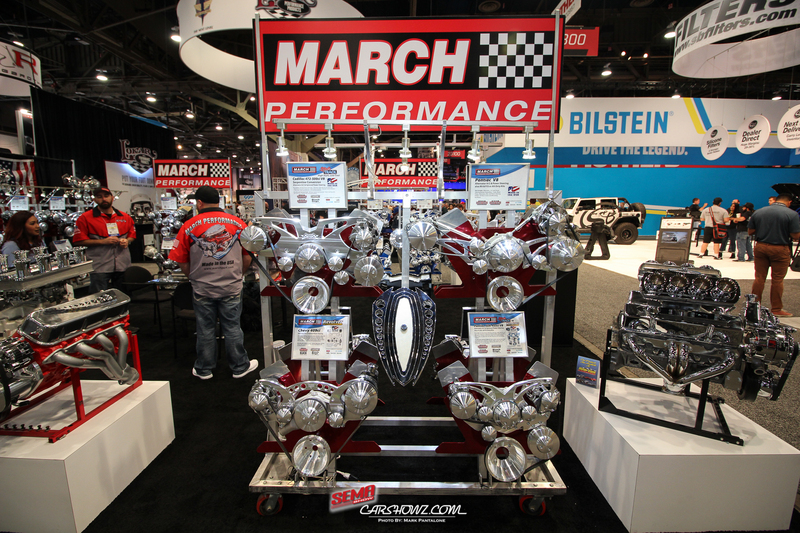 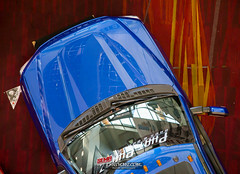 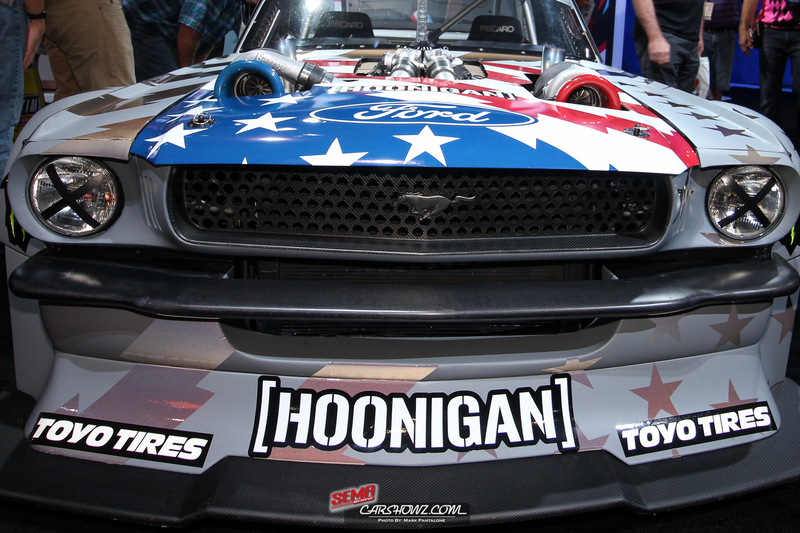 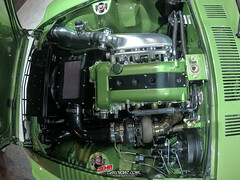 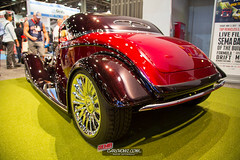 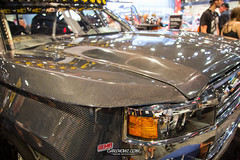 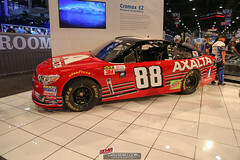 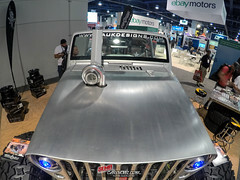 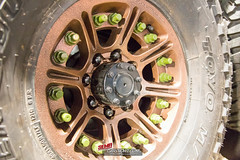 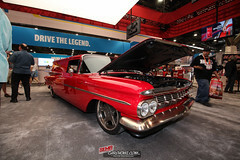 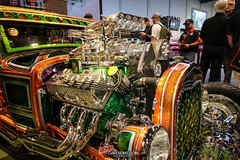 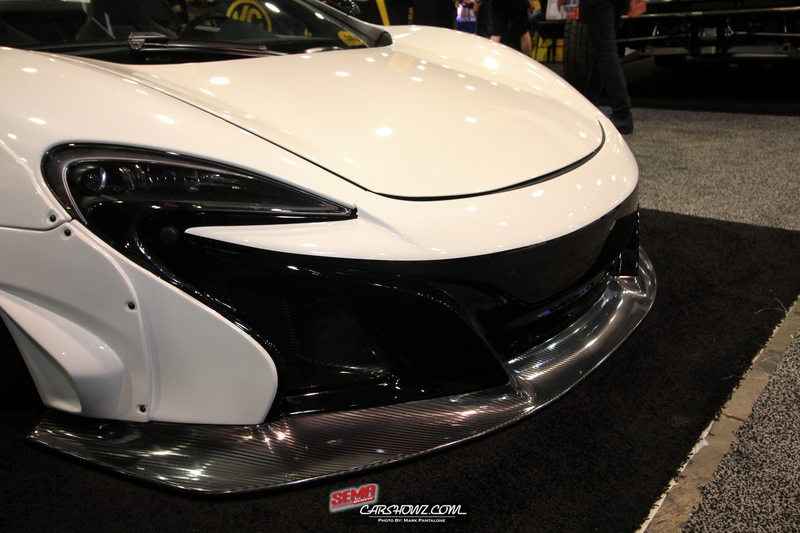 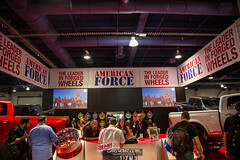 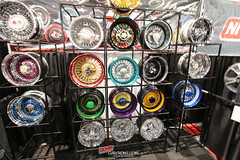 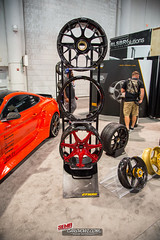 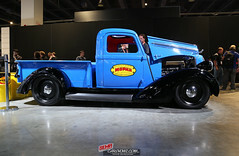 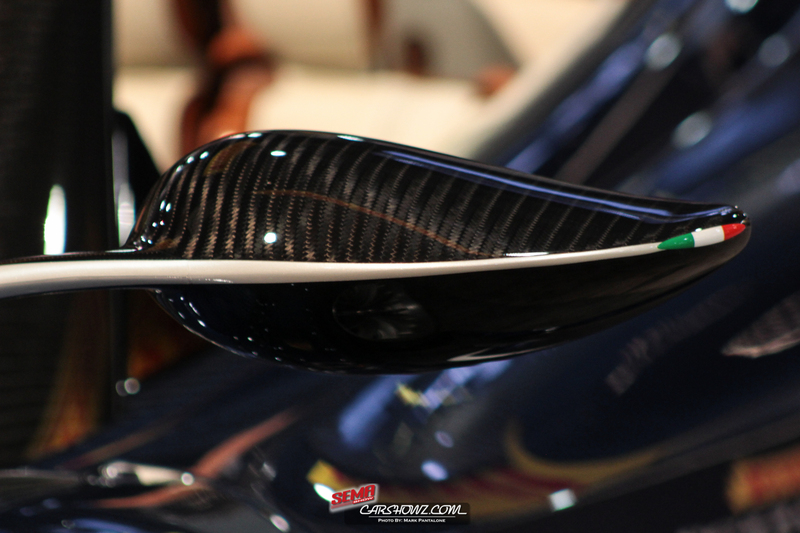 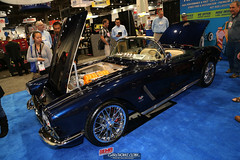 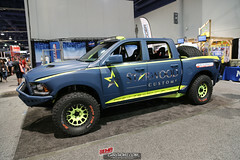 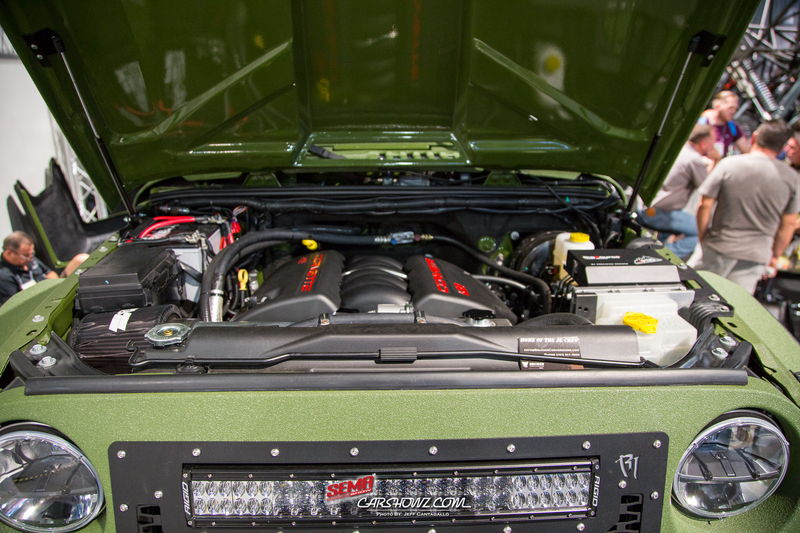 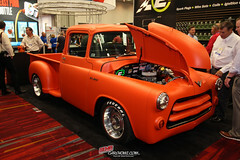 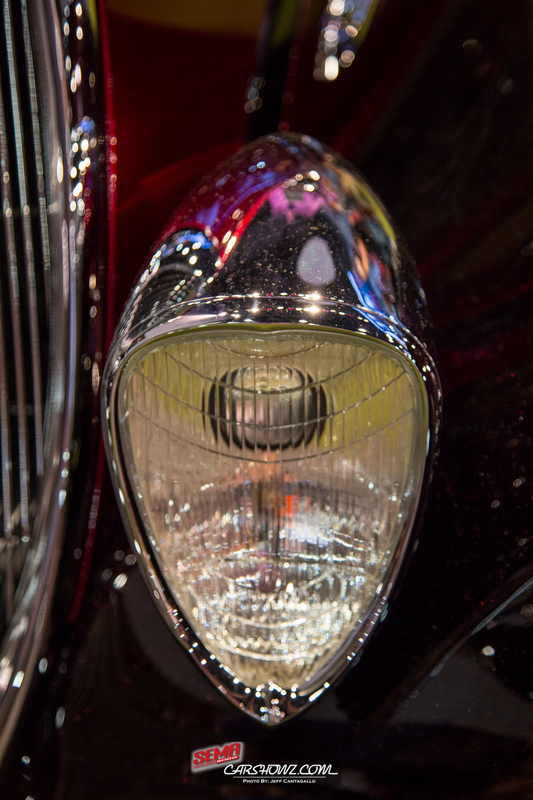 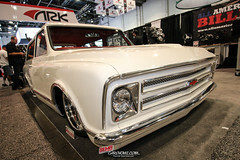 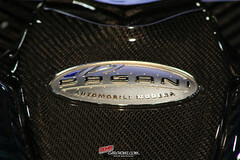 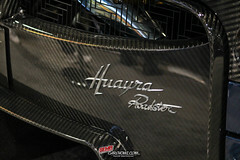 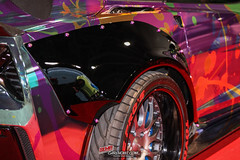 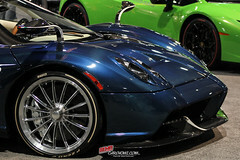 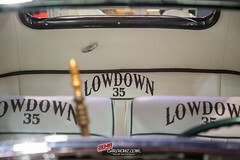 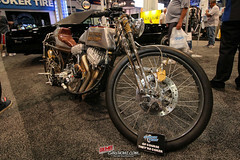 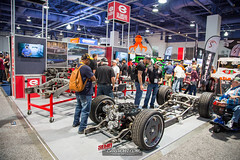 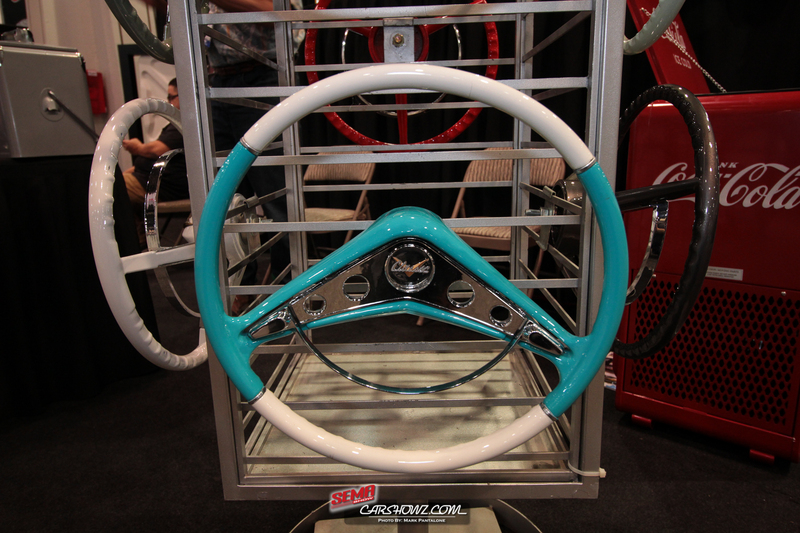 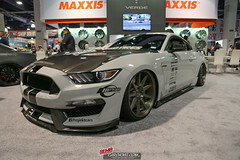 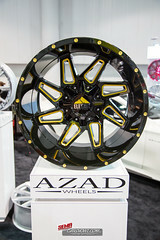 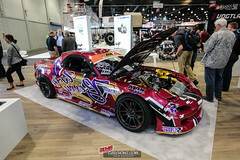 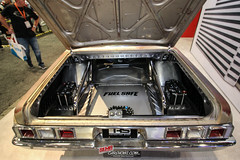 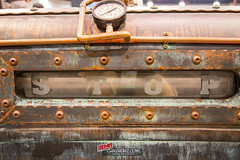 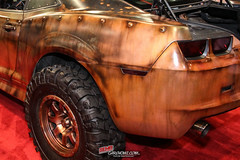 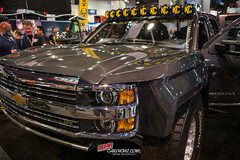 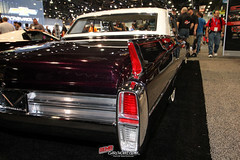 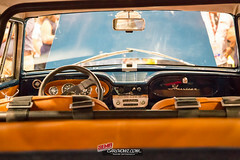 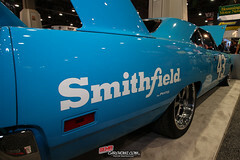 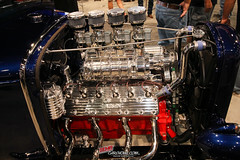 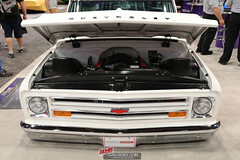 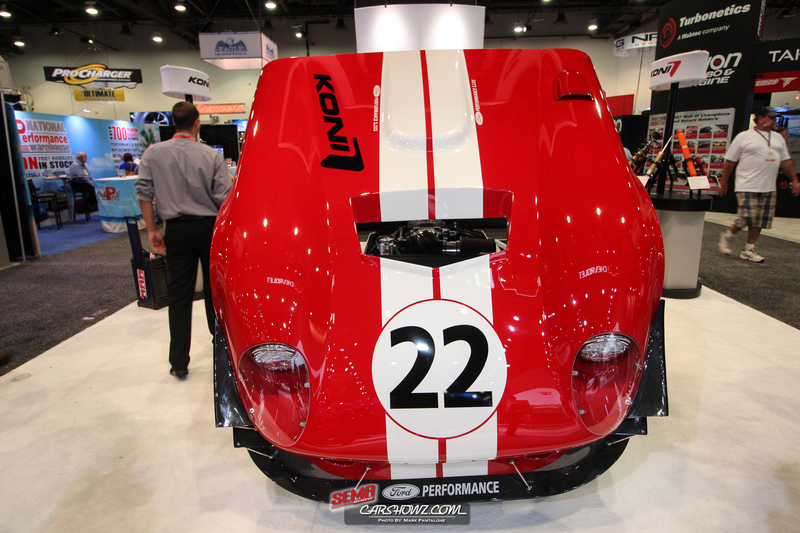 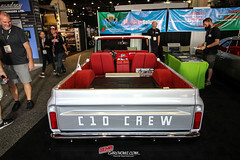 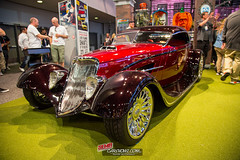 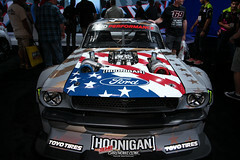 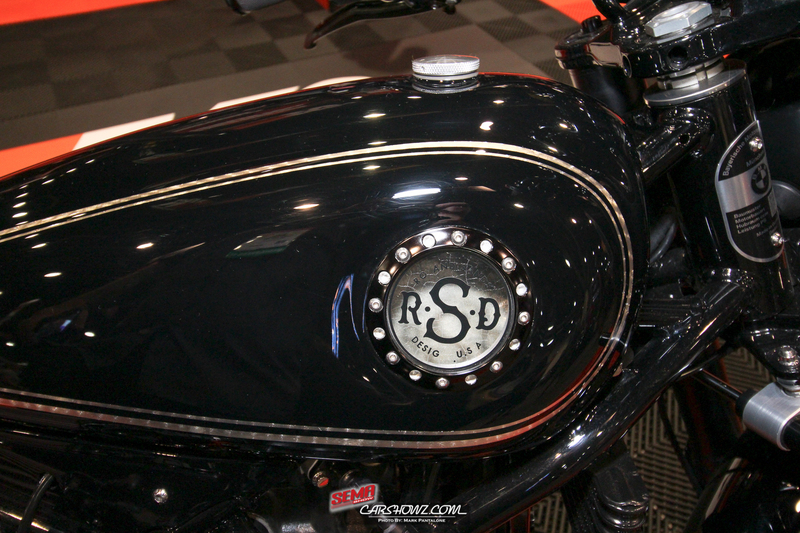 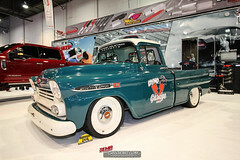 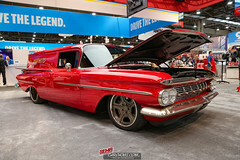 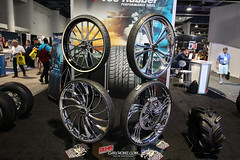 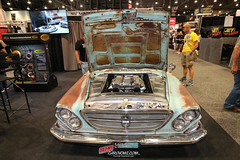 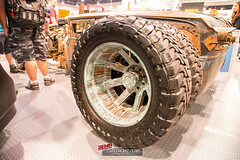 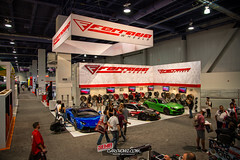 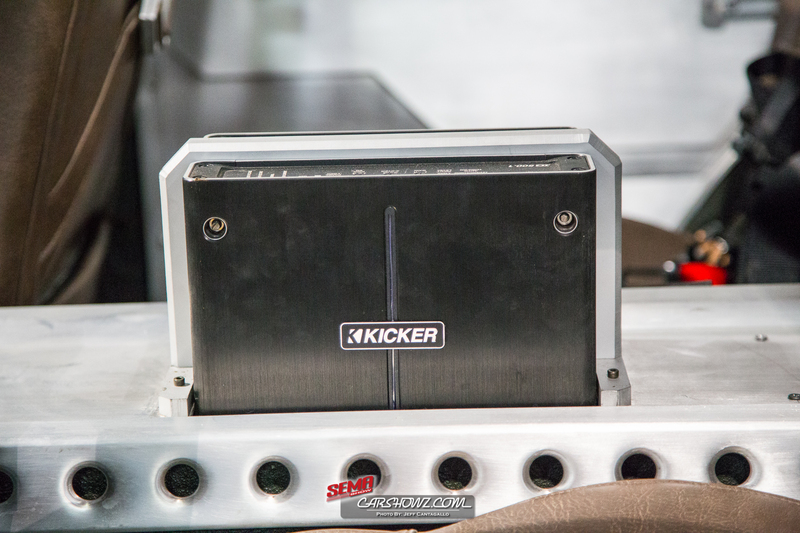 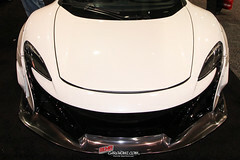 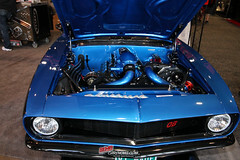 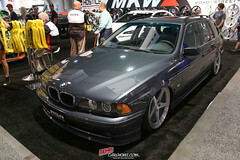 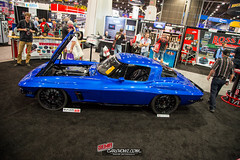 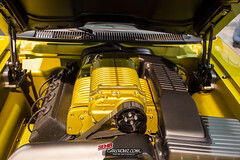 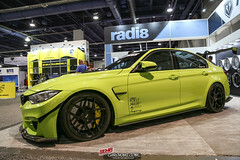 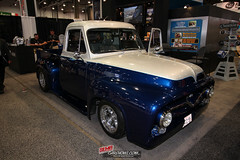 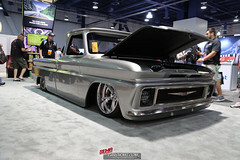 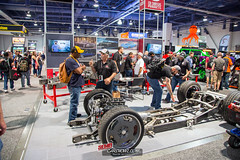 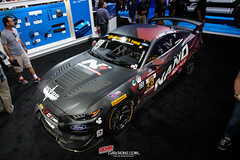 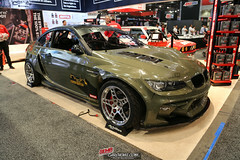 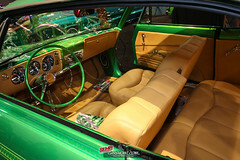 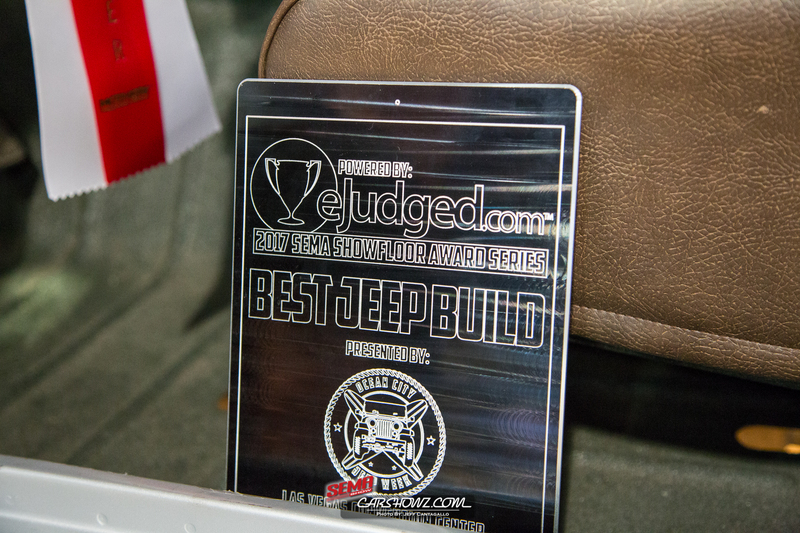 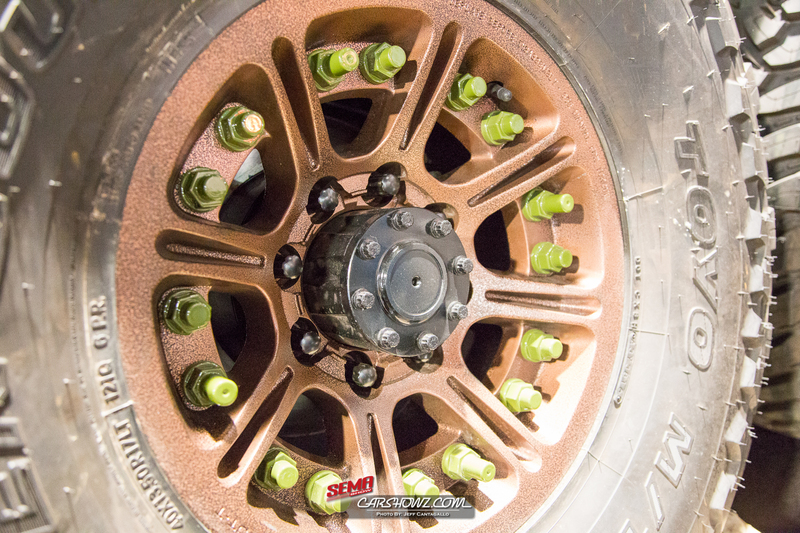 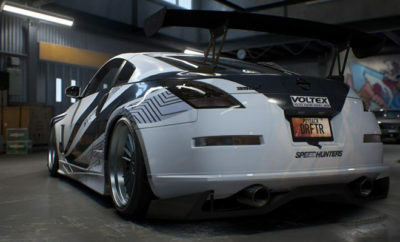 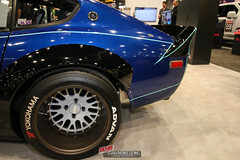 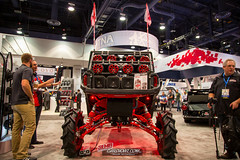 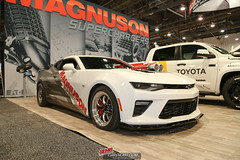 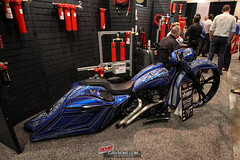 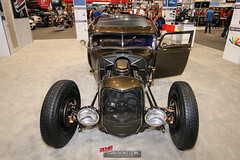 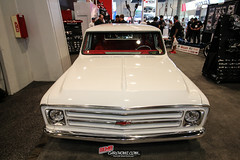 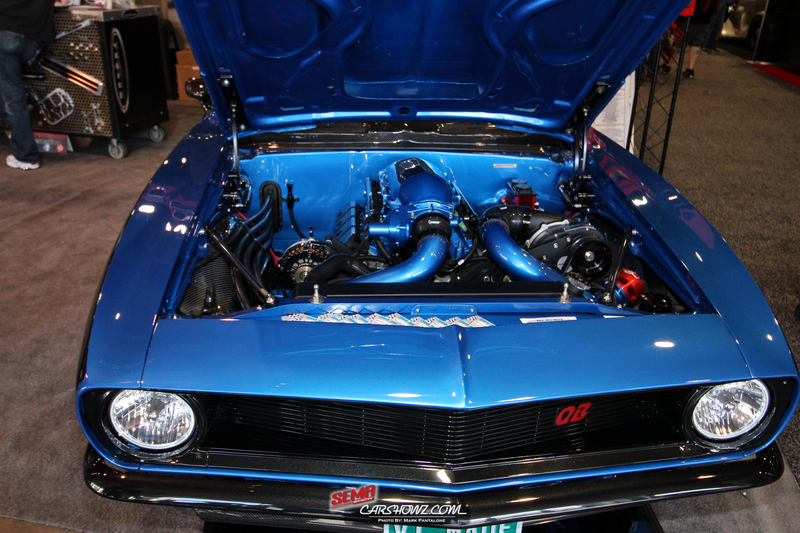 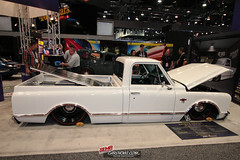 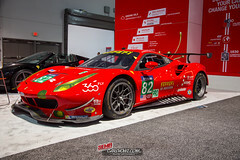 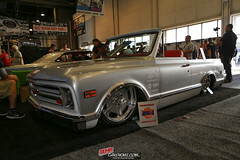 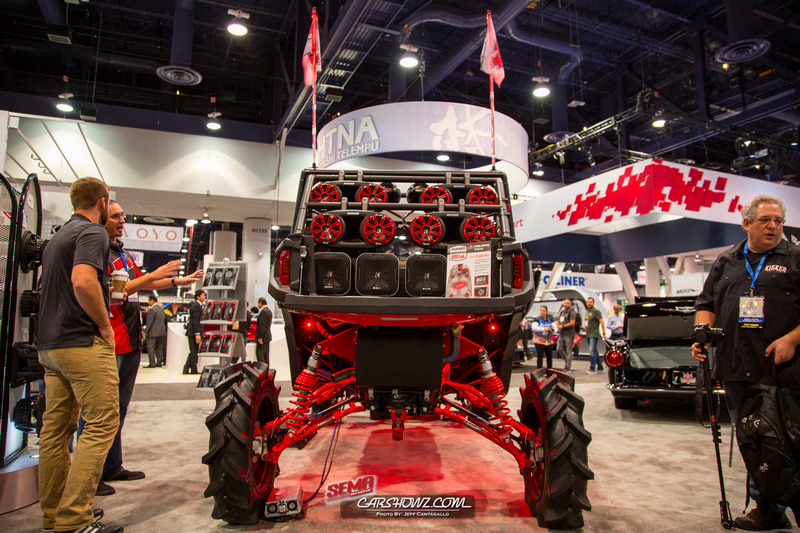 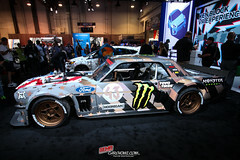 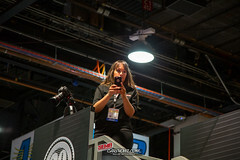 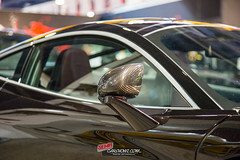 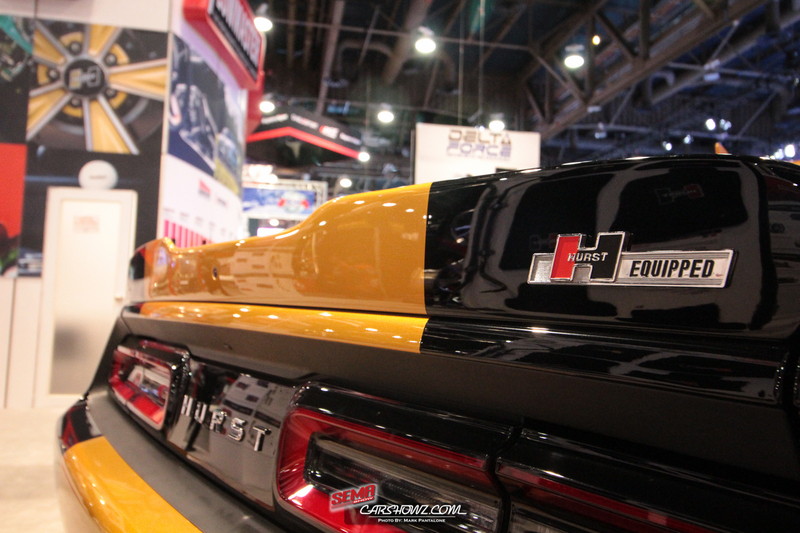 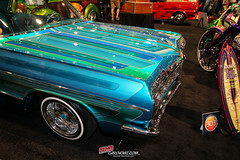 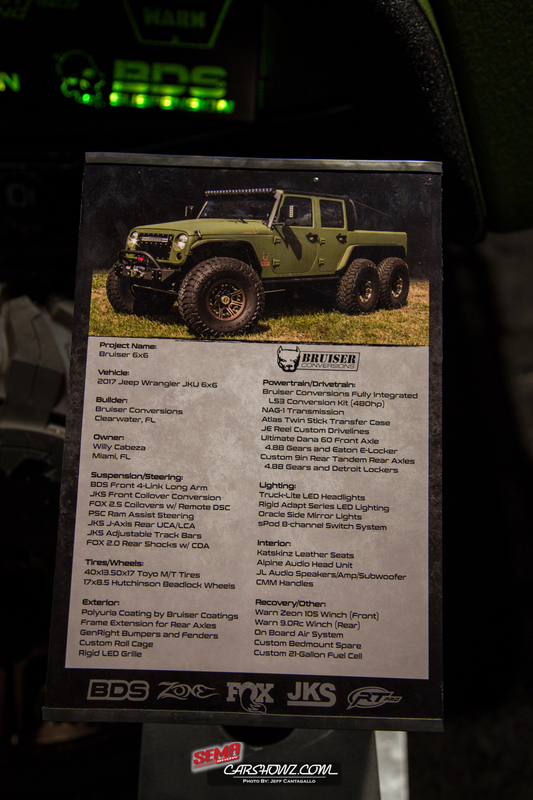 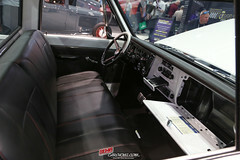 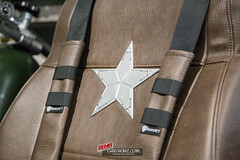 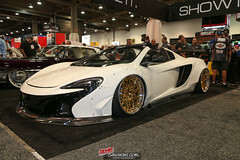 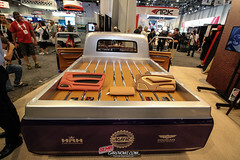 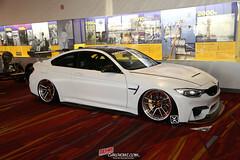 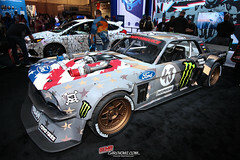 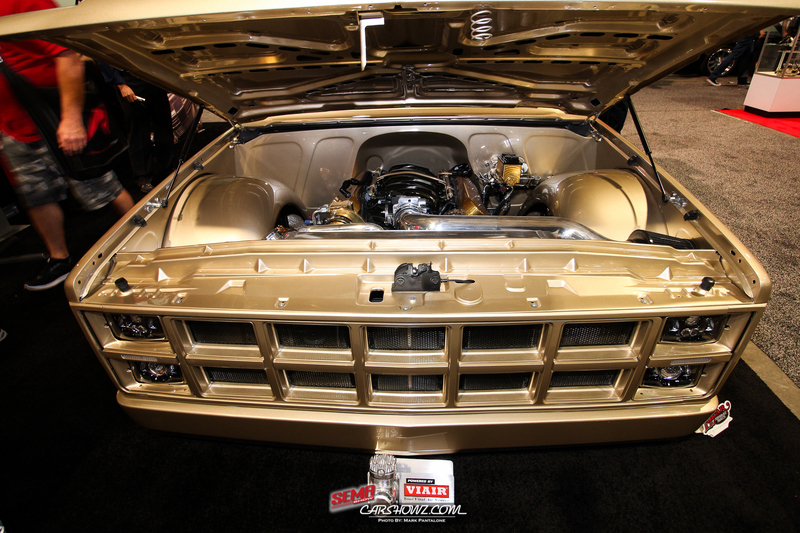 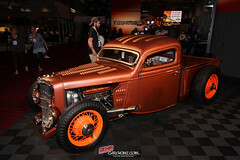 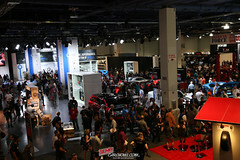 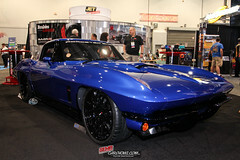 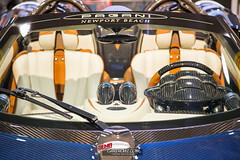 Also stay tuned, we are going to release feature articles of our favorite rides, model features SEMA Ignited and more. 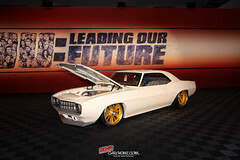 Note: via Mobile, several hundred photos are loading into the gallery. 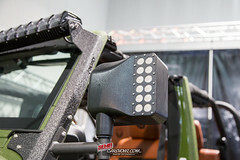 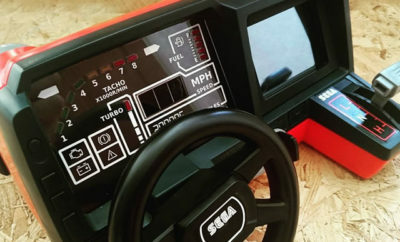 Please give the lightbox navigation a minute to load. 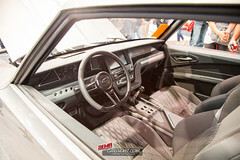 Via desktop computer, you can use the left and right arrow keys to navigate through photos once a photo is selected and you are in the lightbox view. 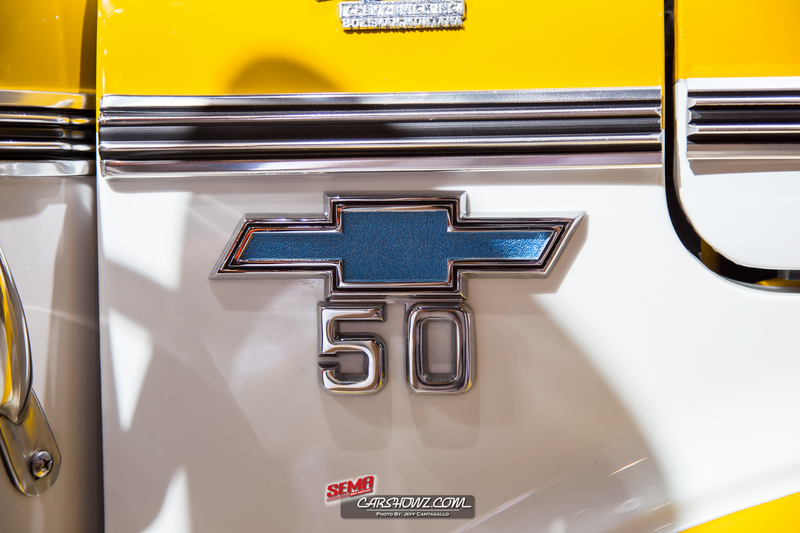 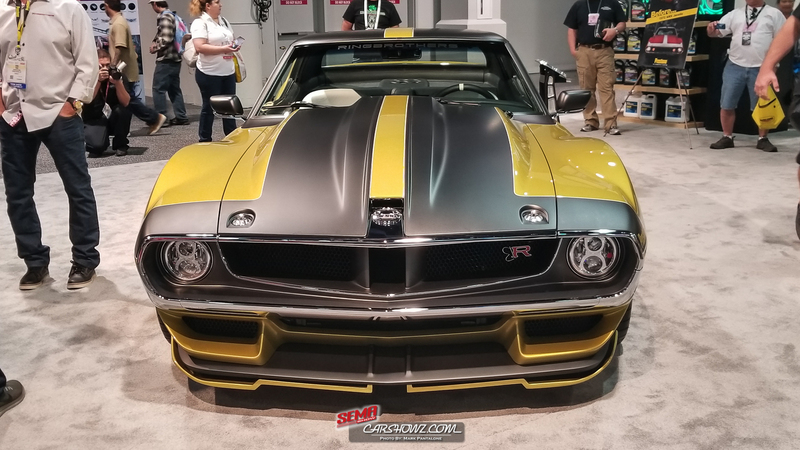 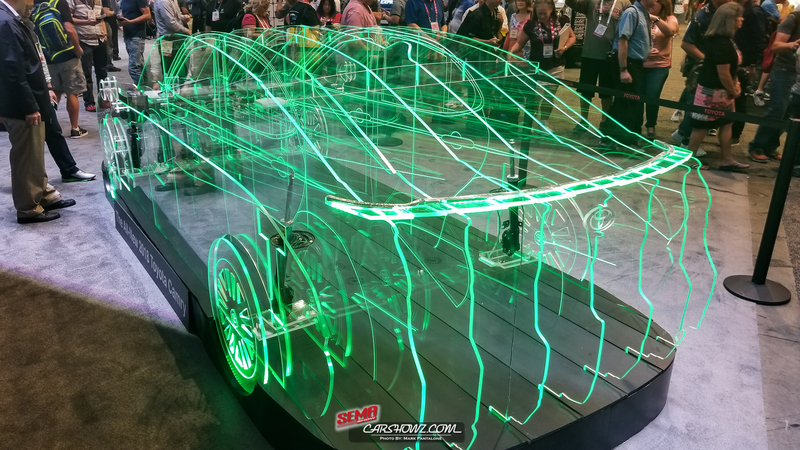 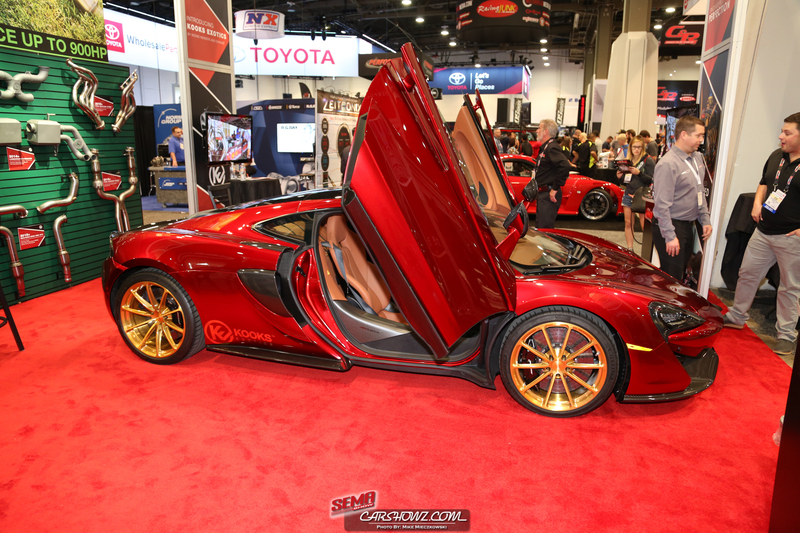 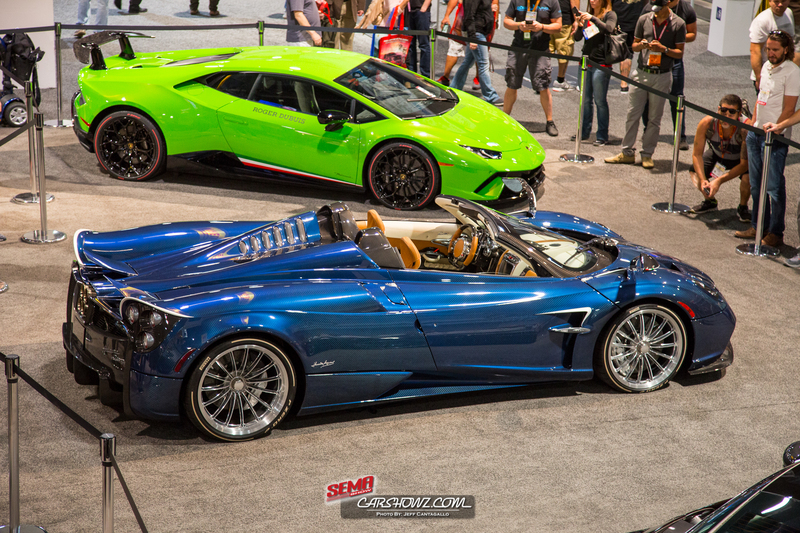 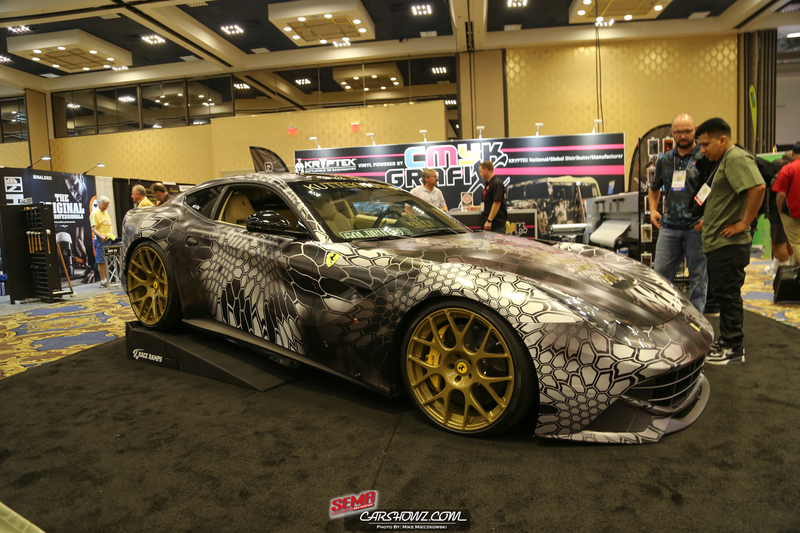 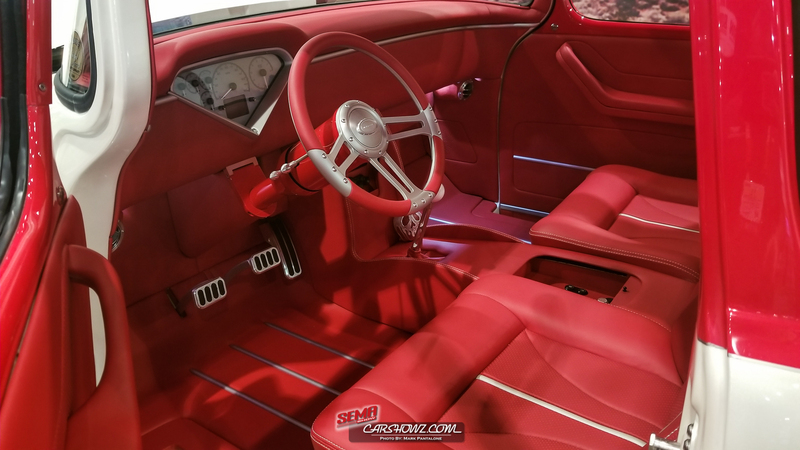 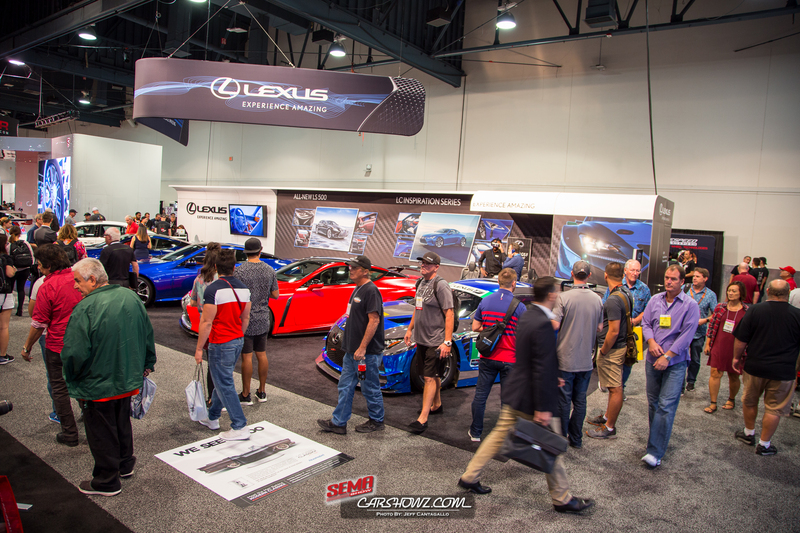 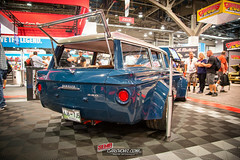 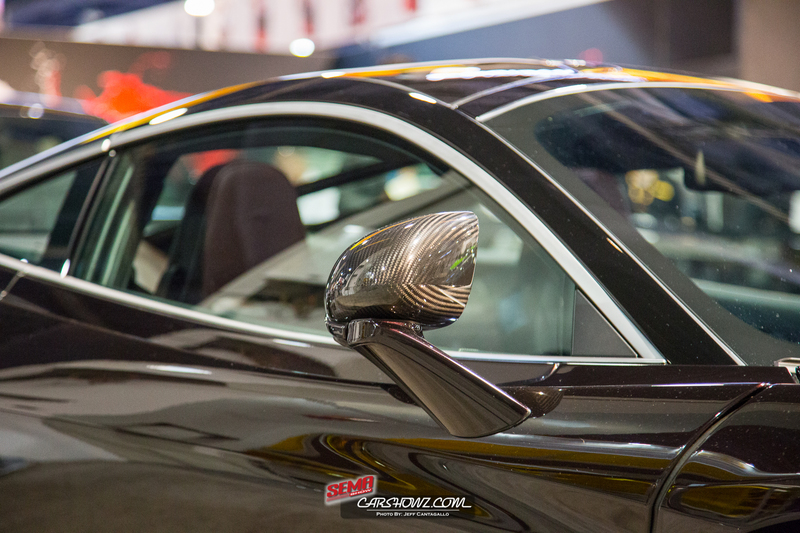 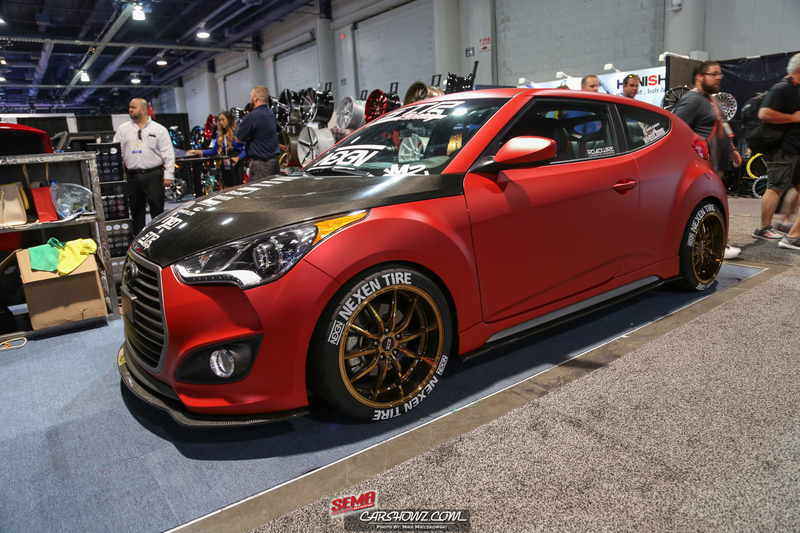 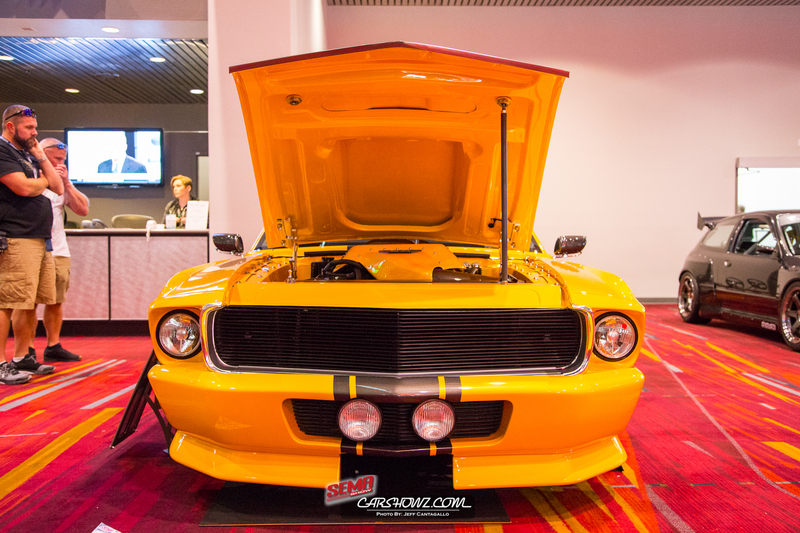 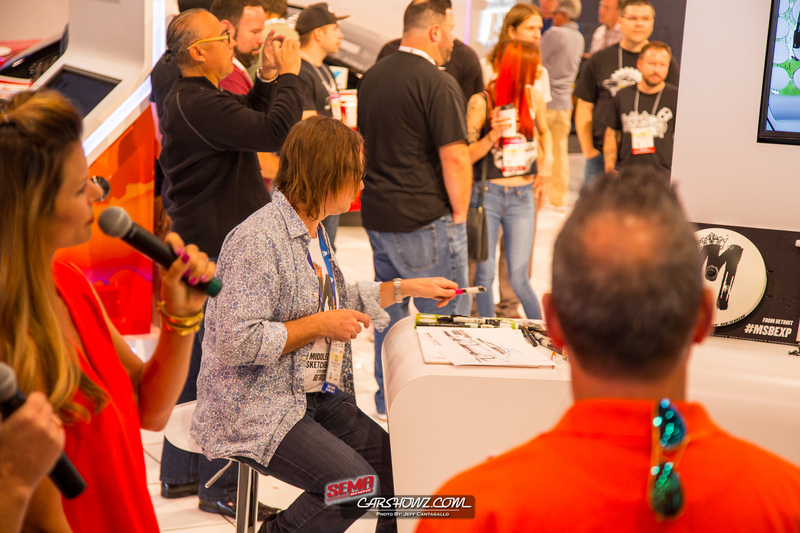 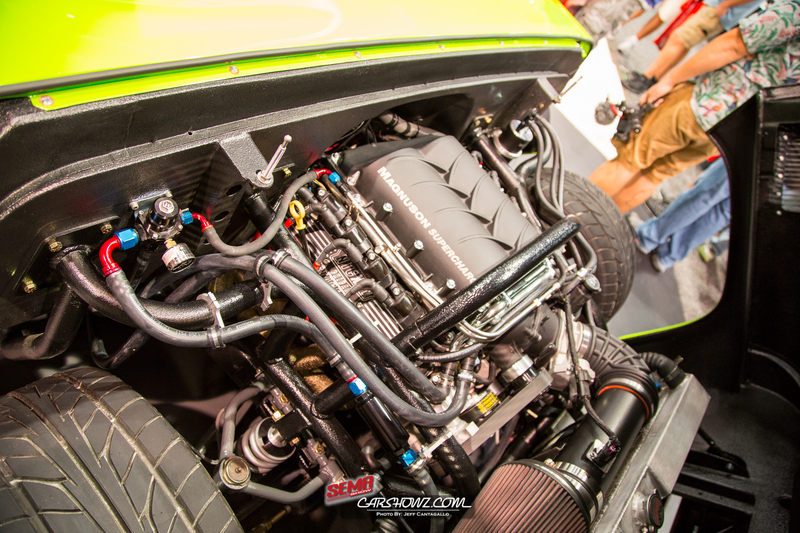 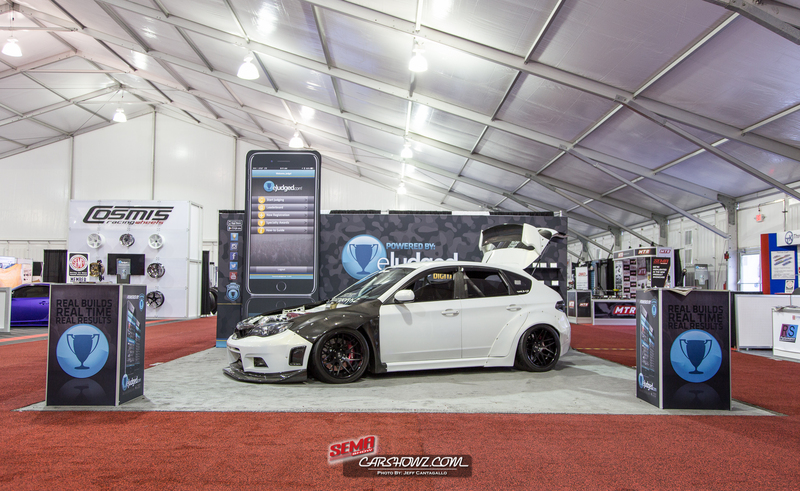 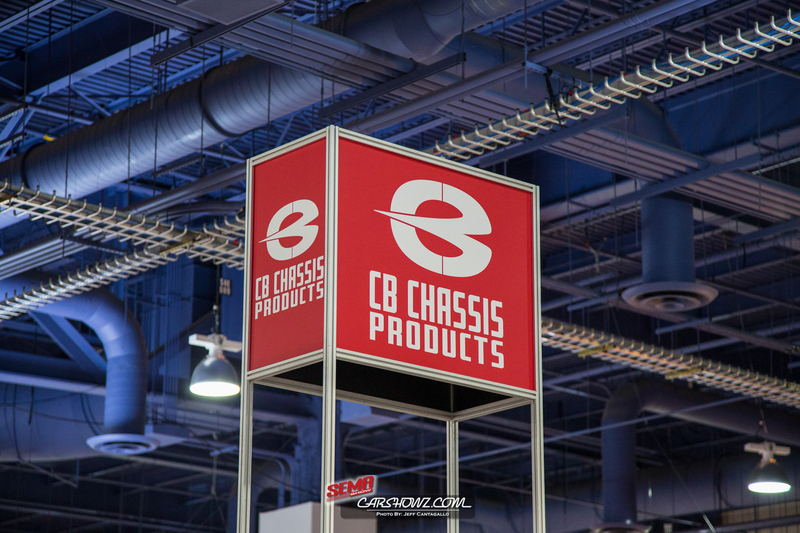 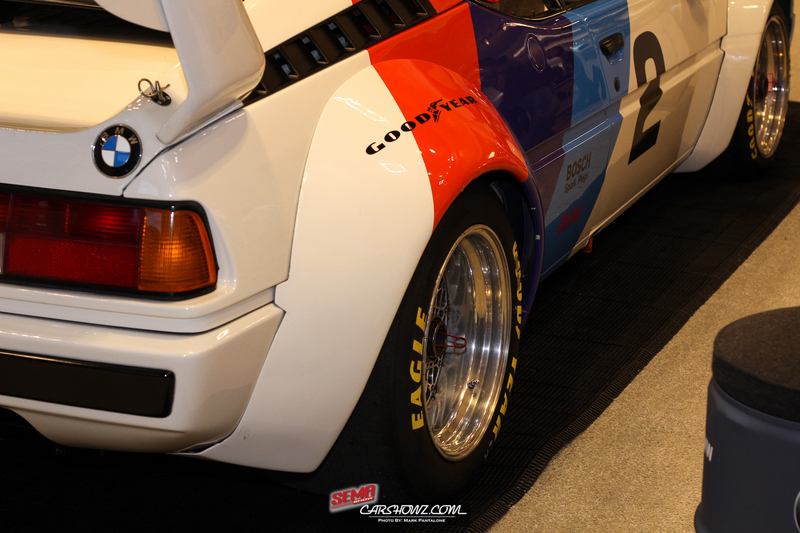 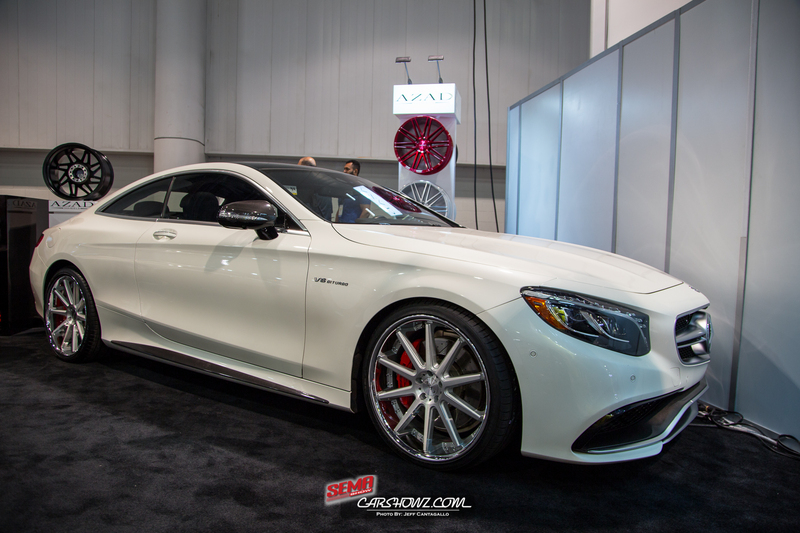 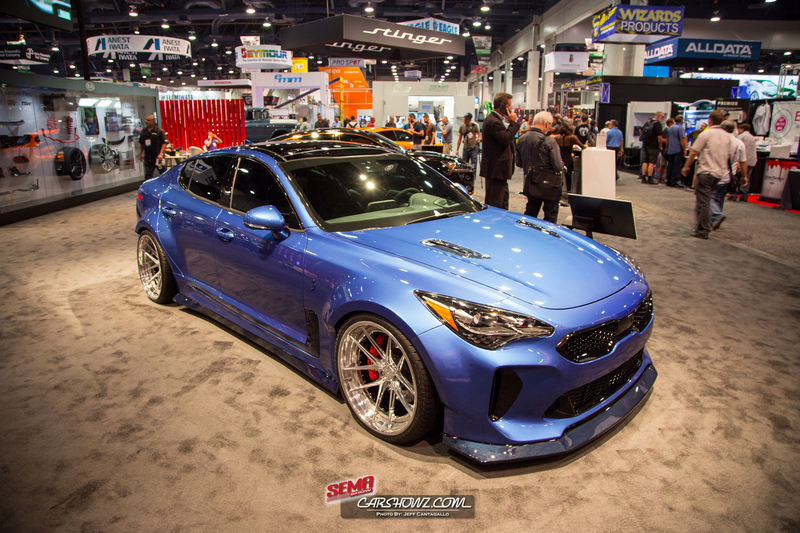 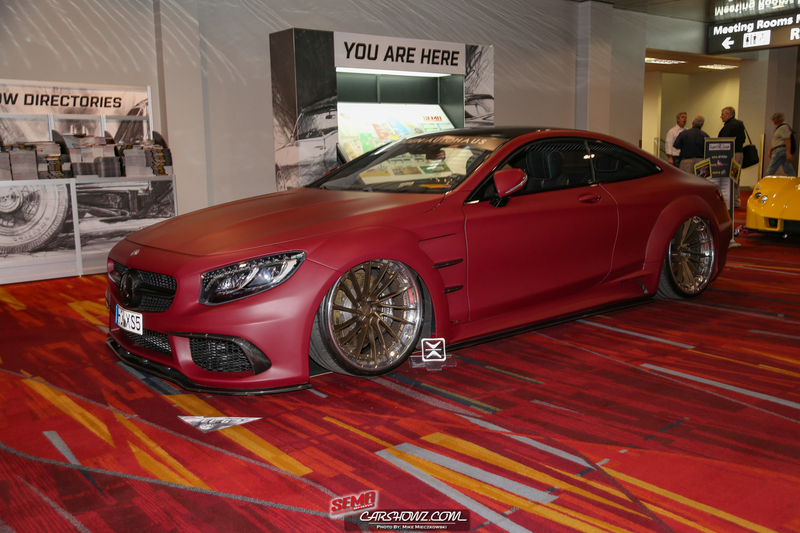 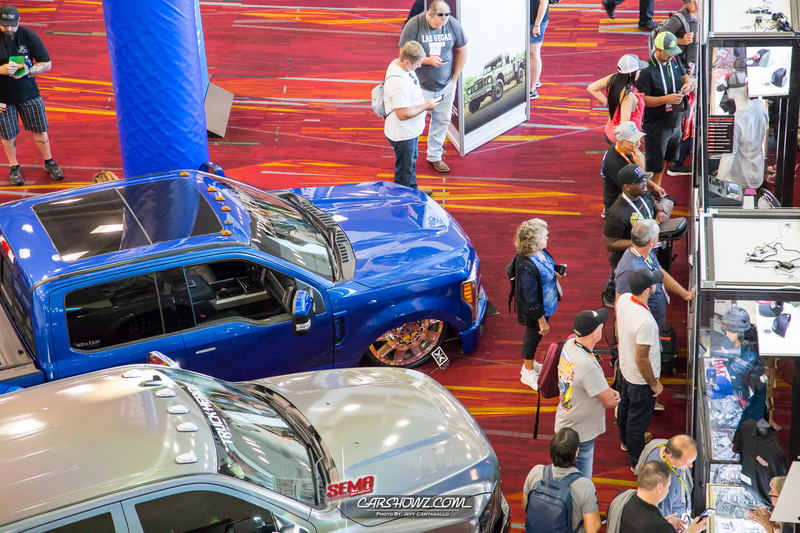 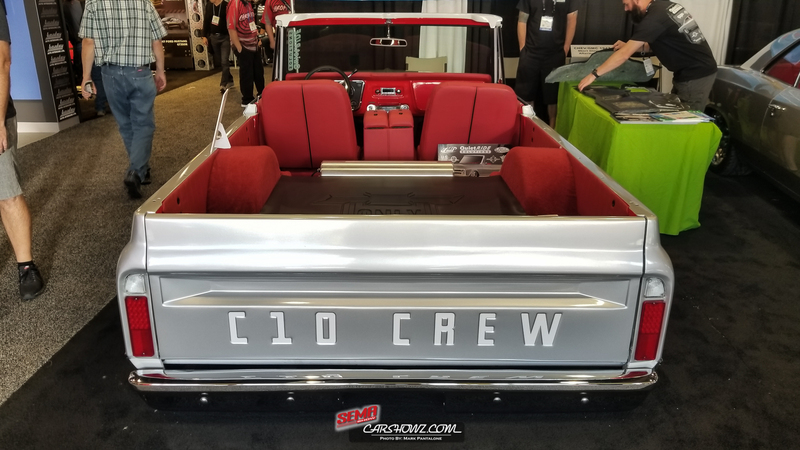 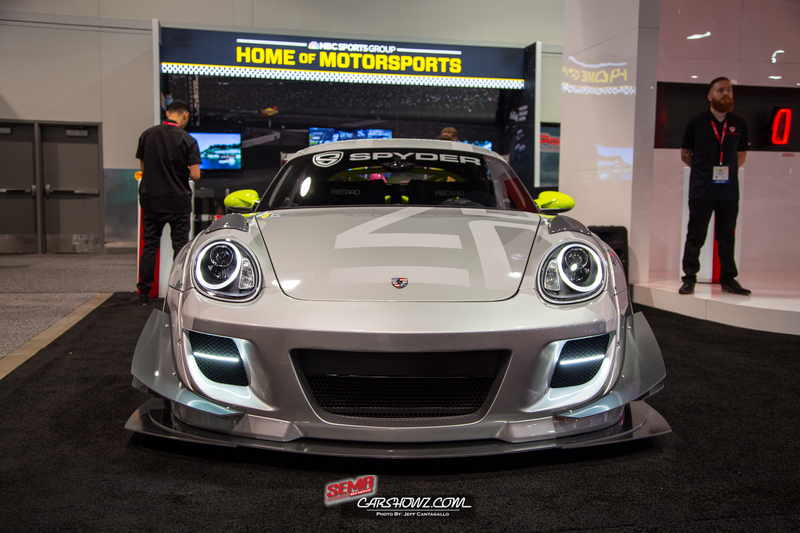 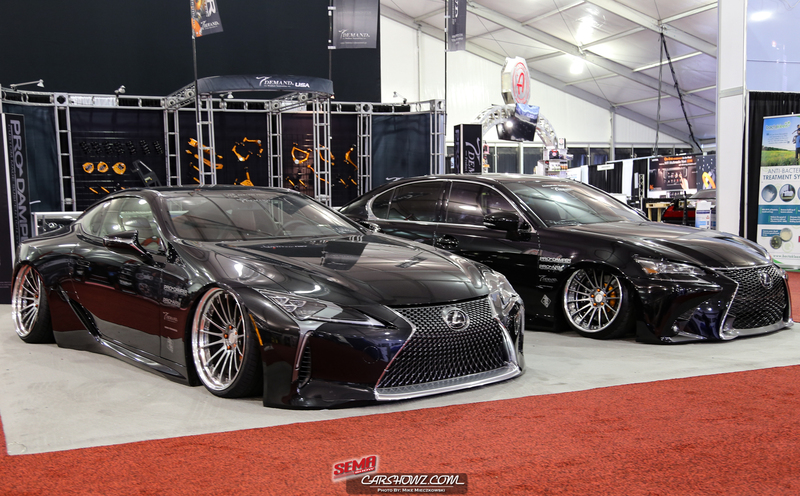 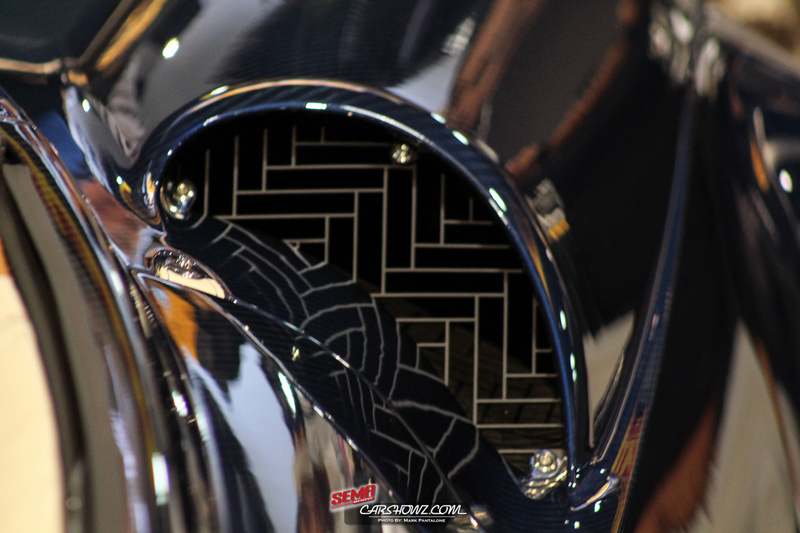 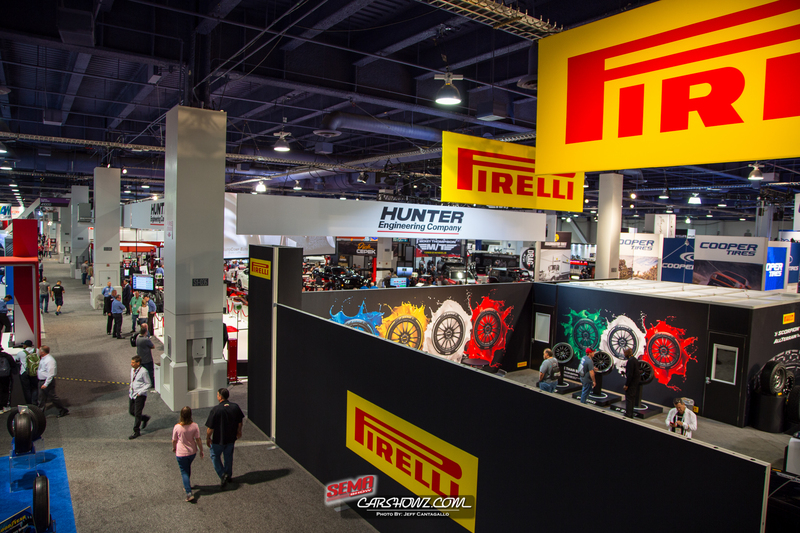 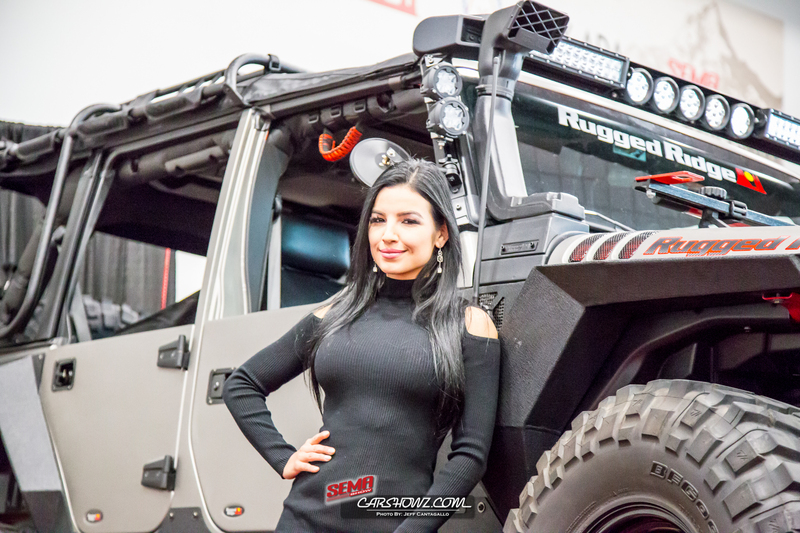 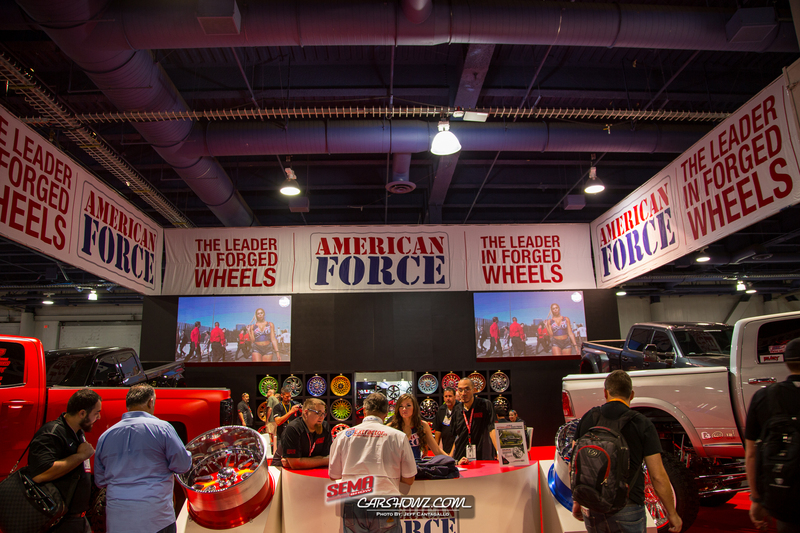 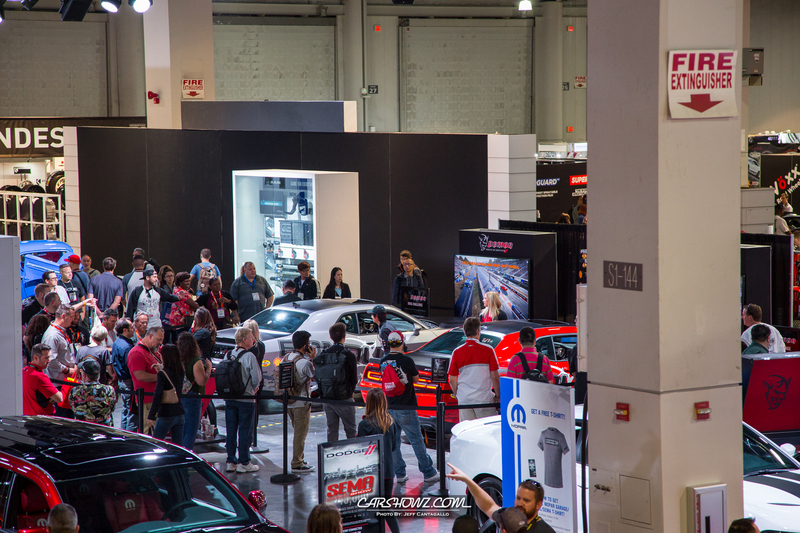 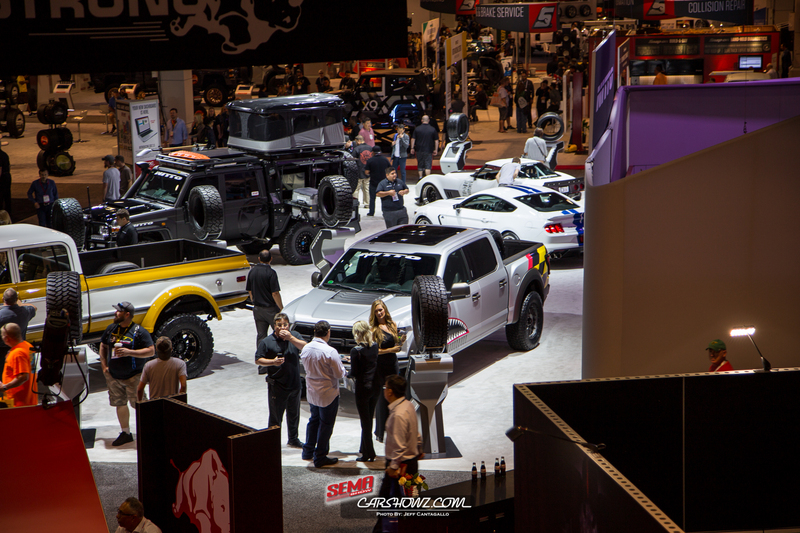 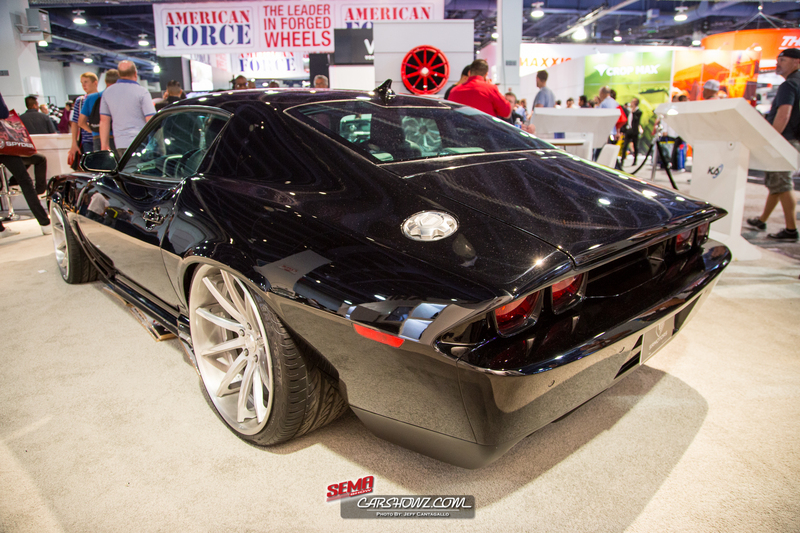 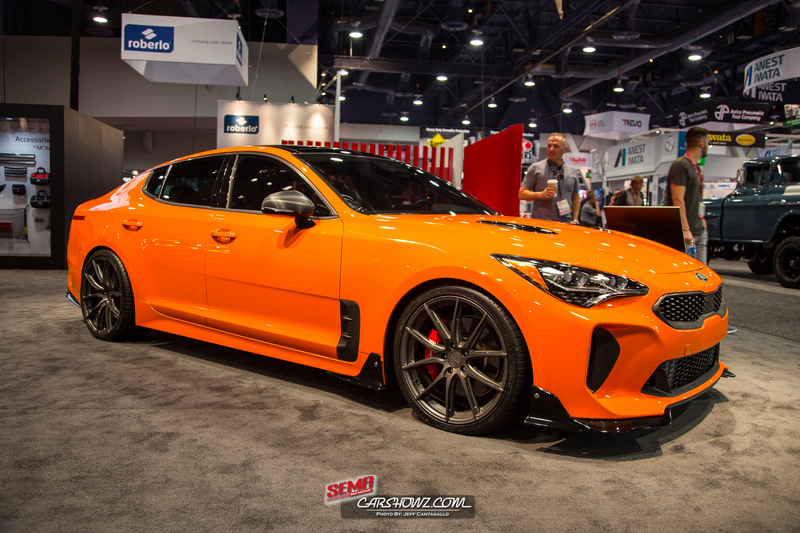 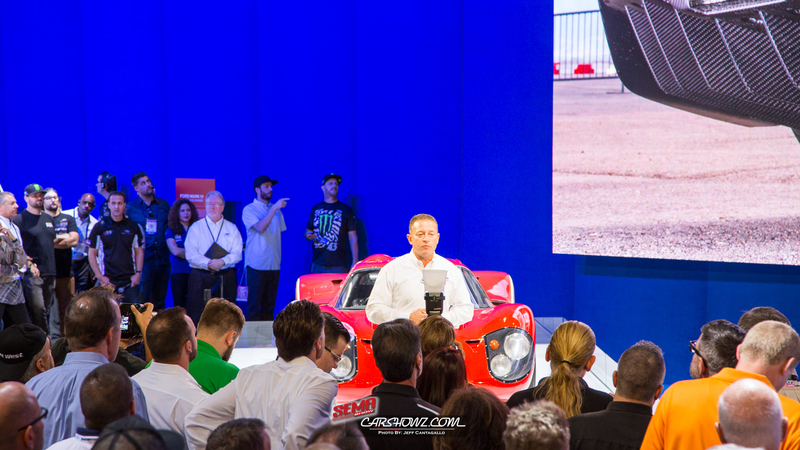 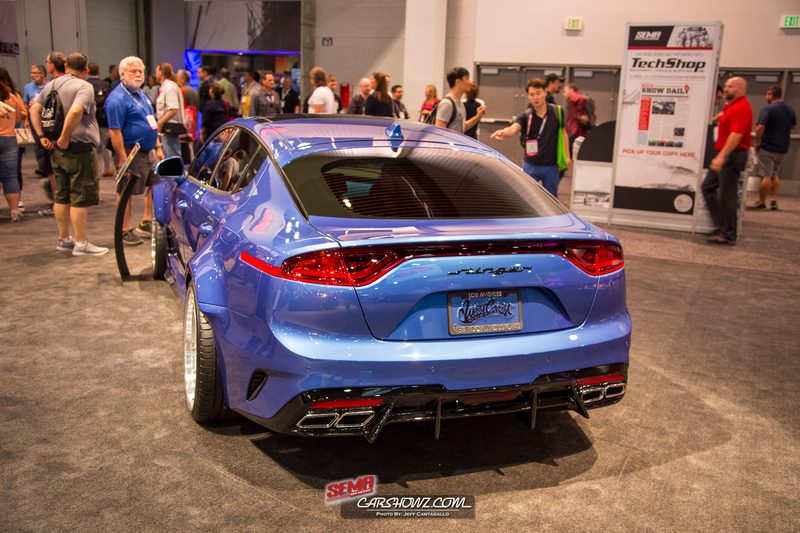 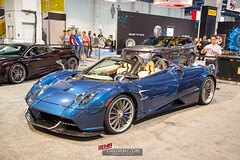 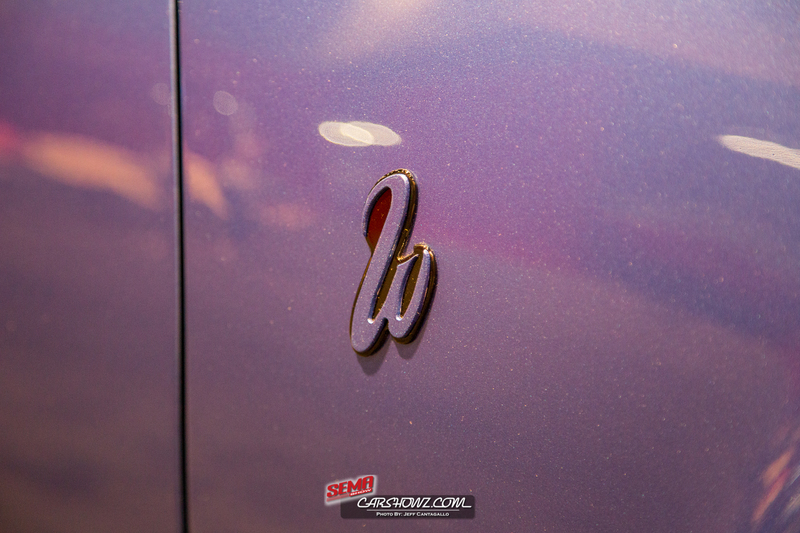 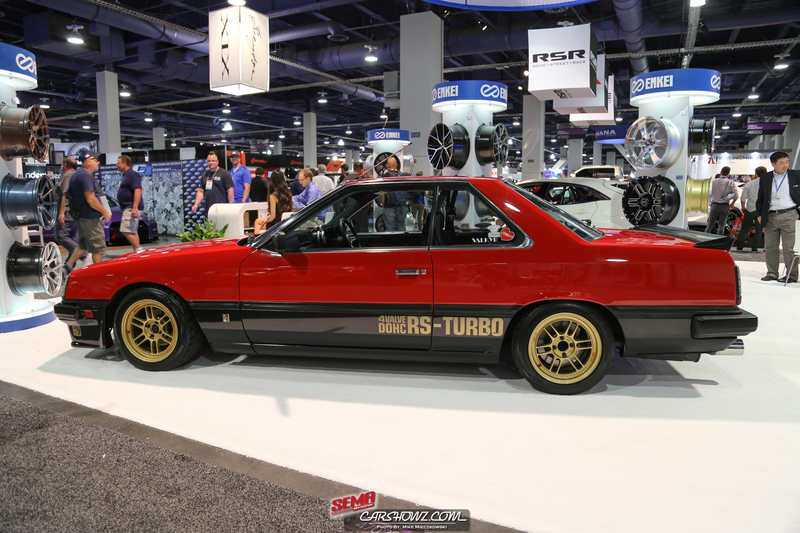 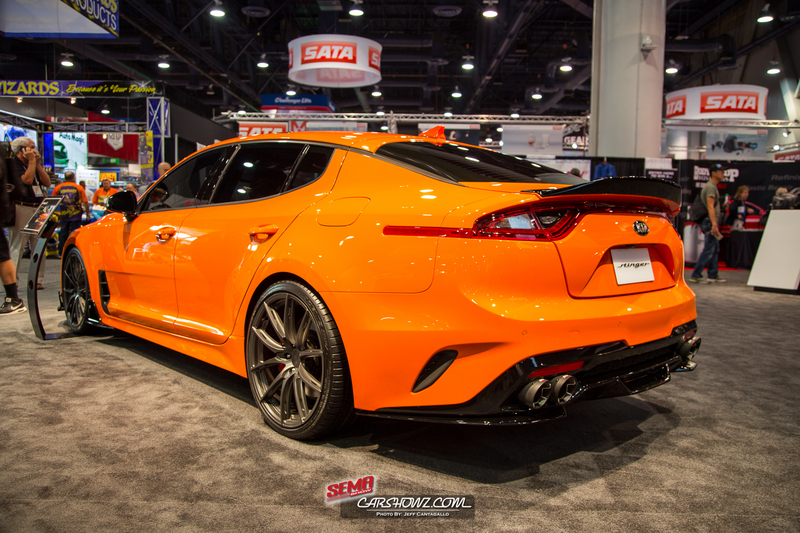 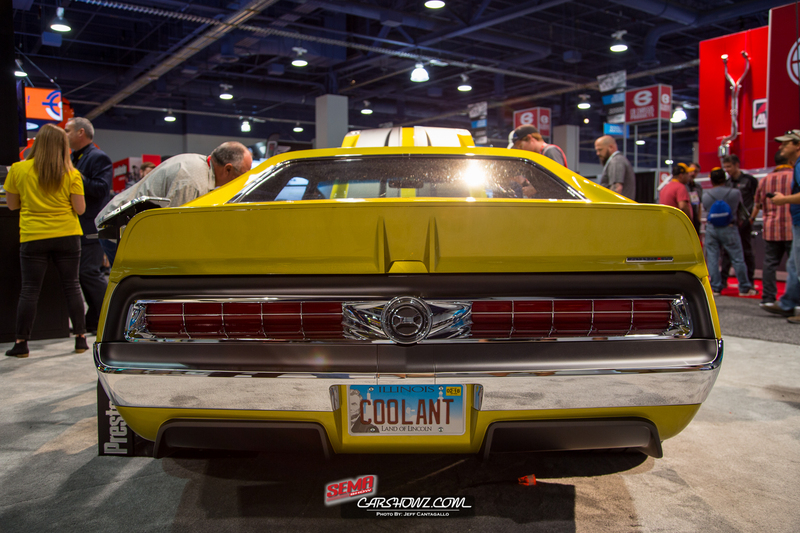 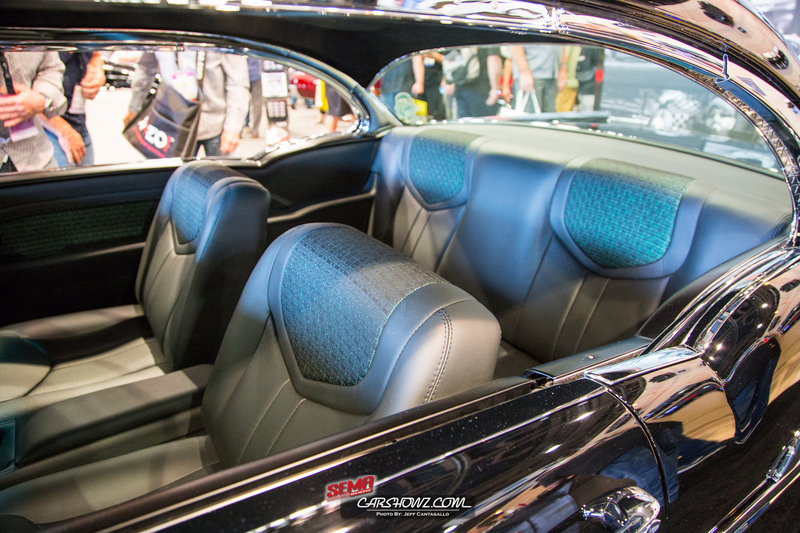 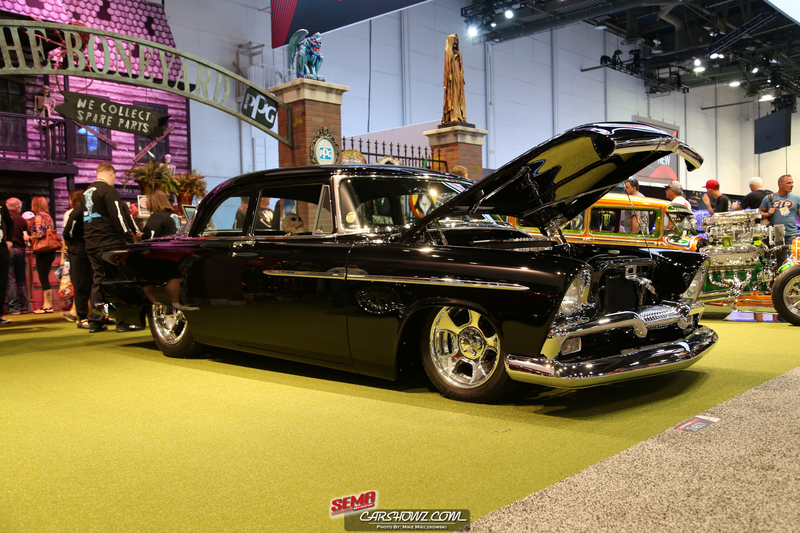 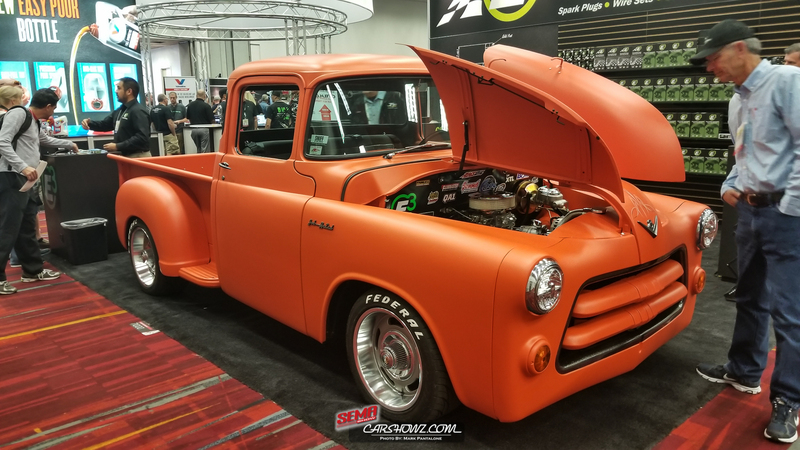 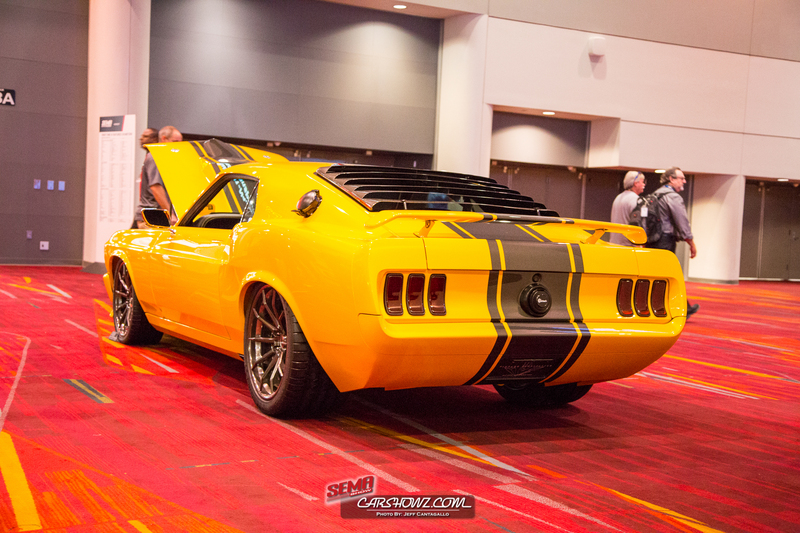 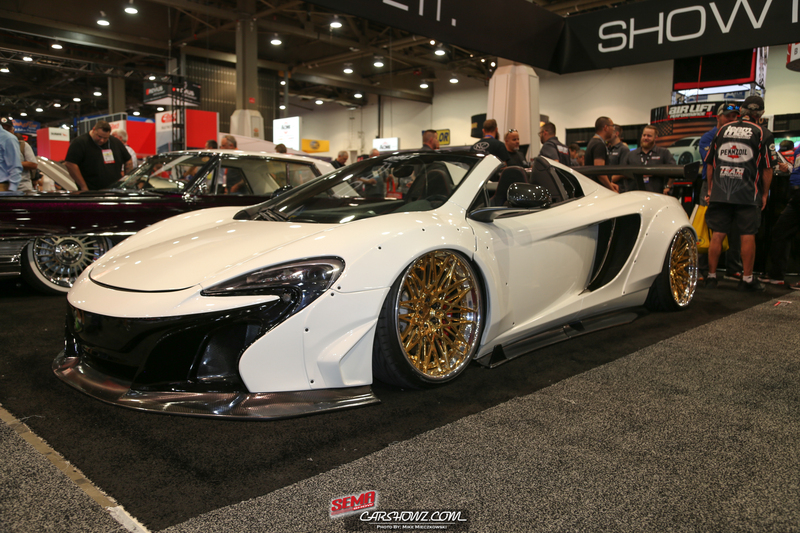 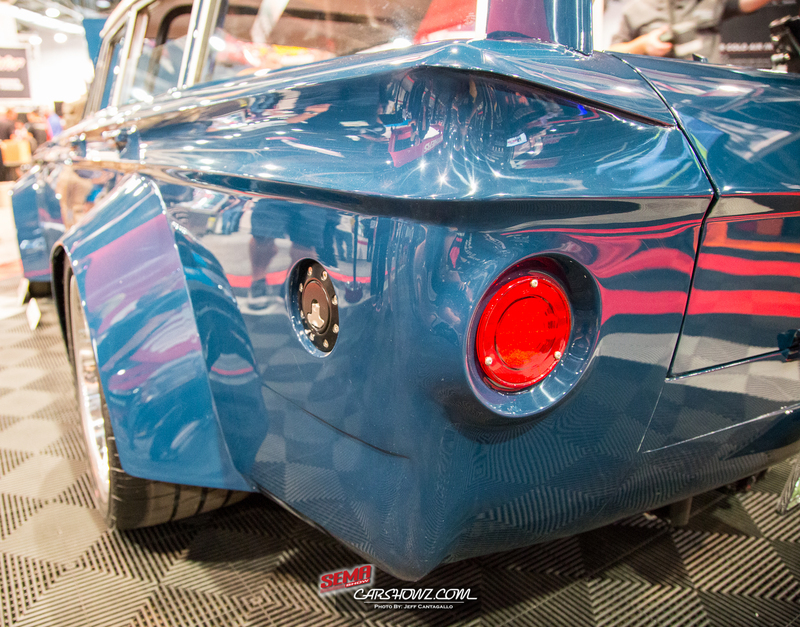 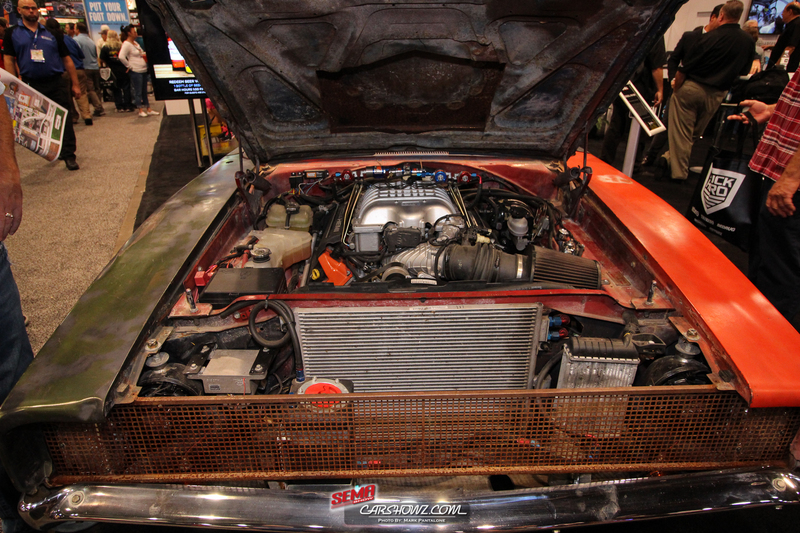 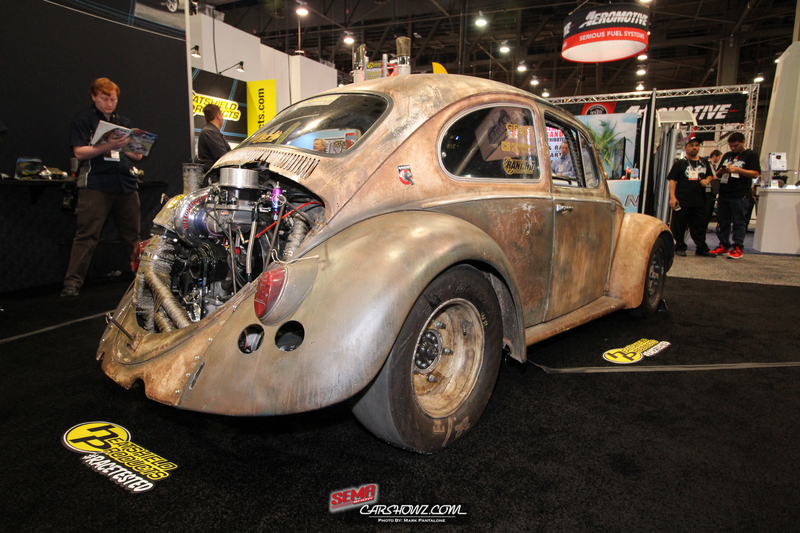 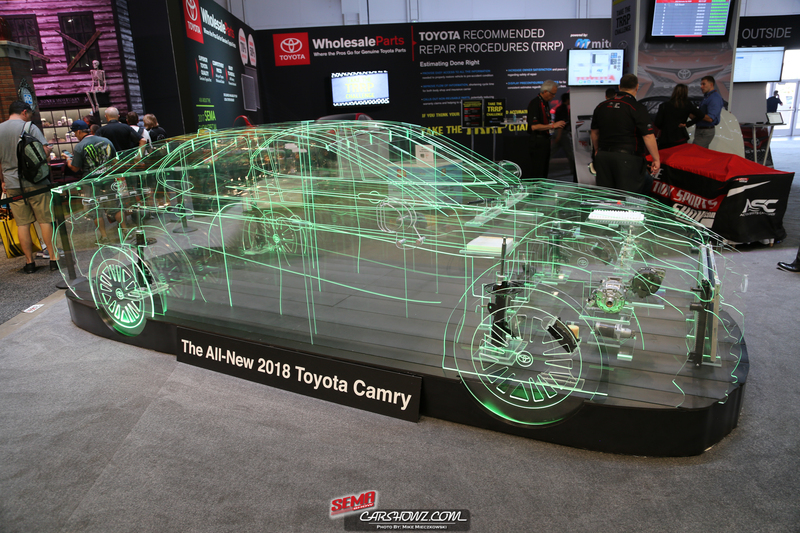 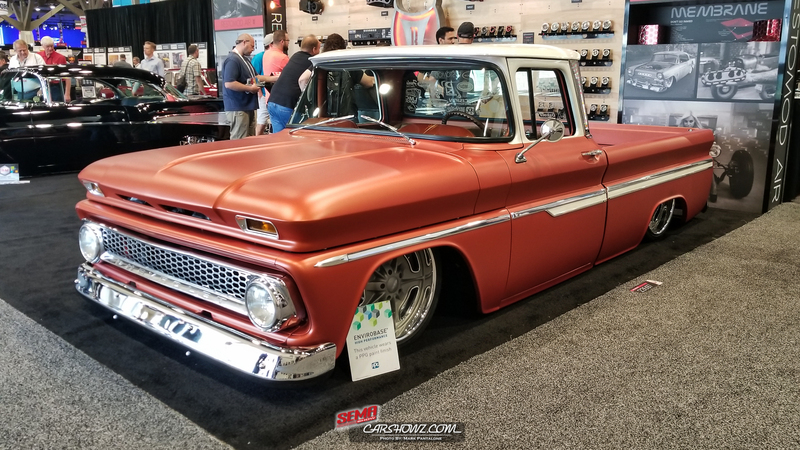 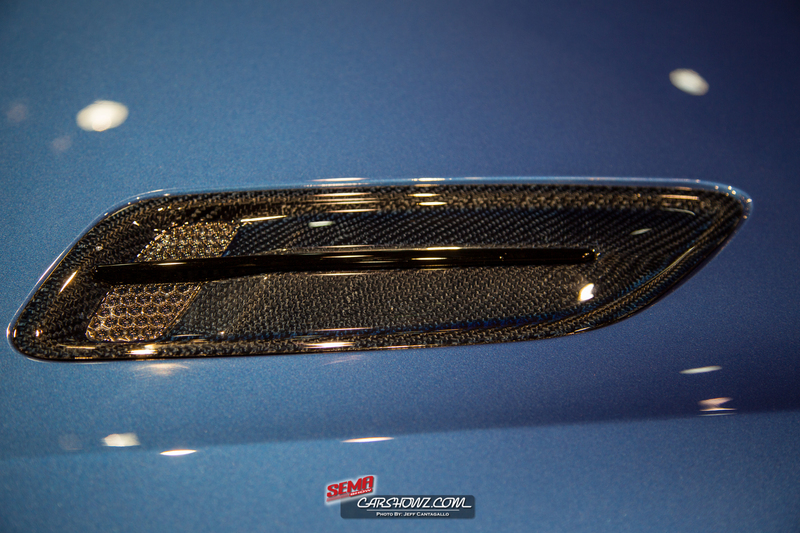 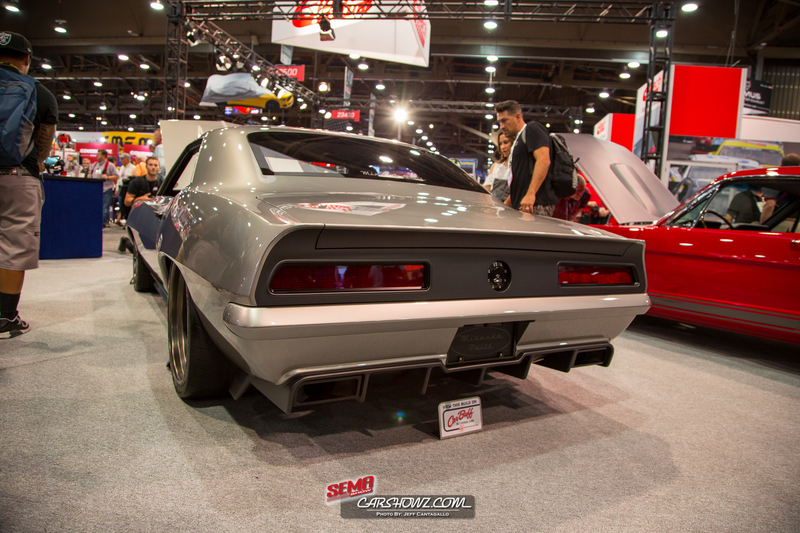 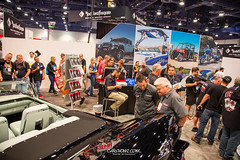 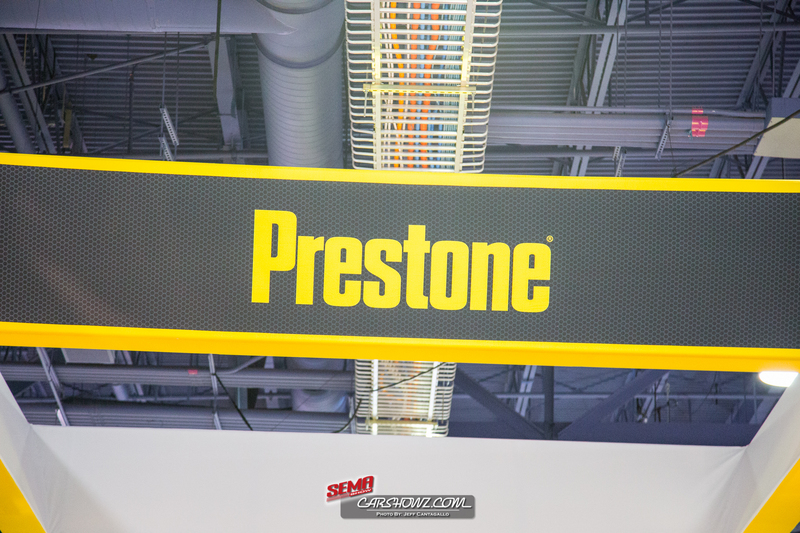 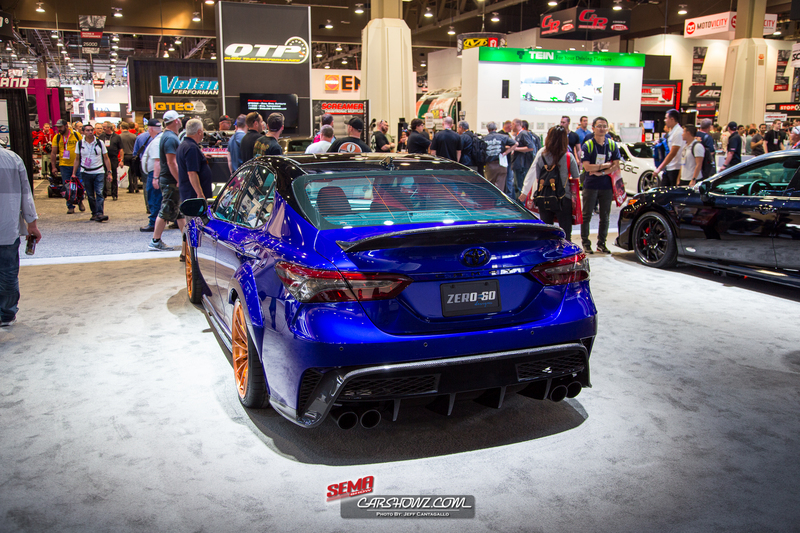 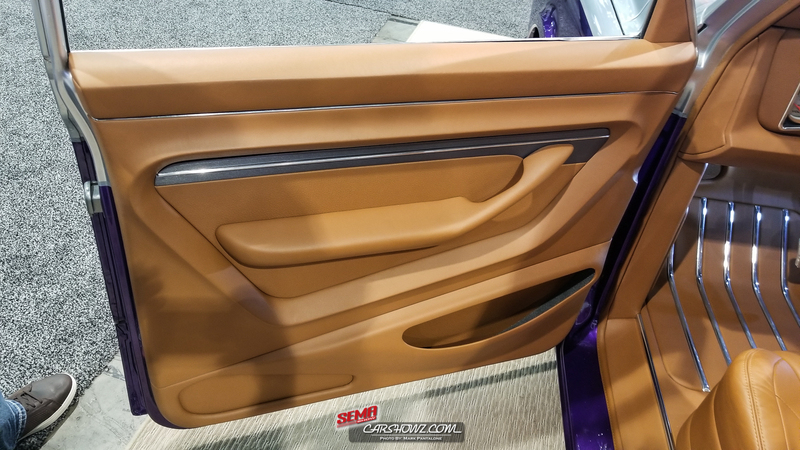 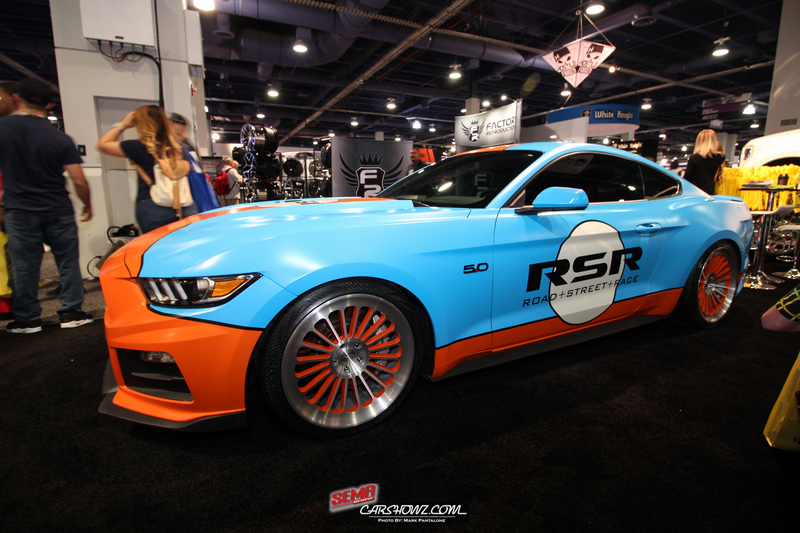 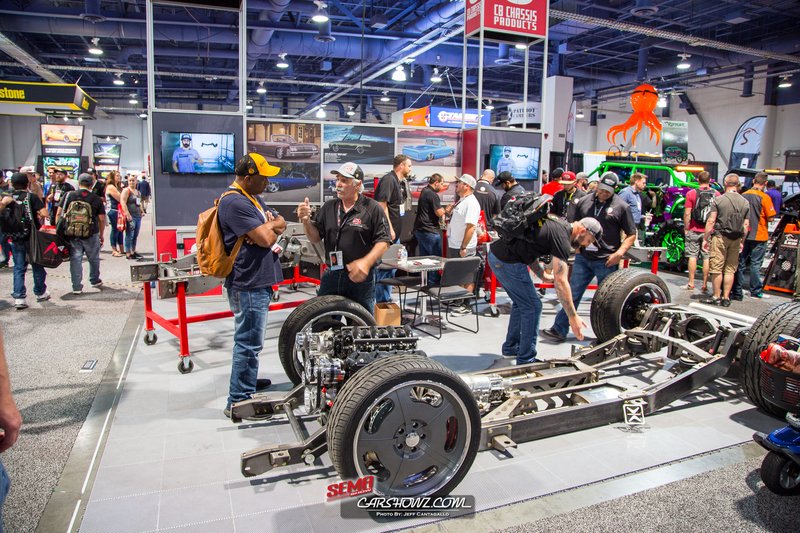 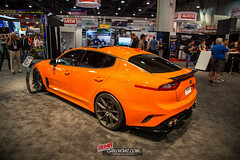 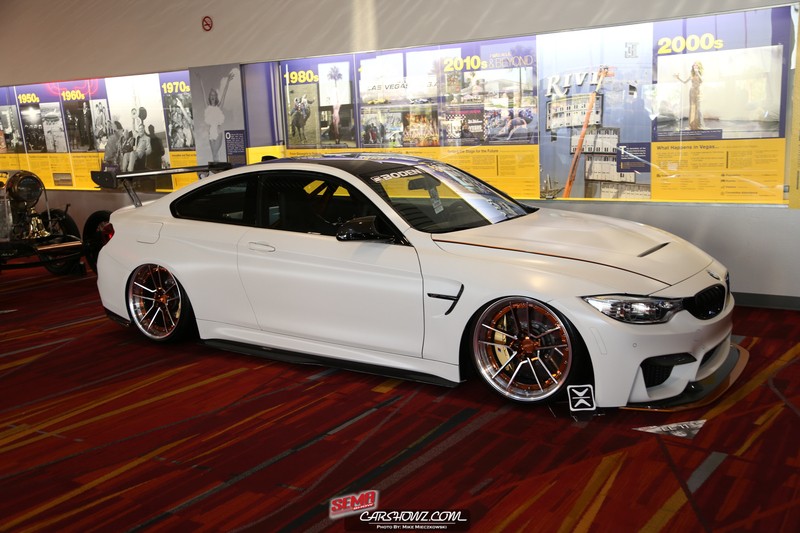 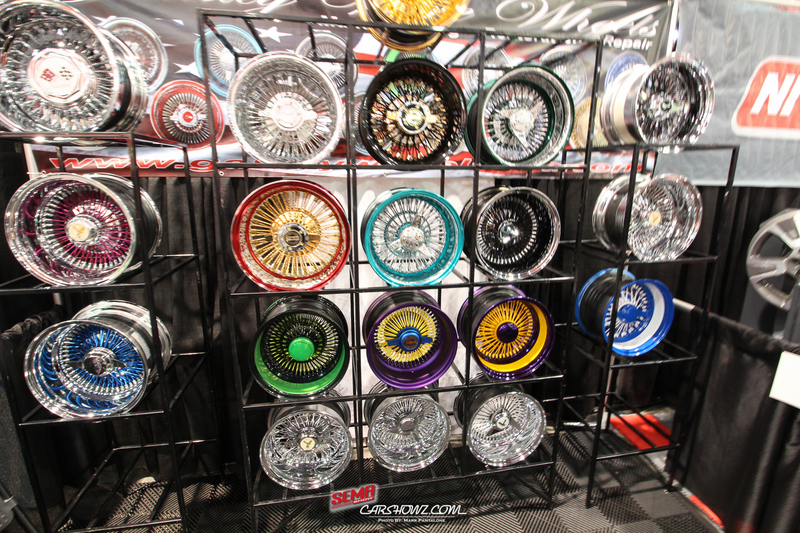 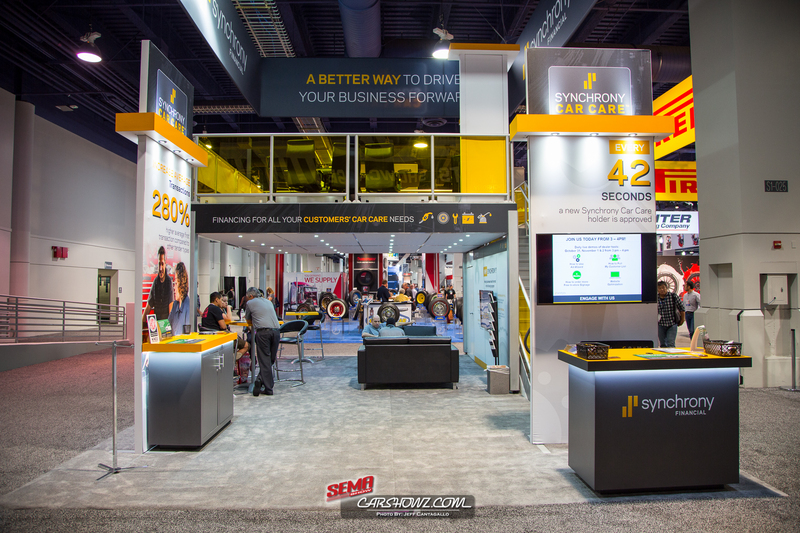 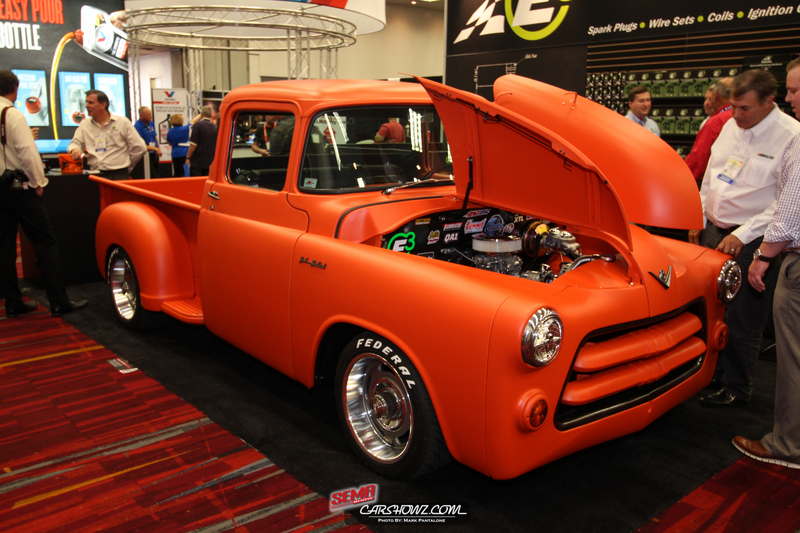 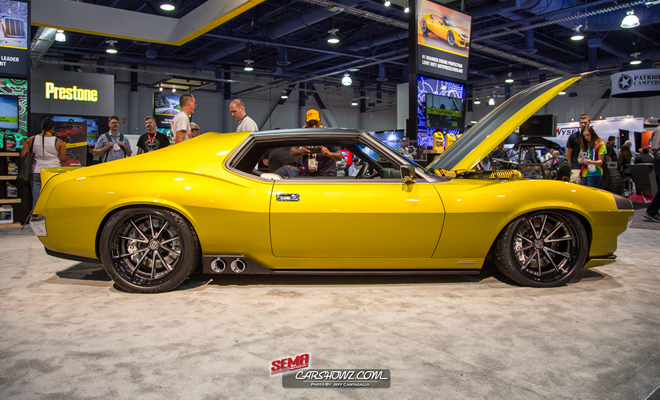 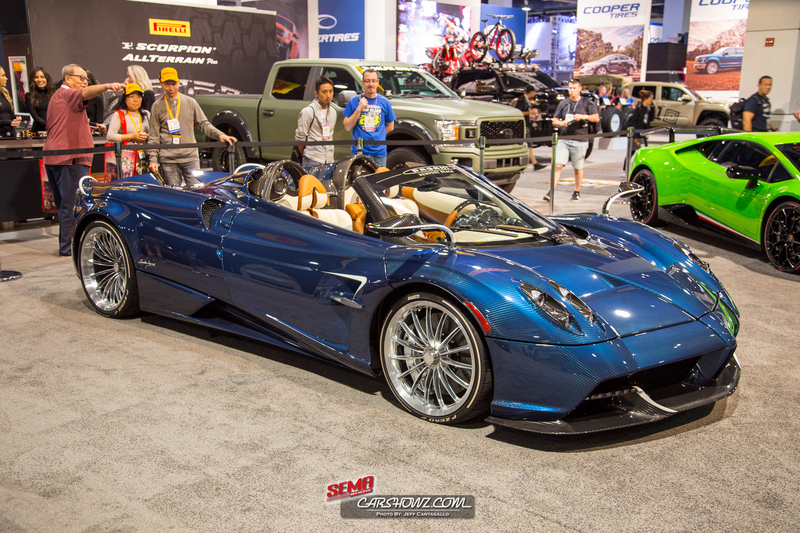 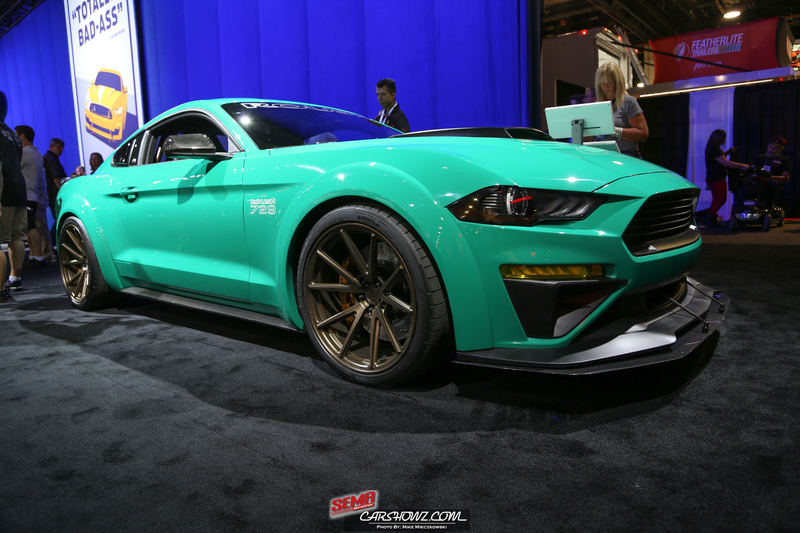 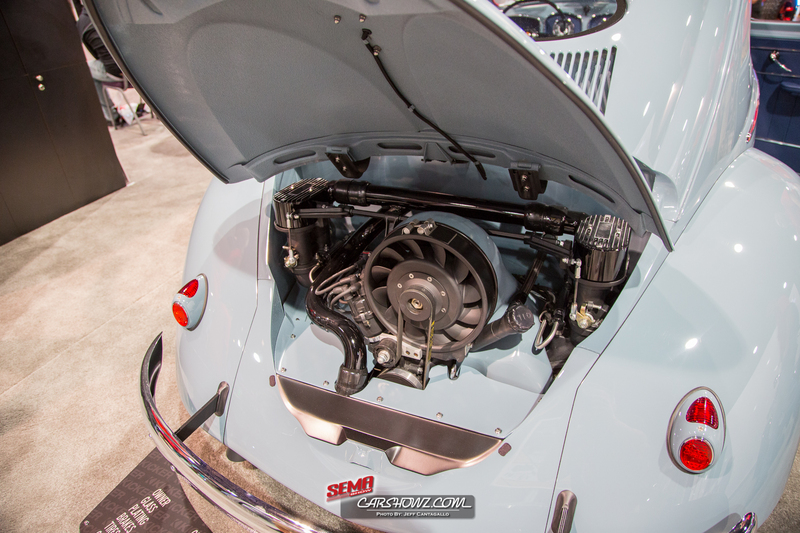 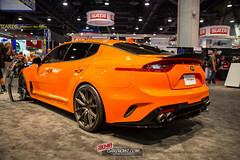 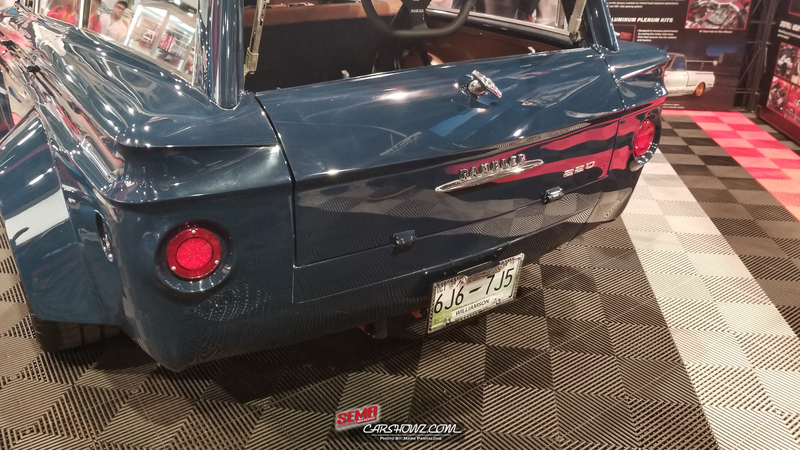 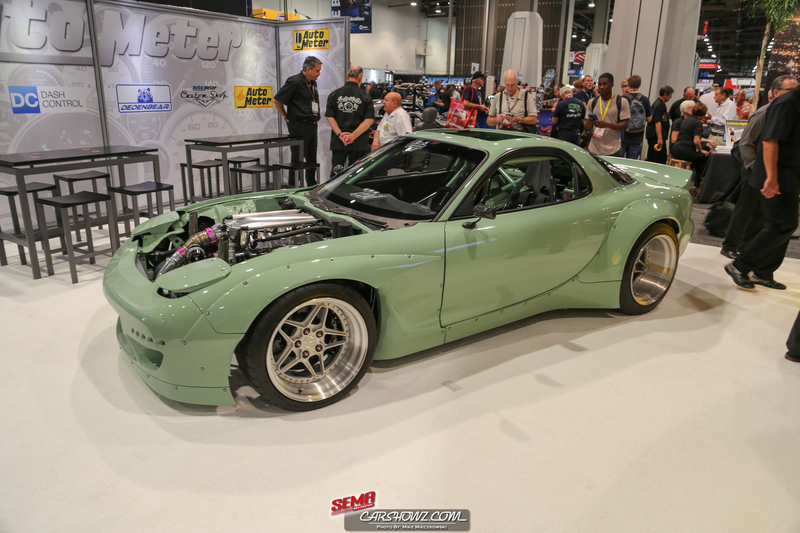 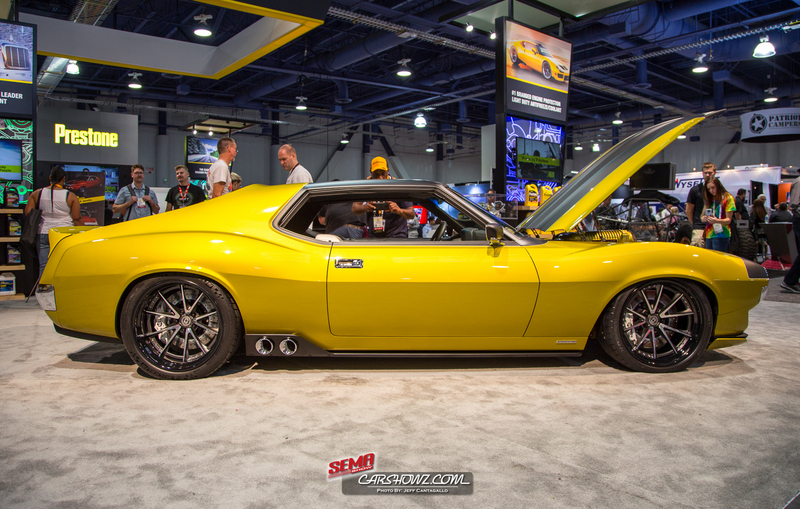 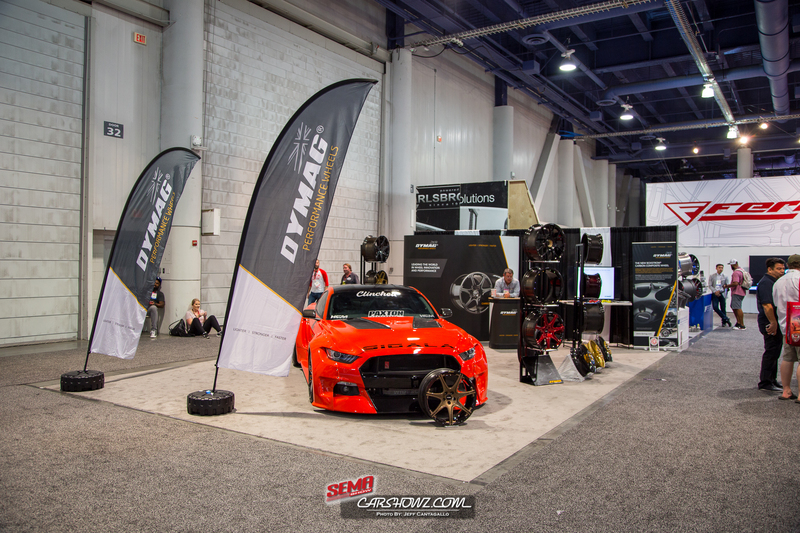 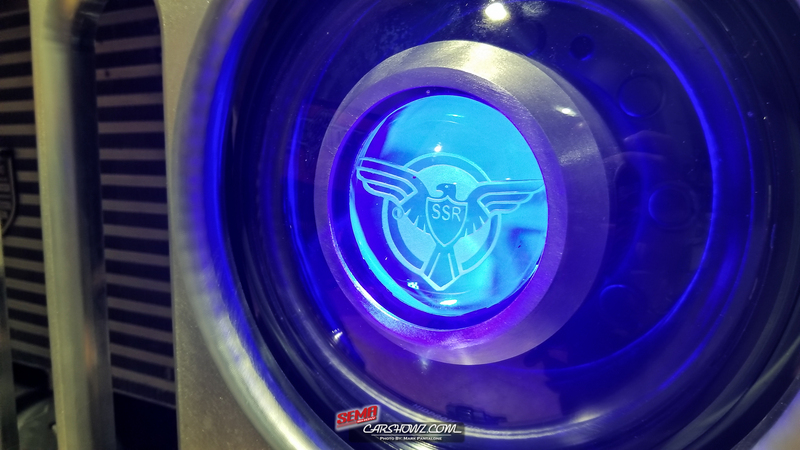 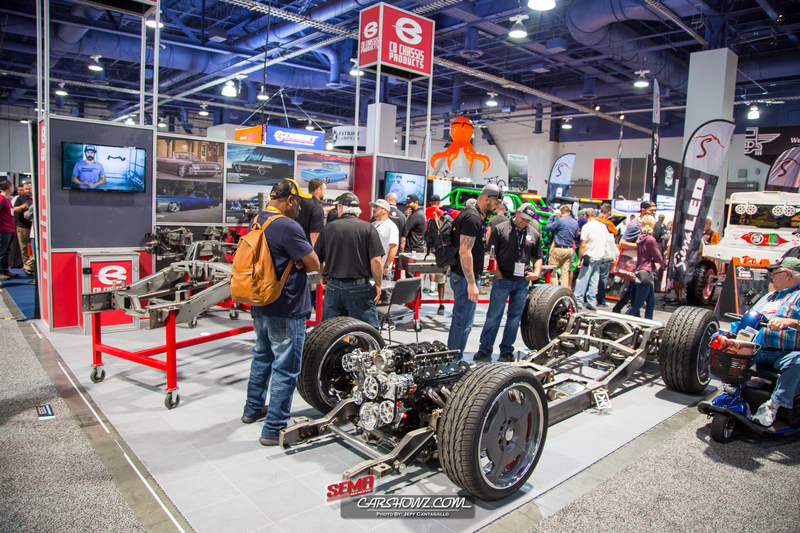 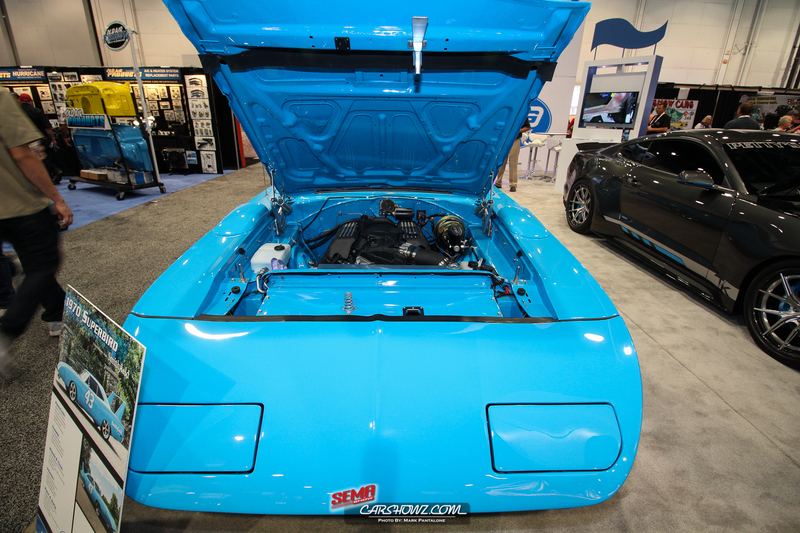 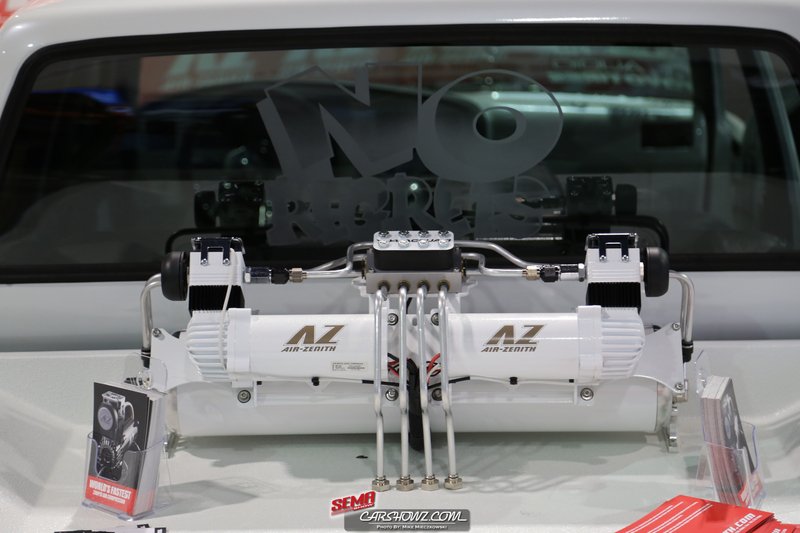 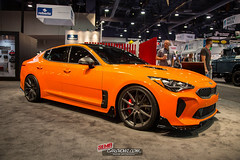 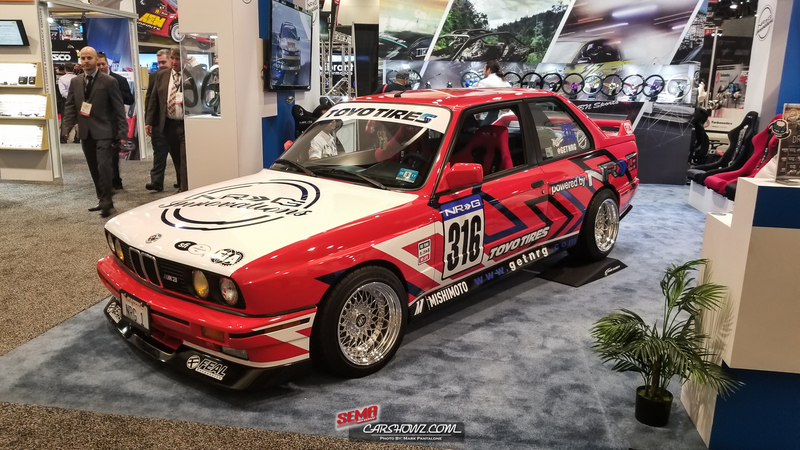 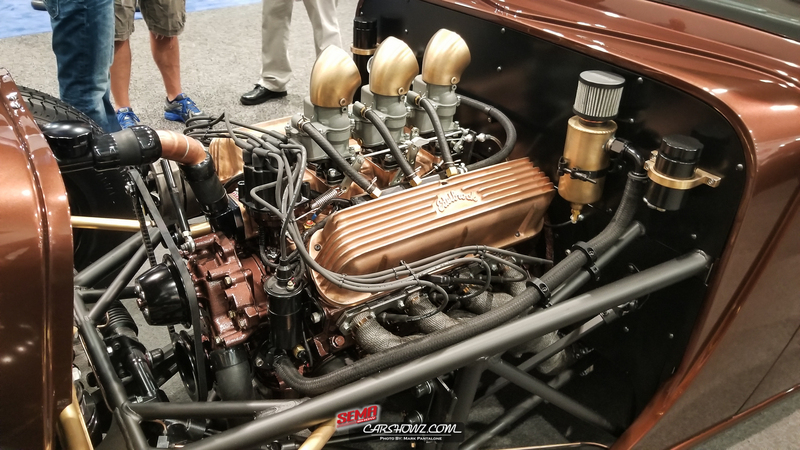 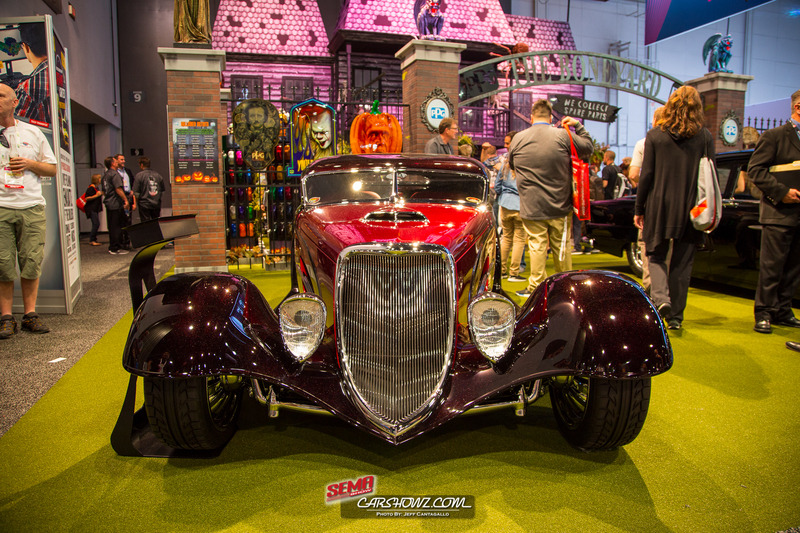 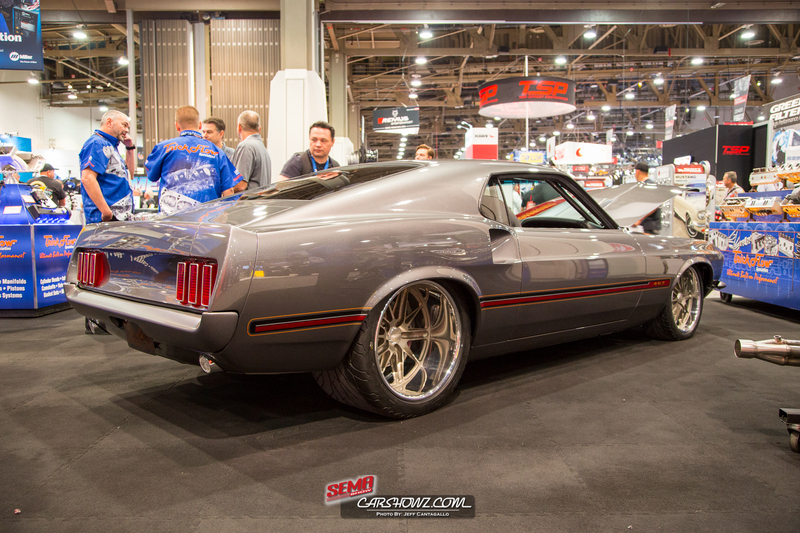 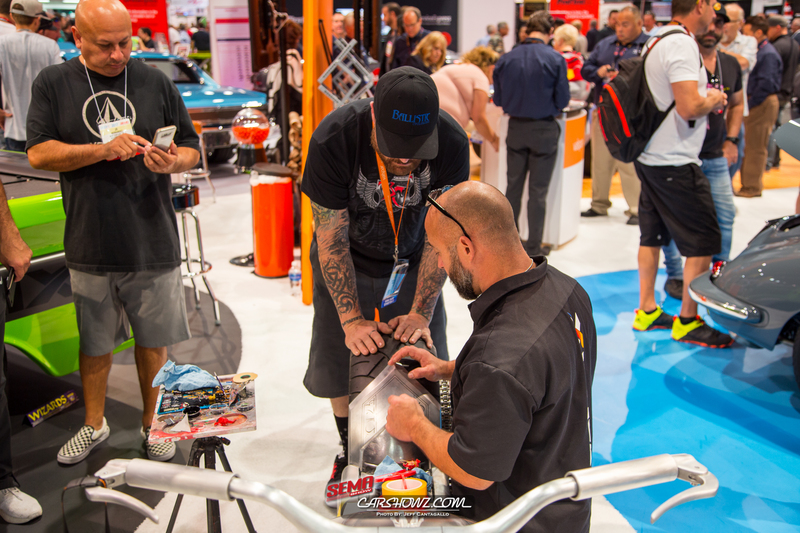 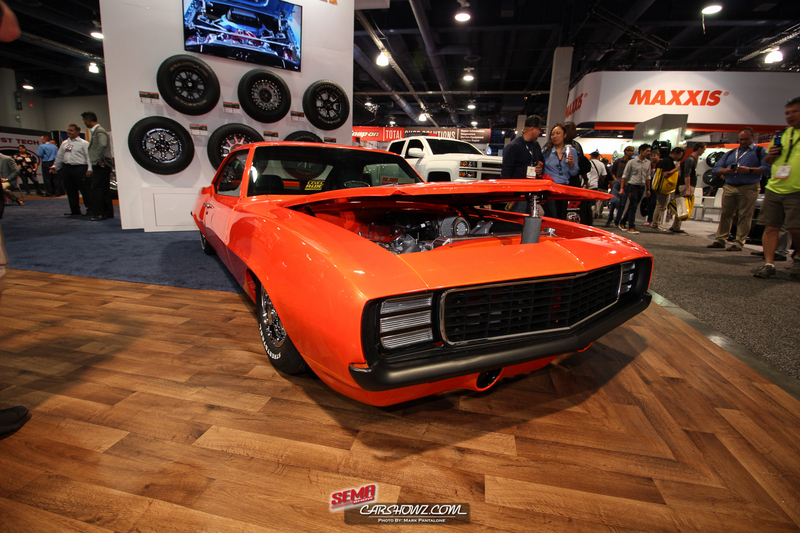 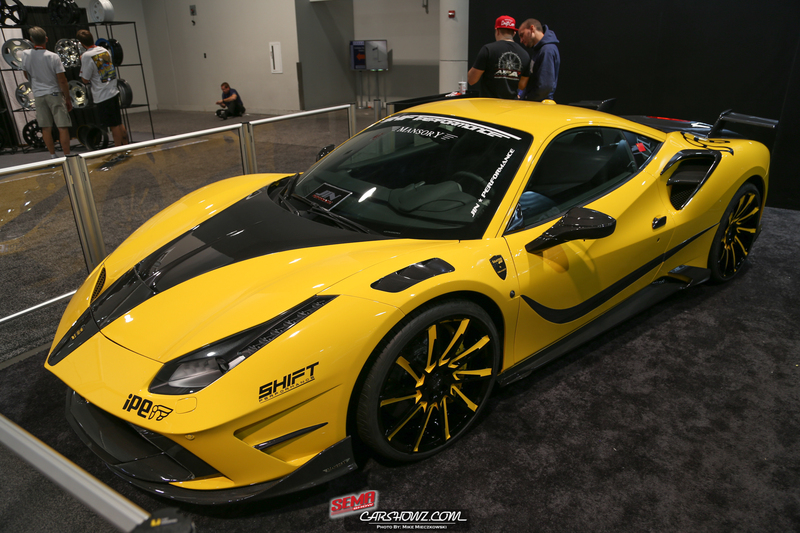 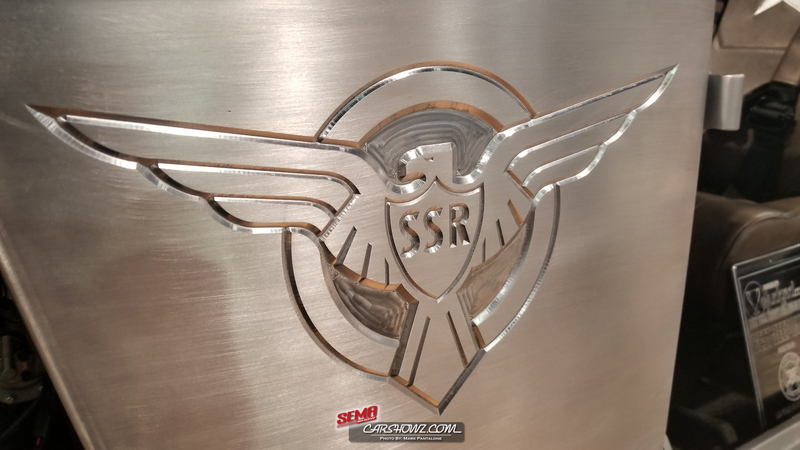 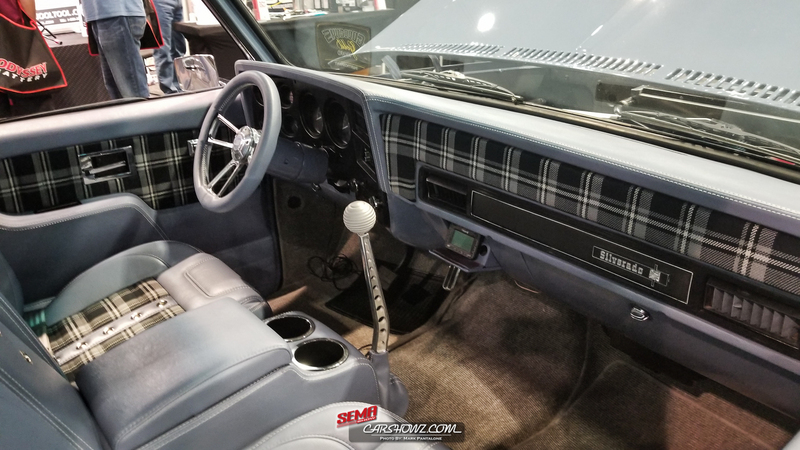 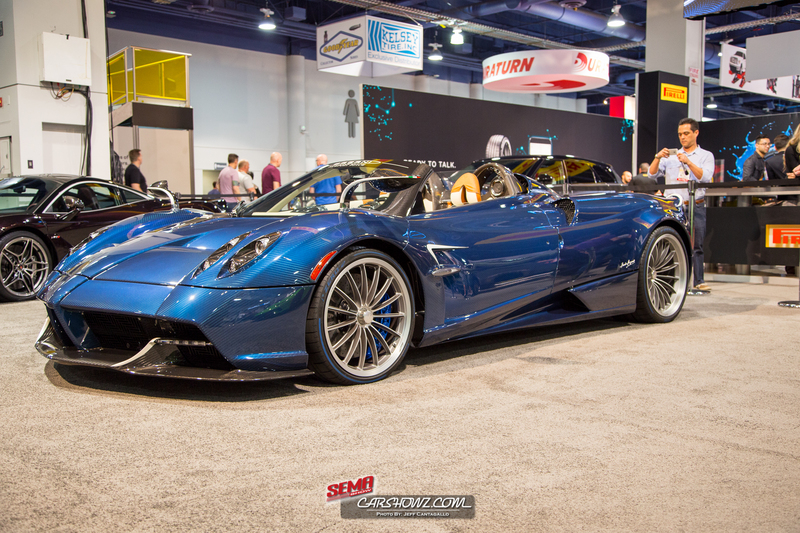 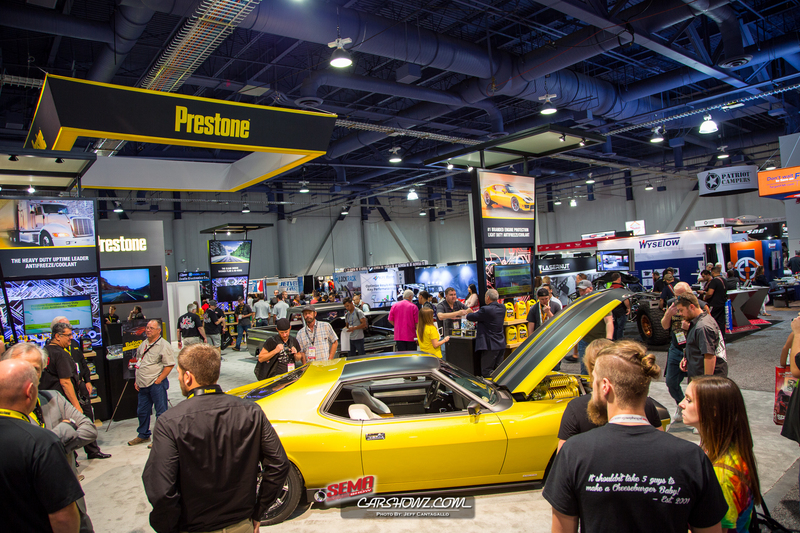 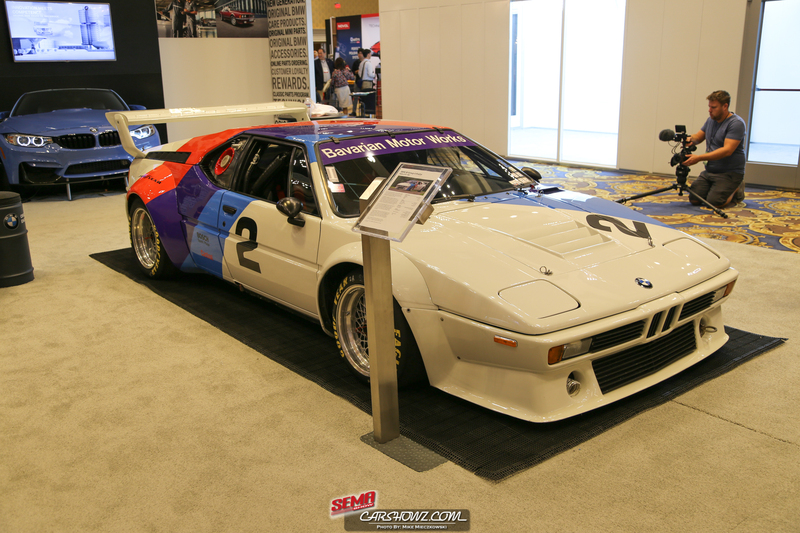 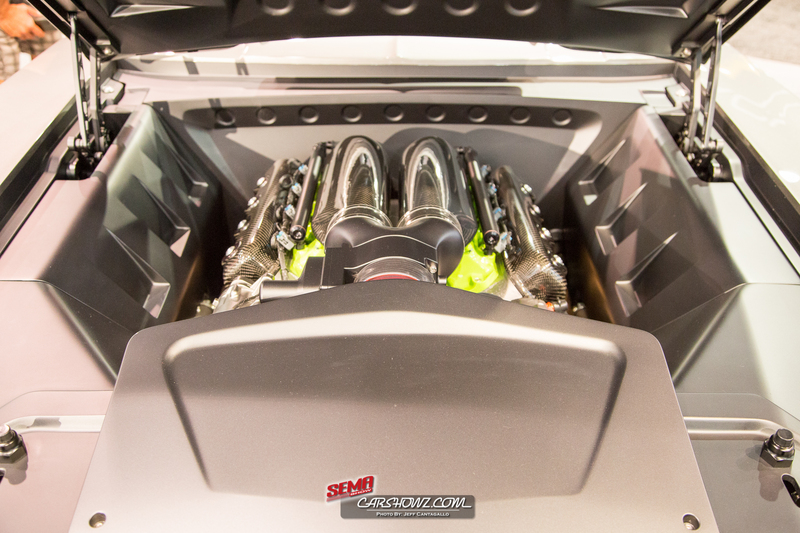 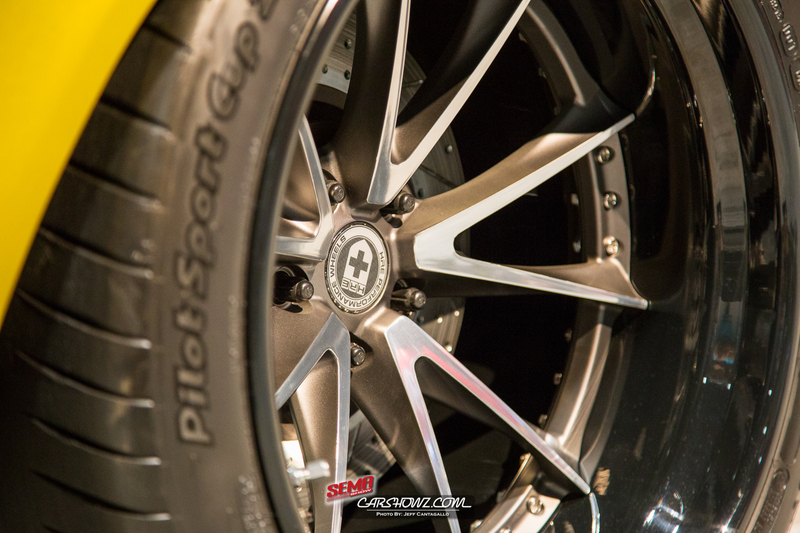 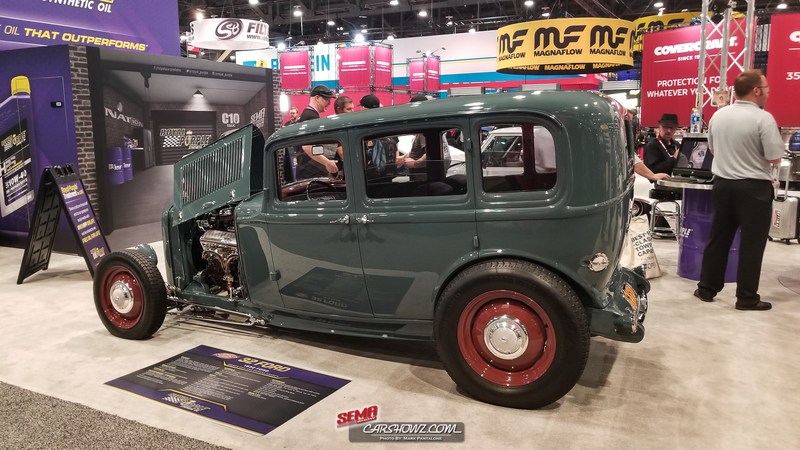 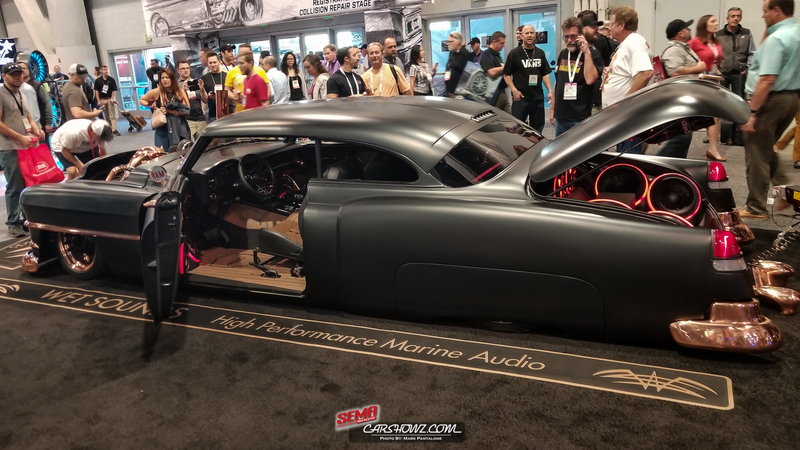 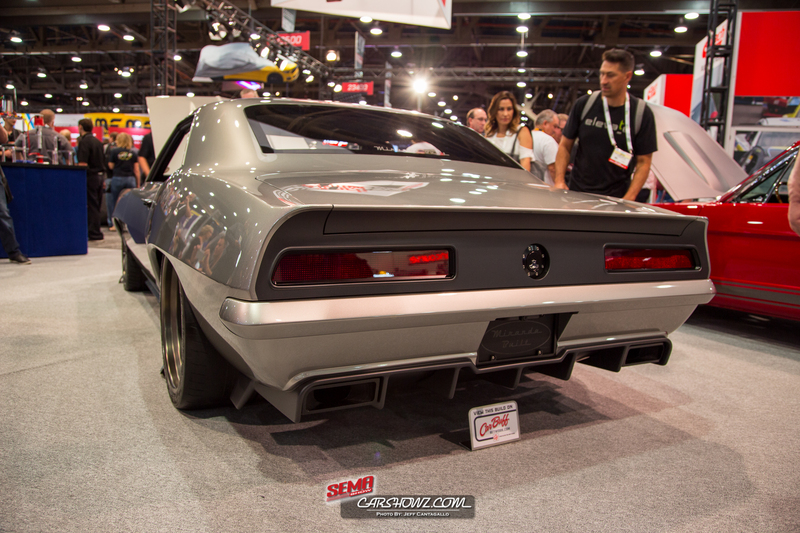 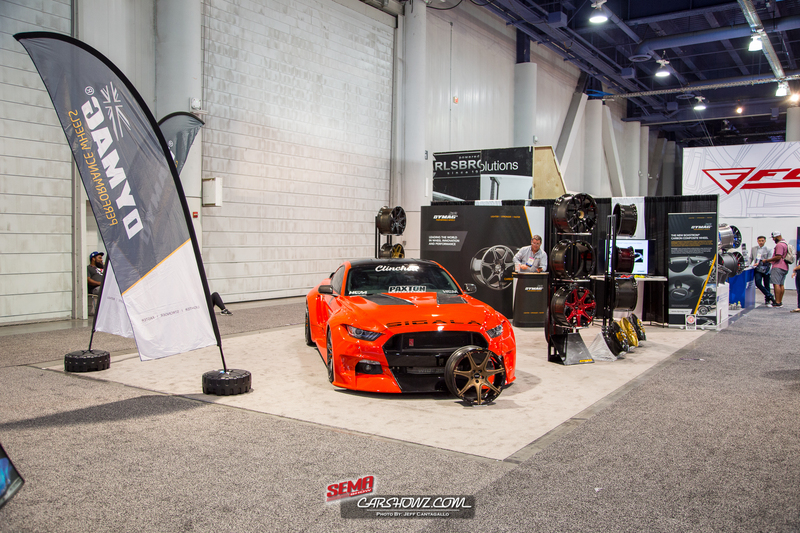 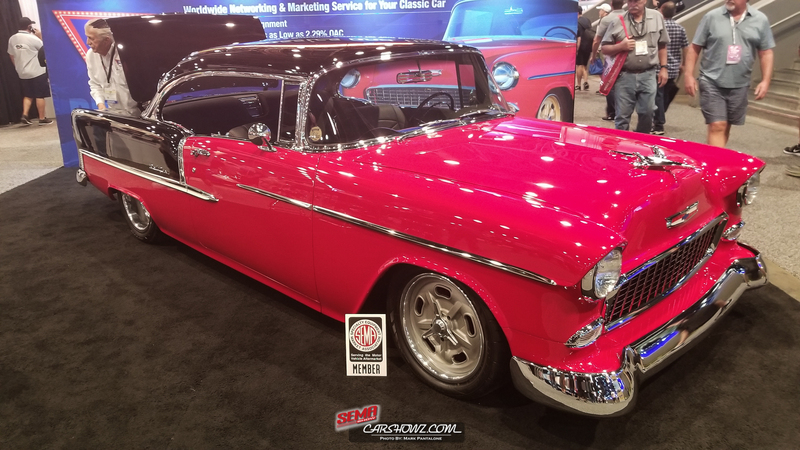 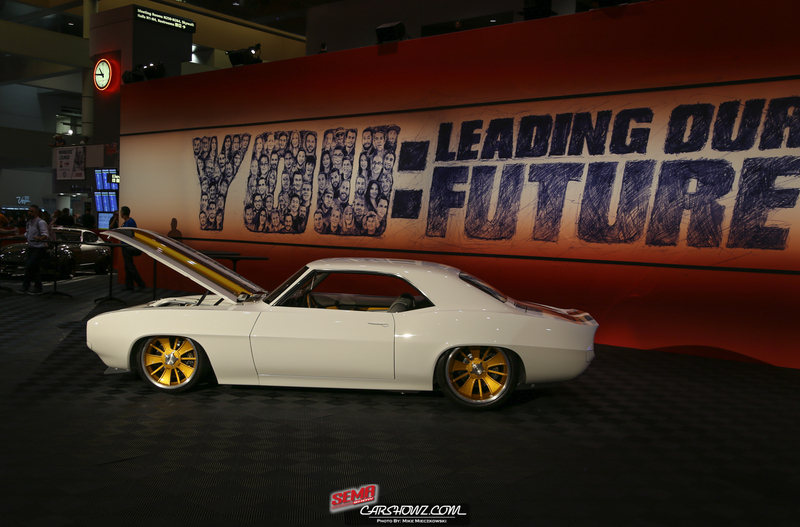 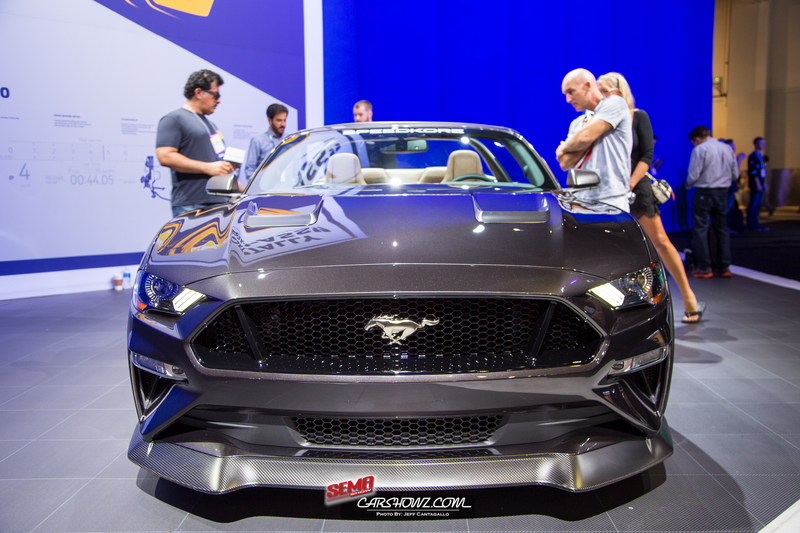 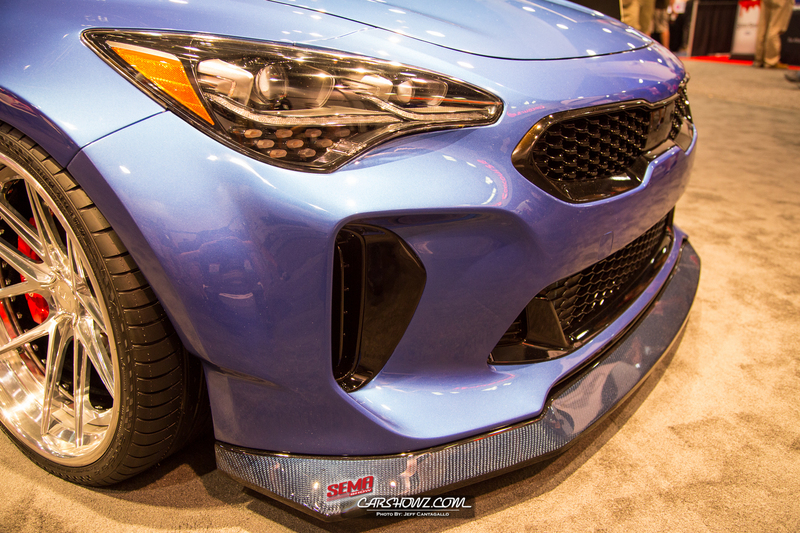 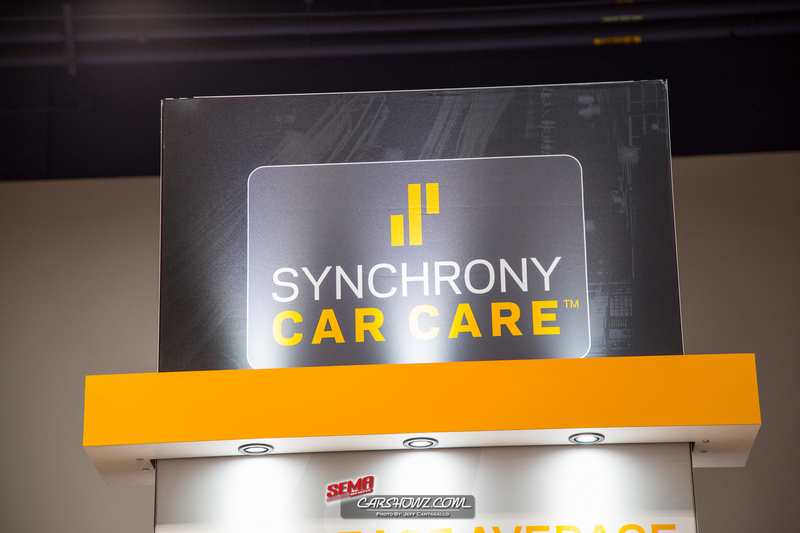 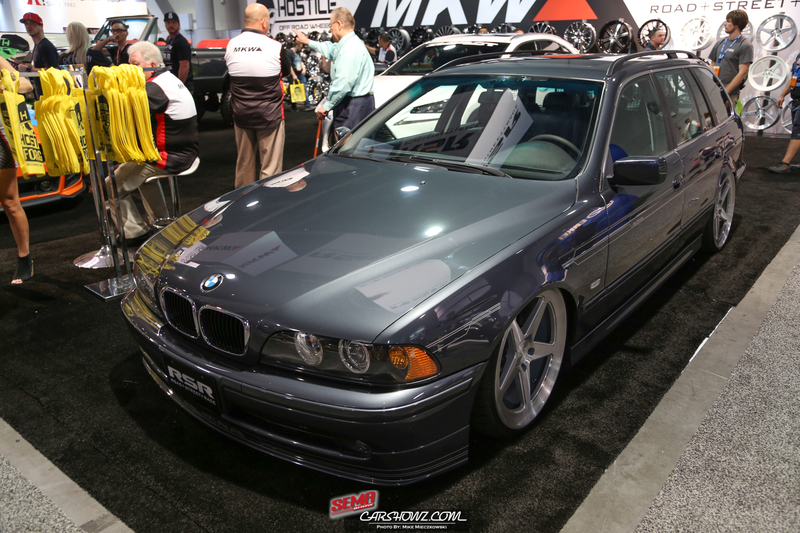 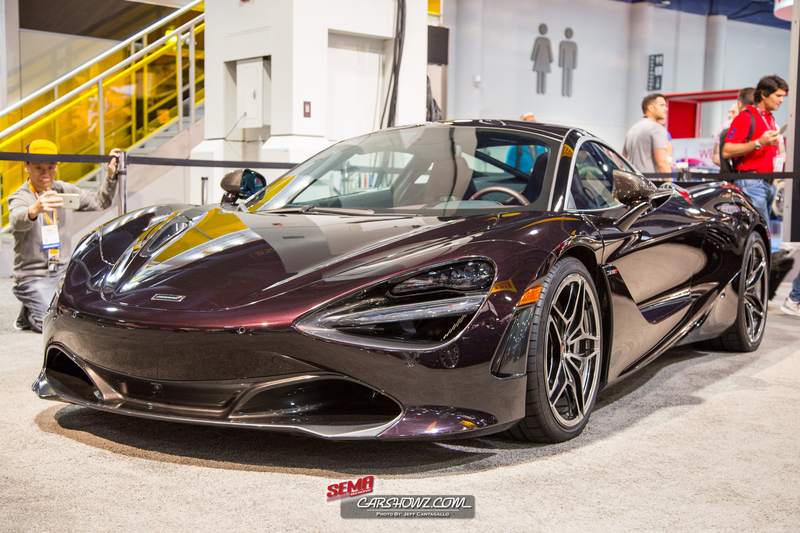 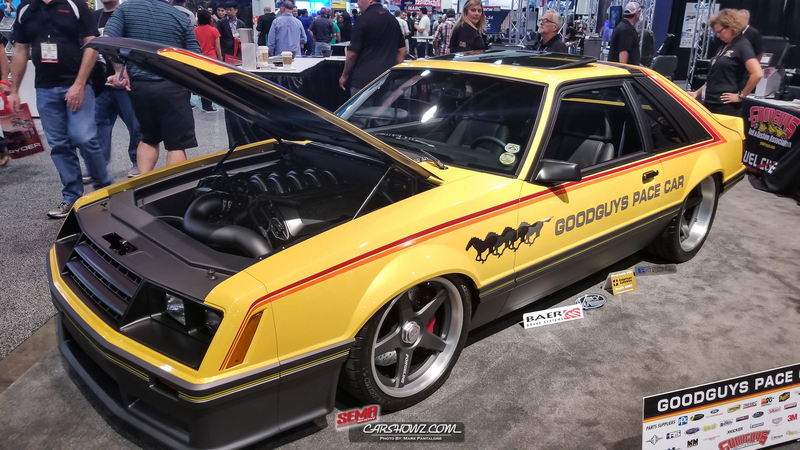 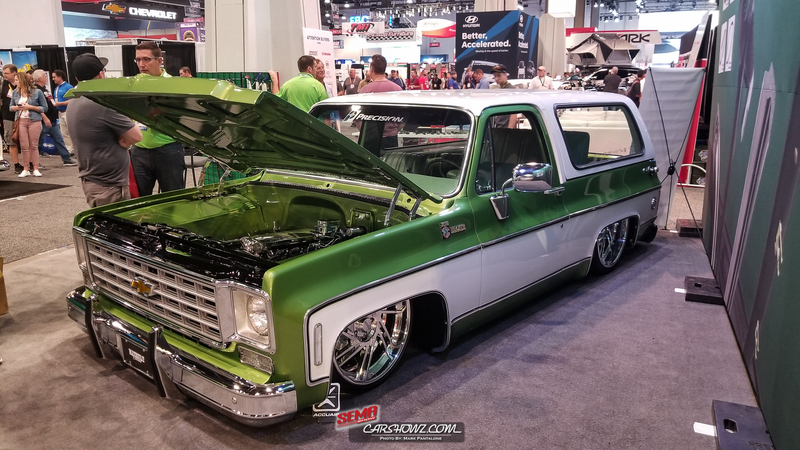 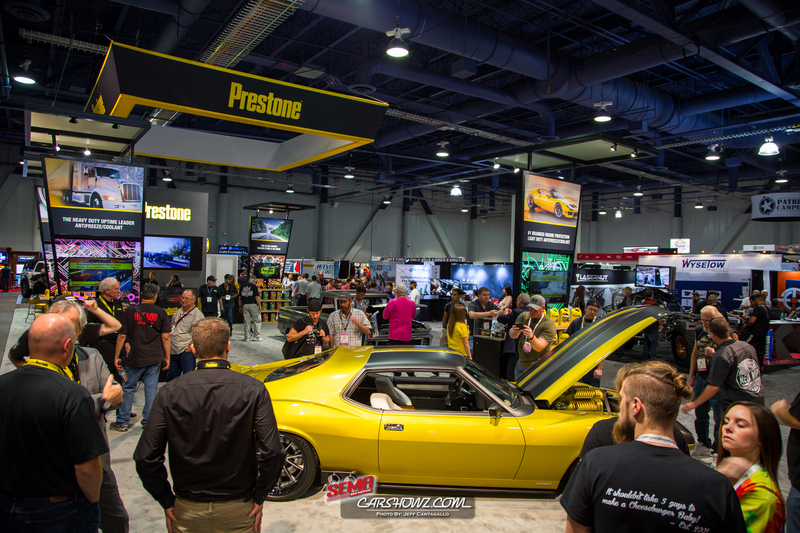 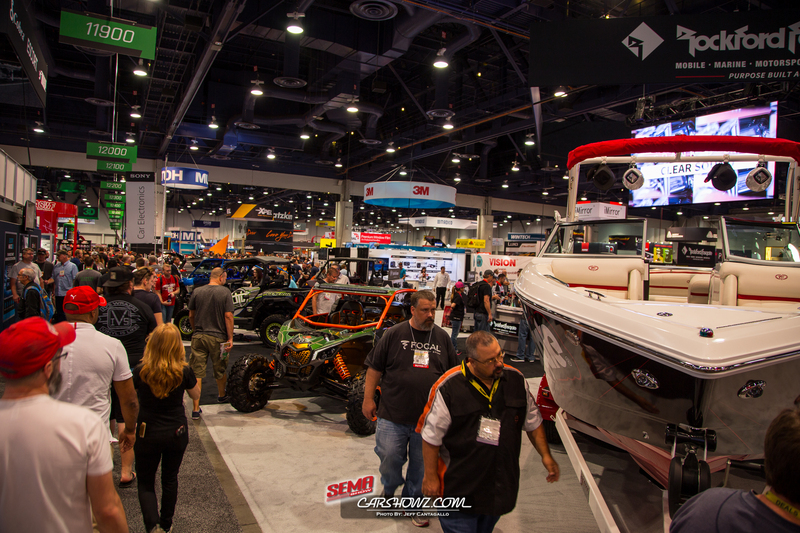 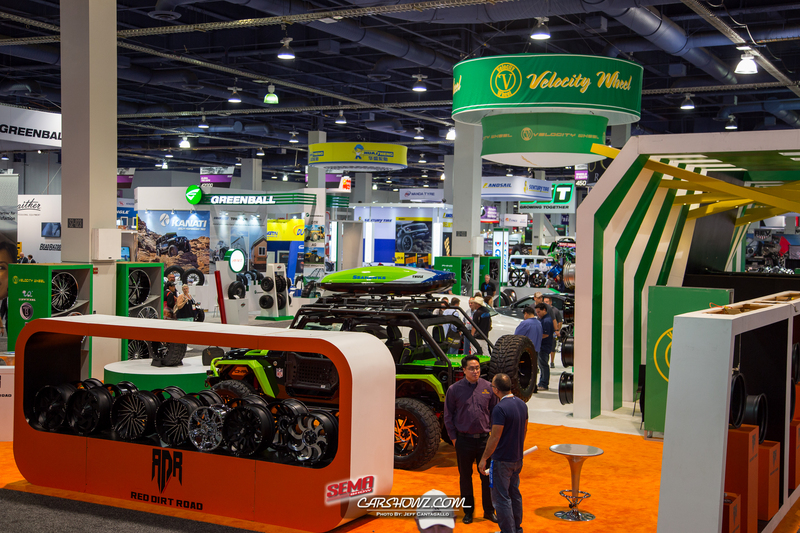 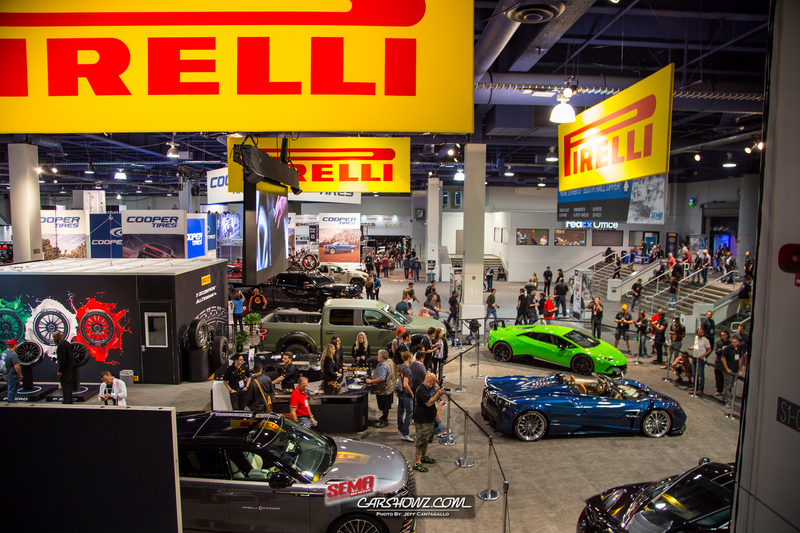 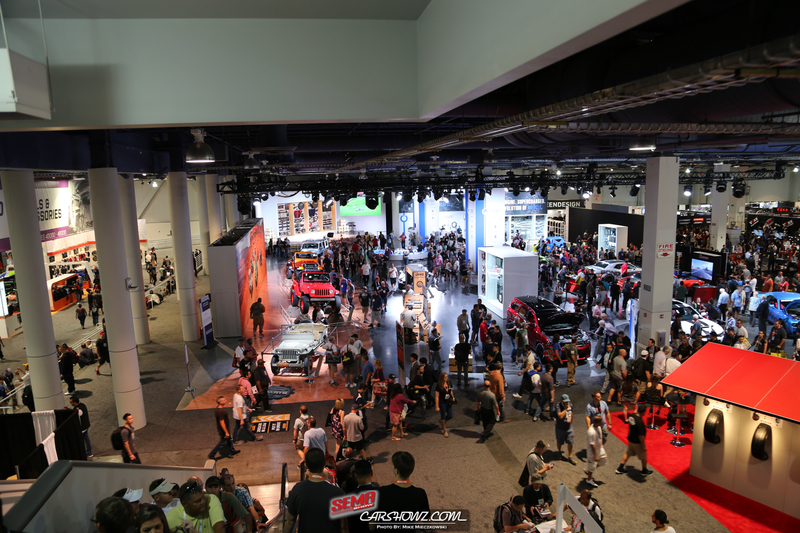 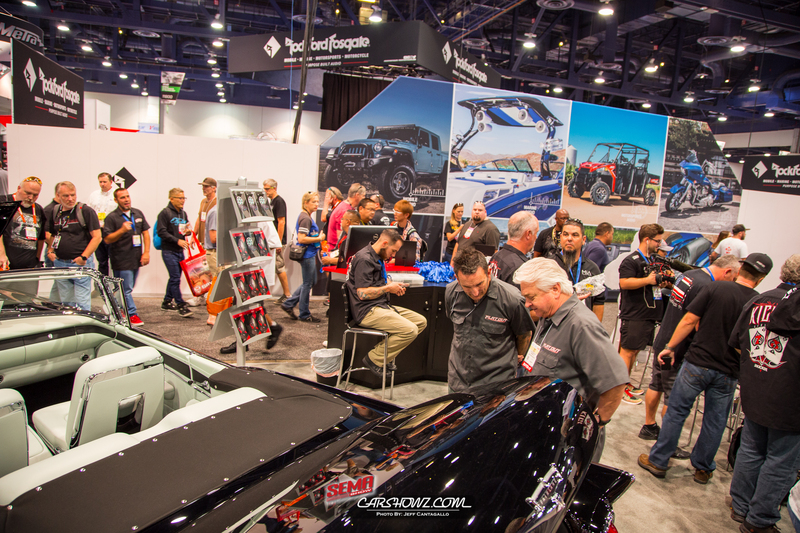 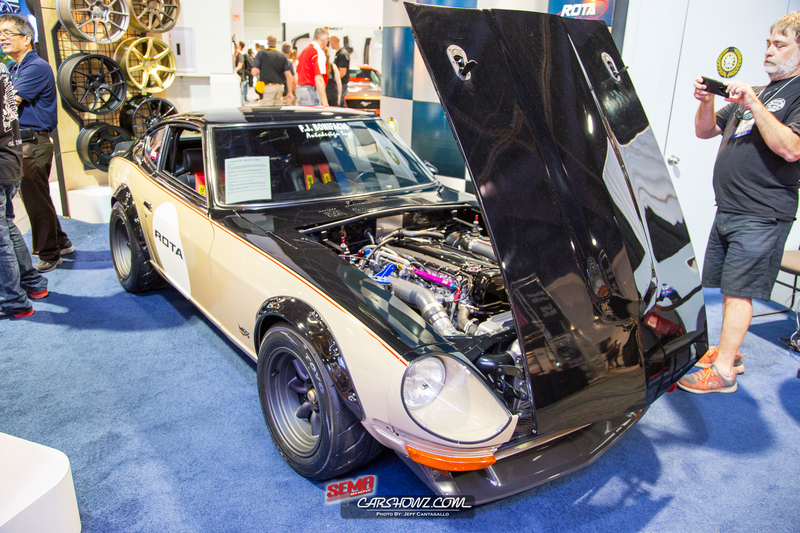 Please check back frequently as we will continue to publish additional SEMA 2017 coverage to our website, this page and our social media channels (Instagram: @carshowz | Facebook: FB/CarShowzUS).